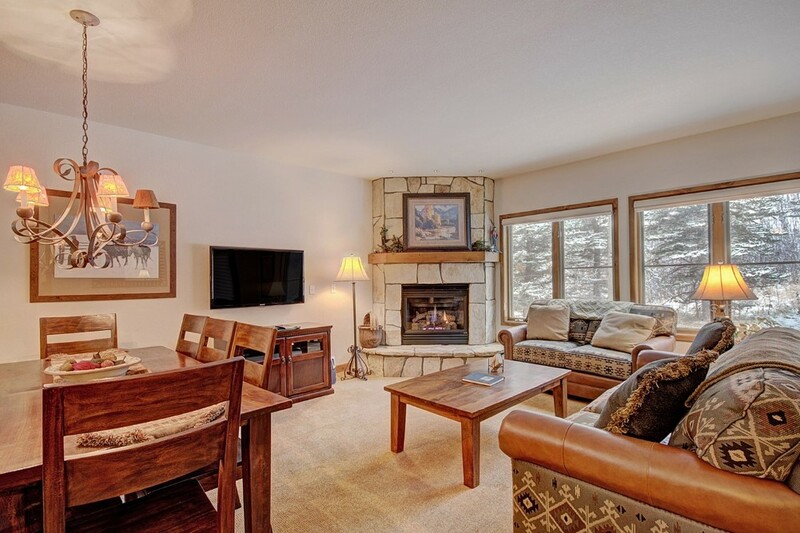 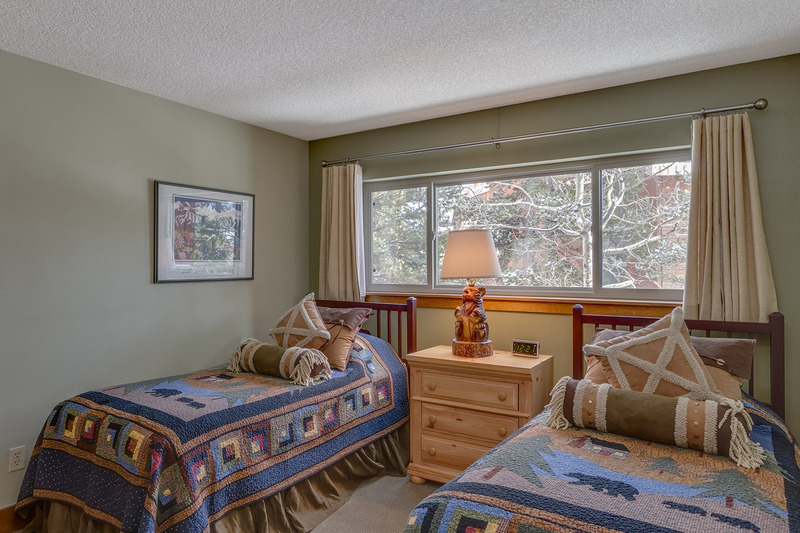 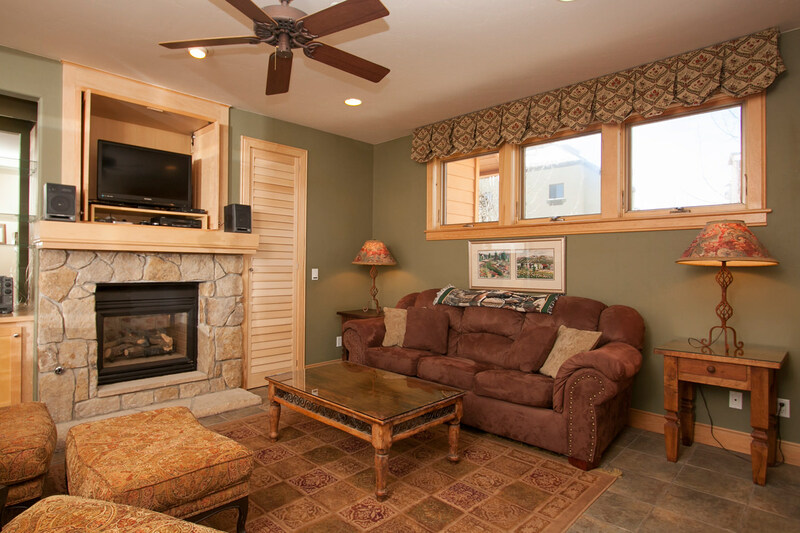 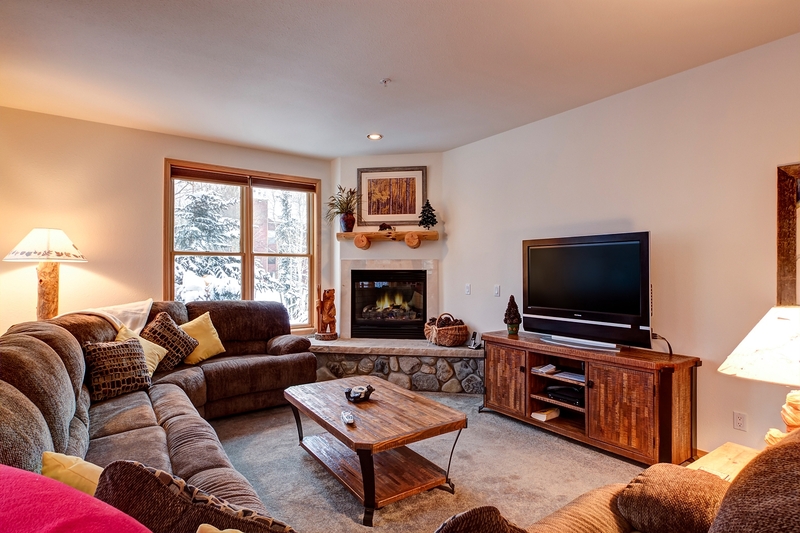 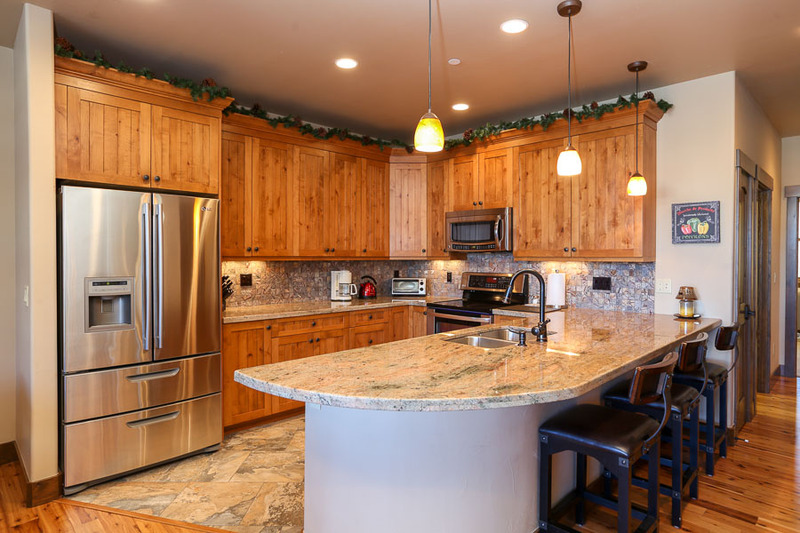 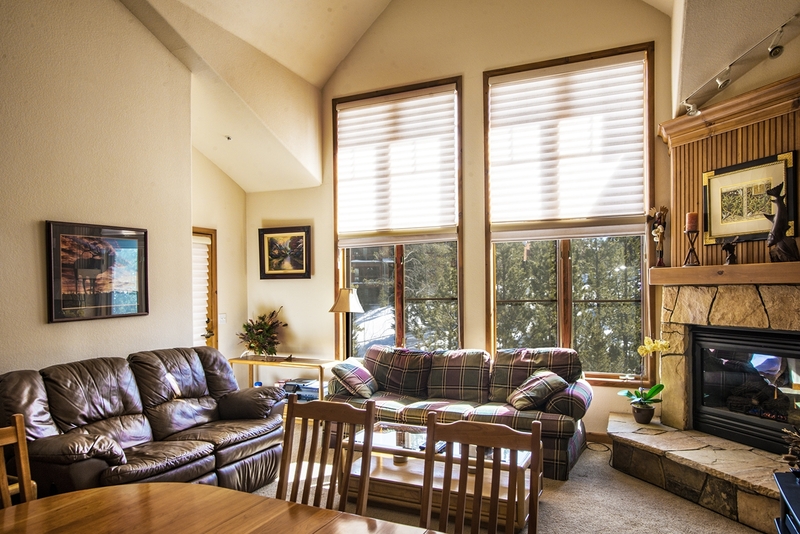 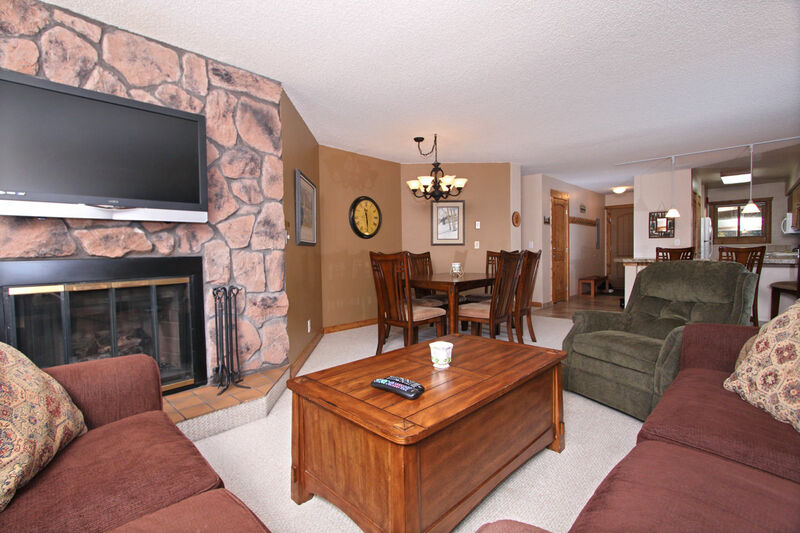 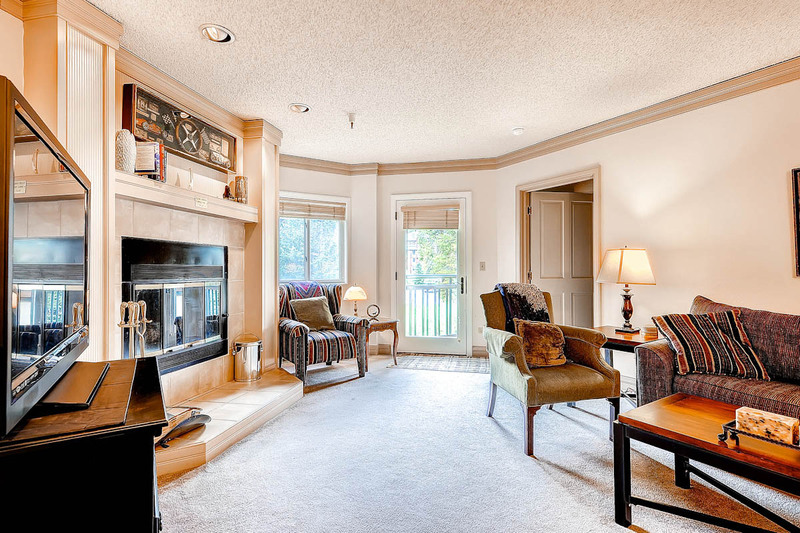 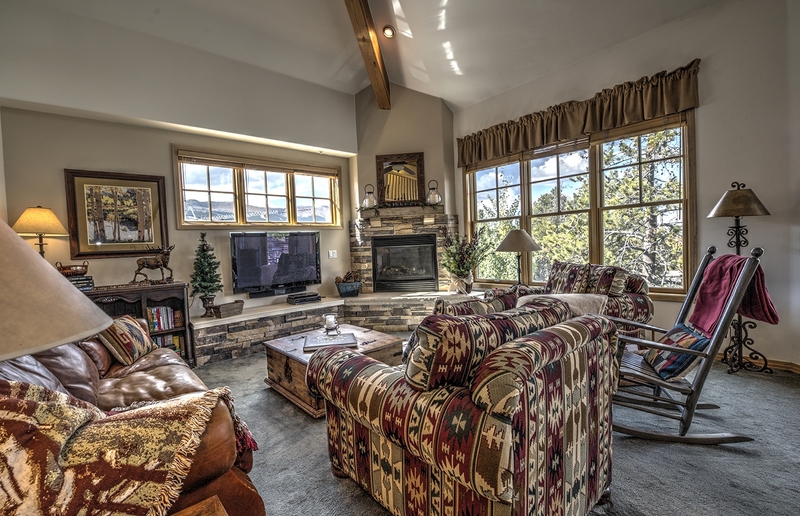 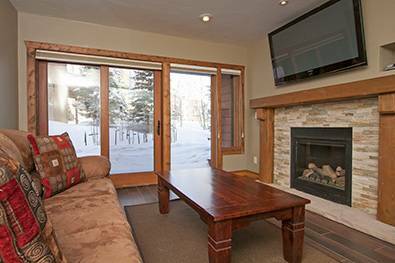 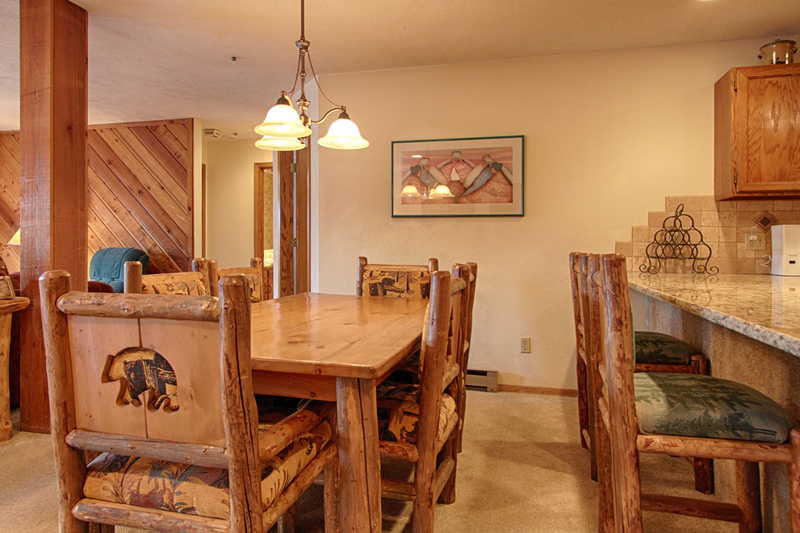 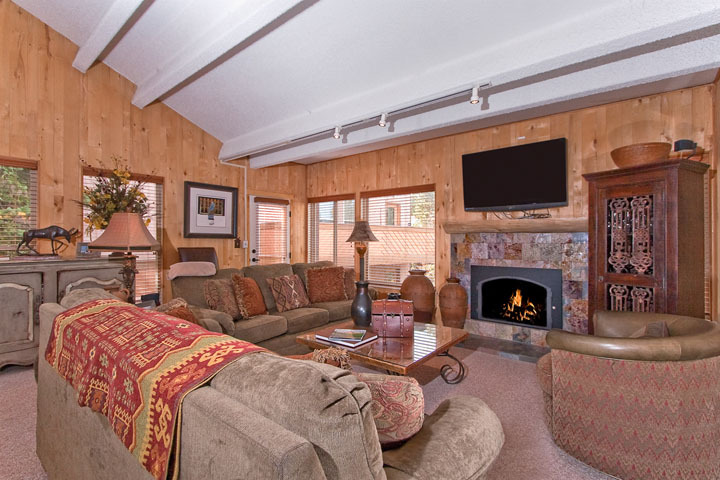 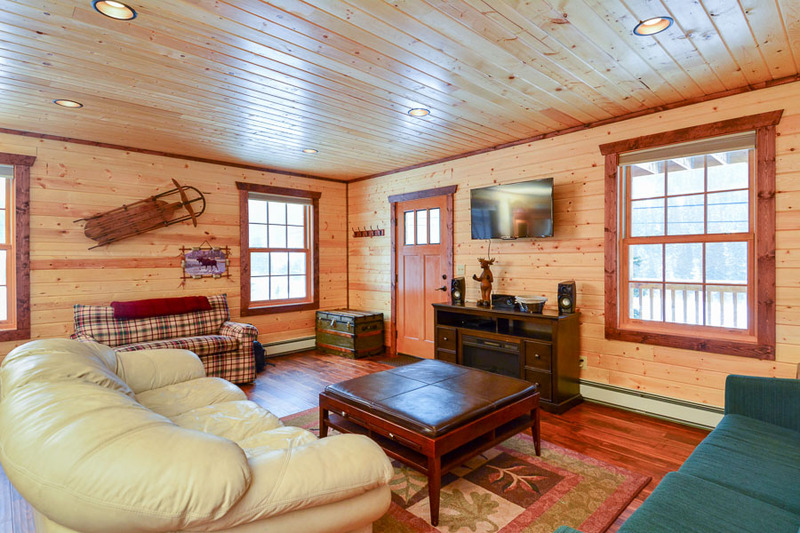 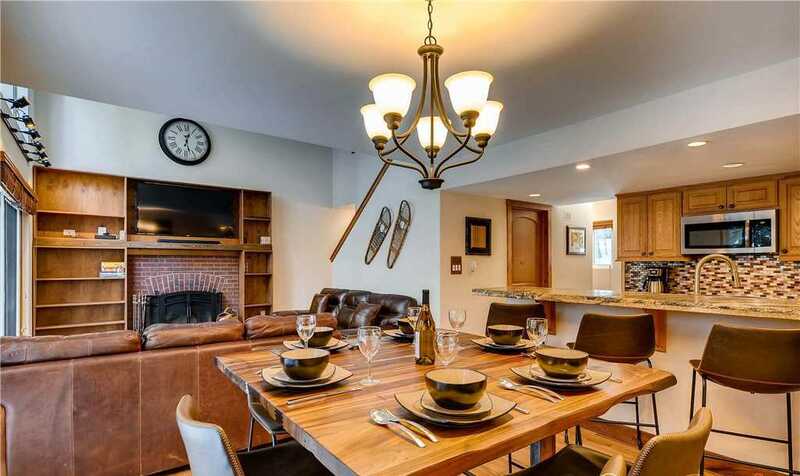 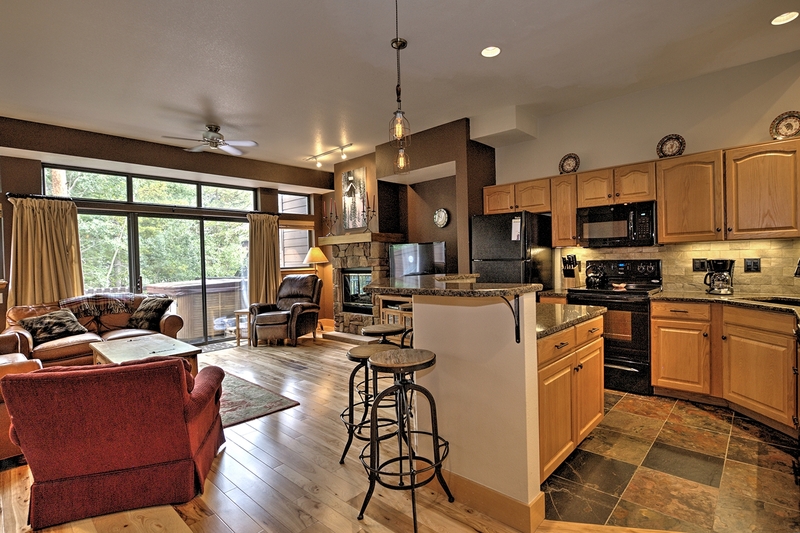 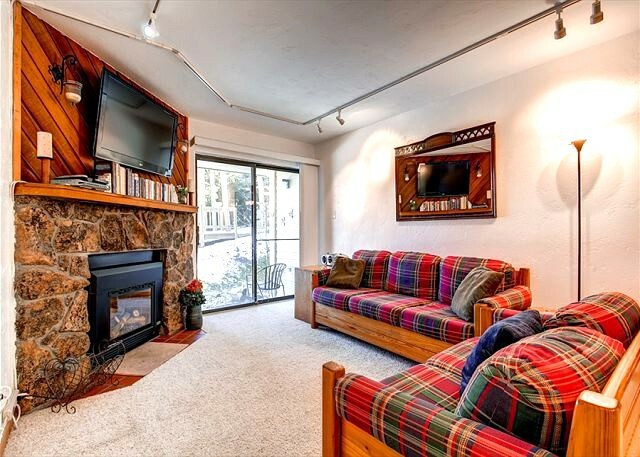 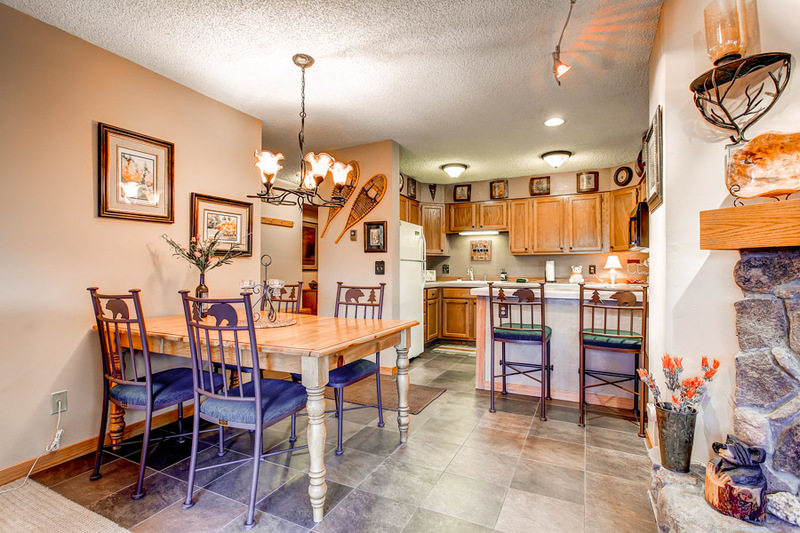 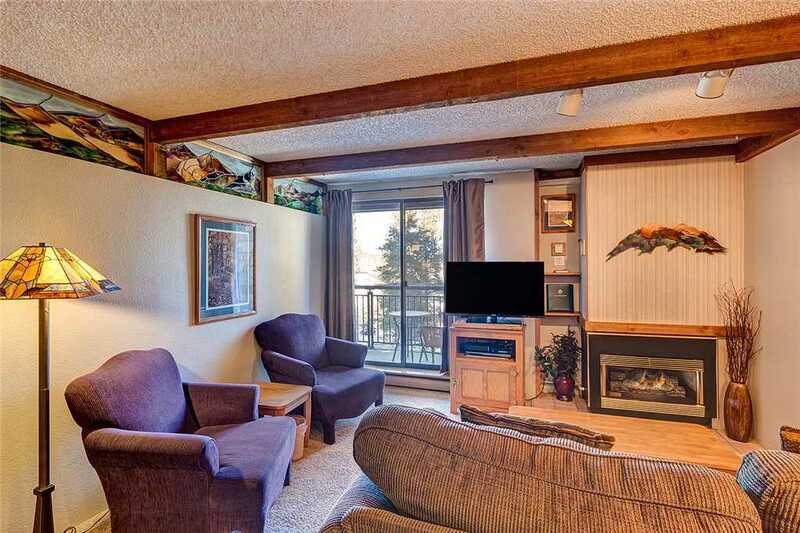 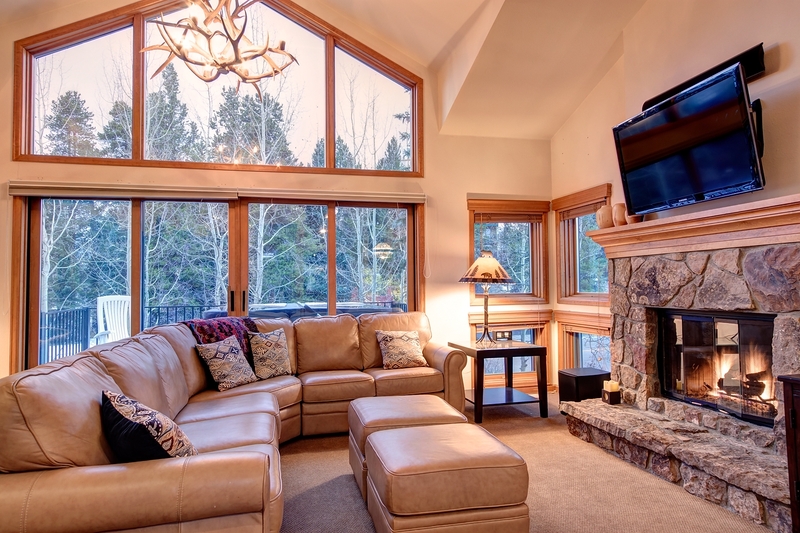 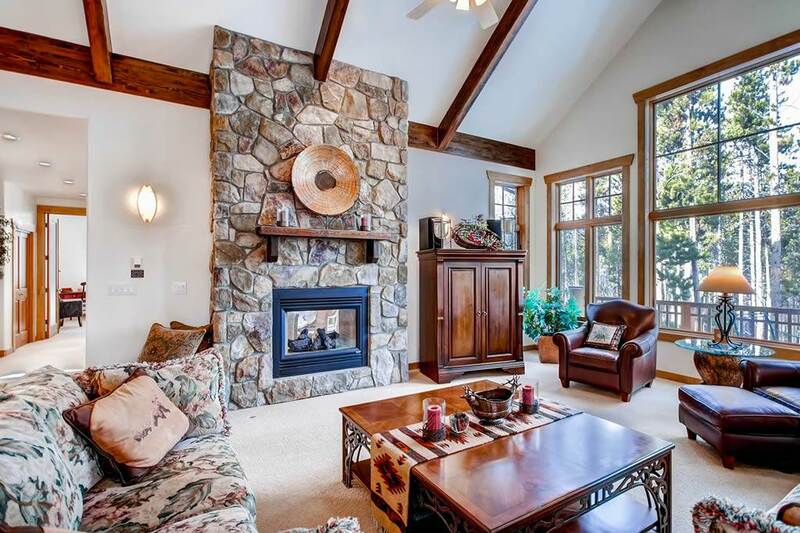 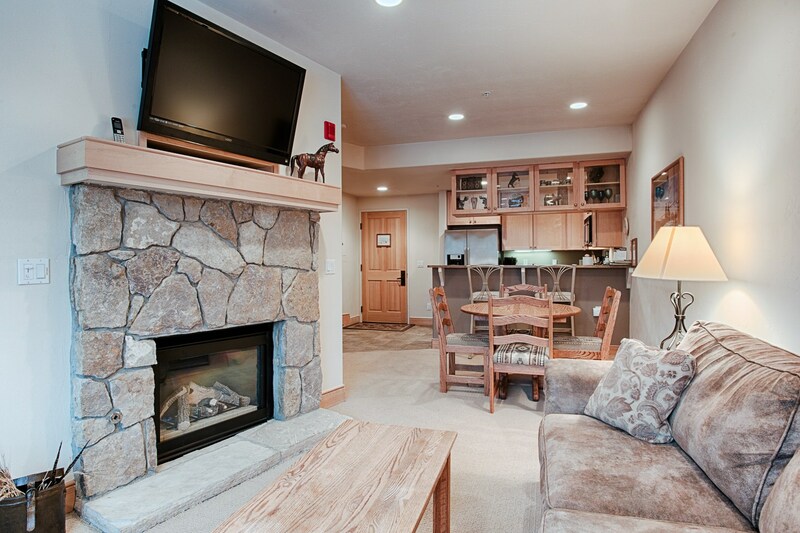 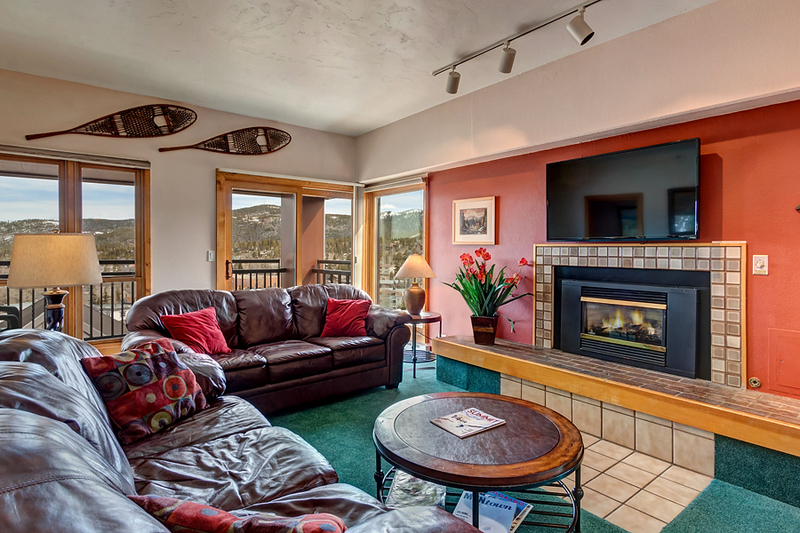 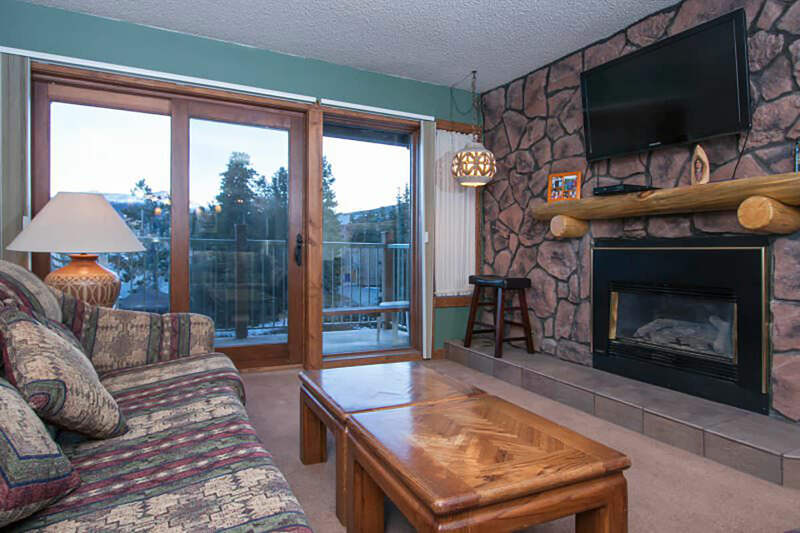 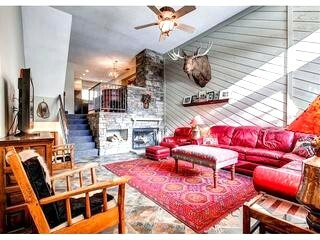 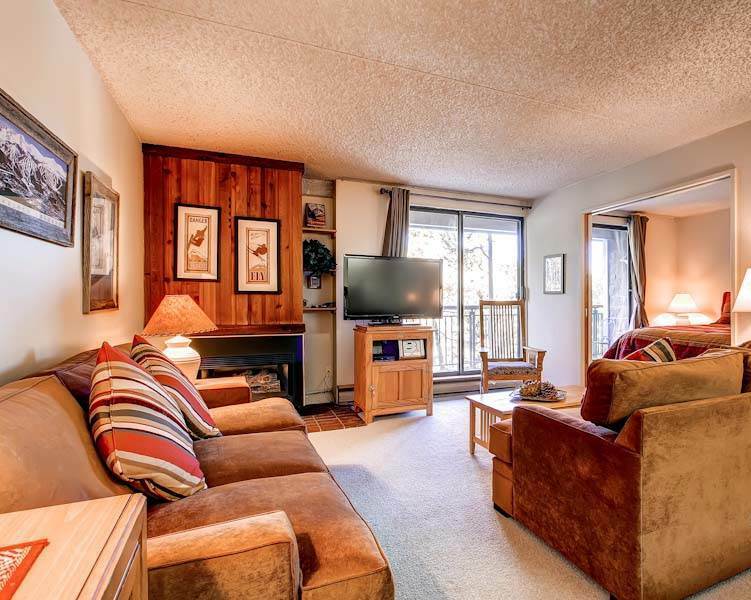 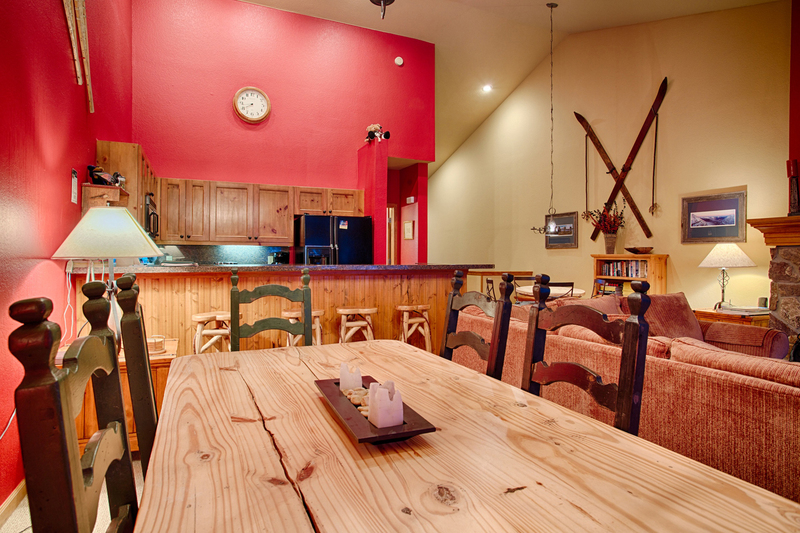 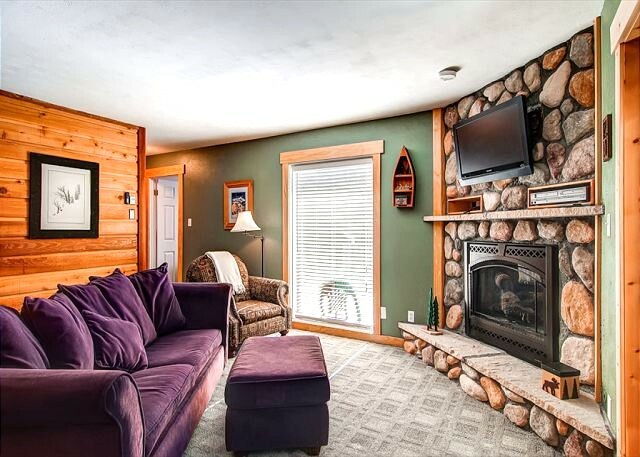 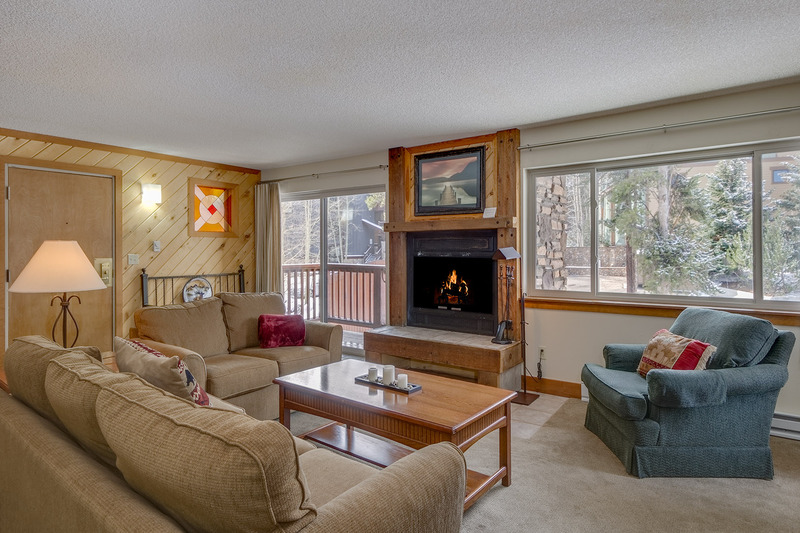 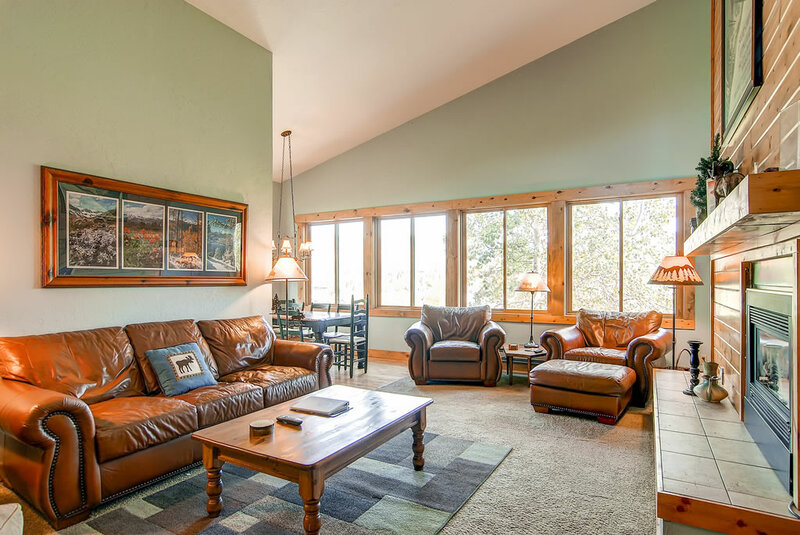 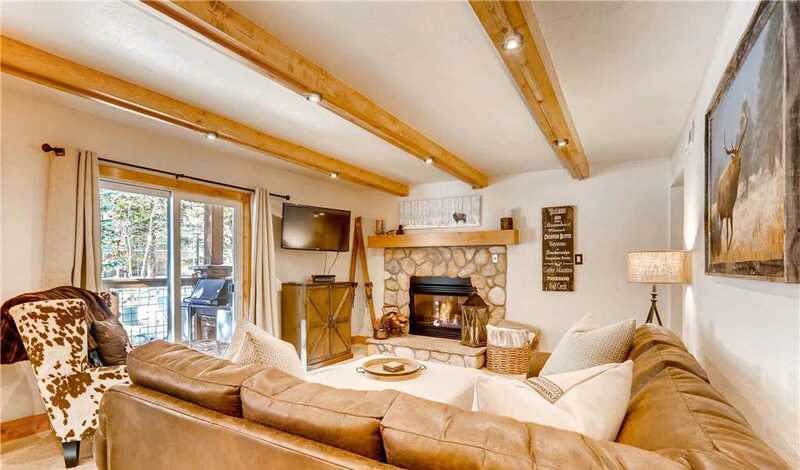 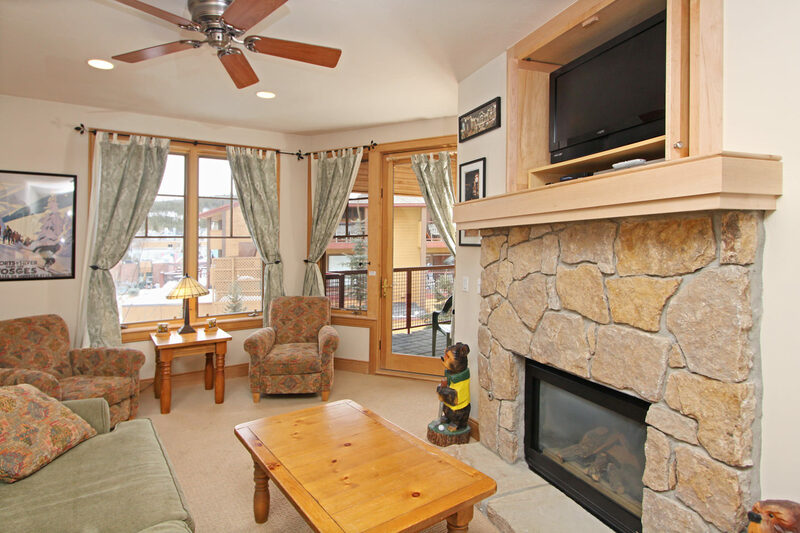 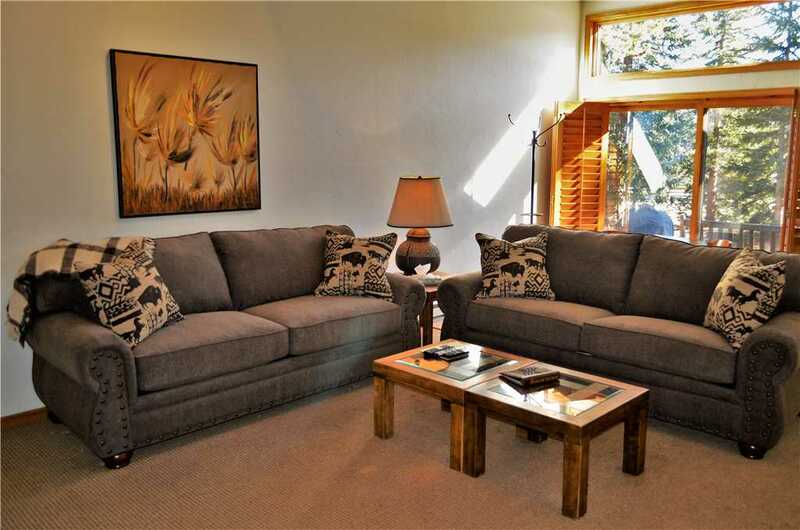 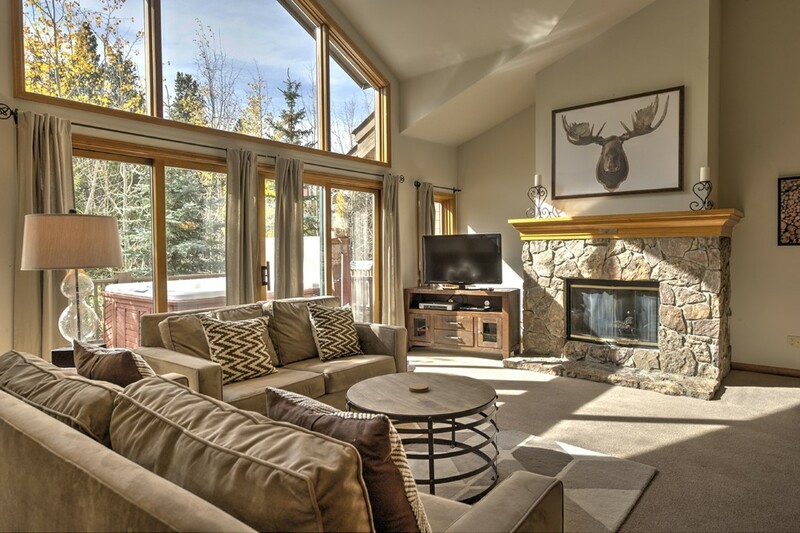 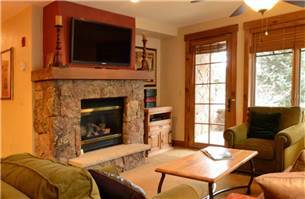 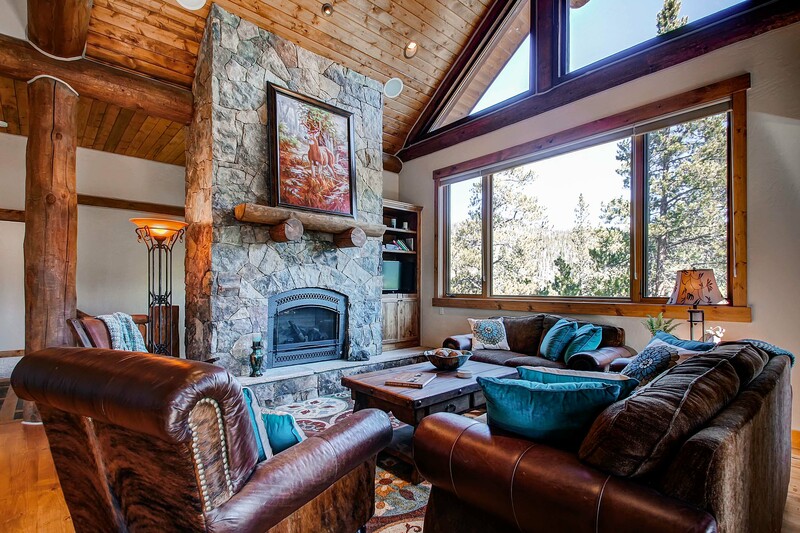 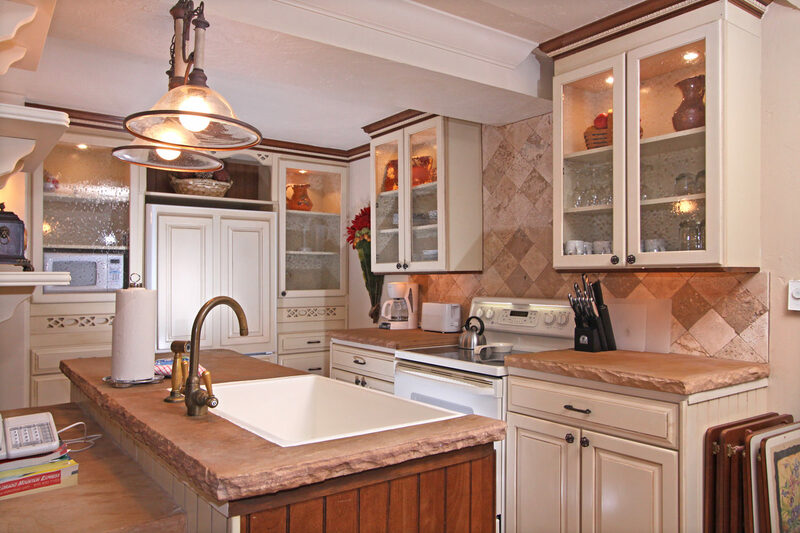 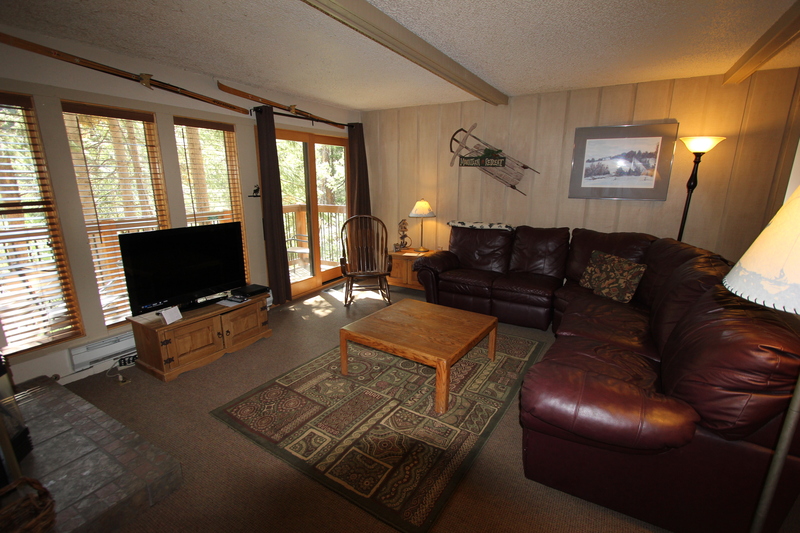 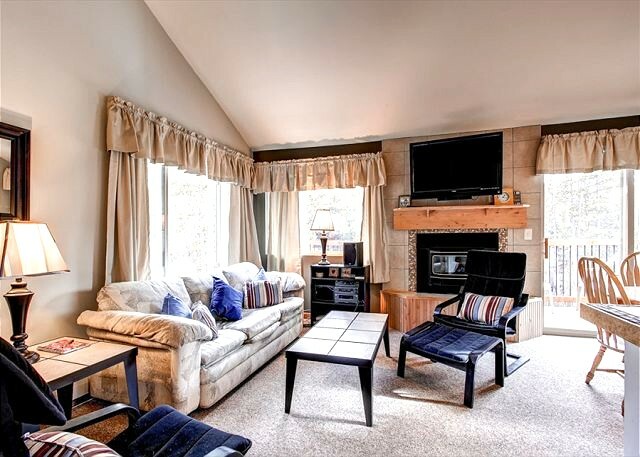 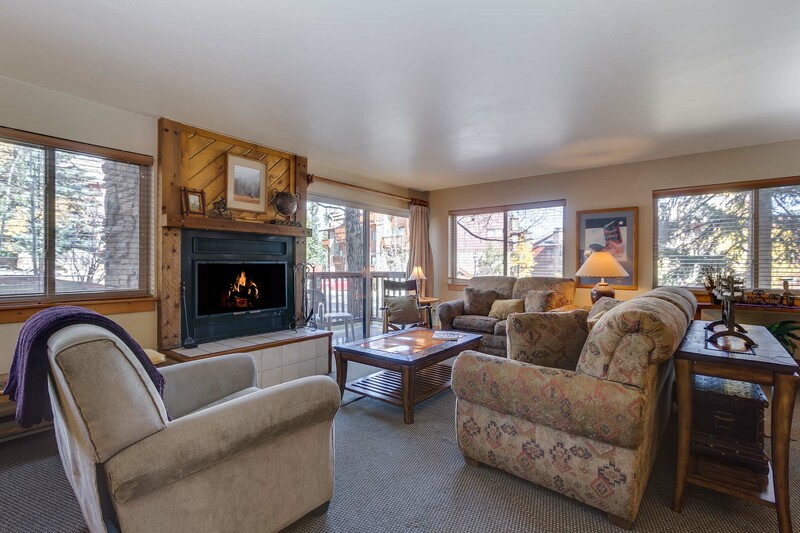 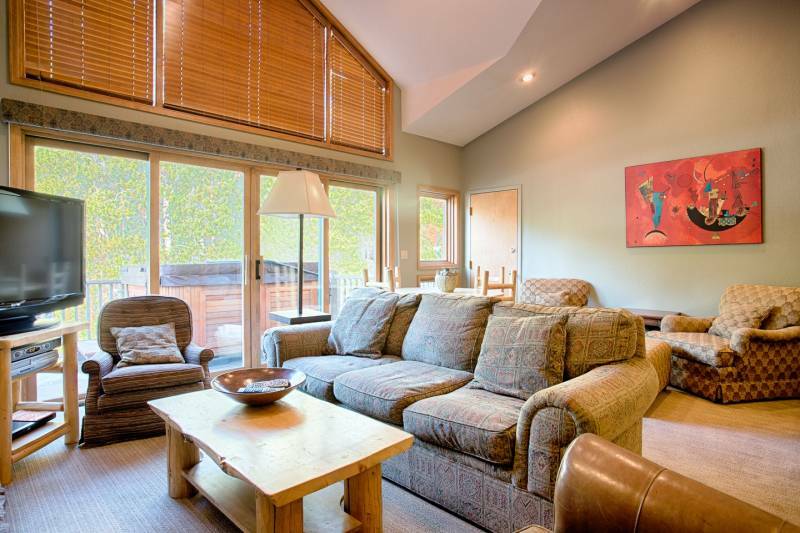 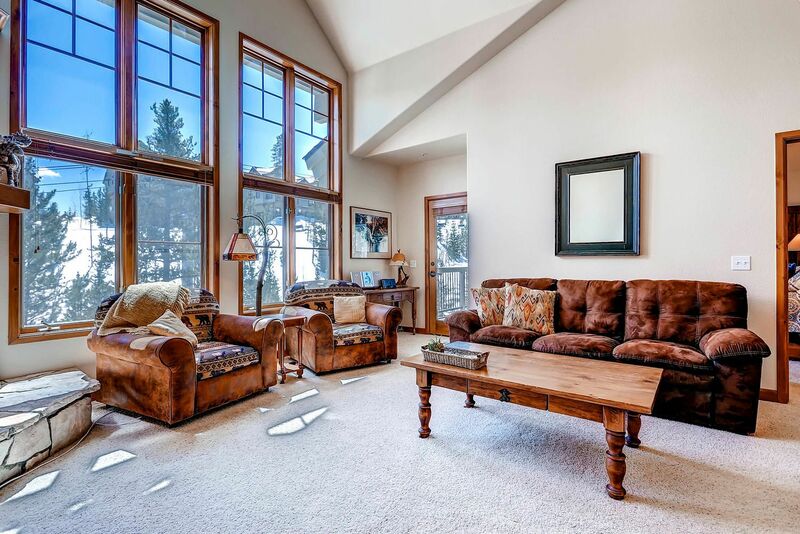 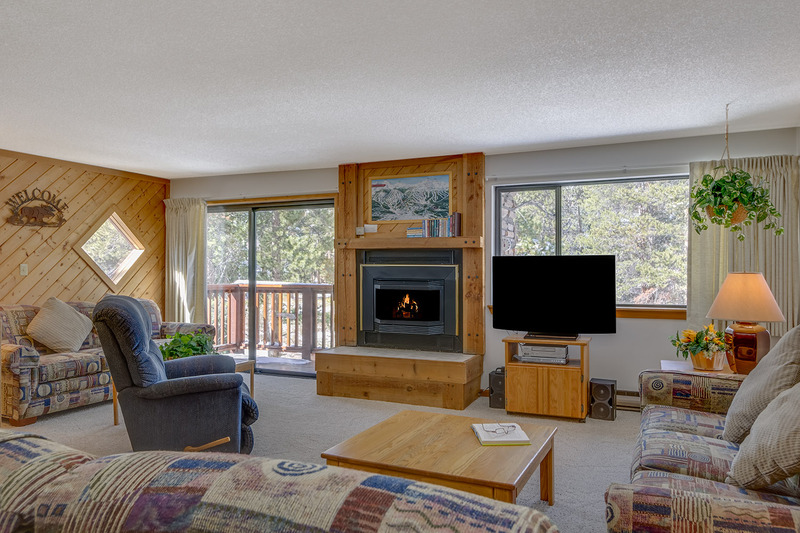 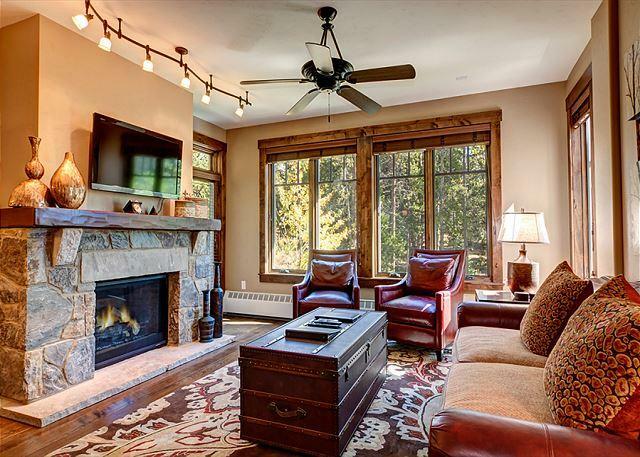 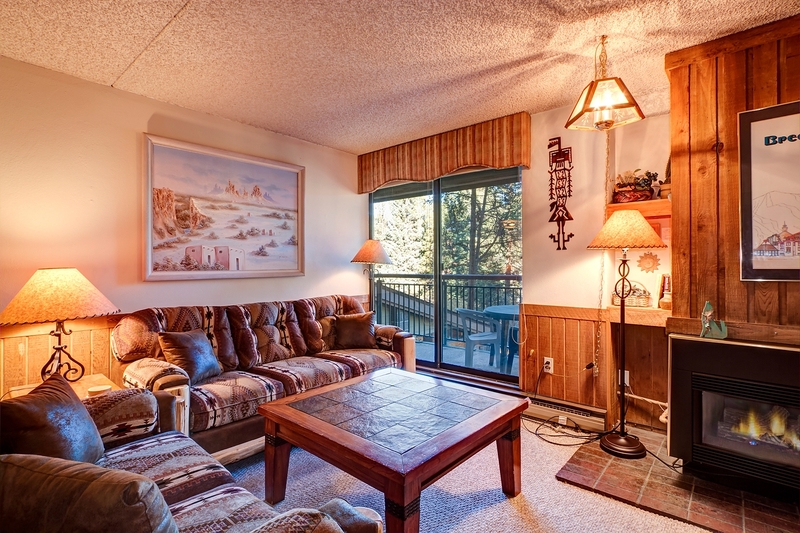 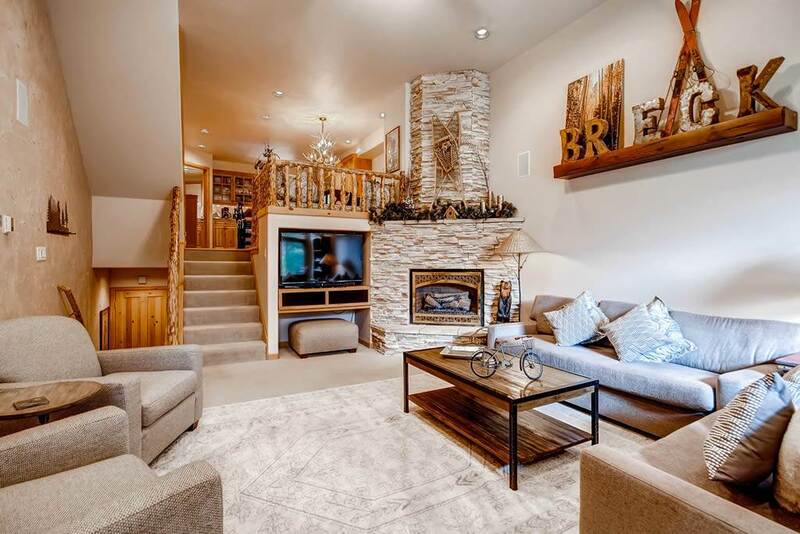 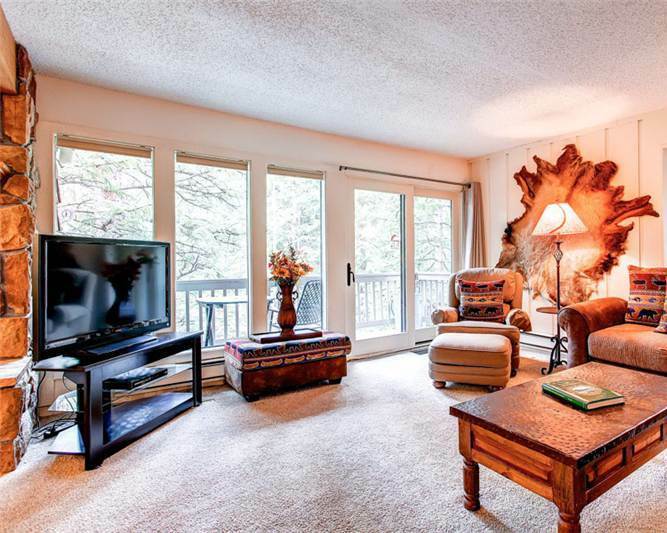 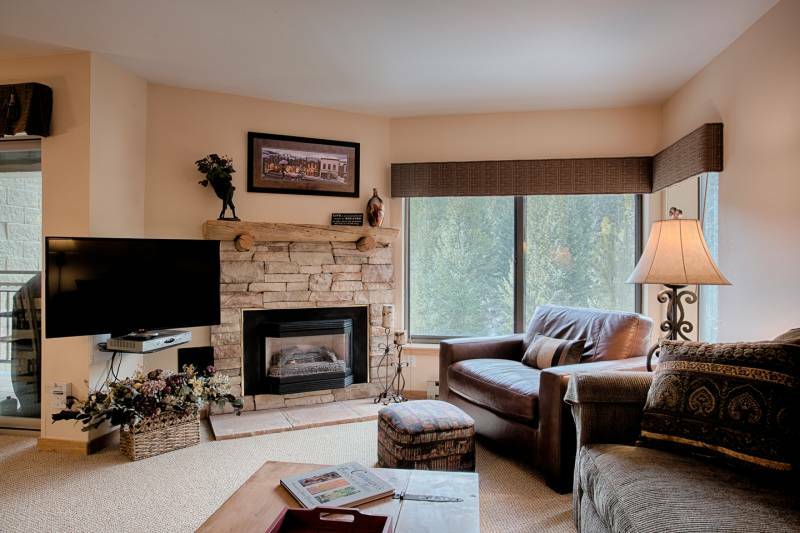 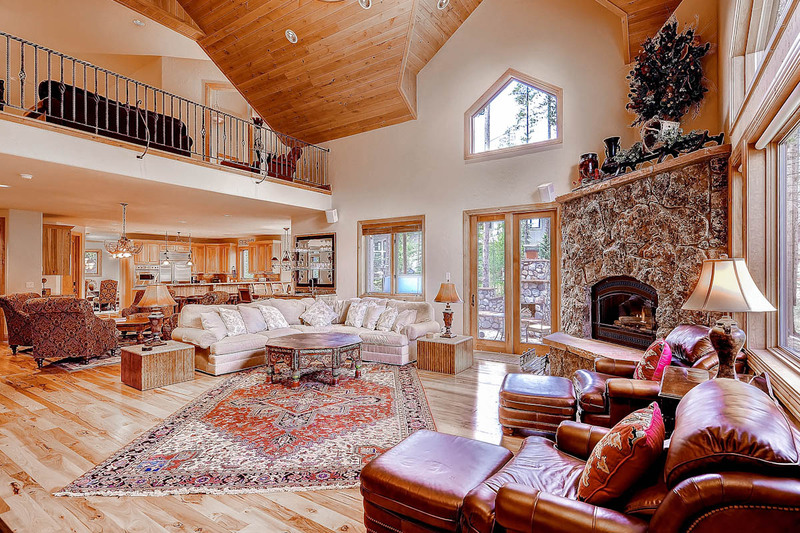 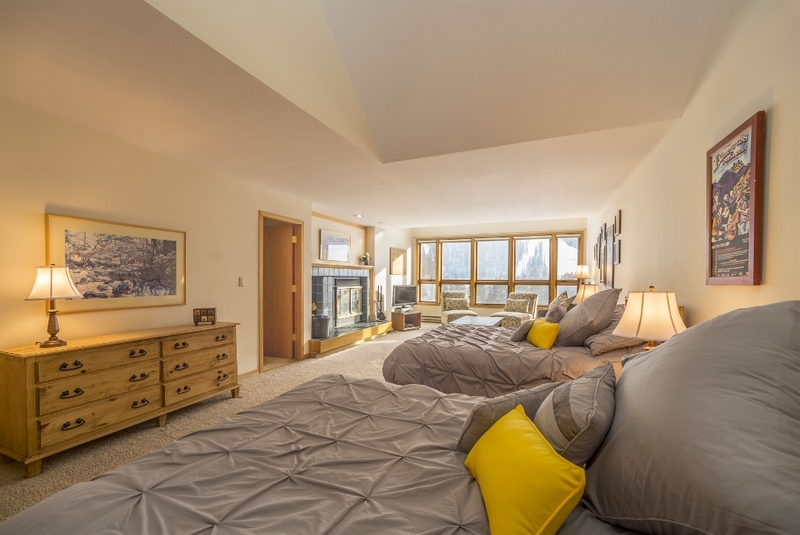 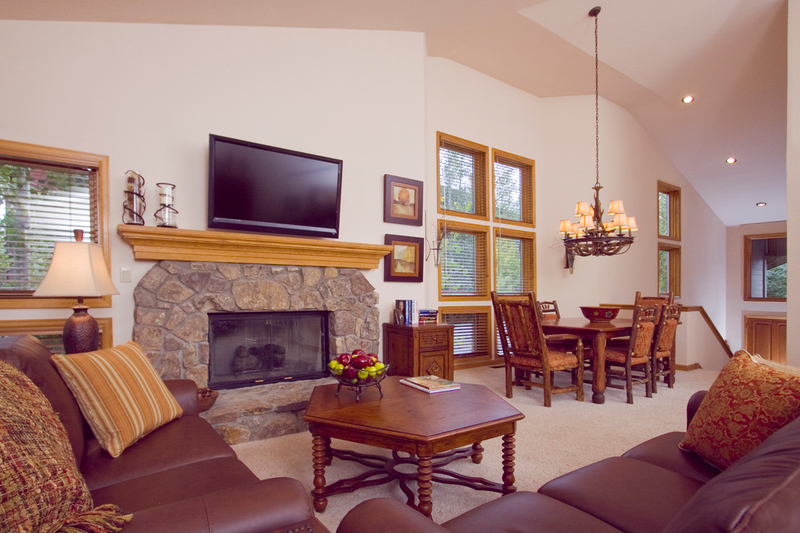 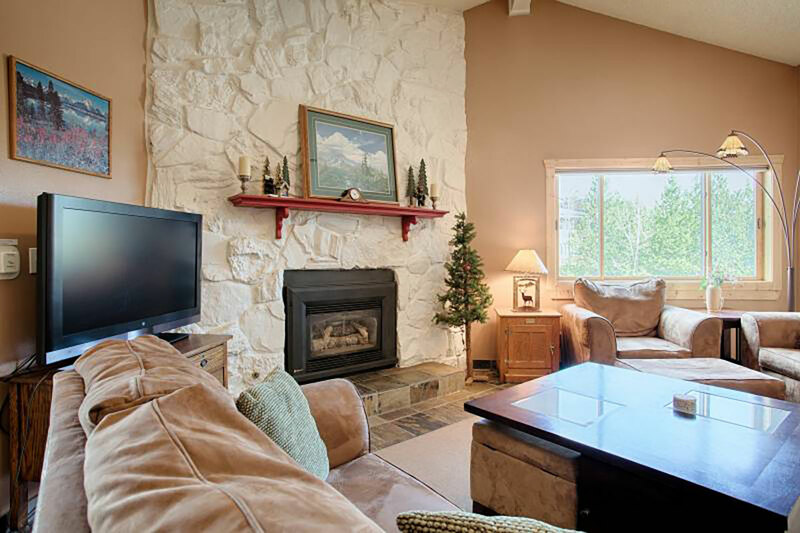 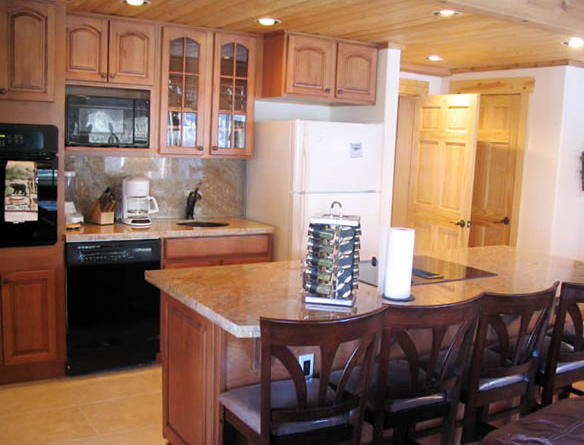 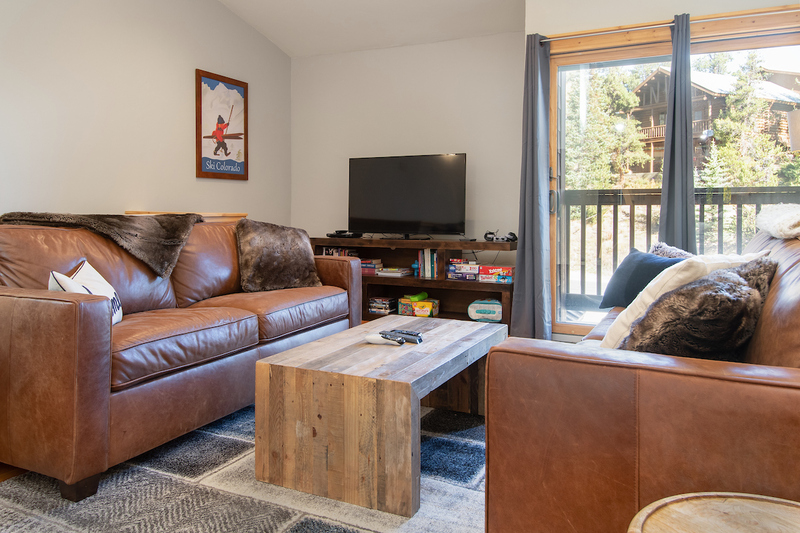 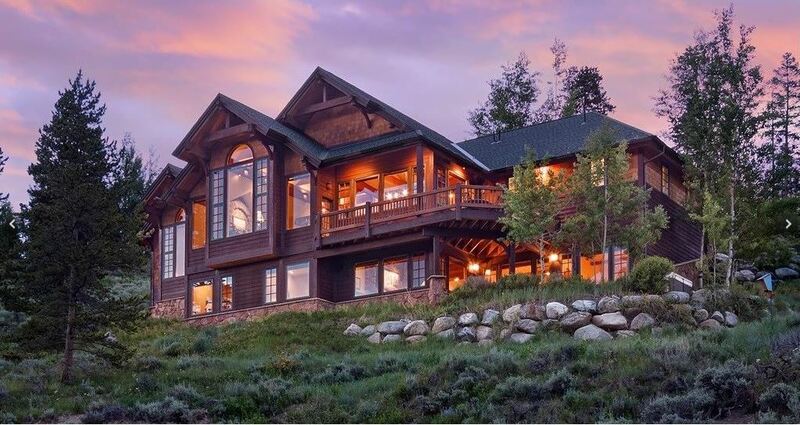 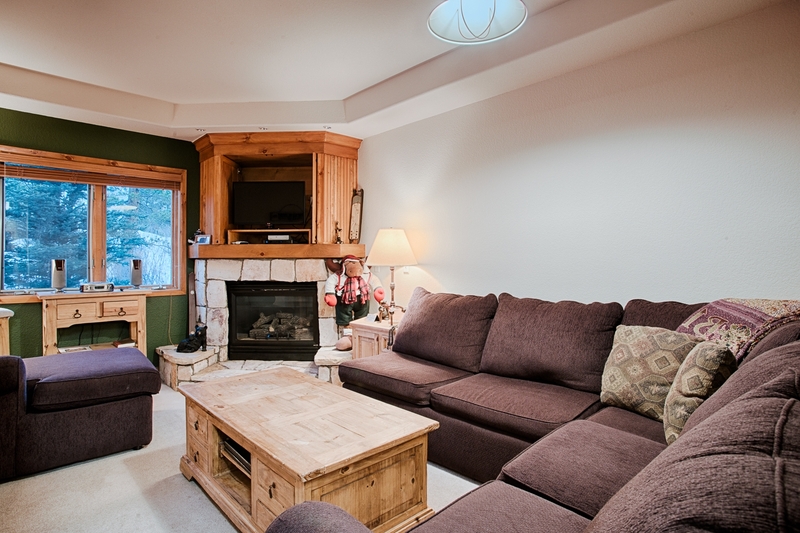 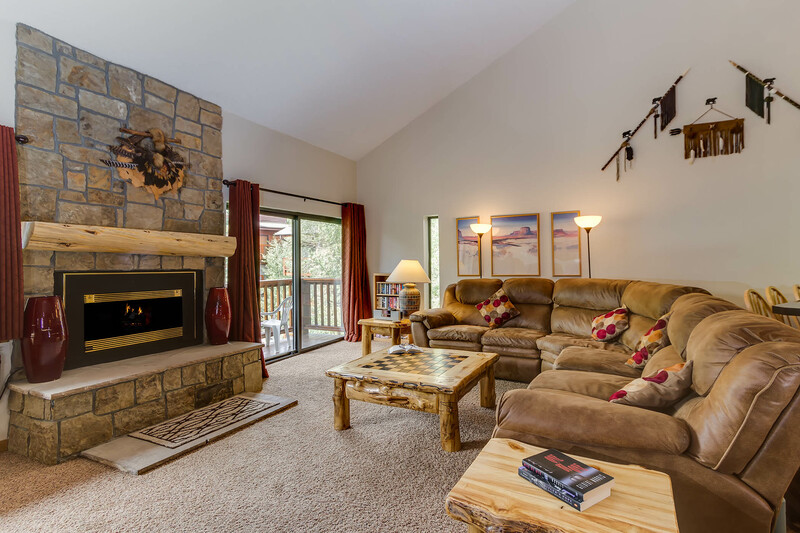 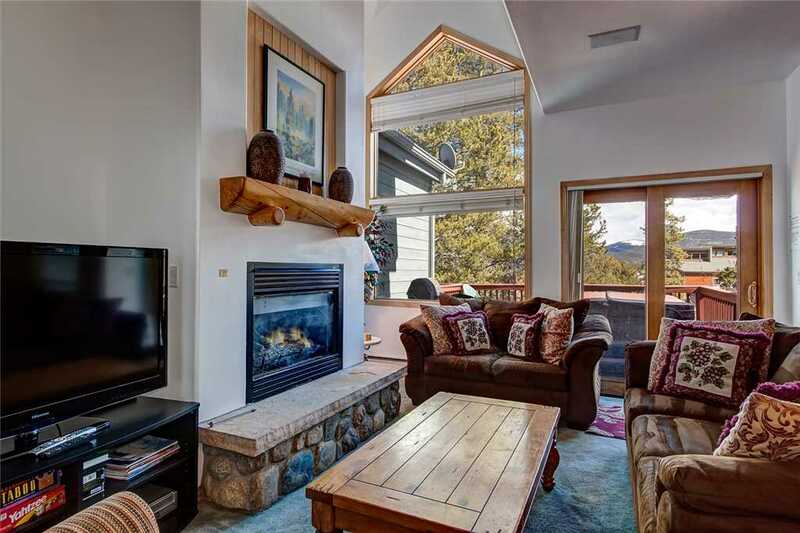 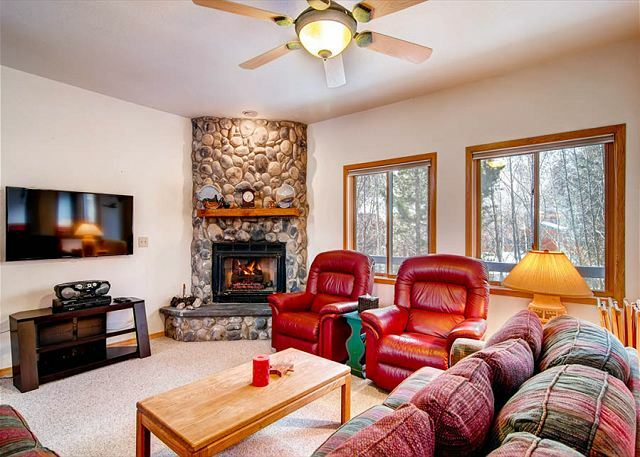 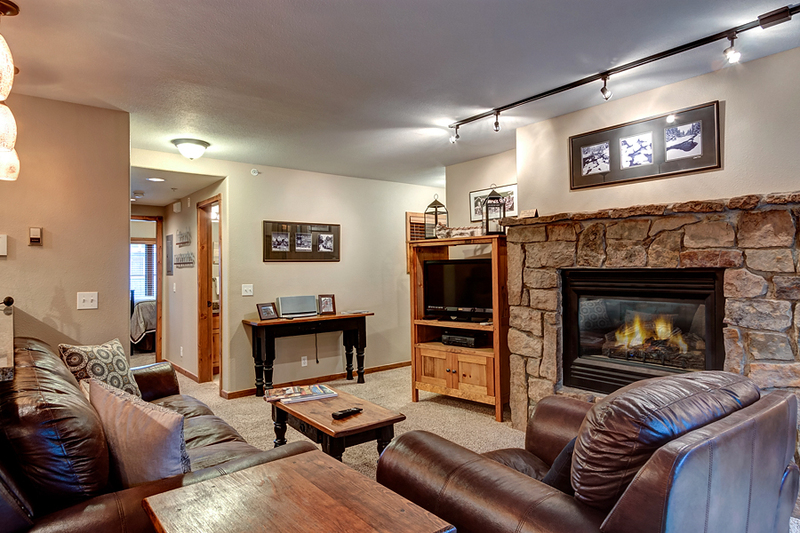 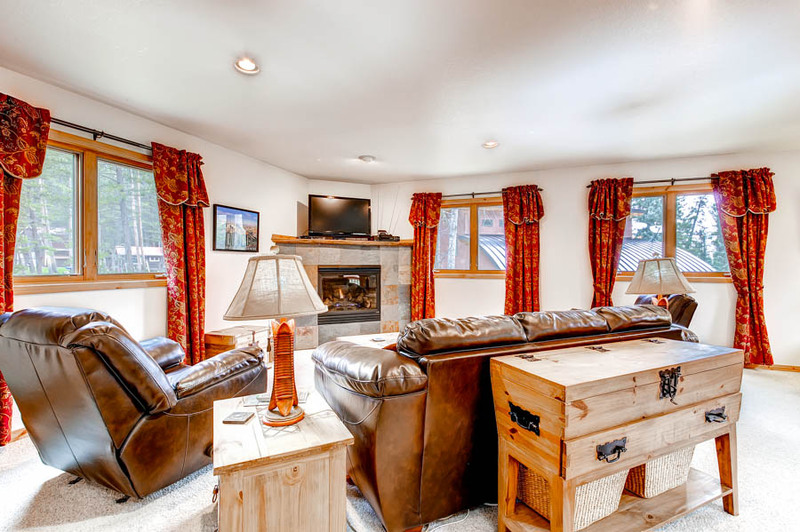 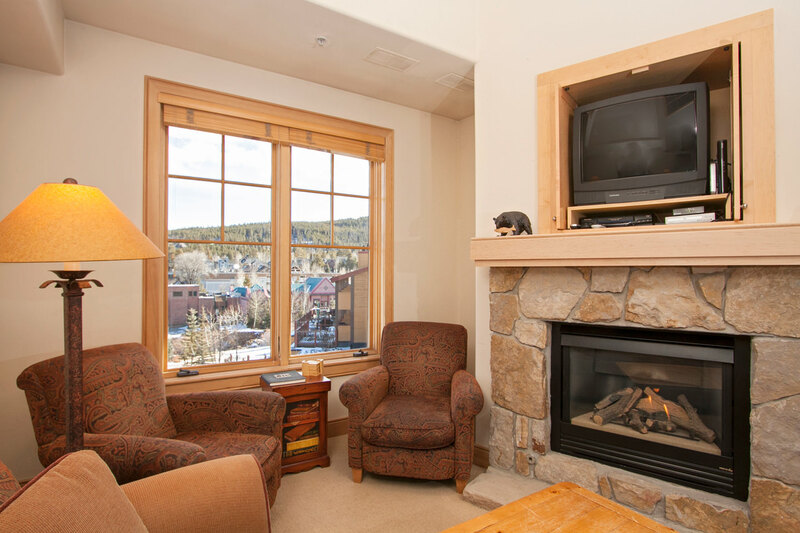 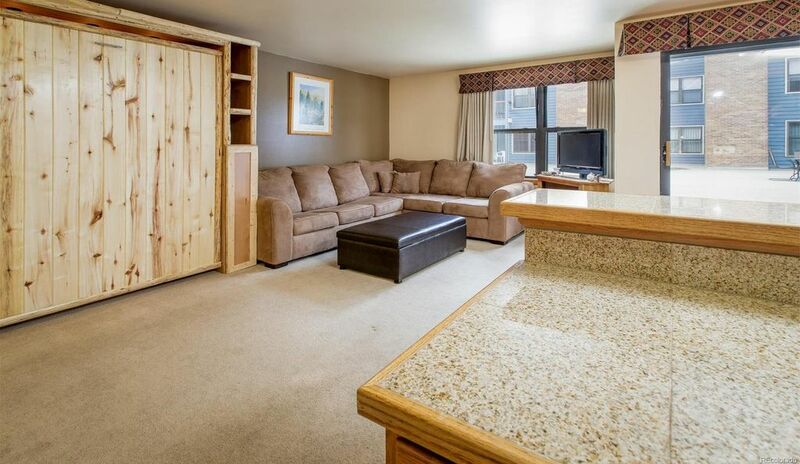 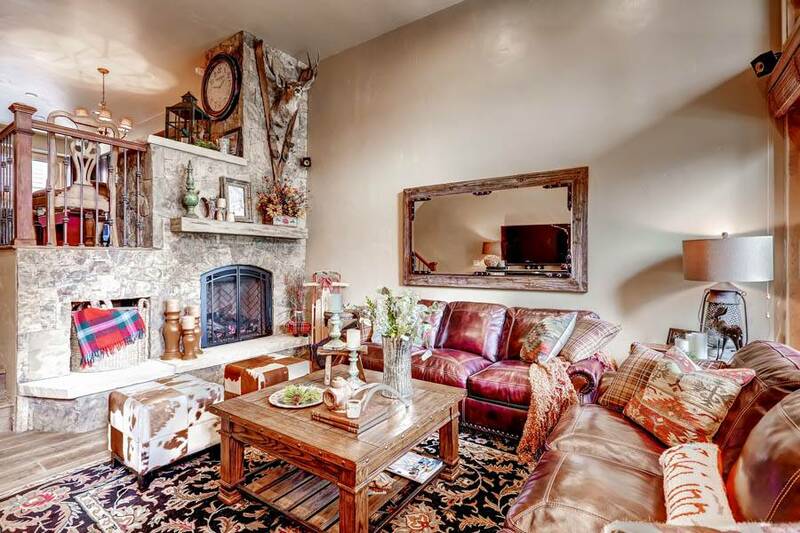 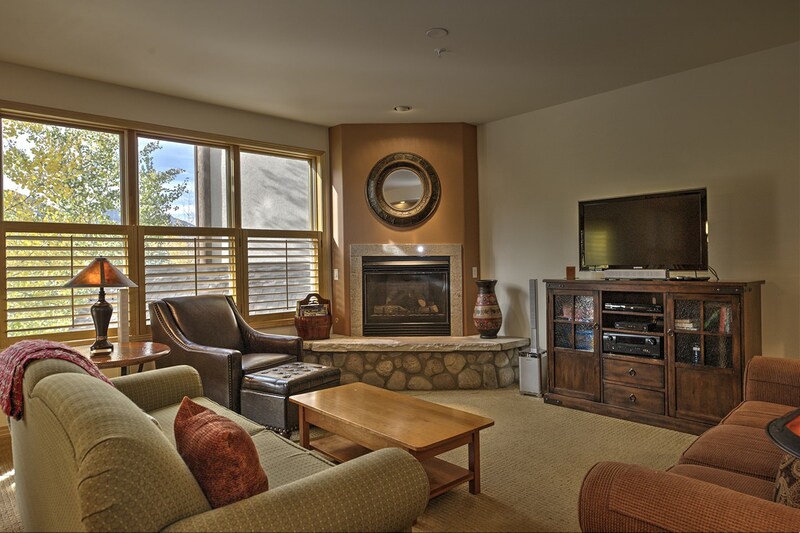 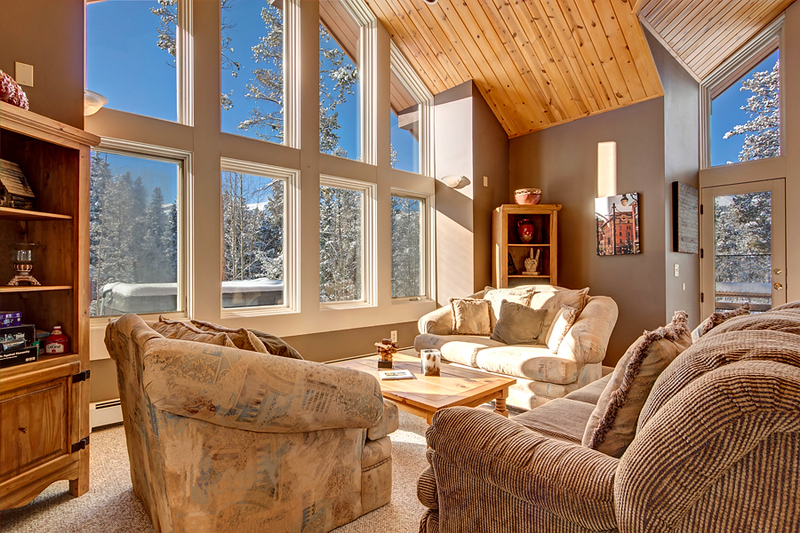 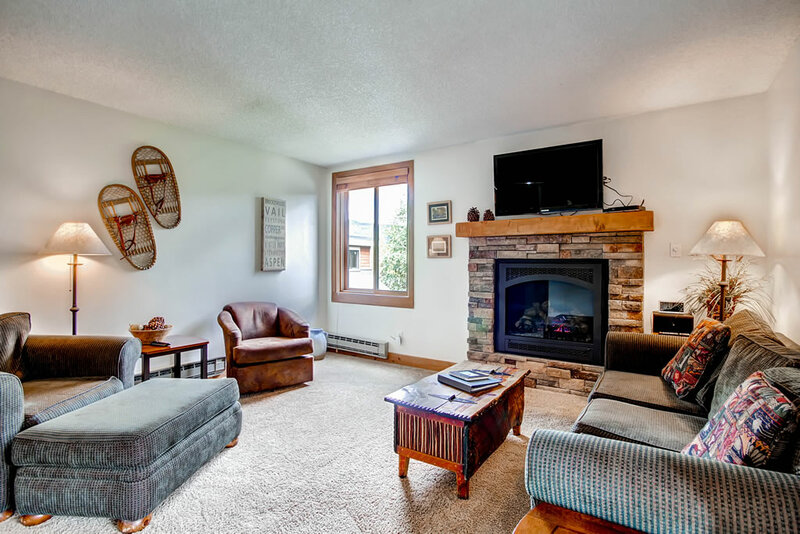 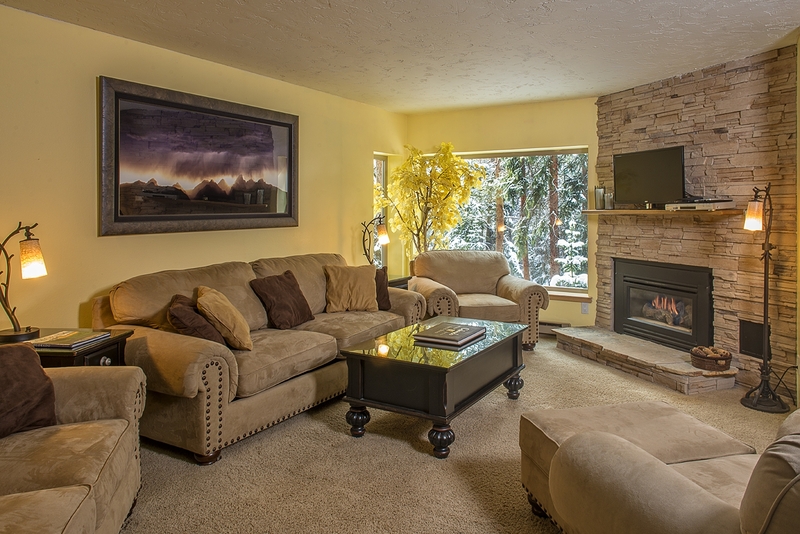 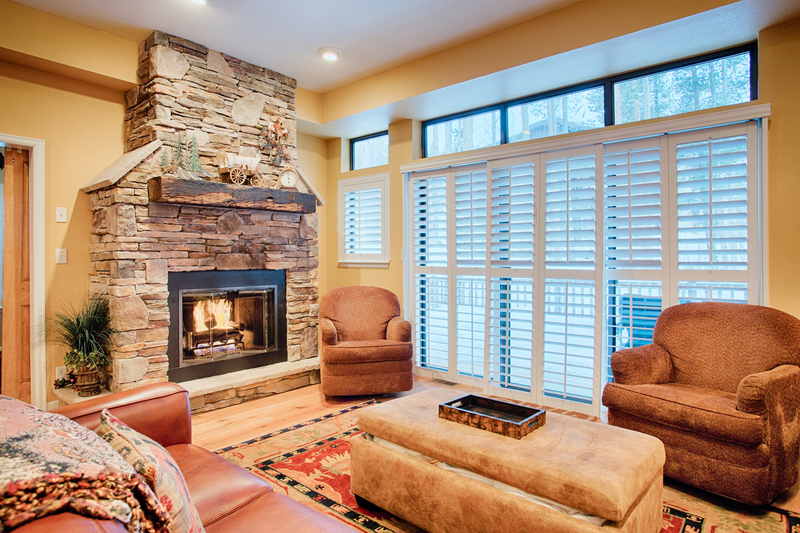 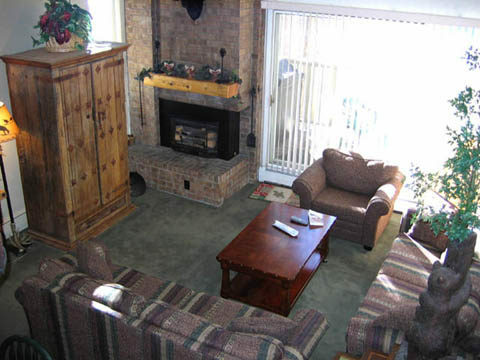 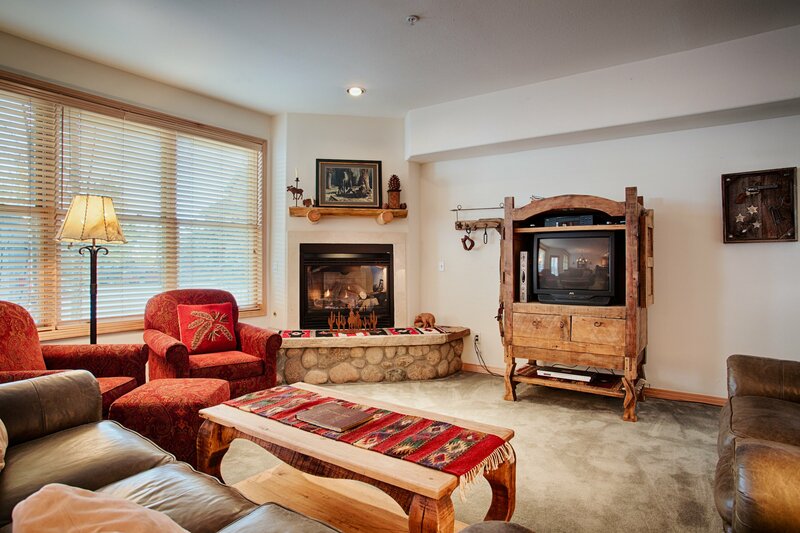 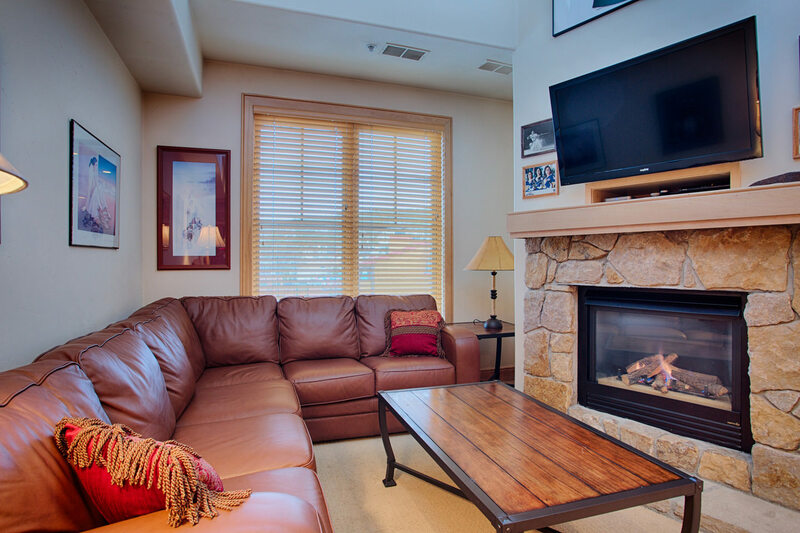 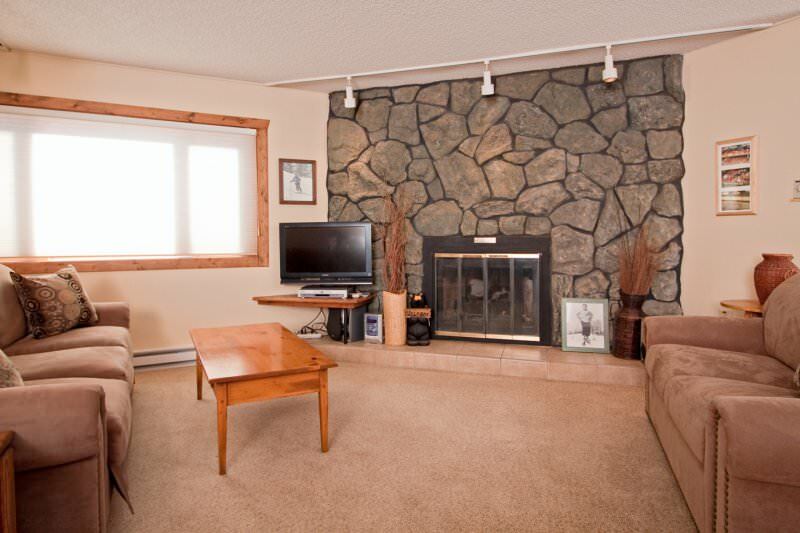 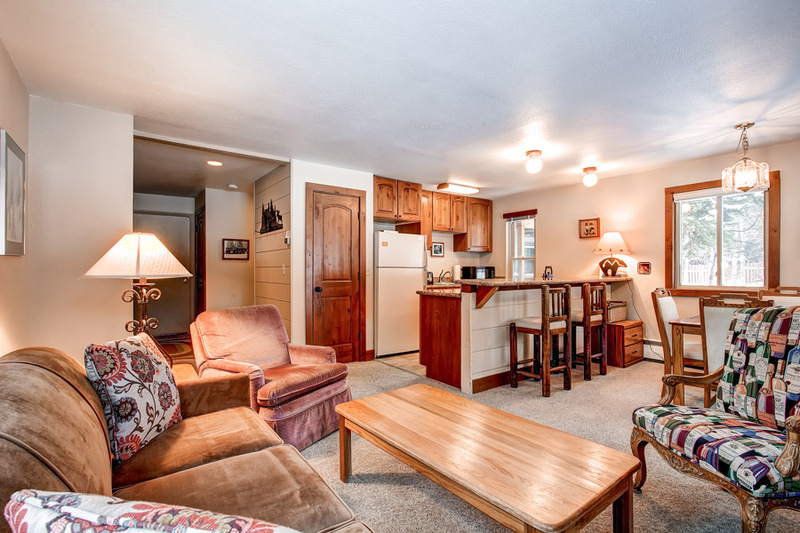 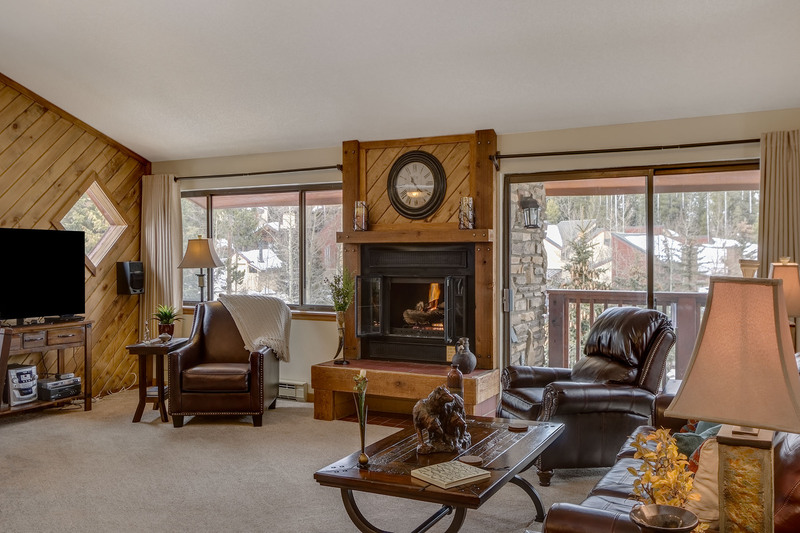 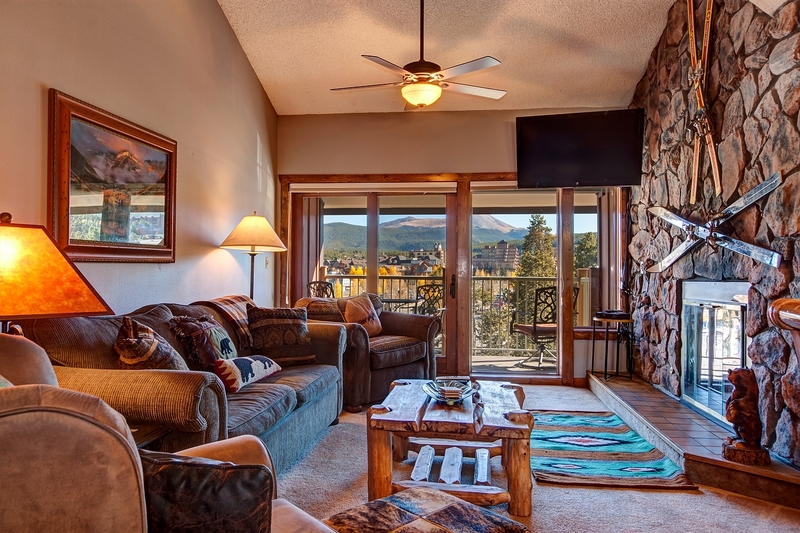 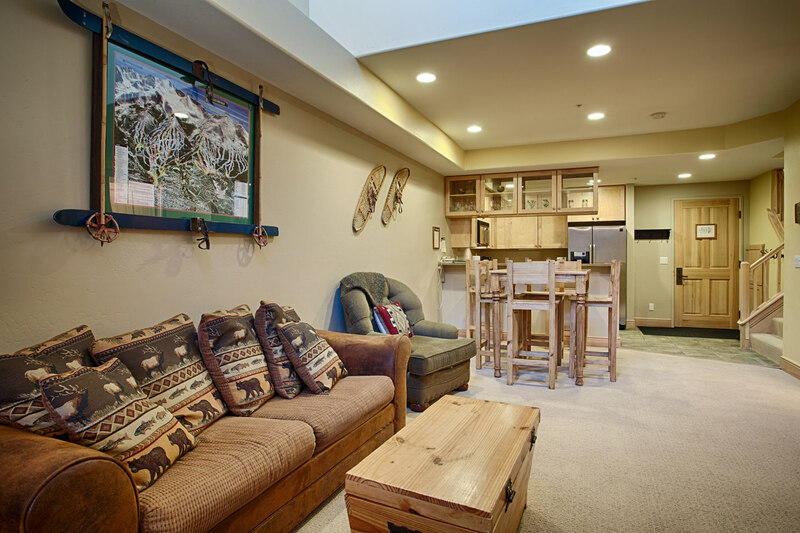 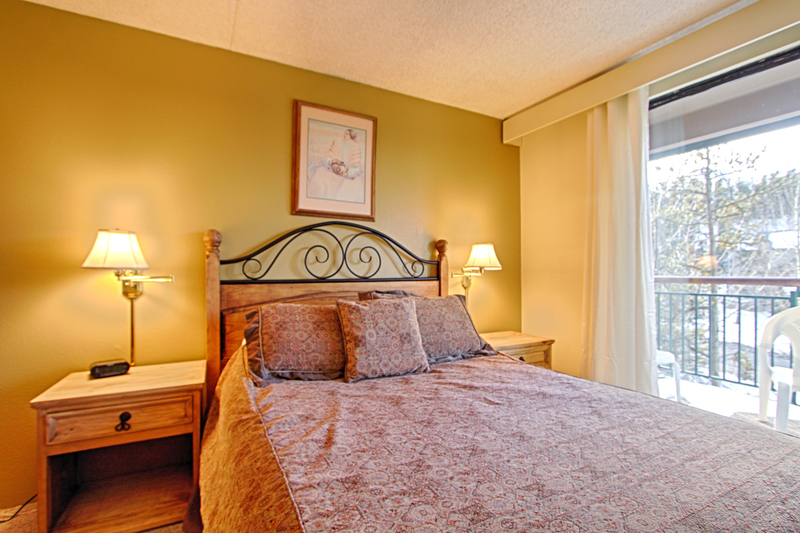 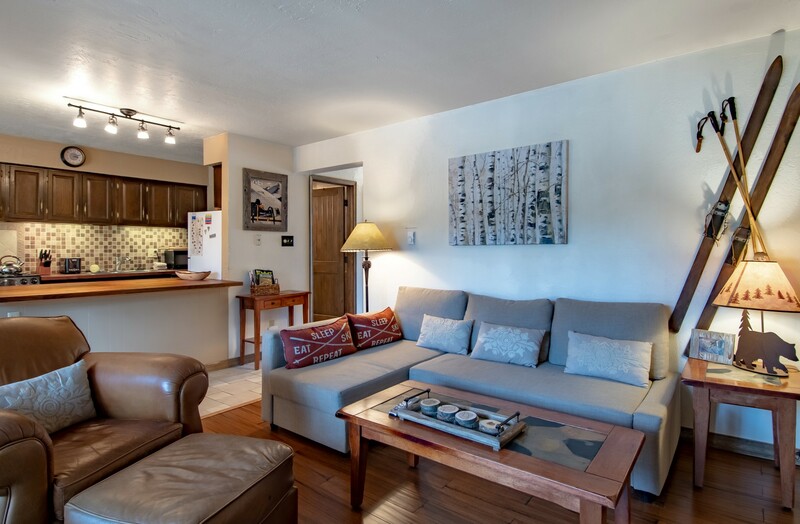 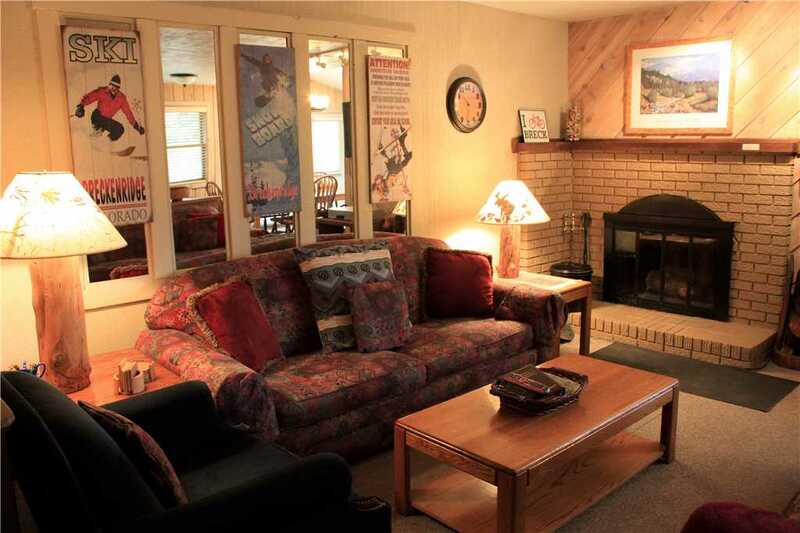 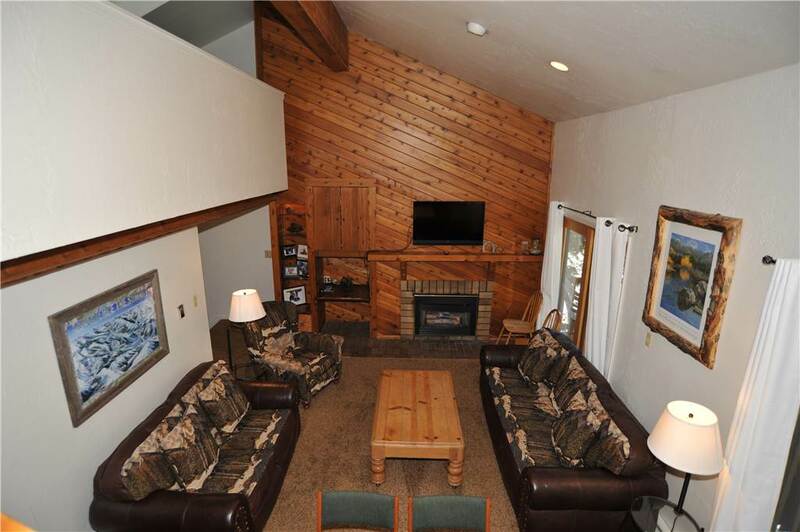 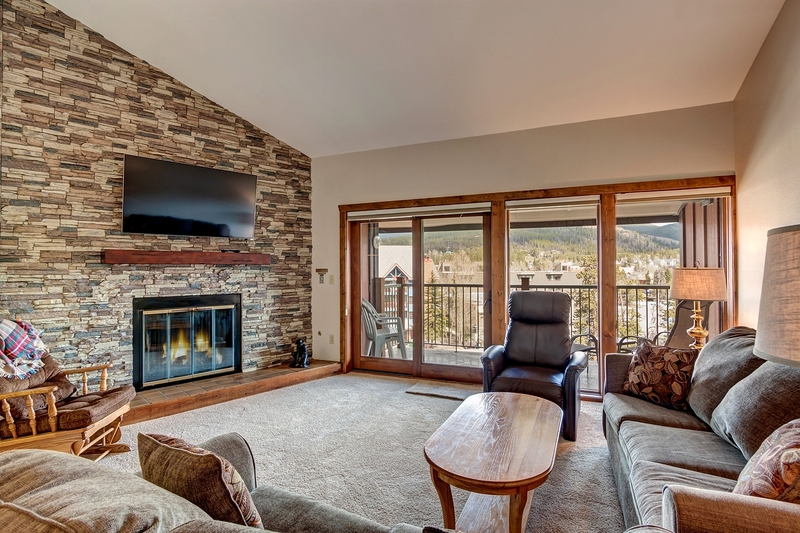 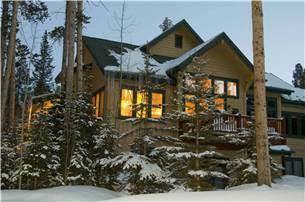 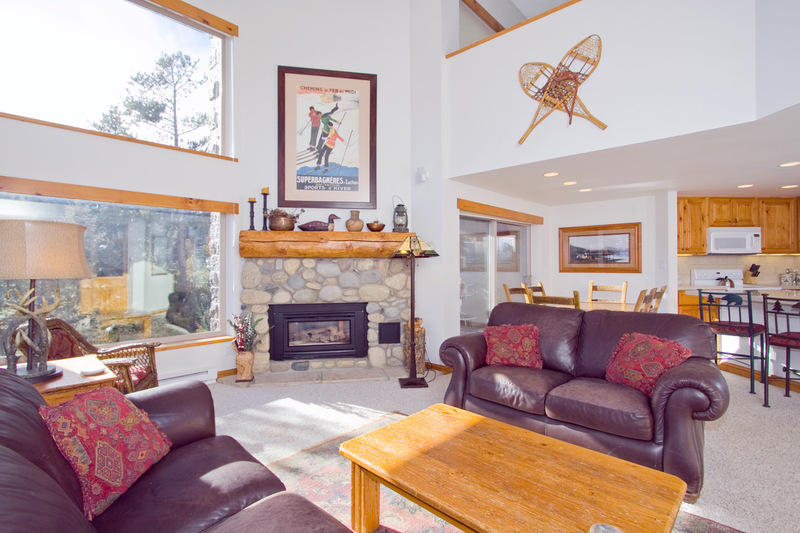 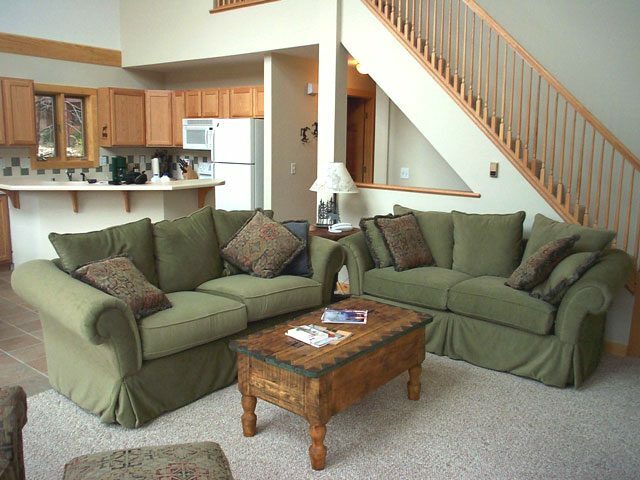 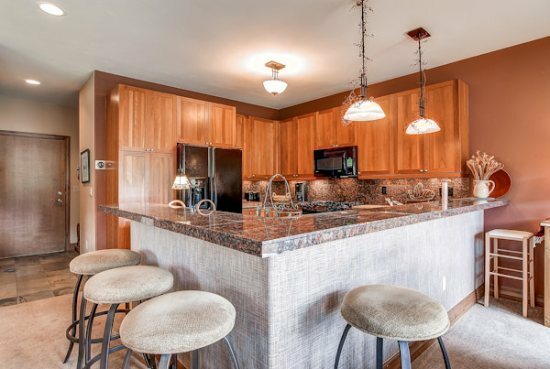 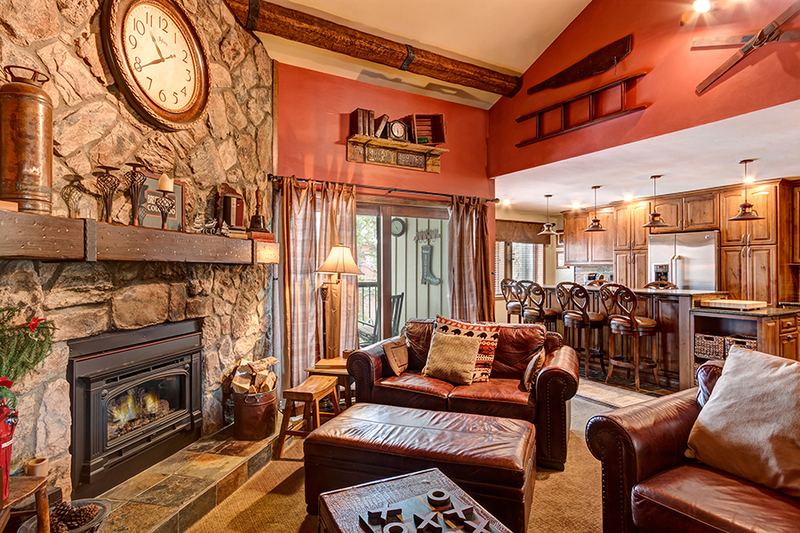 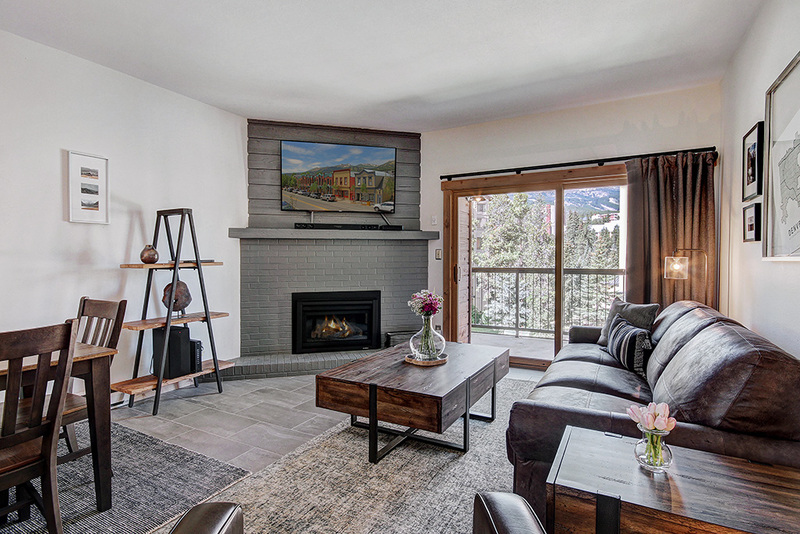 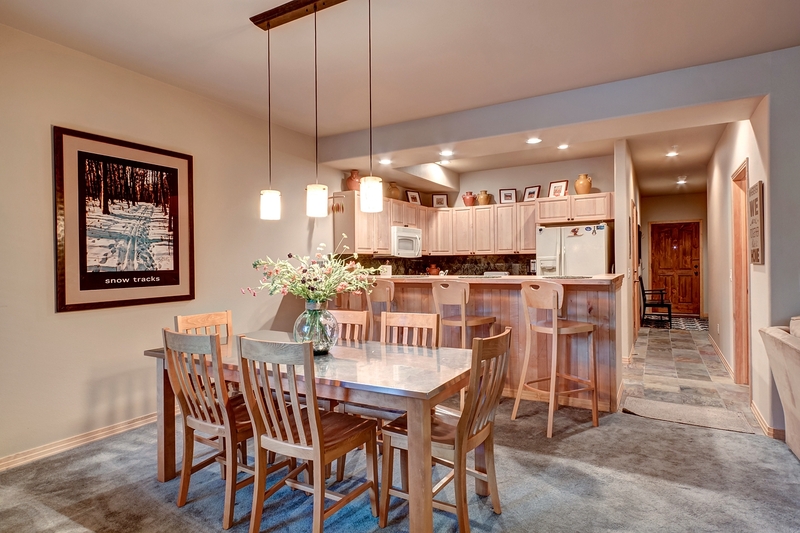 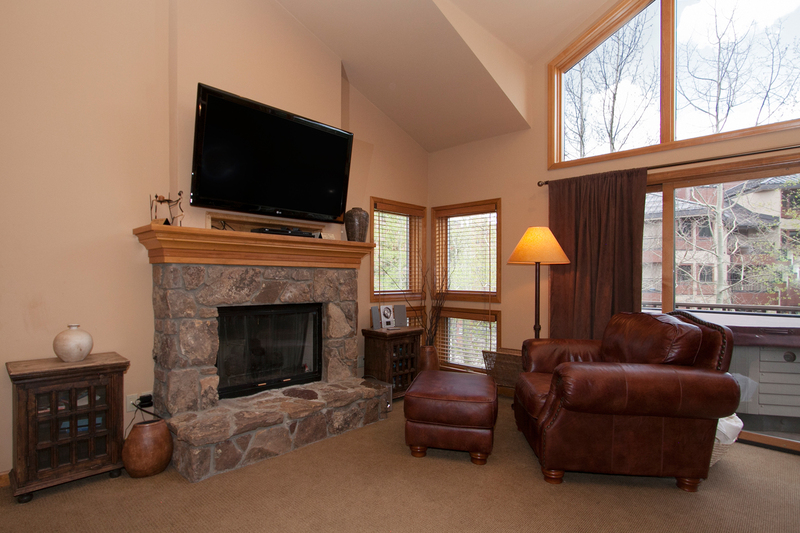 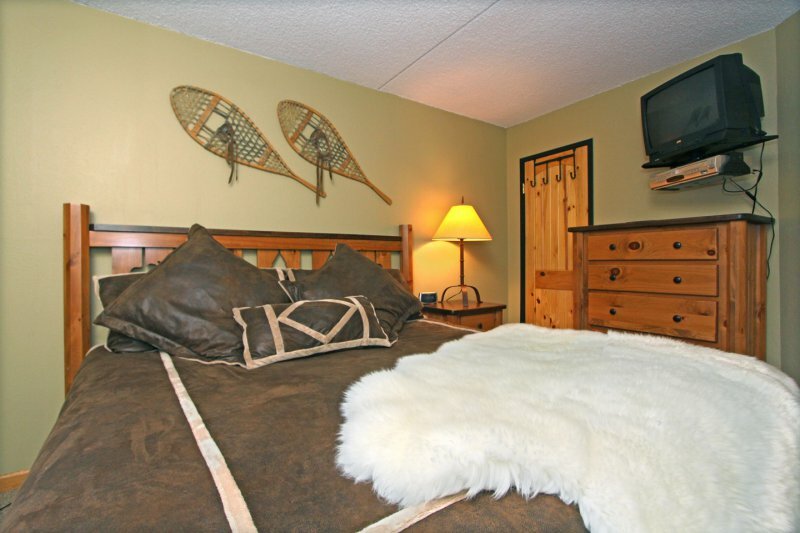 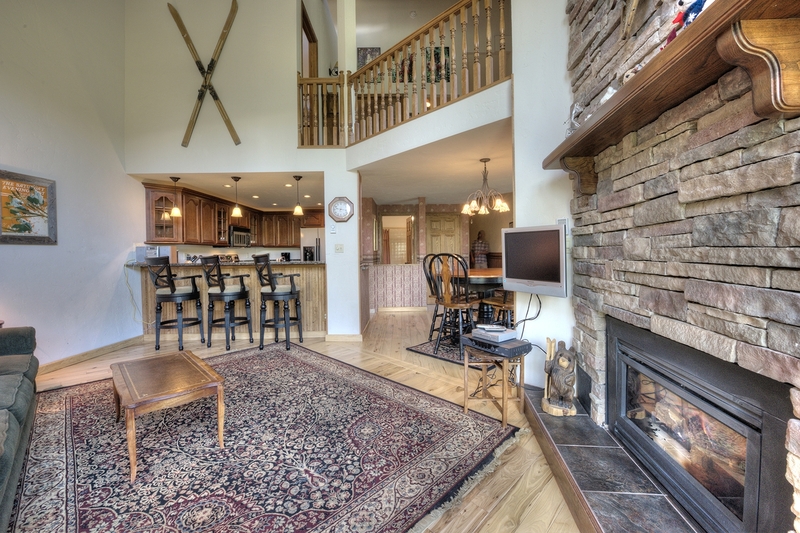 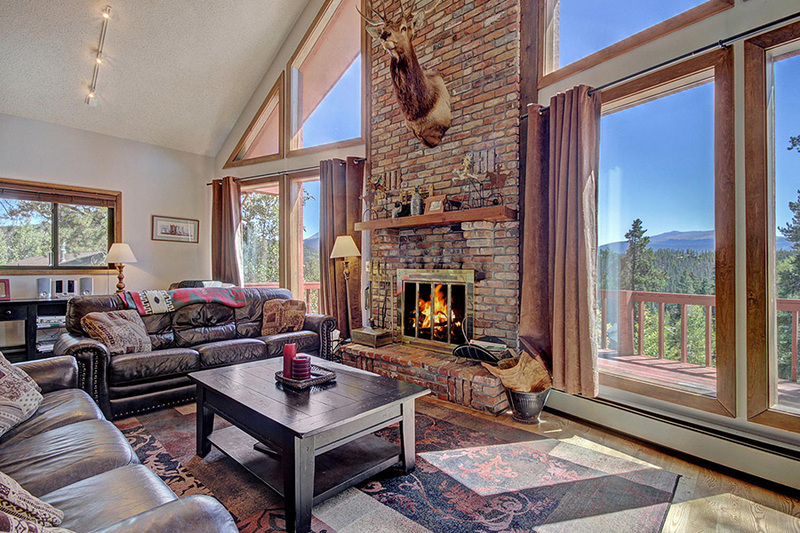 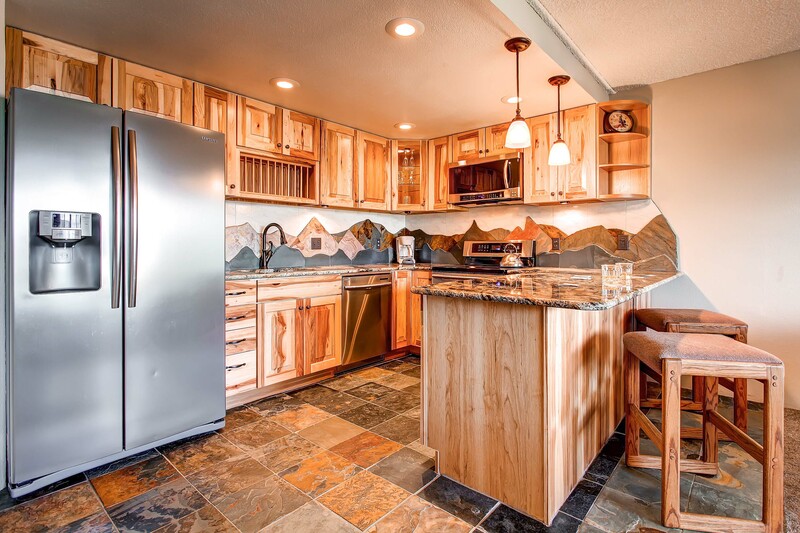 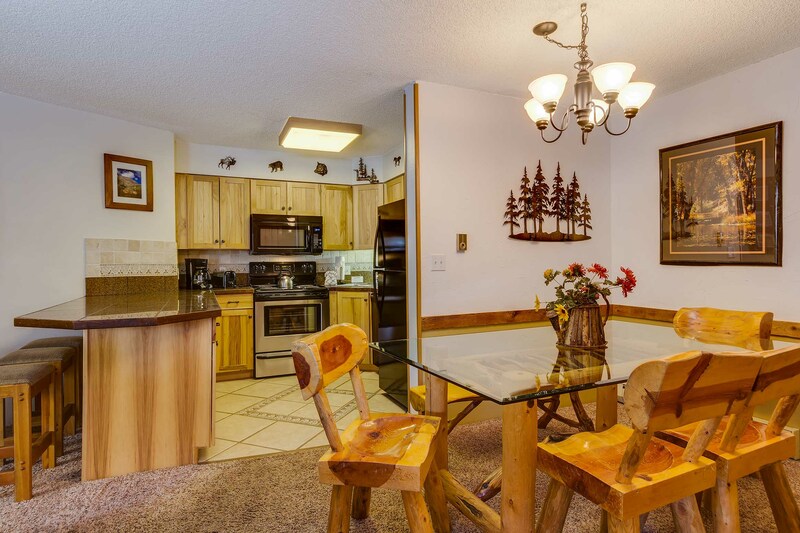 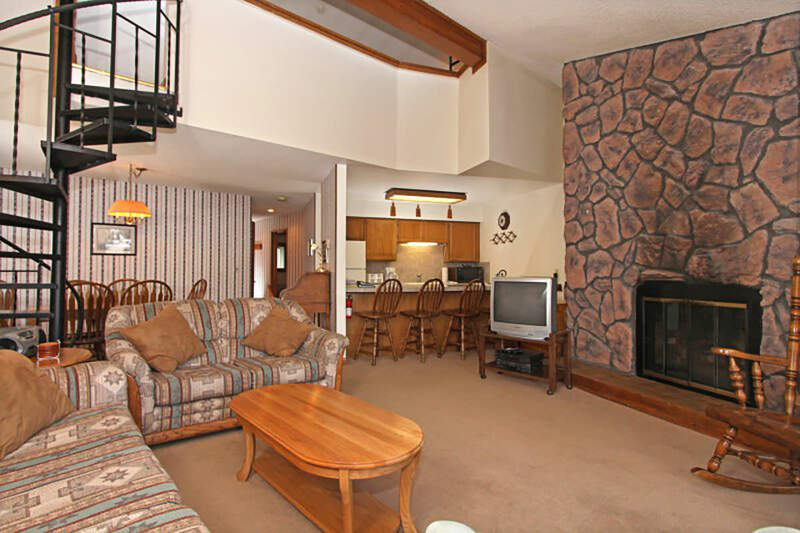 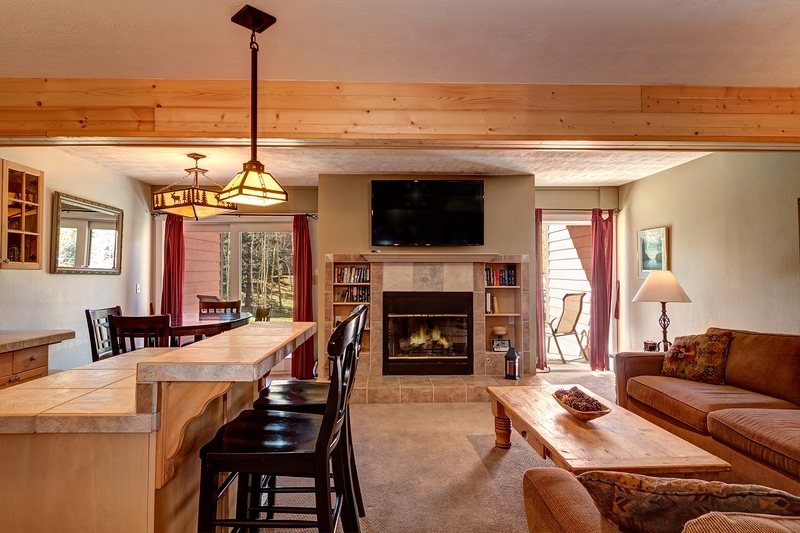 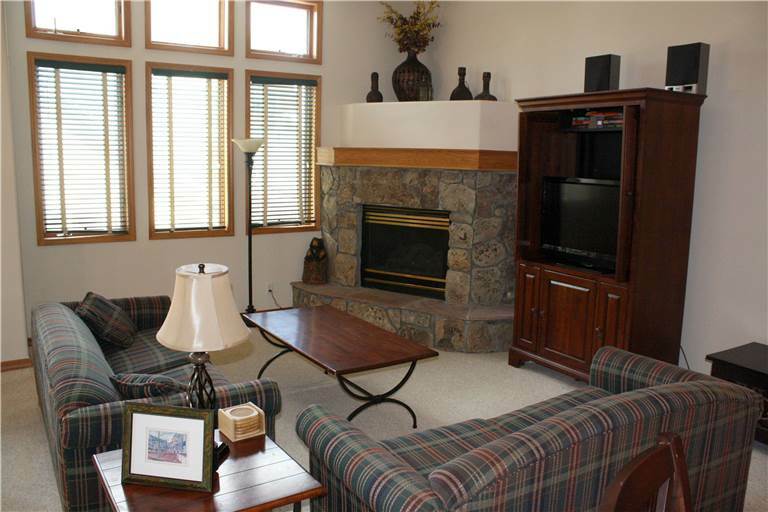 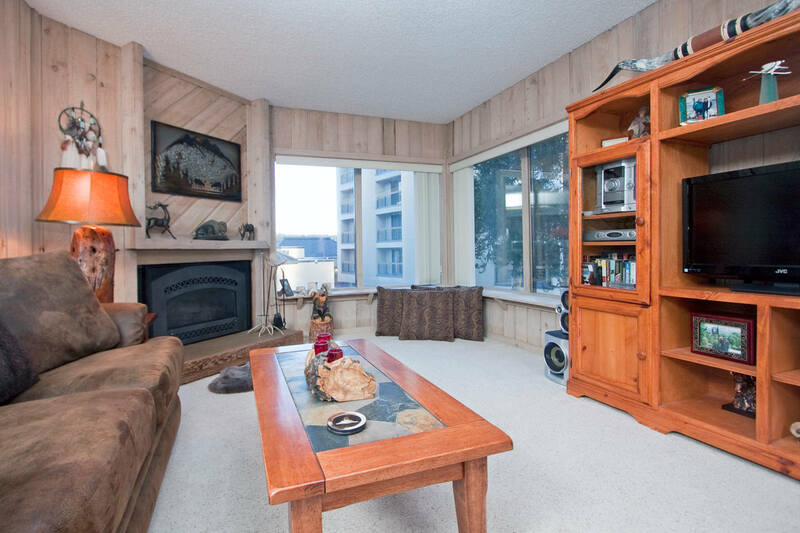 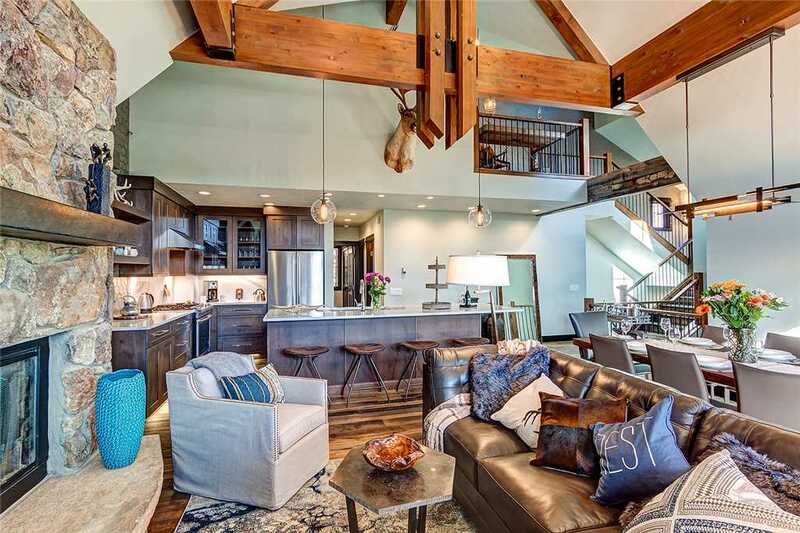 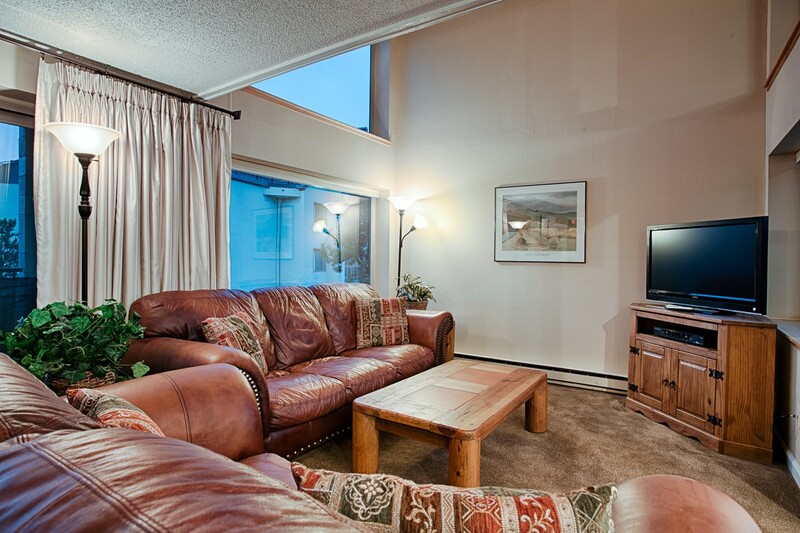 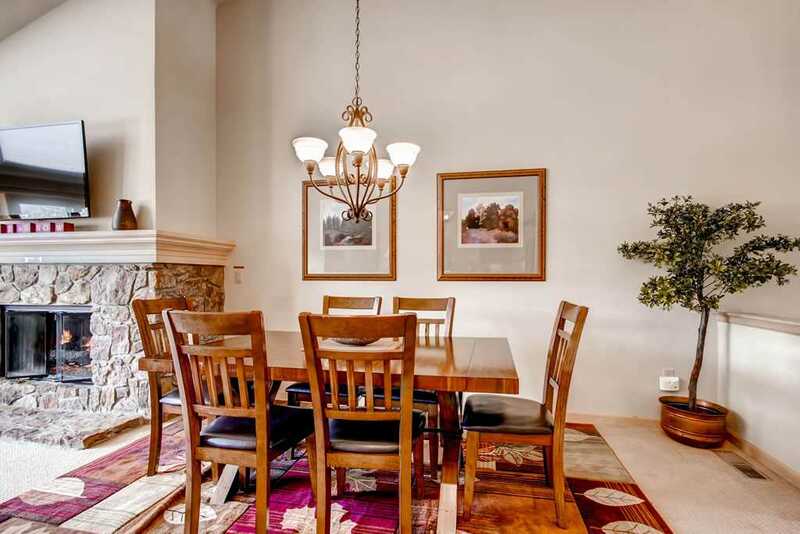 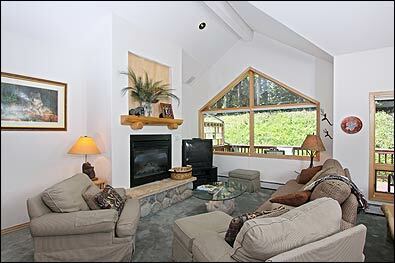 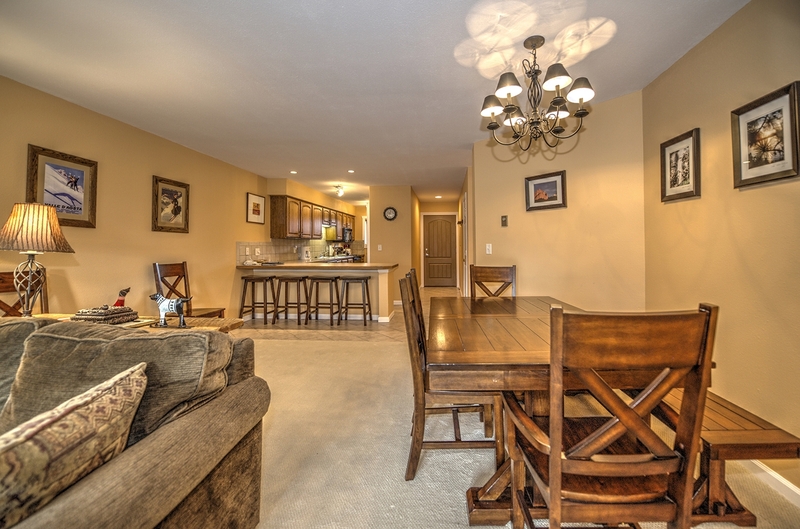 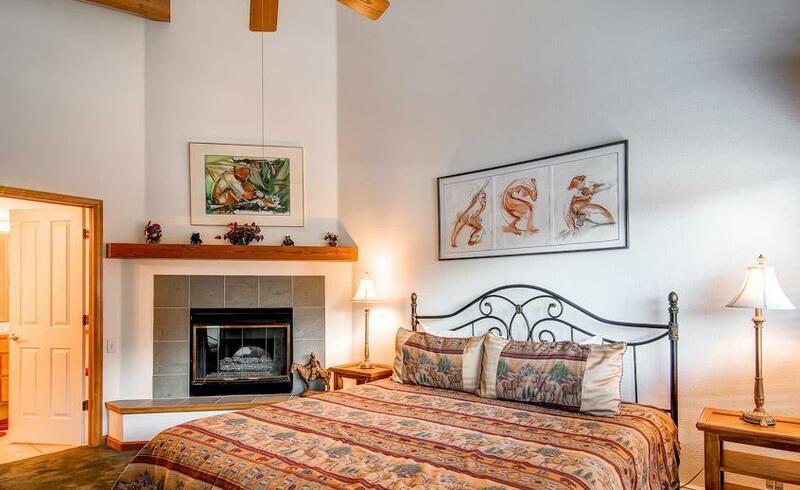 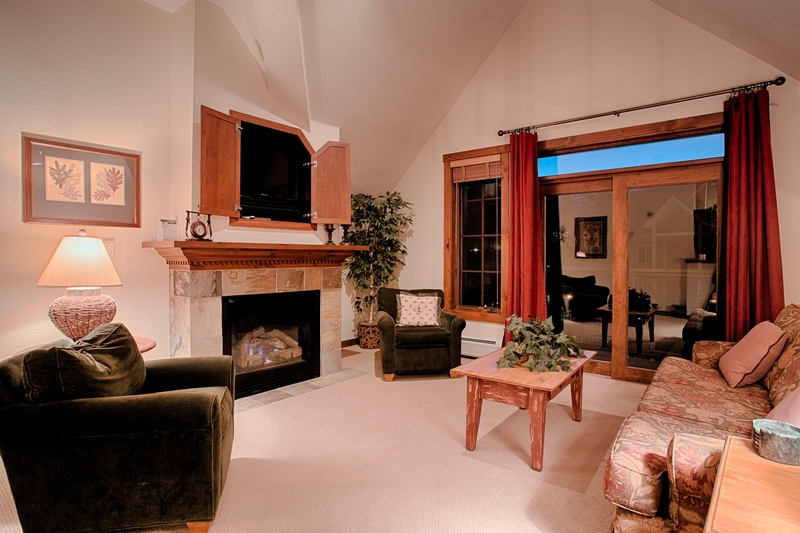 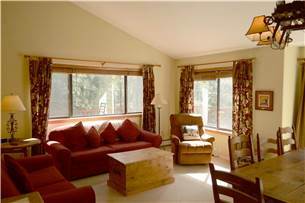 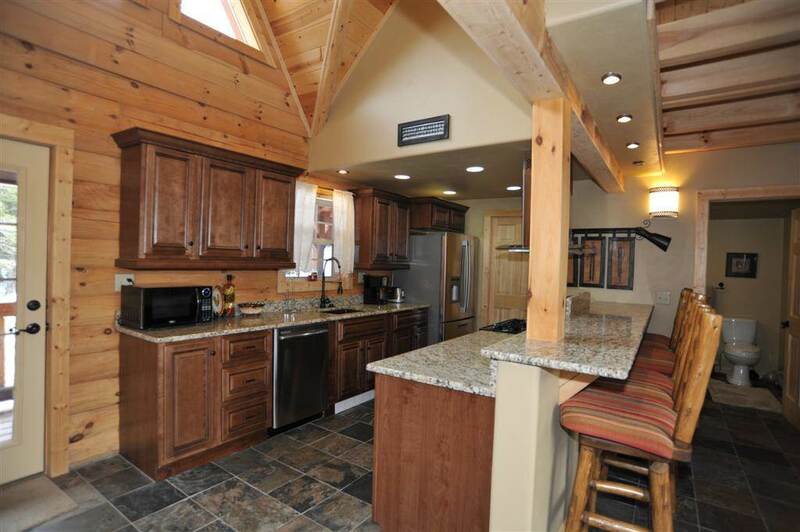 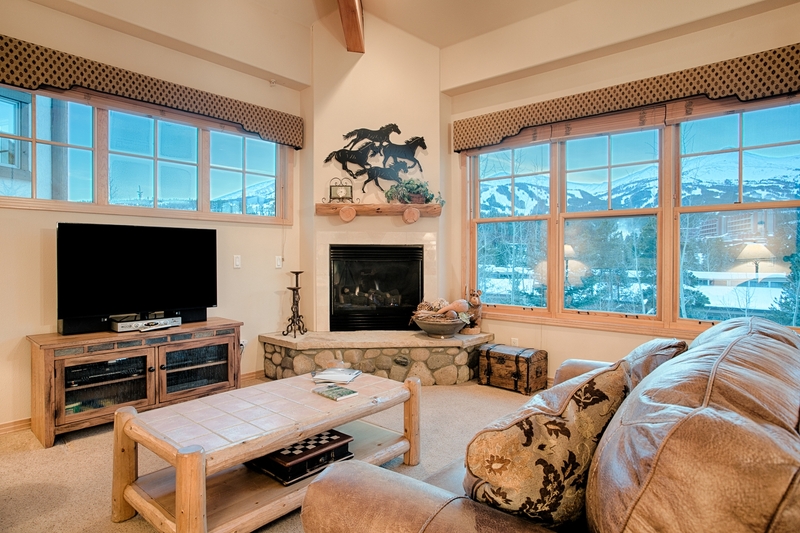 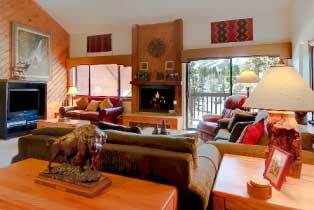 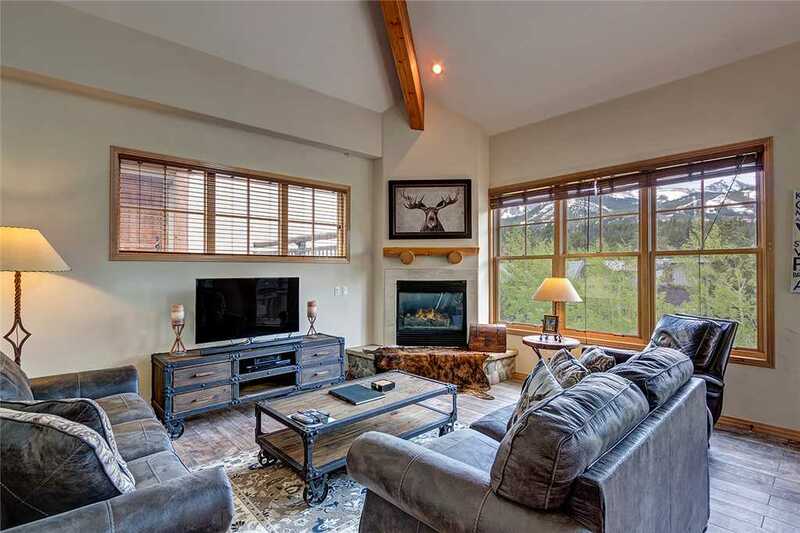 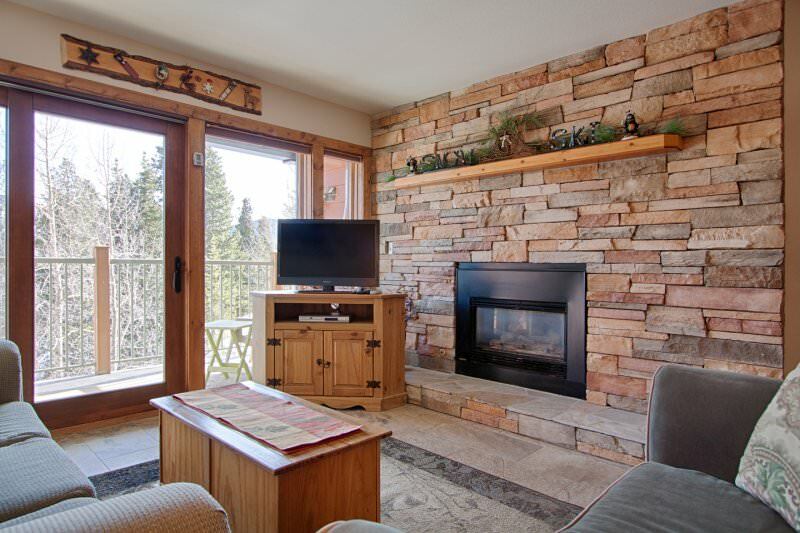 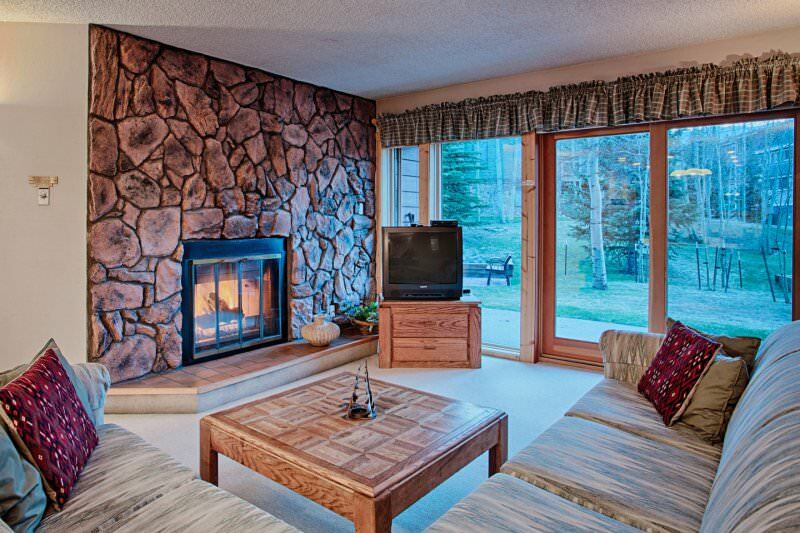 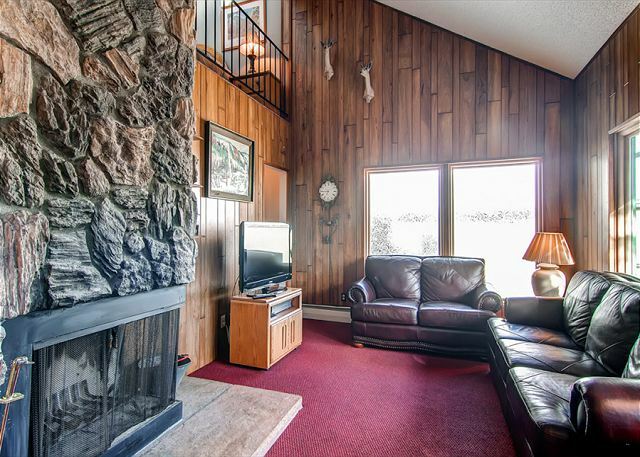 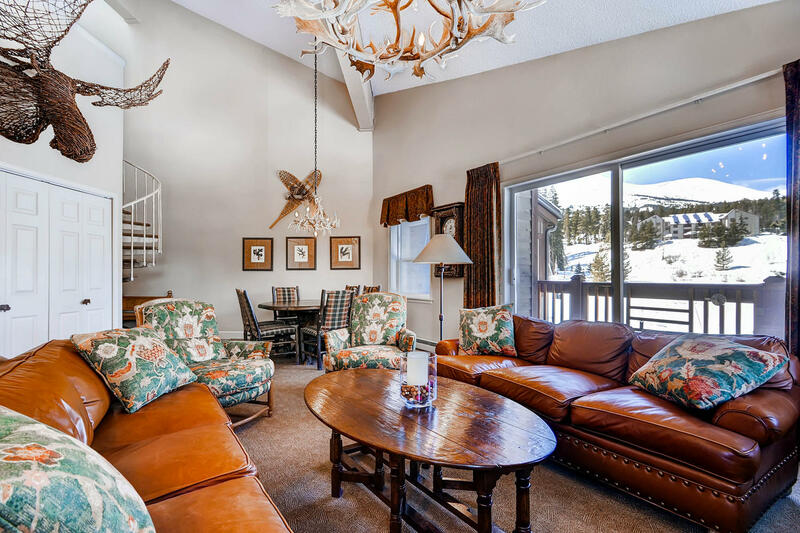 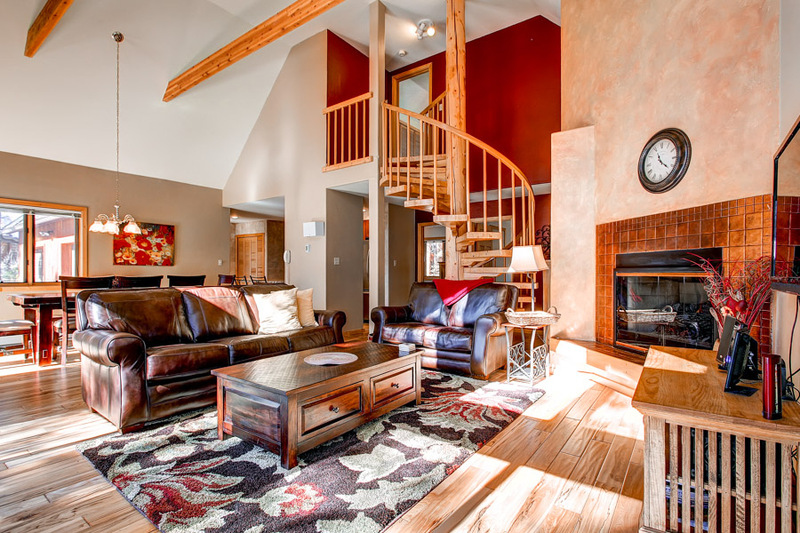 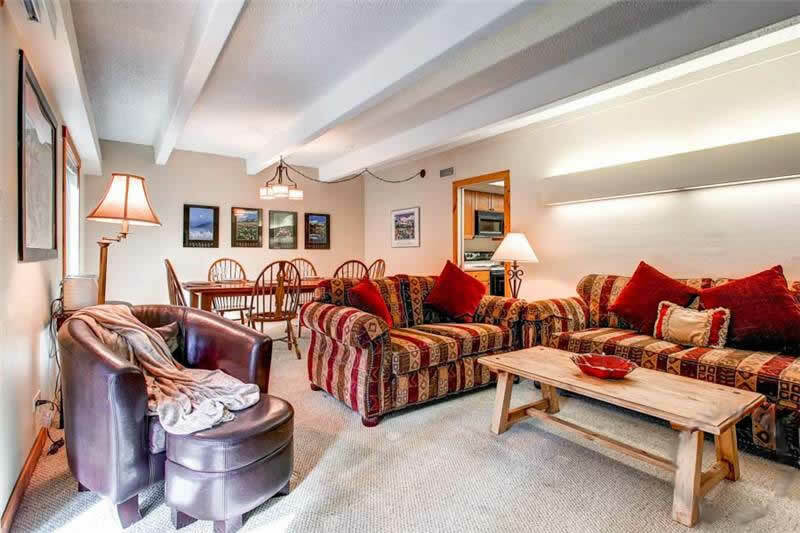 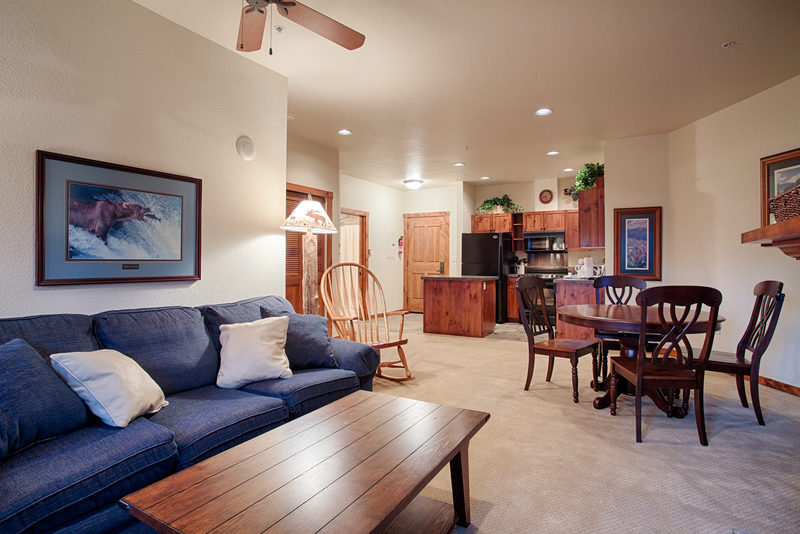 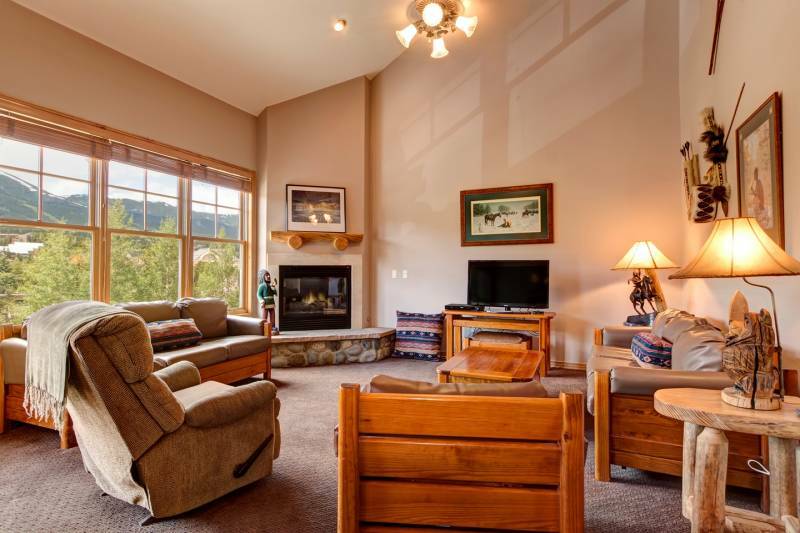 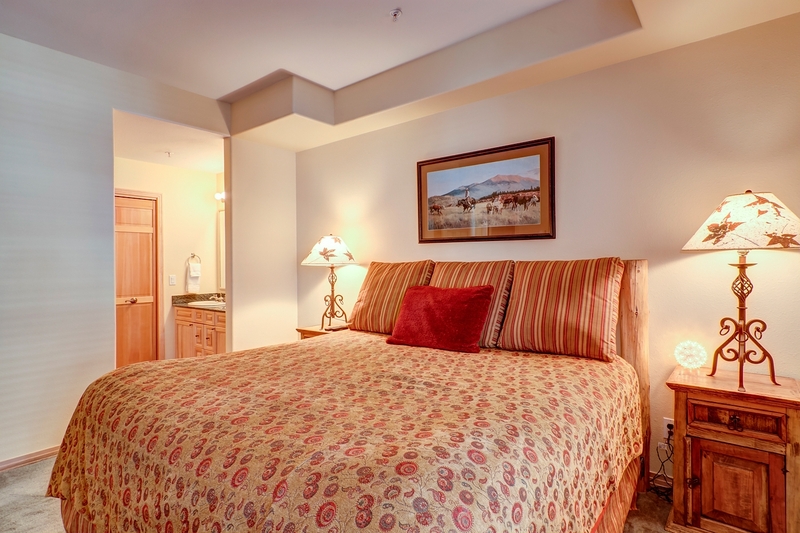 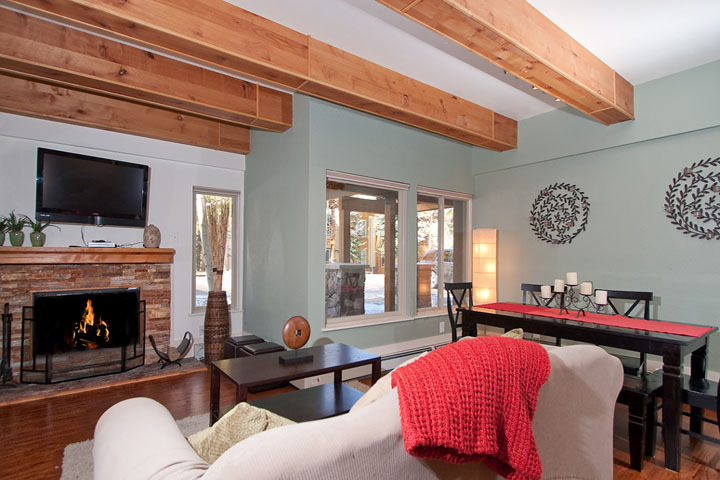 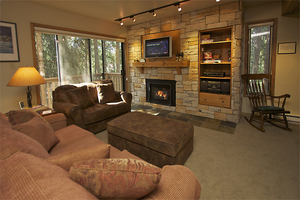 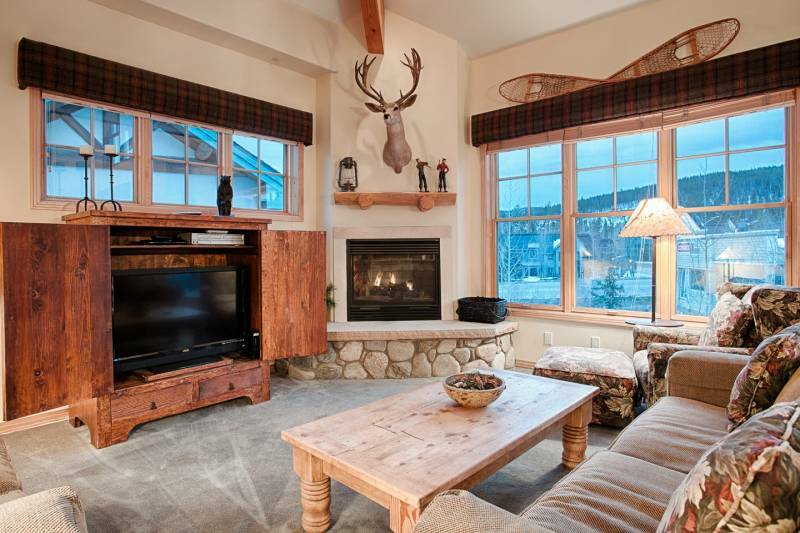 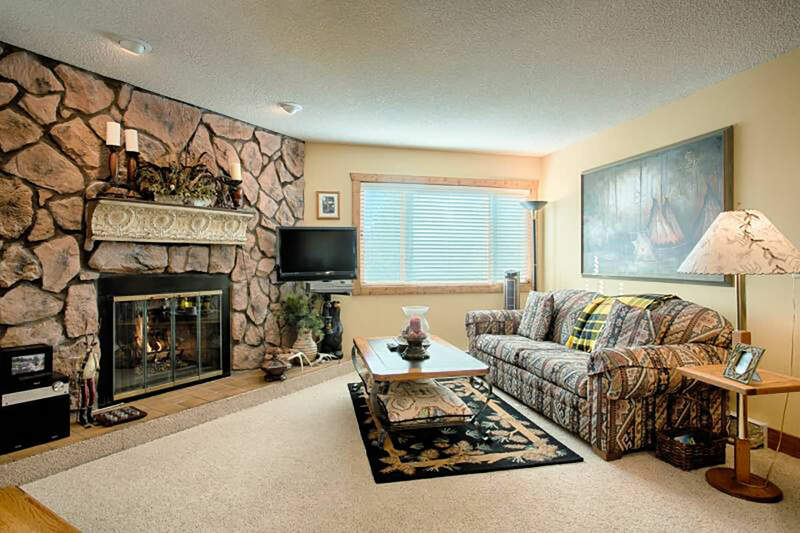 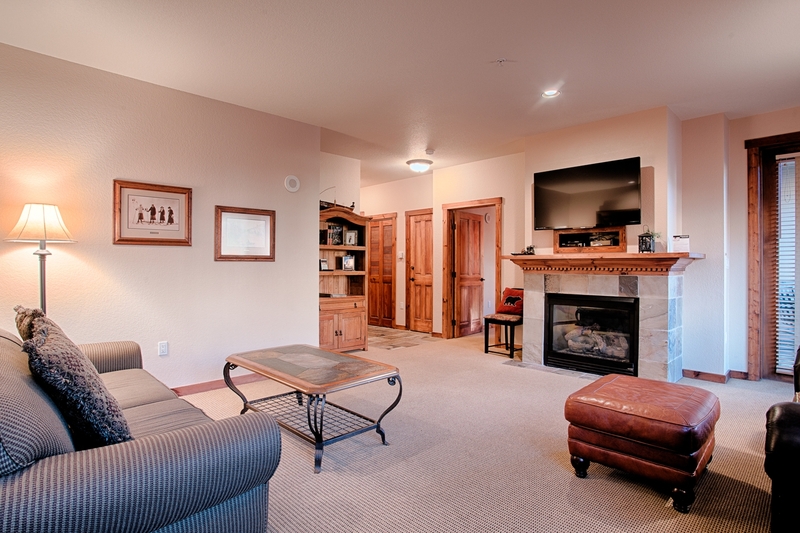 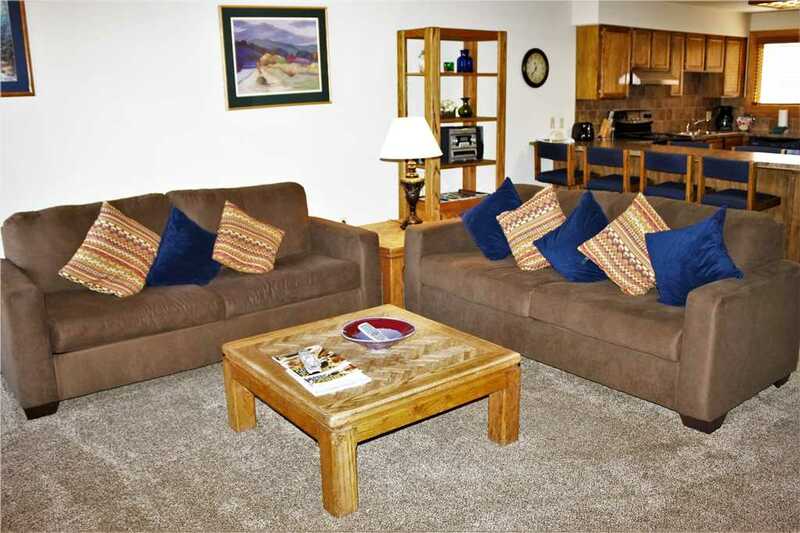 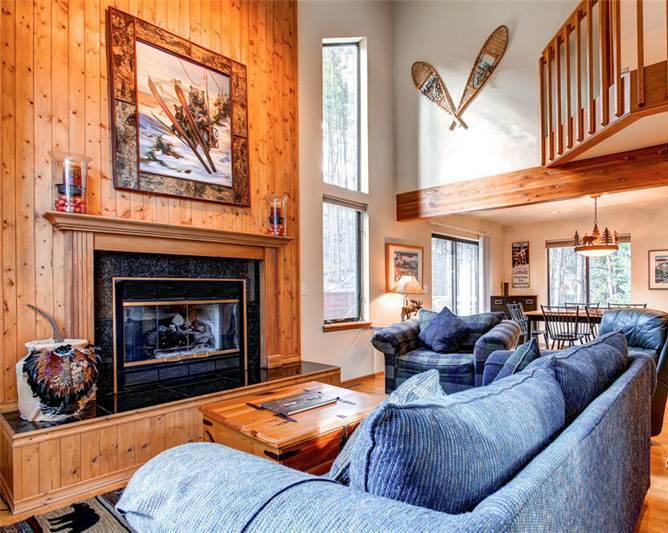 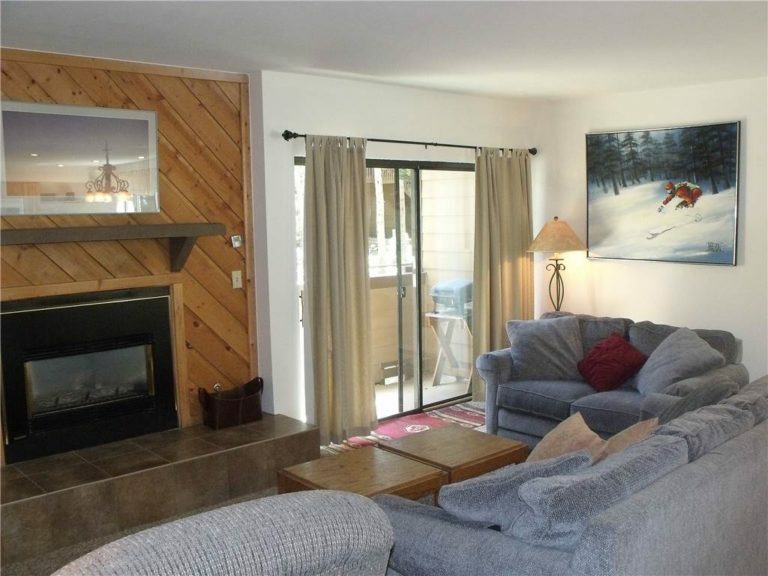 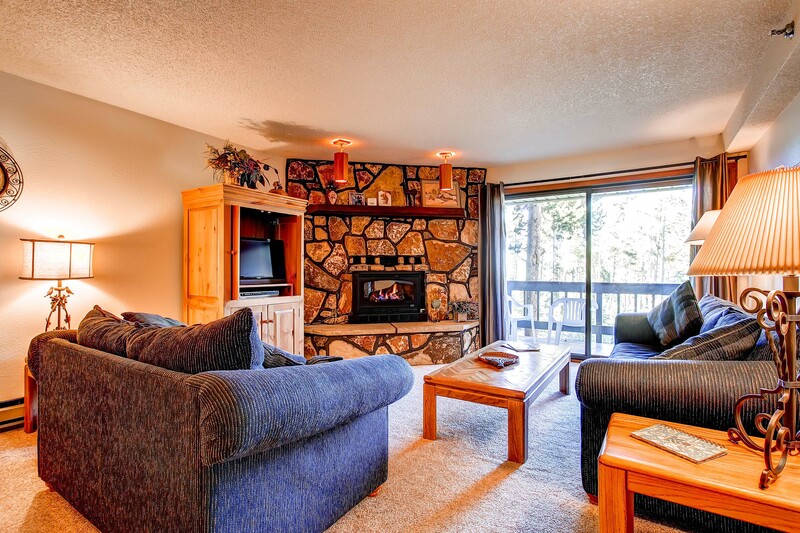 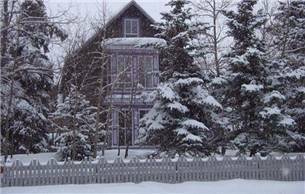 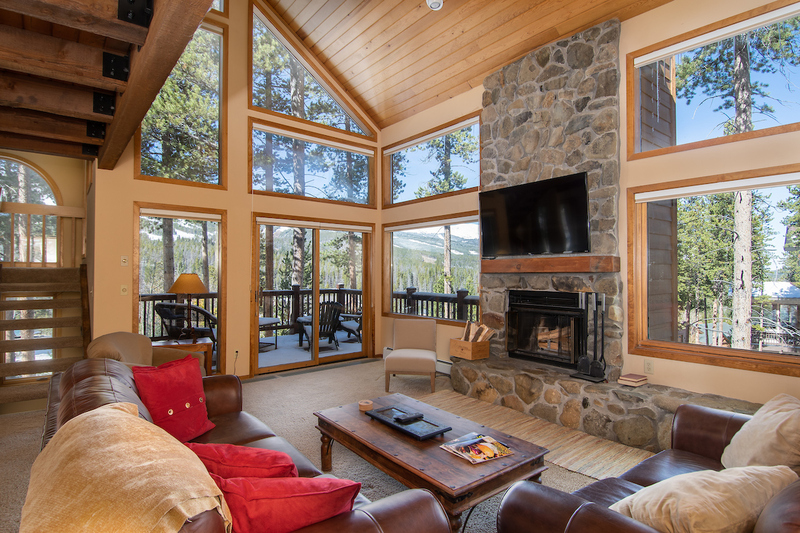 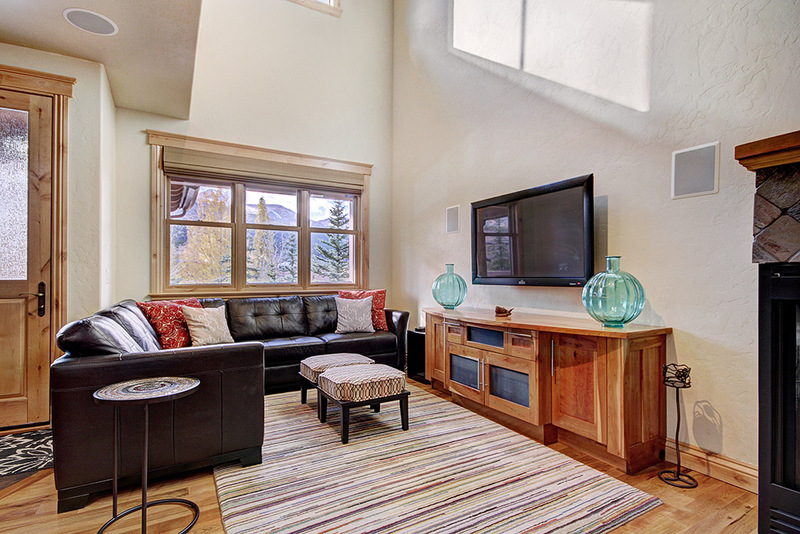 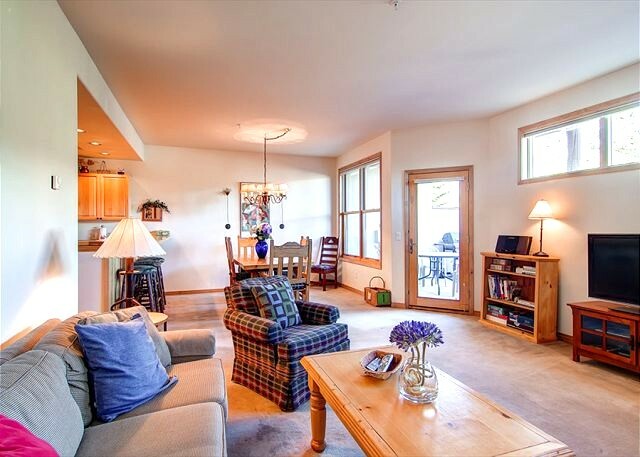 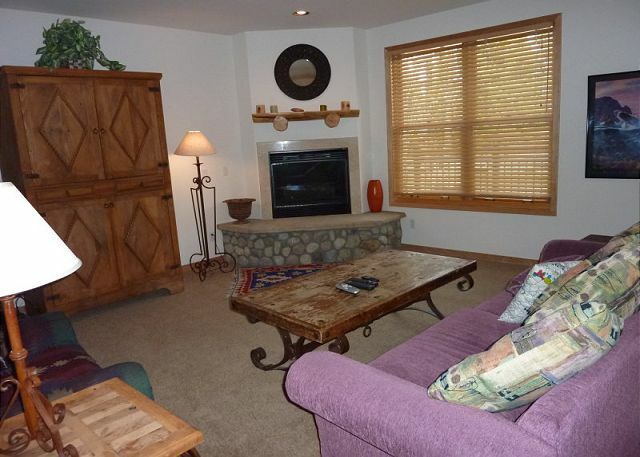 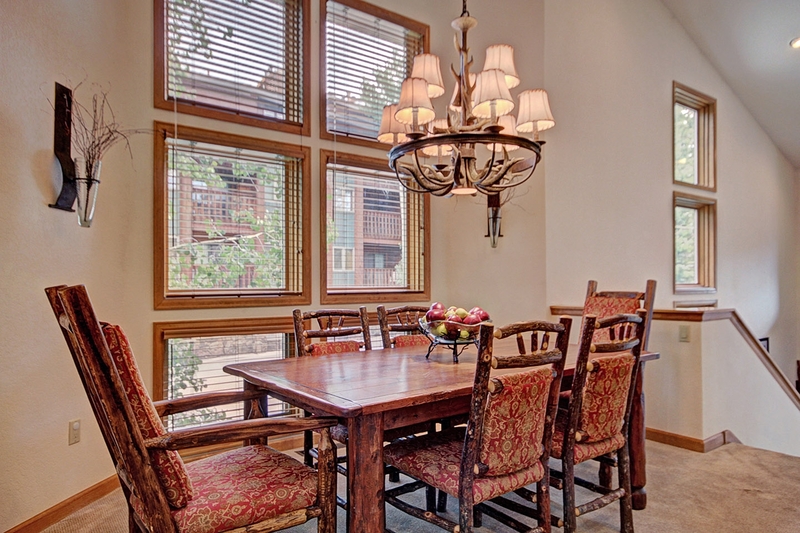 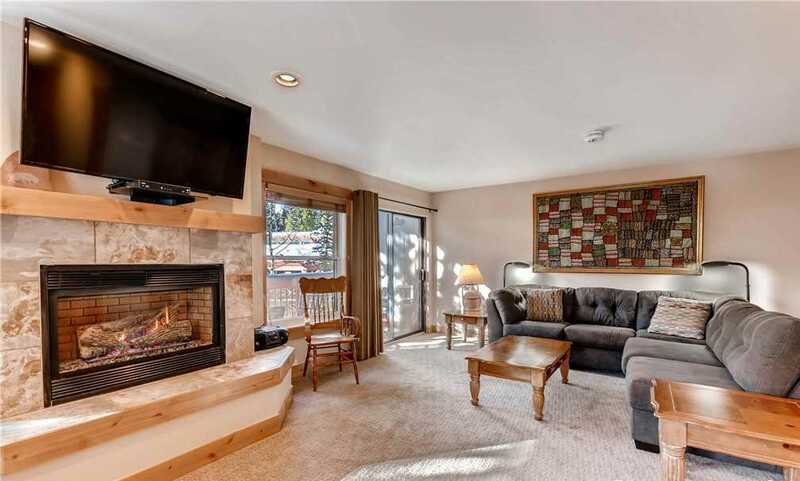 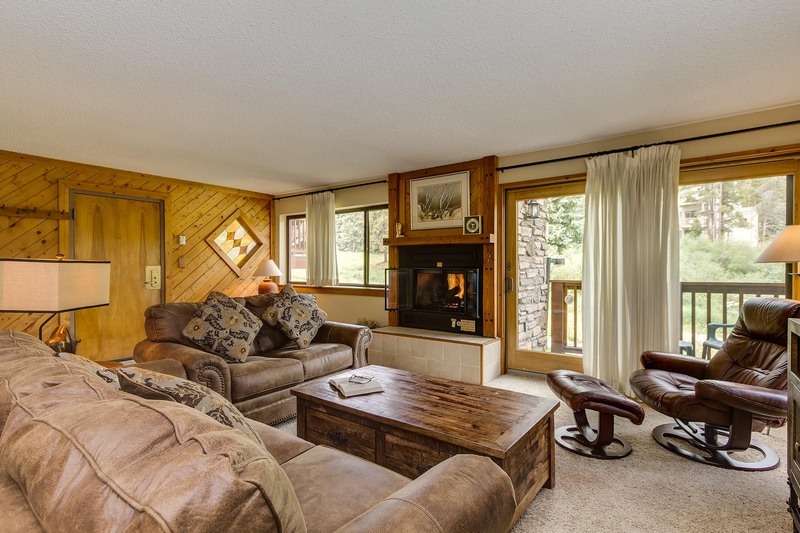 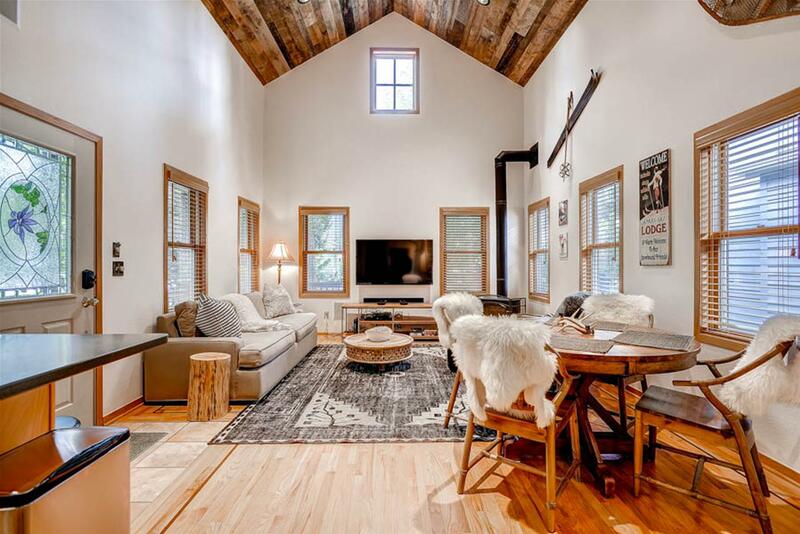 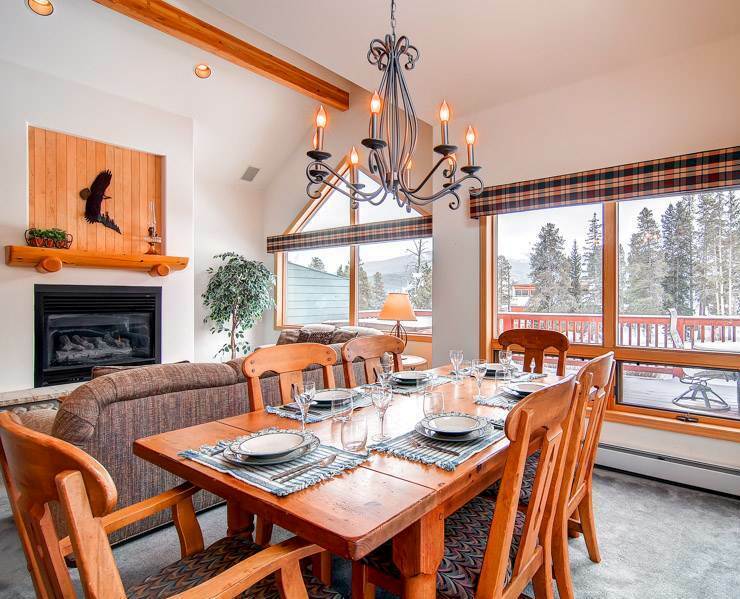 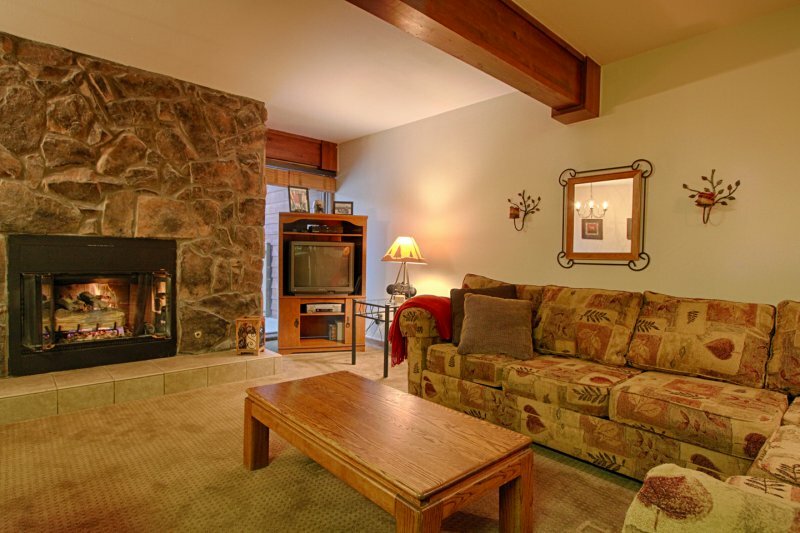 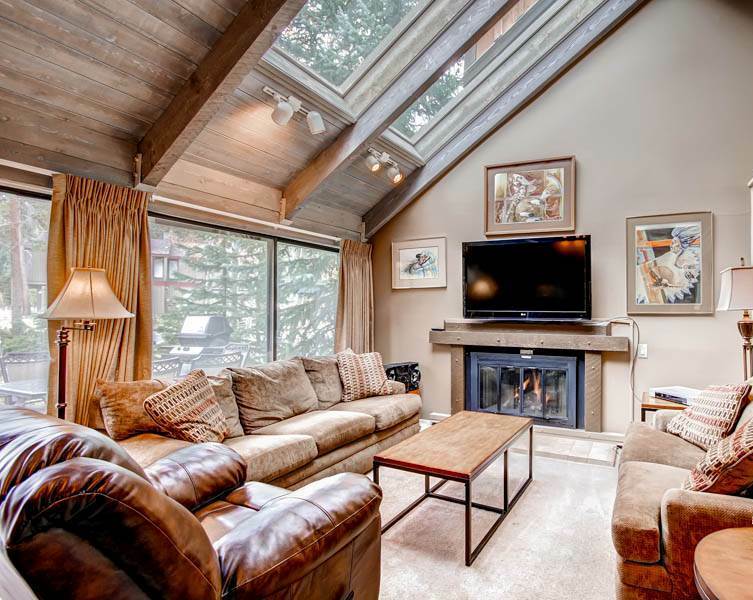 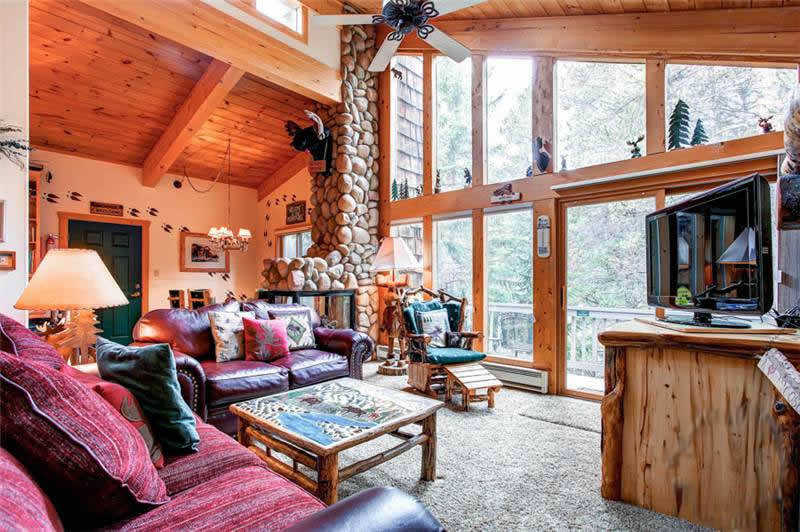 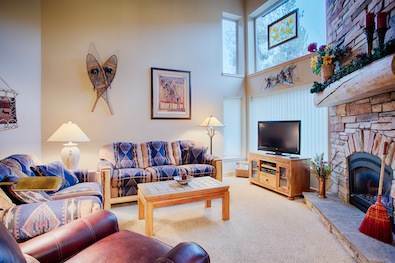 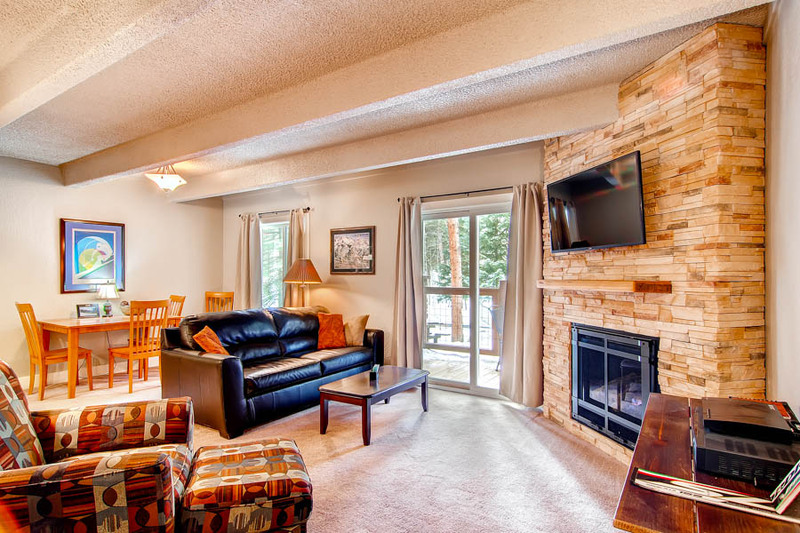 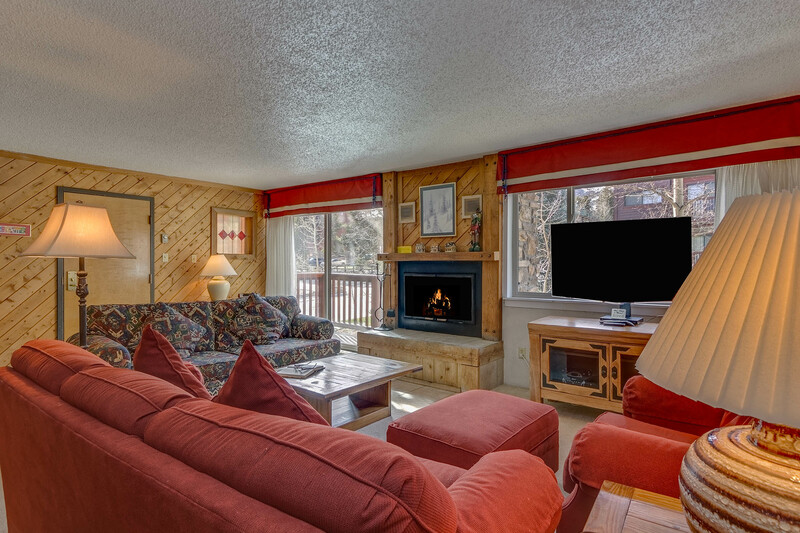 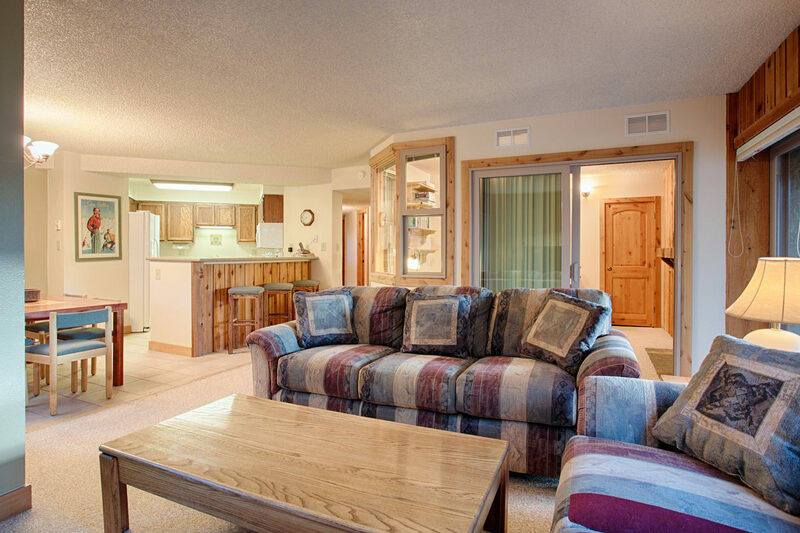 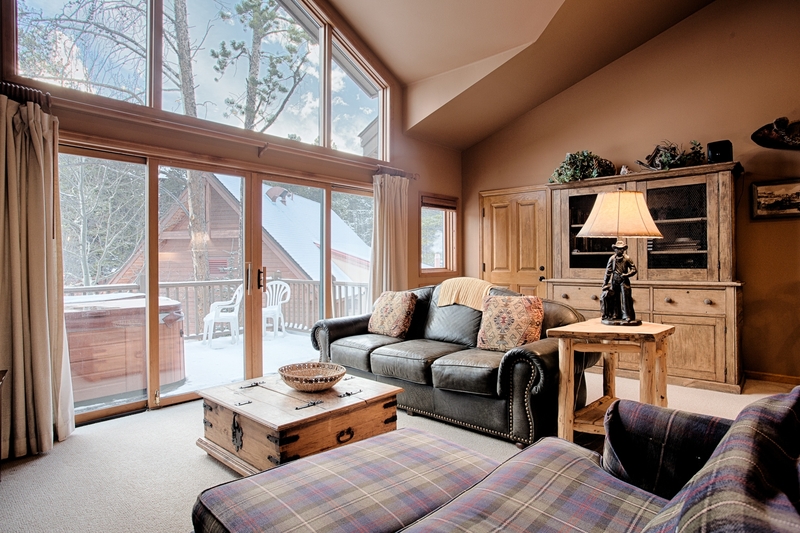 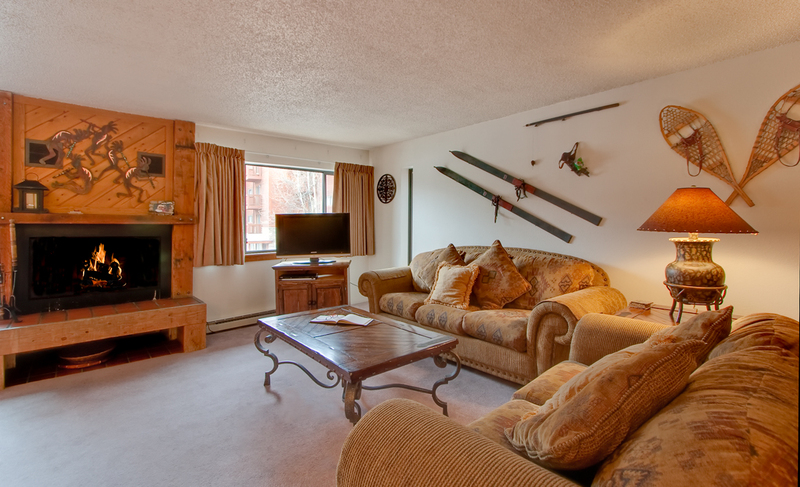 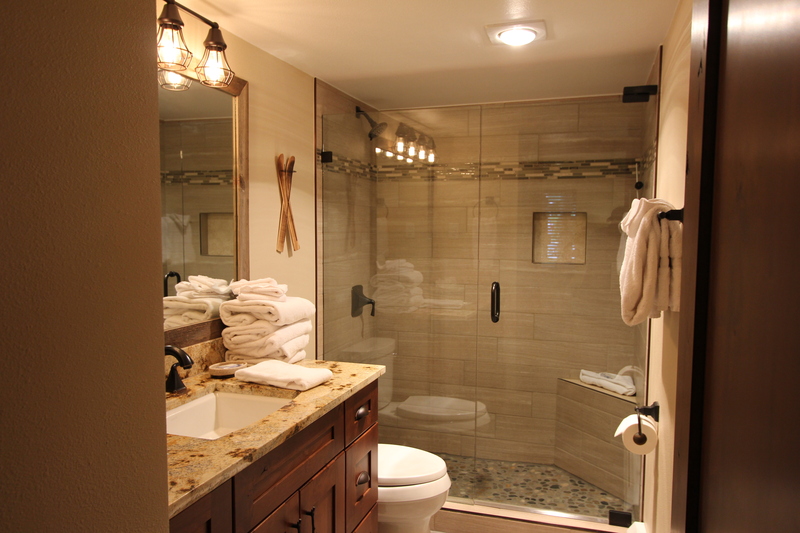 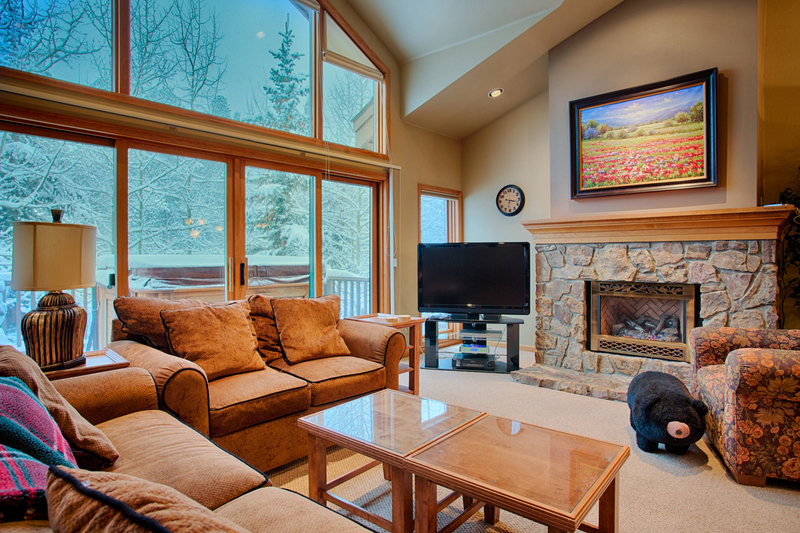 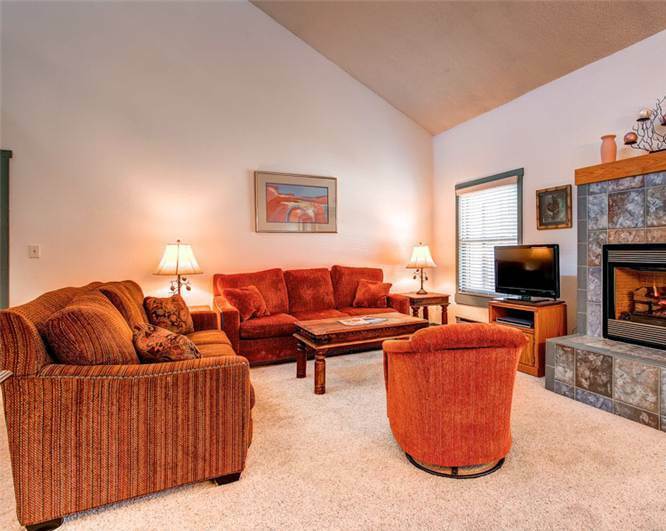 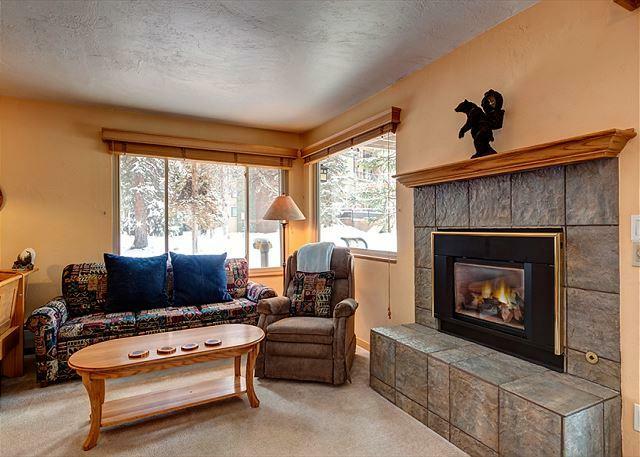 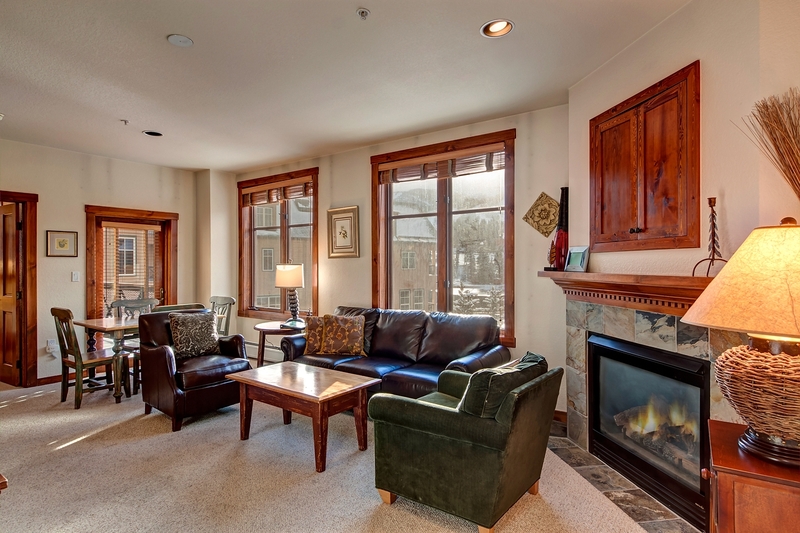 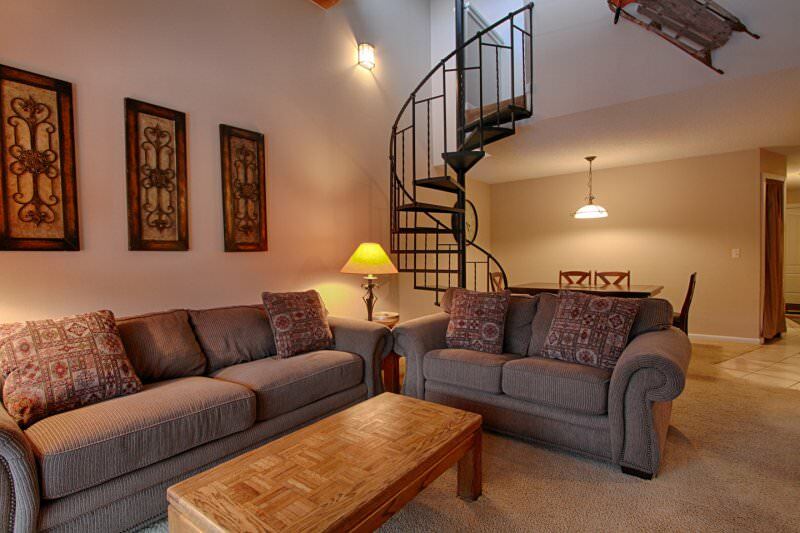 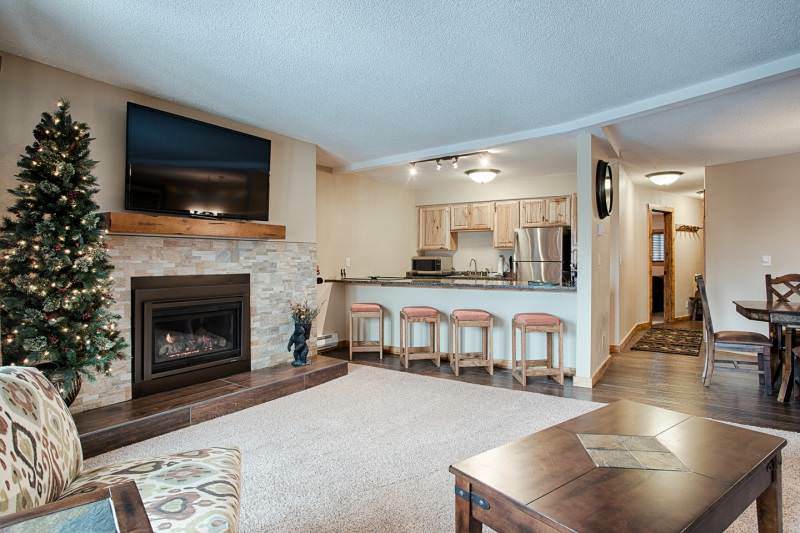 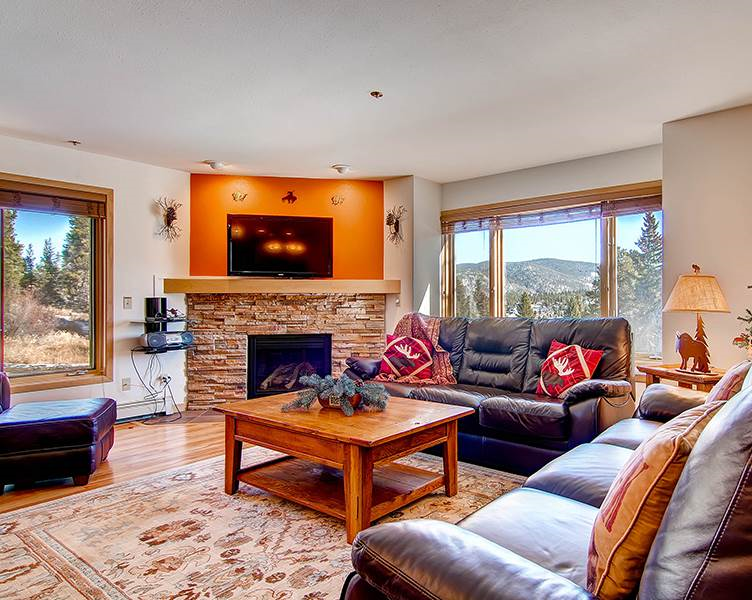 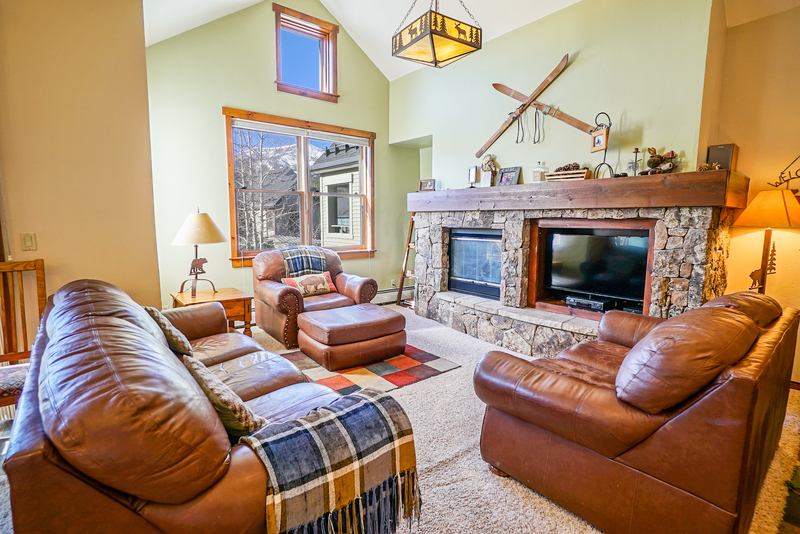 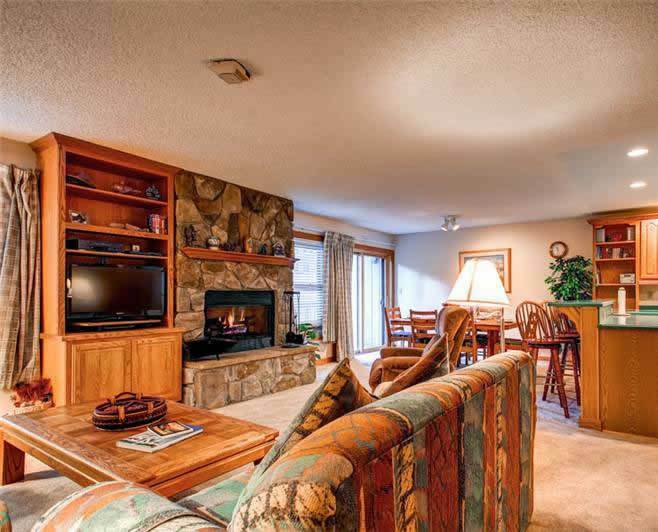 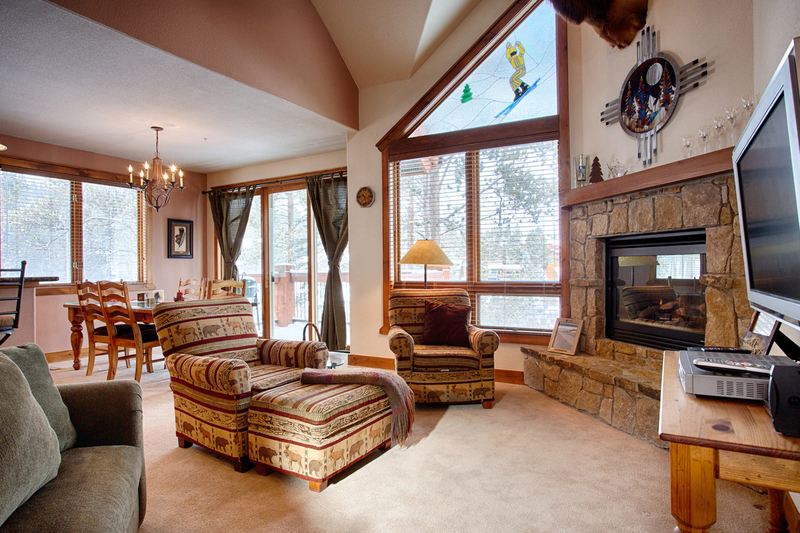 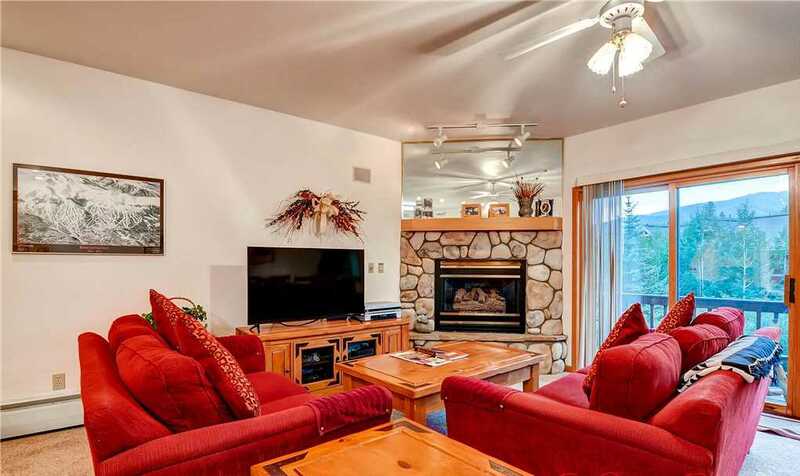 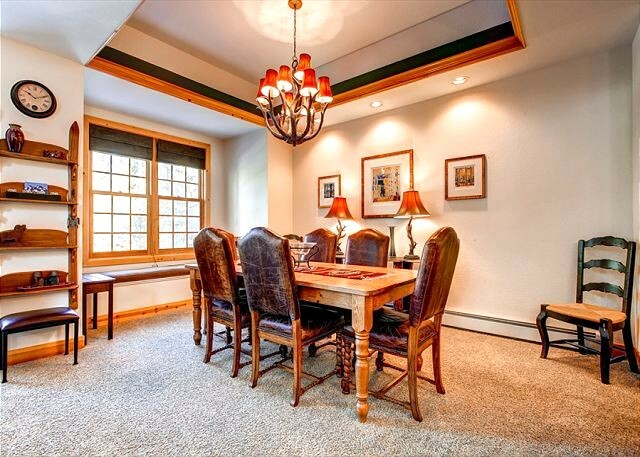 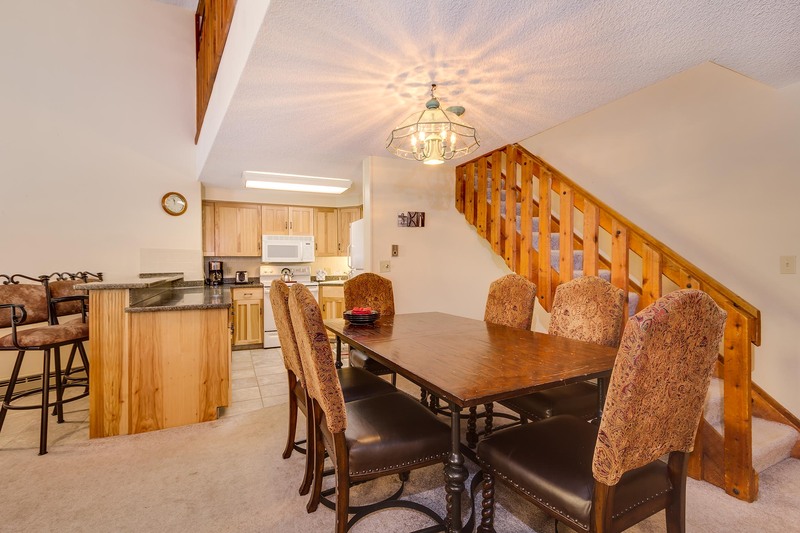 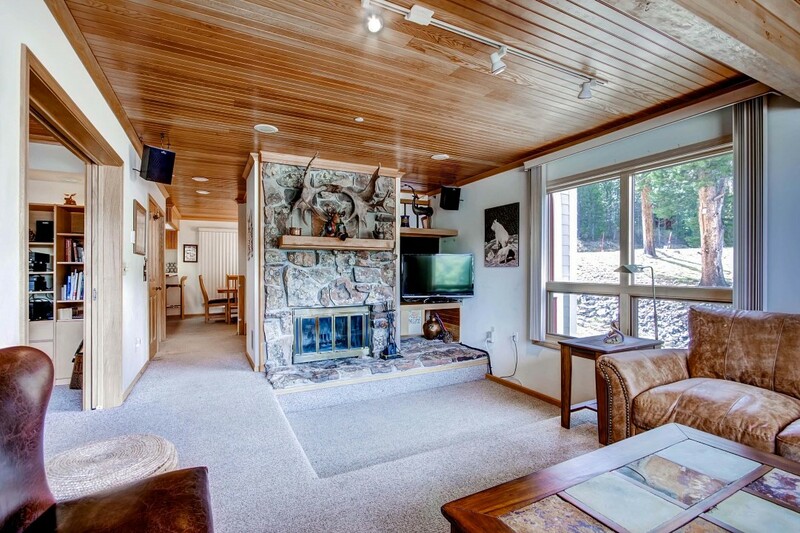 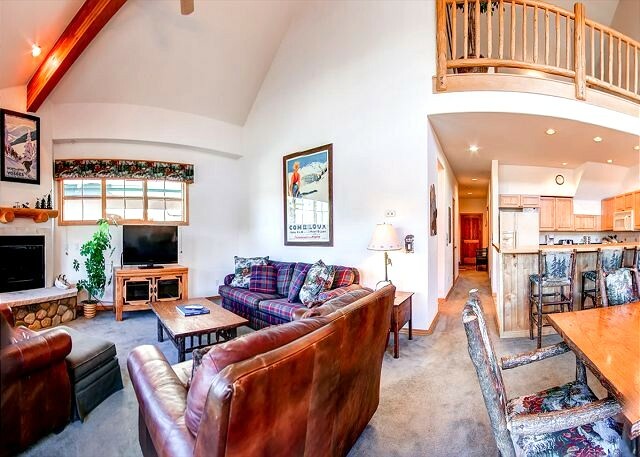 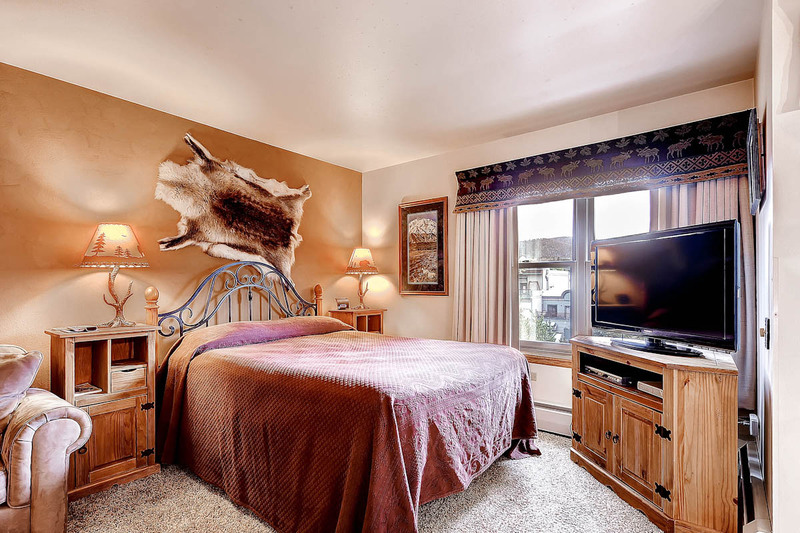 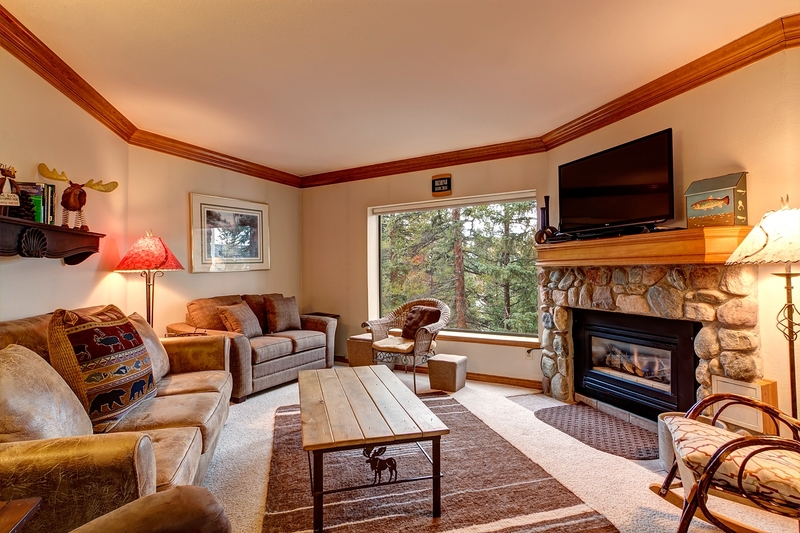 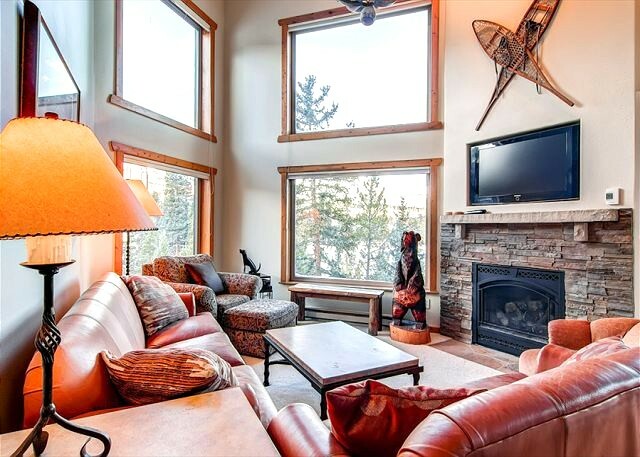 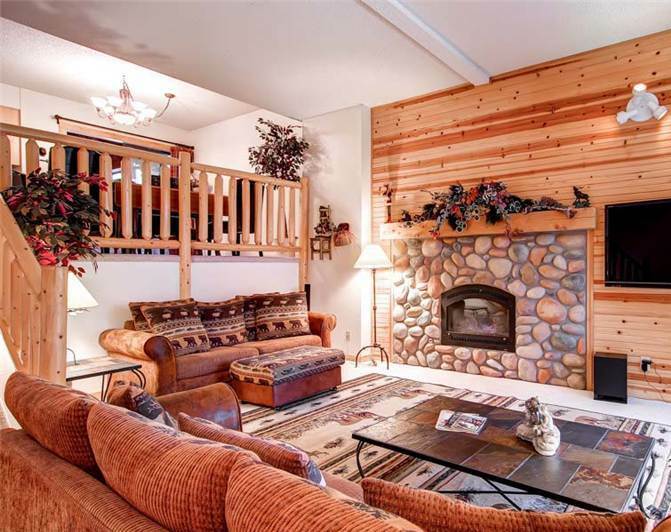 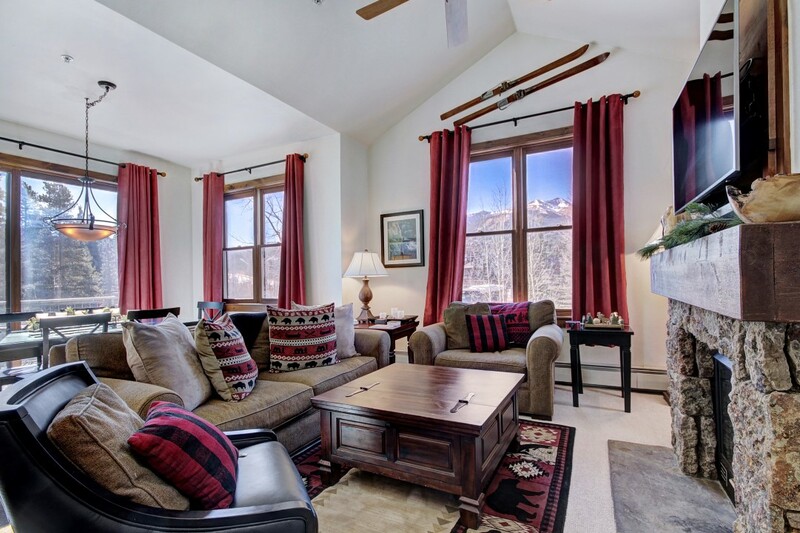 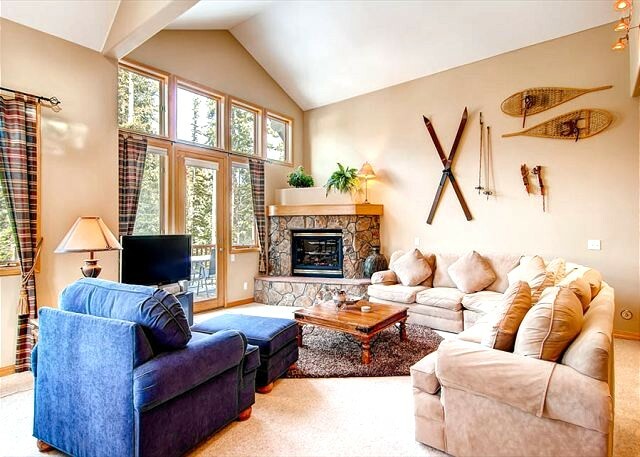 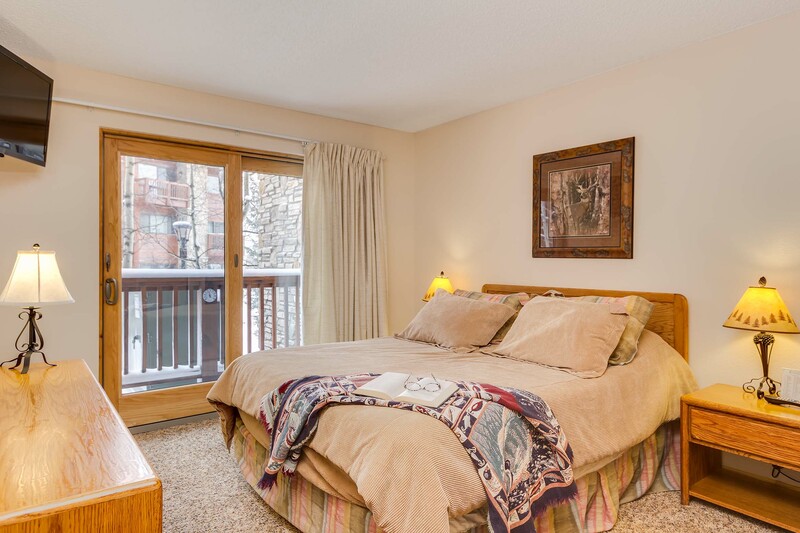 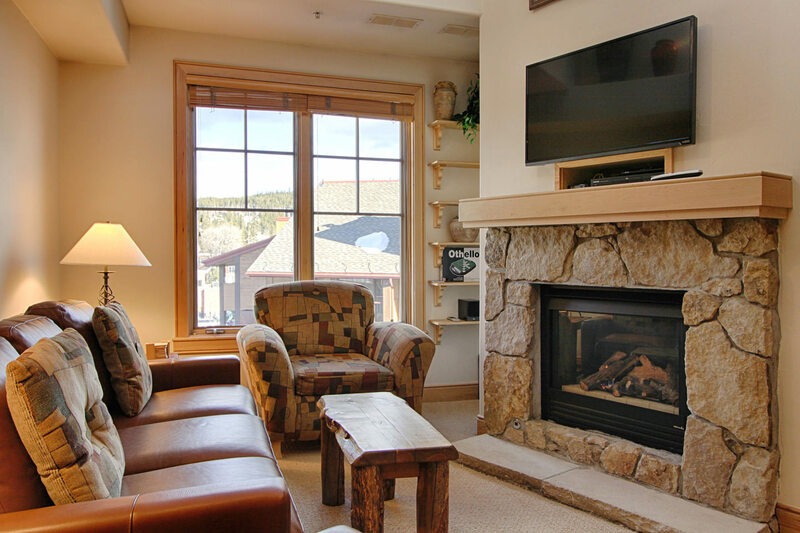 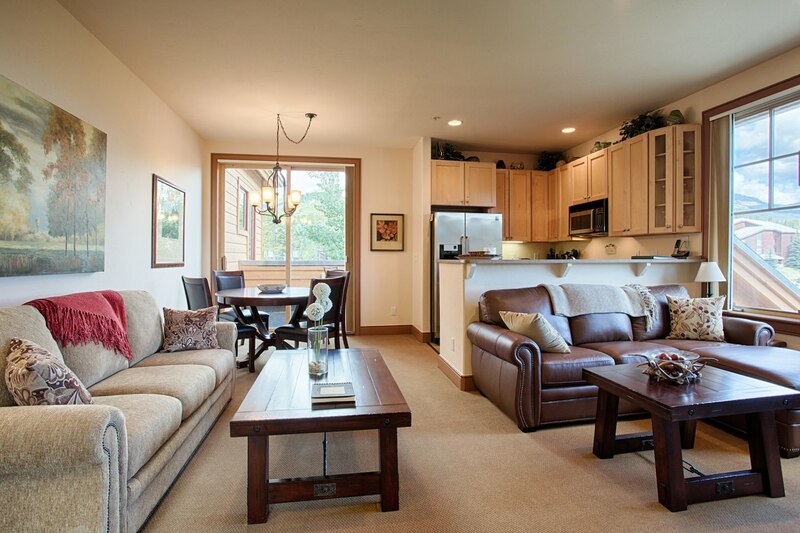 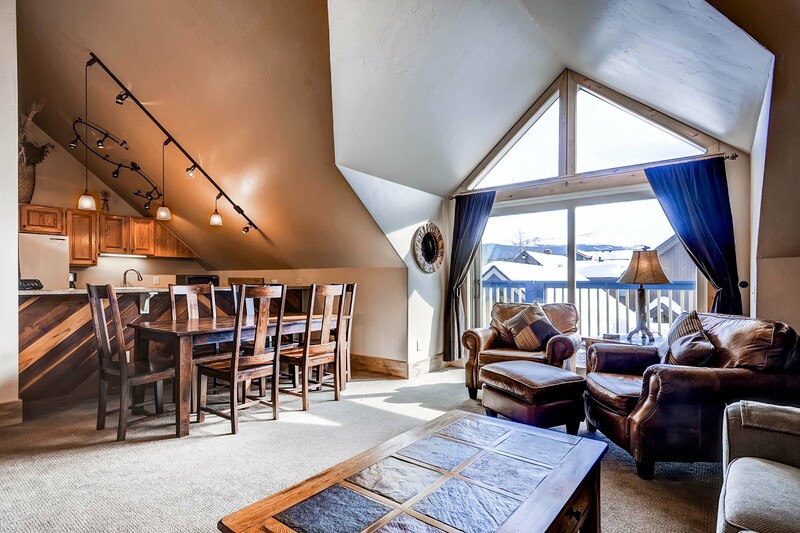 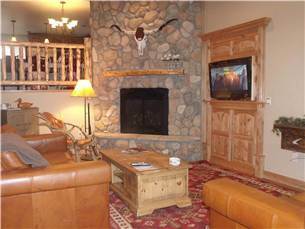 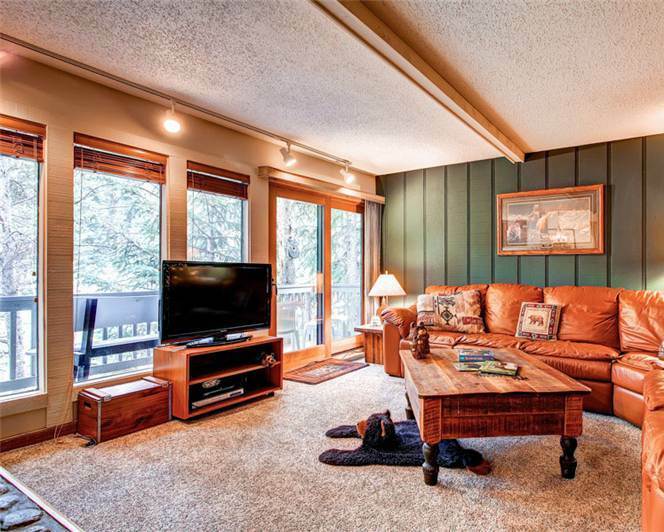 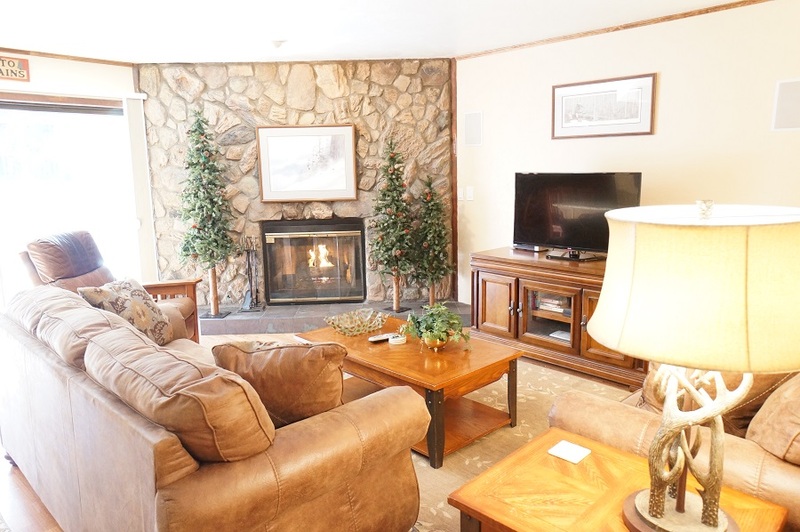 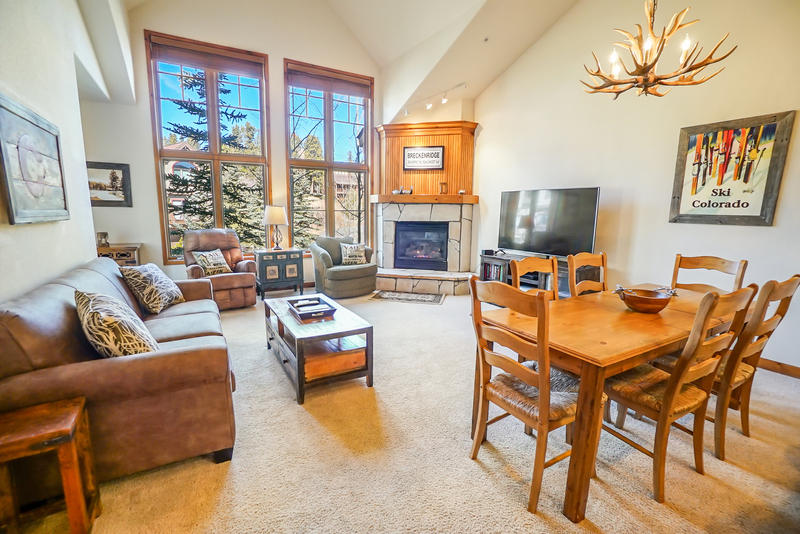 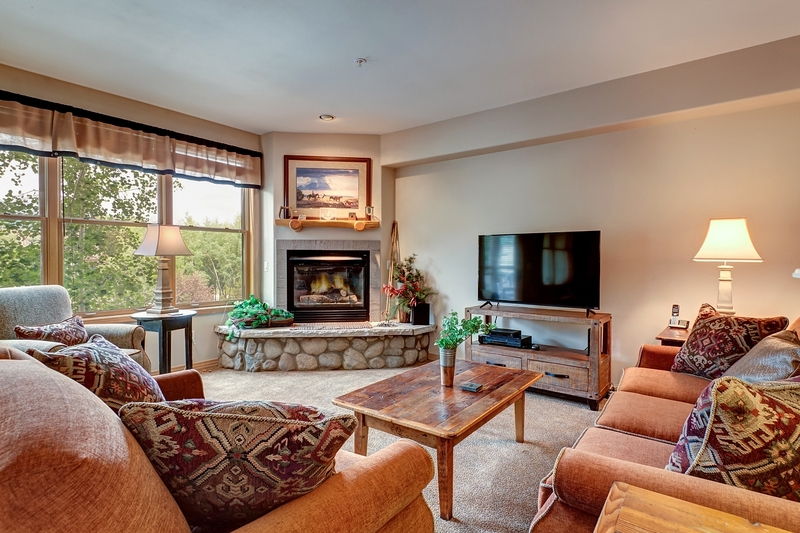 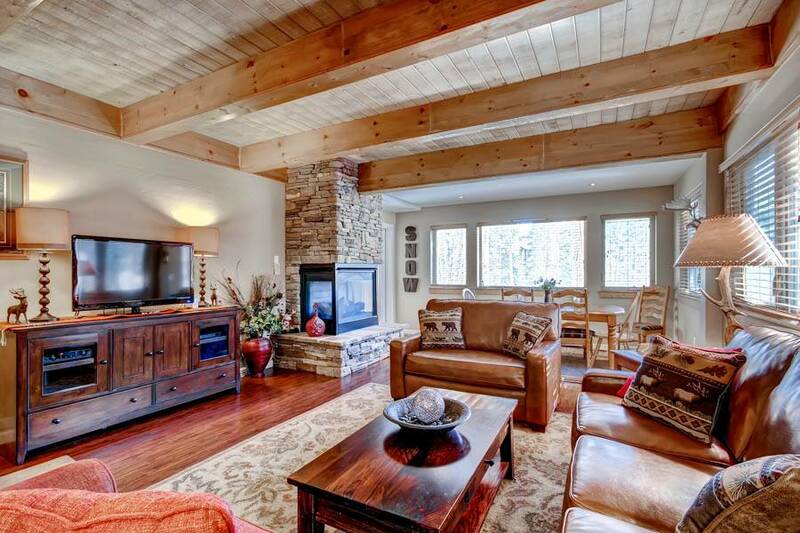 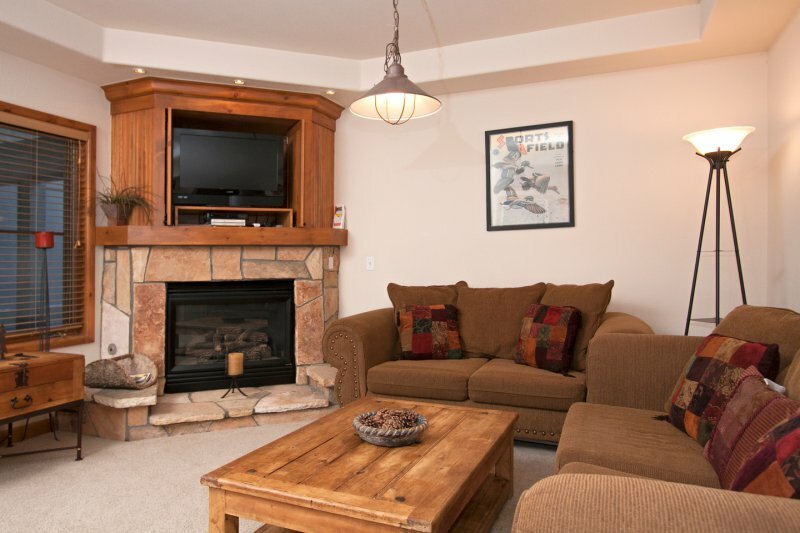 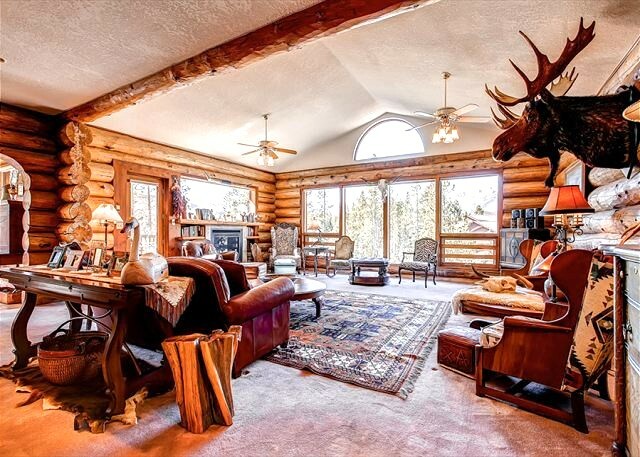 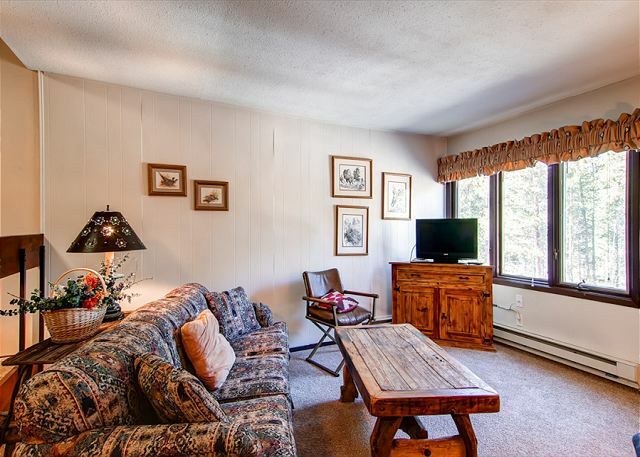 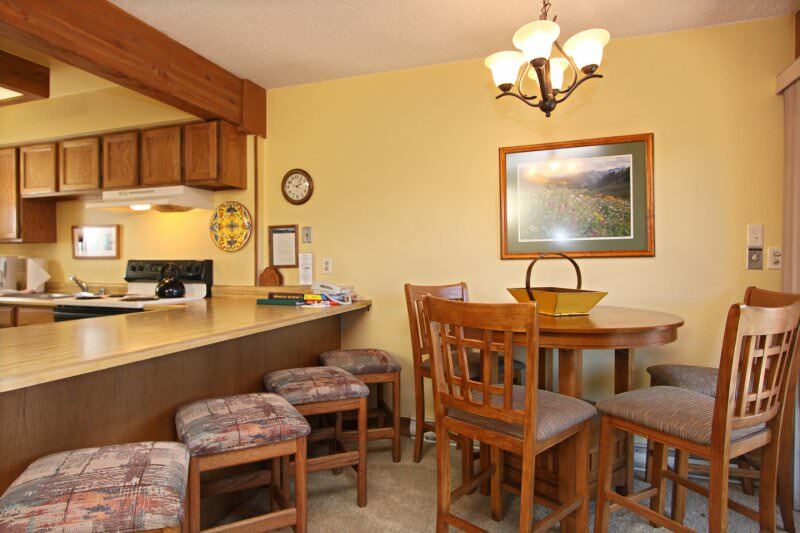 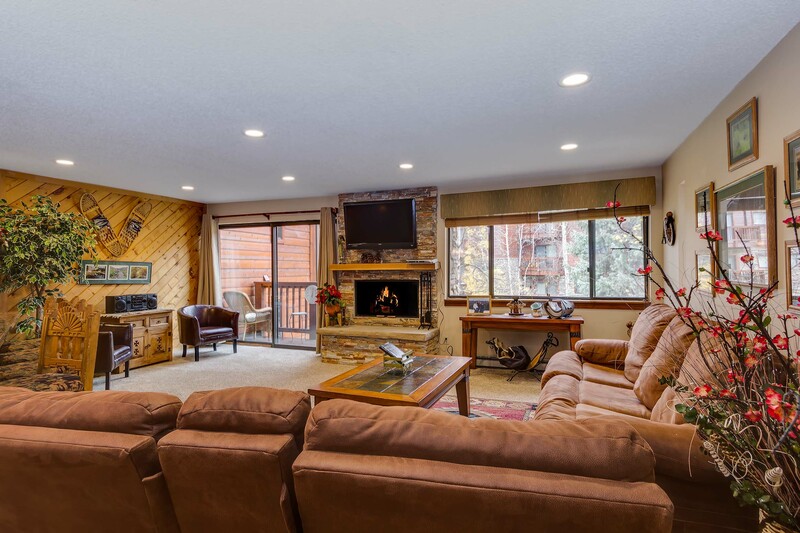 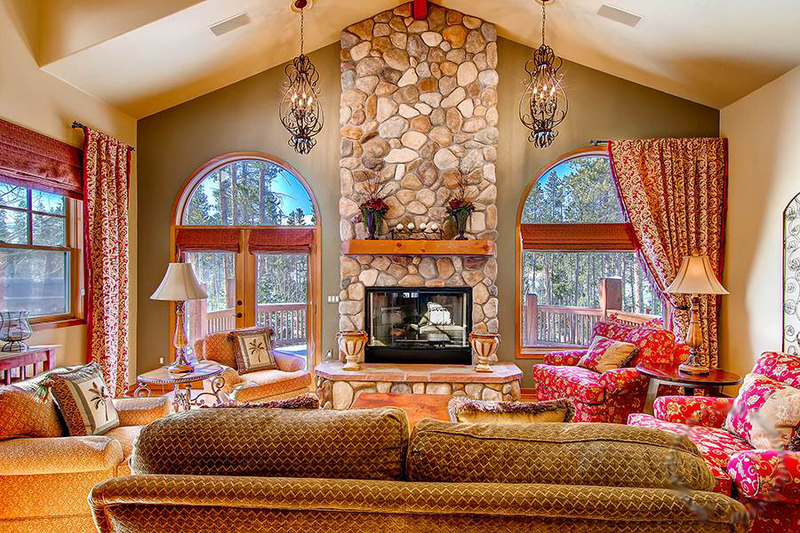 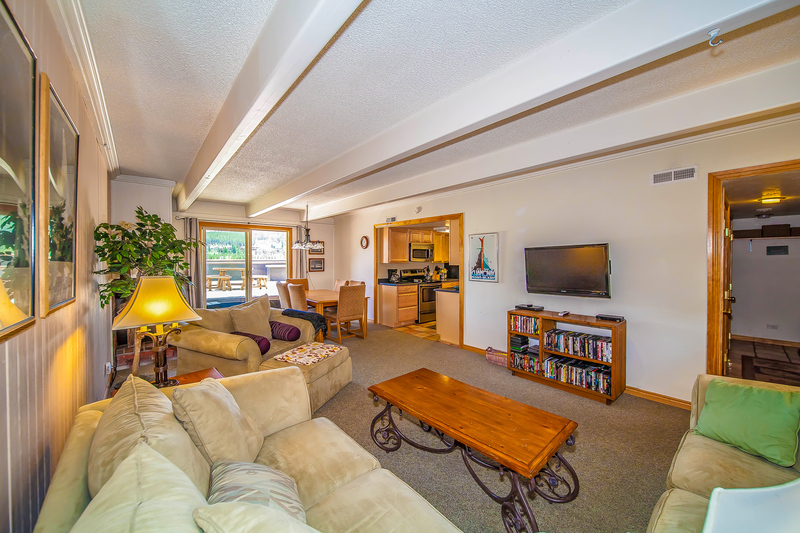 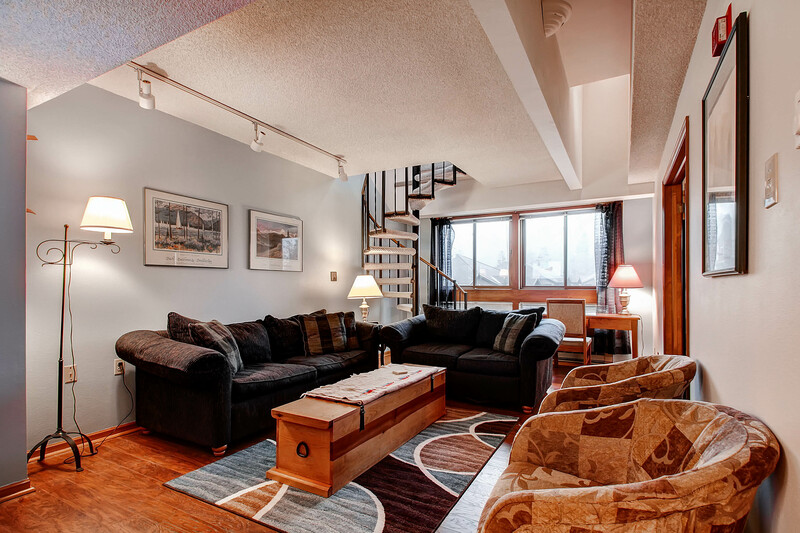 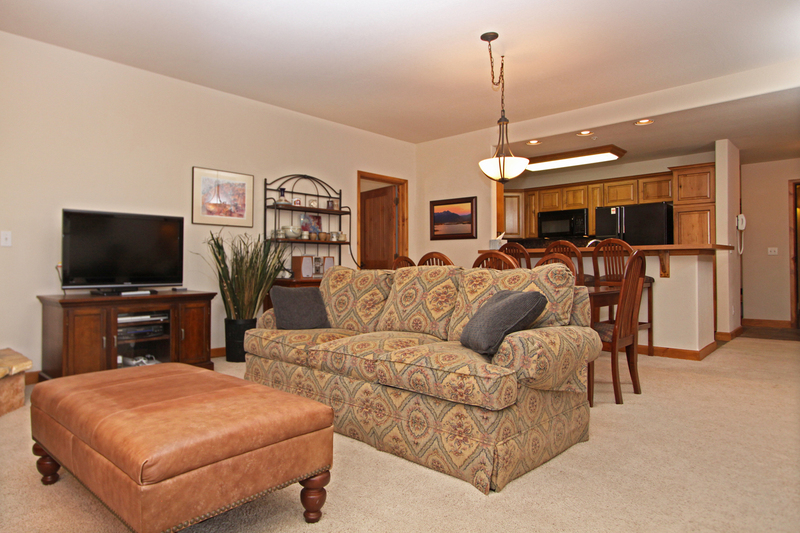 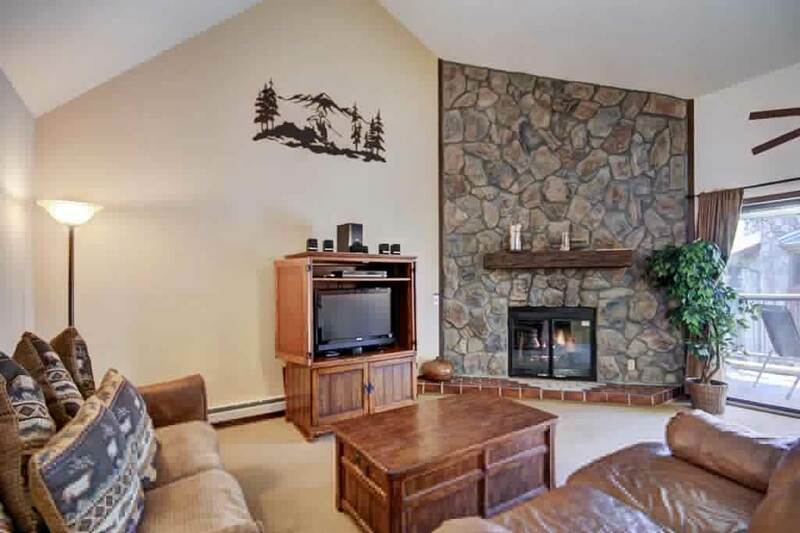 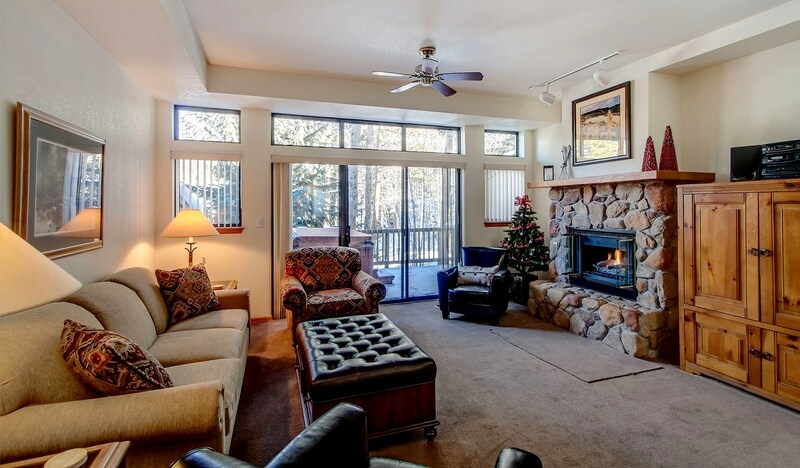 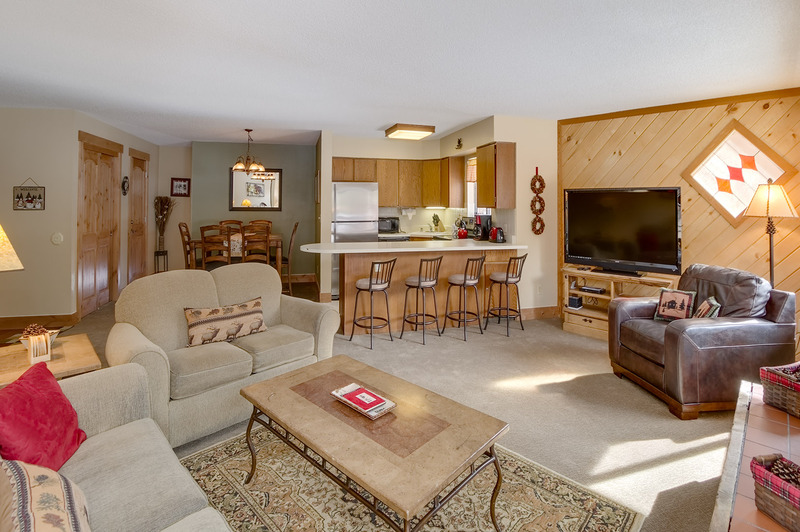 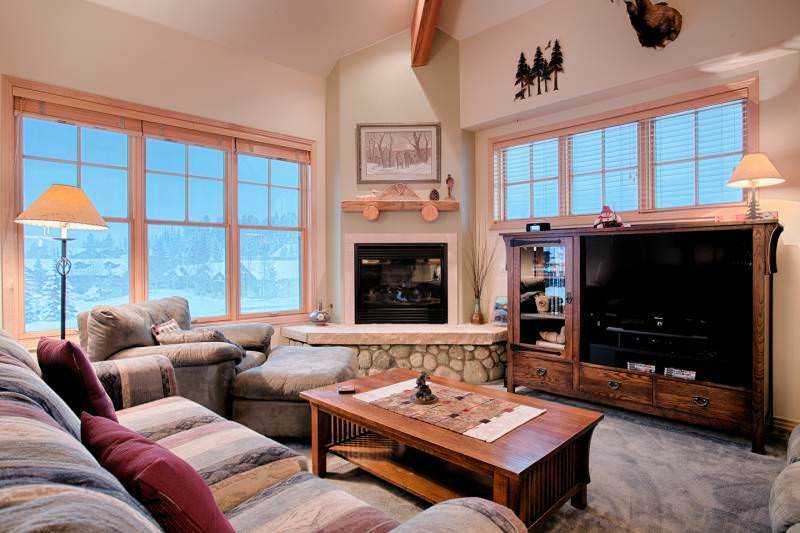 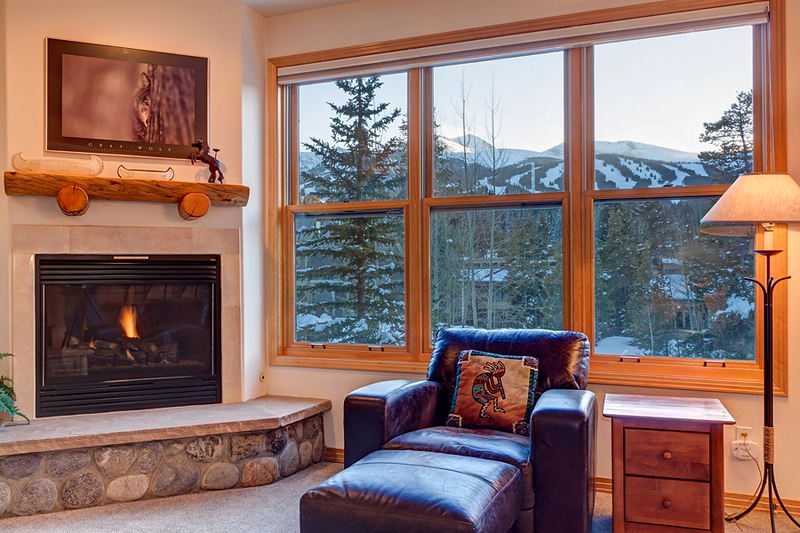 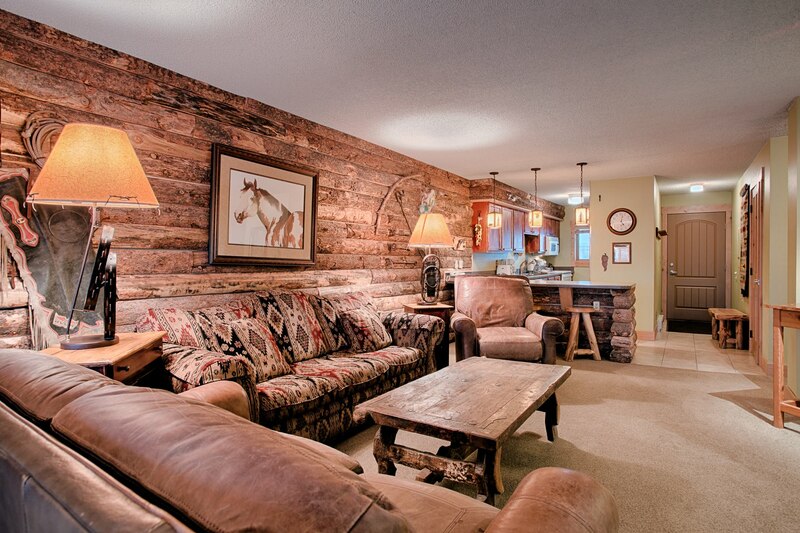 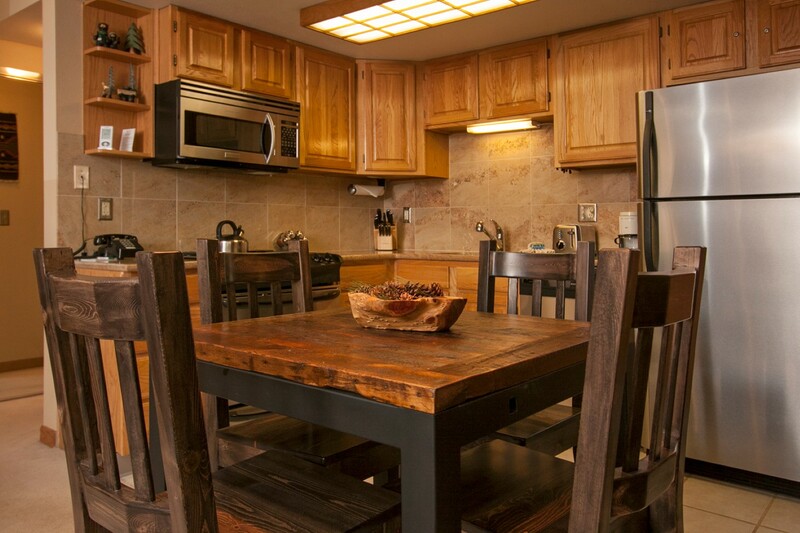 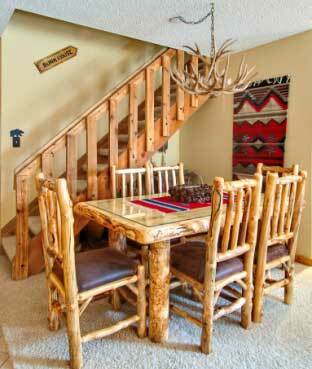 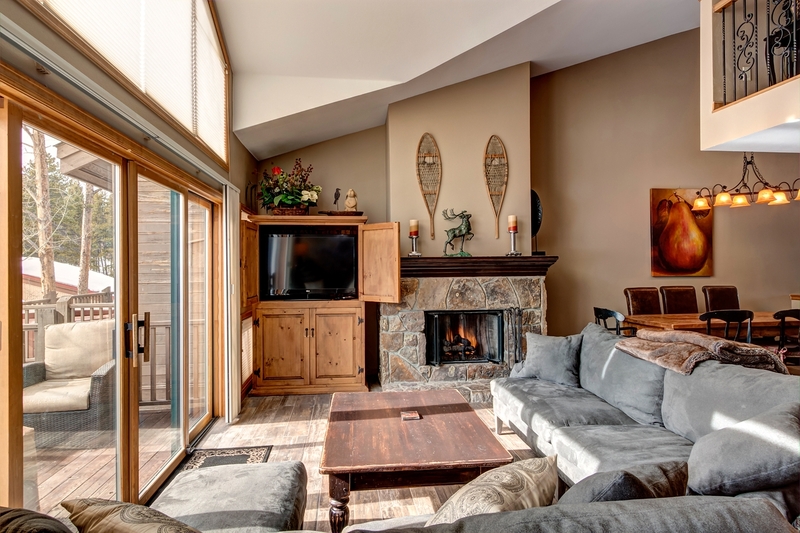 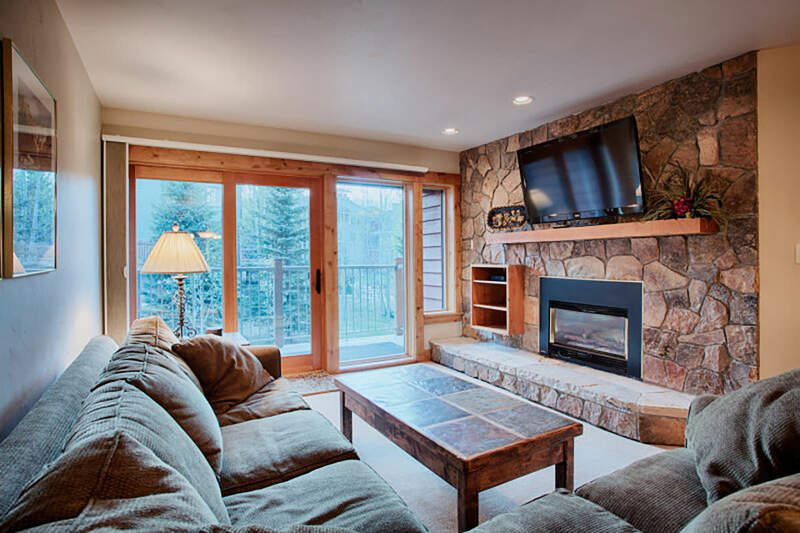 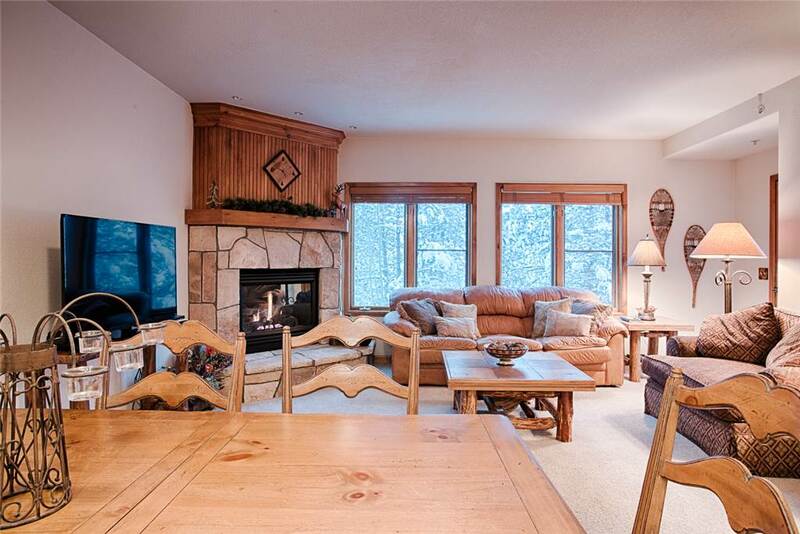 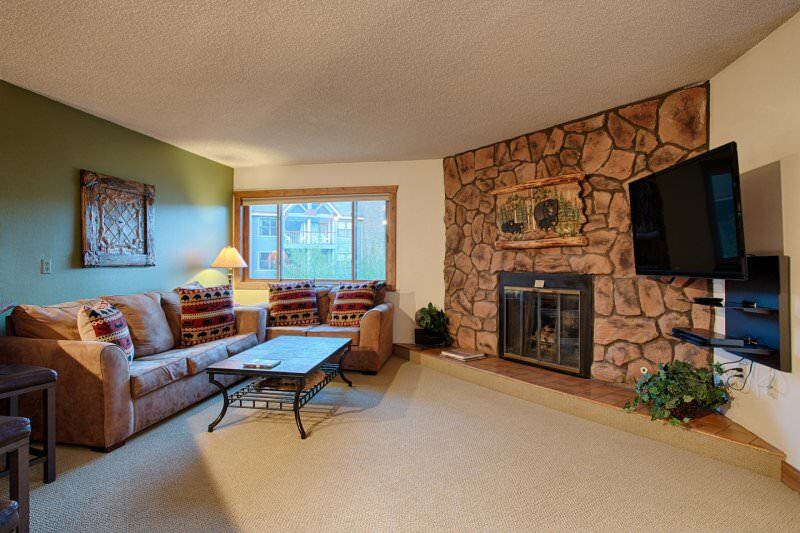 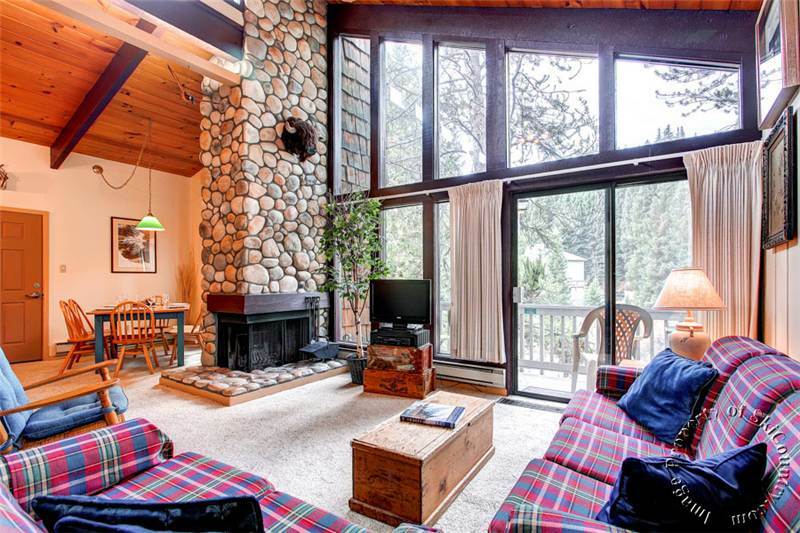 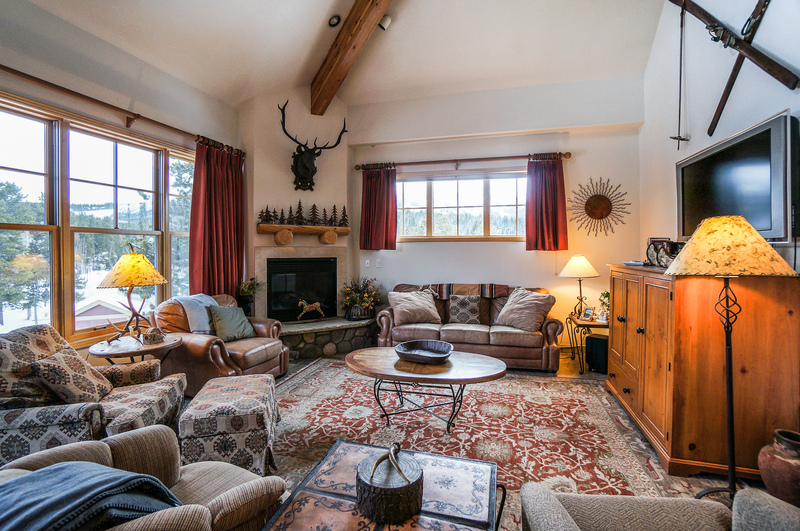 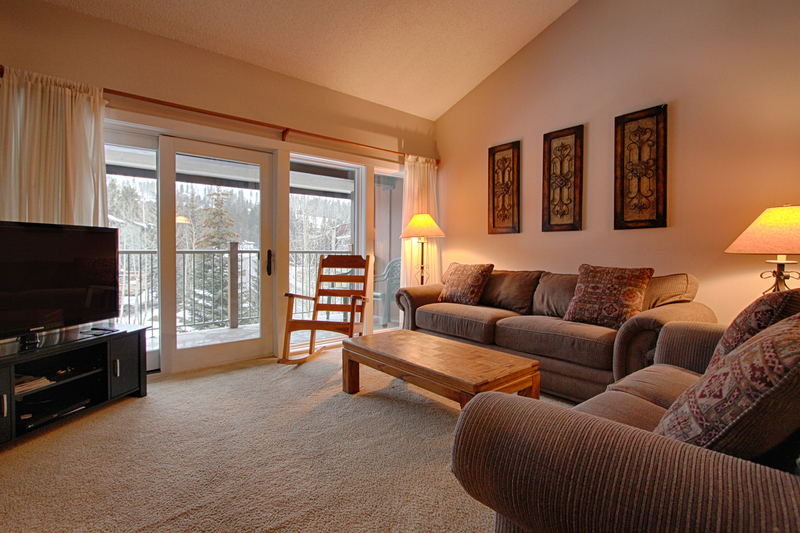 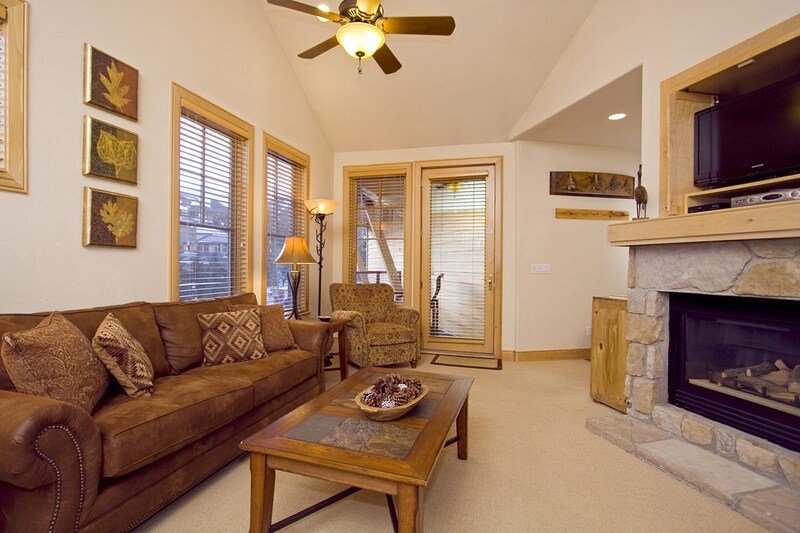 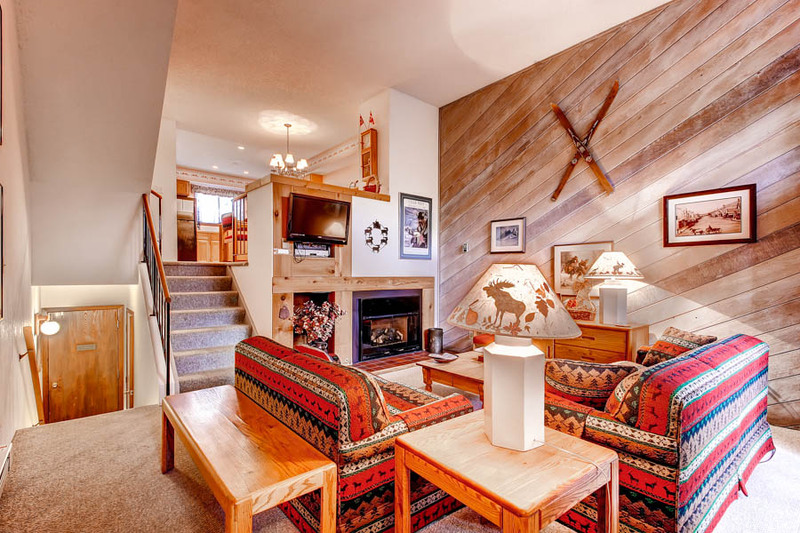 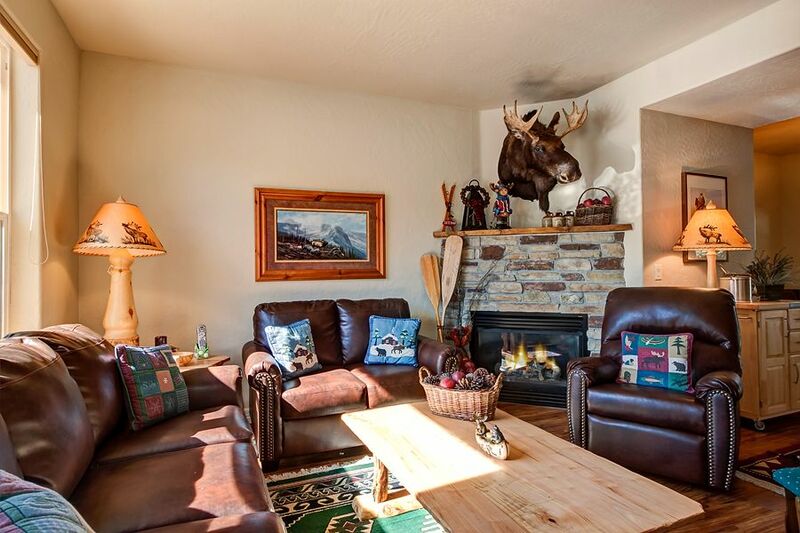 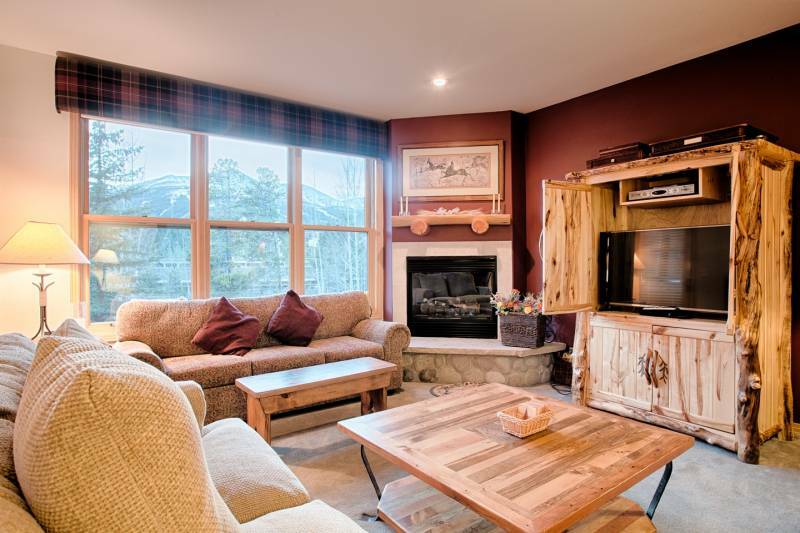 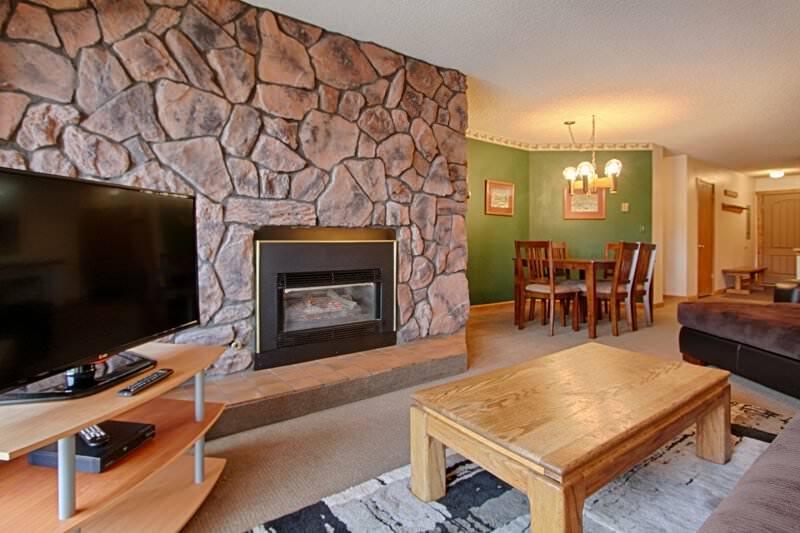 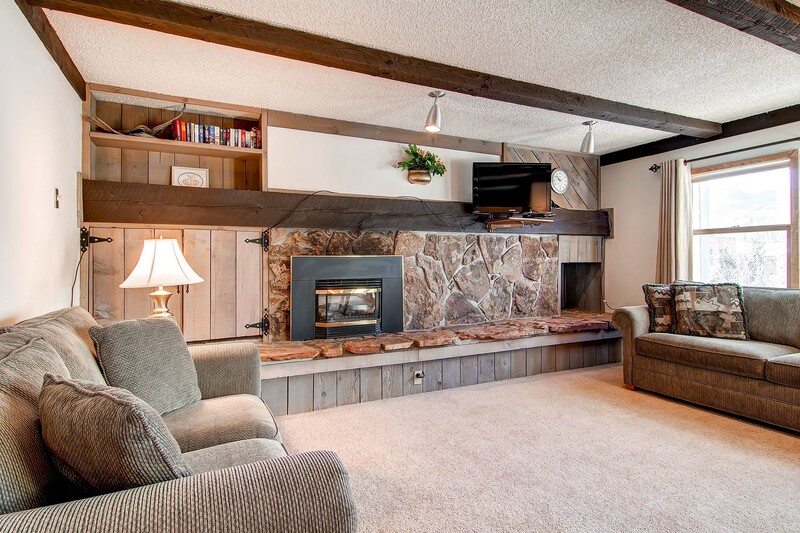 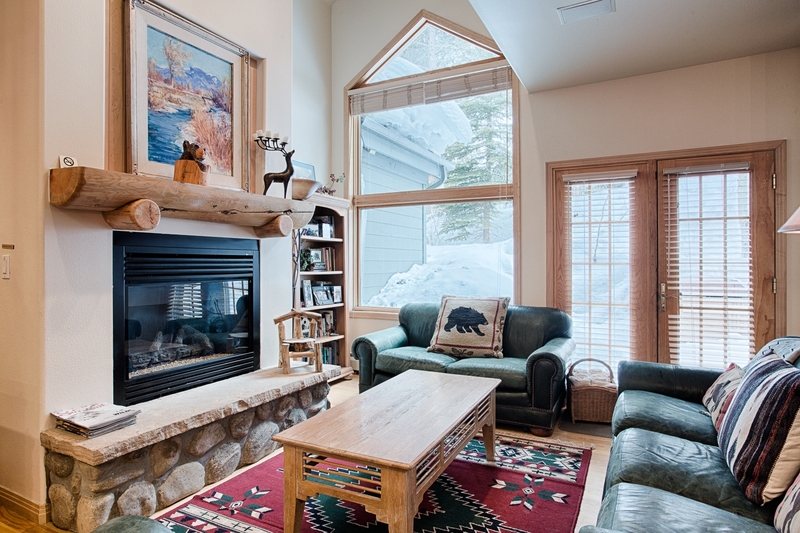 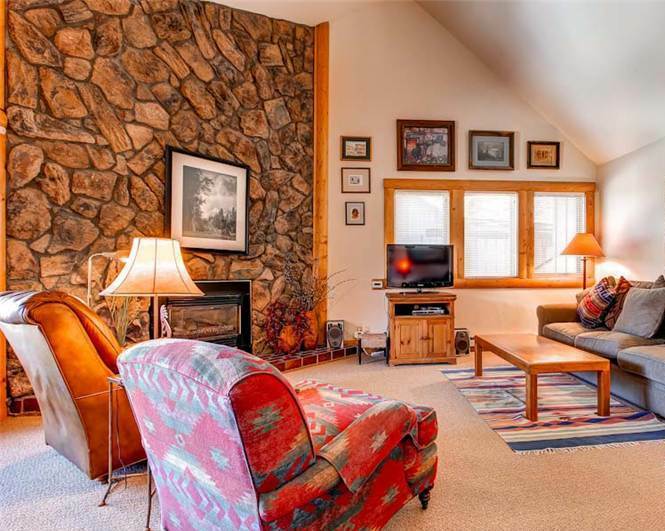 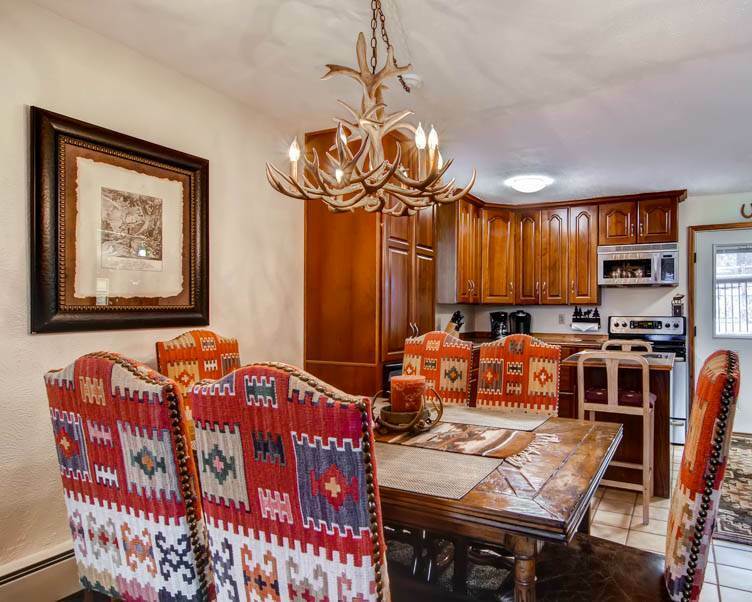 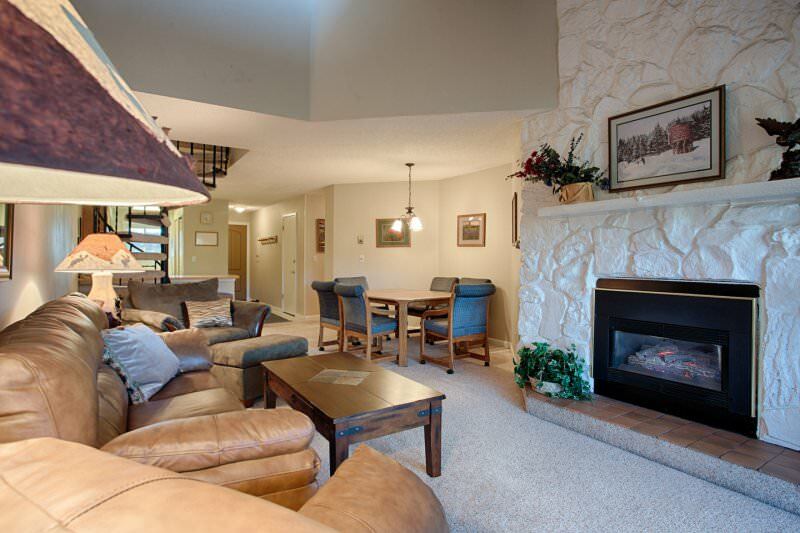 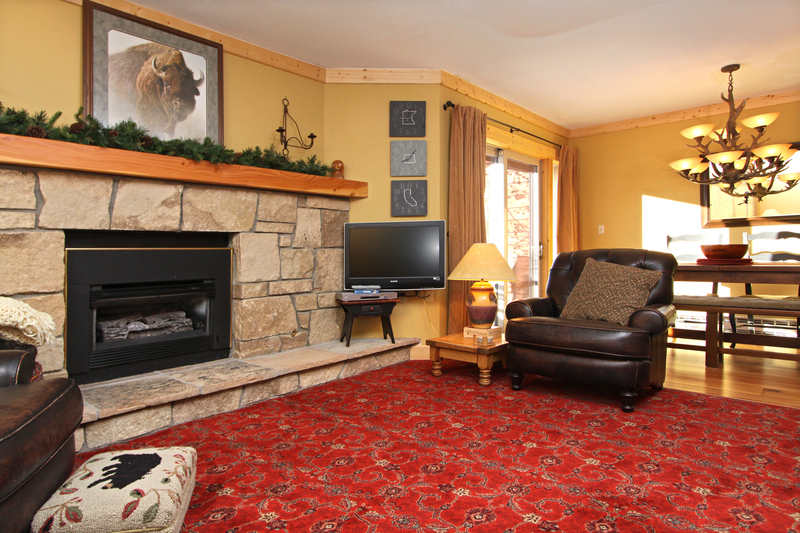 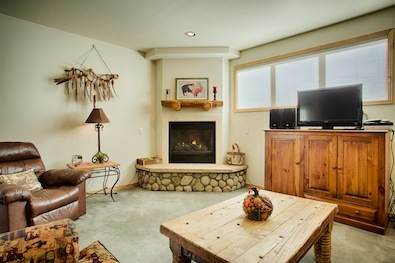 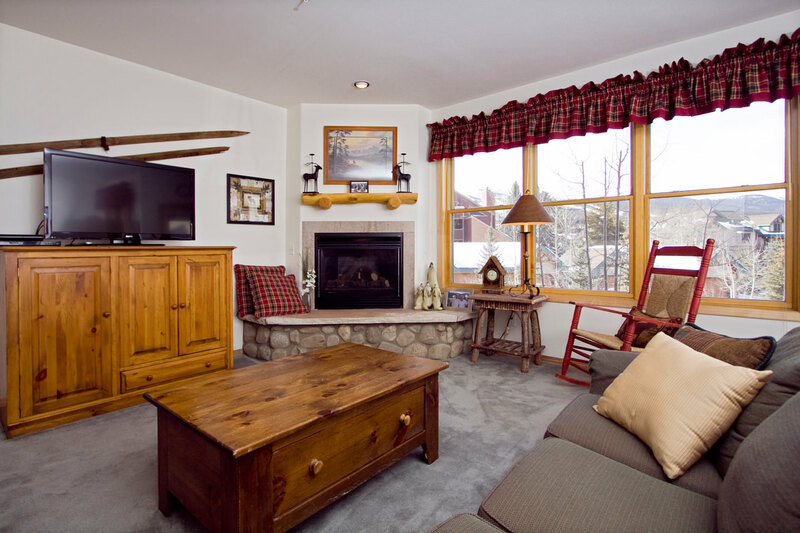 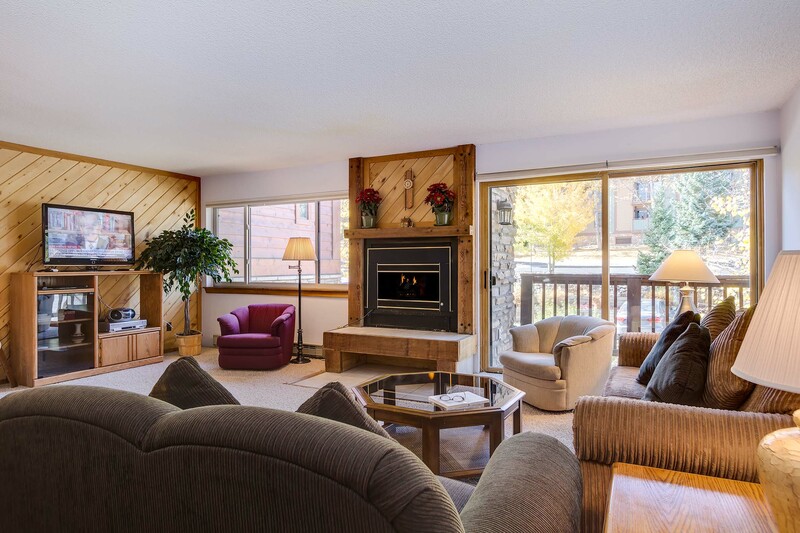 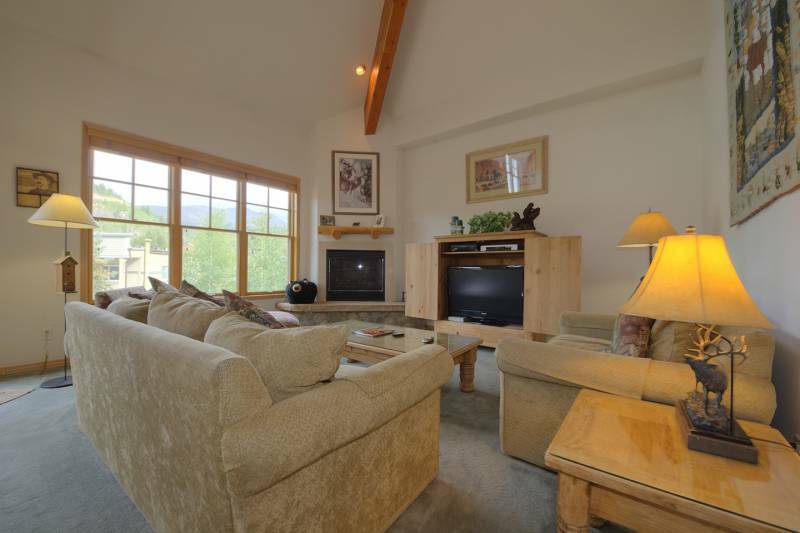 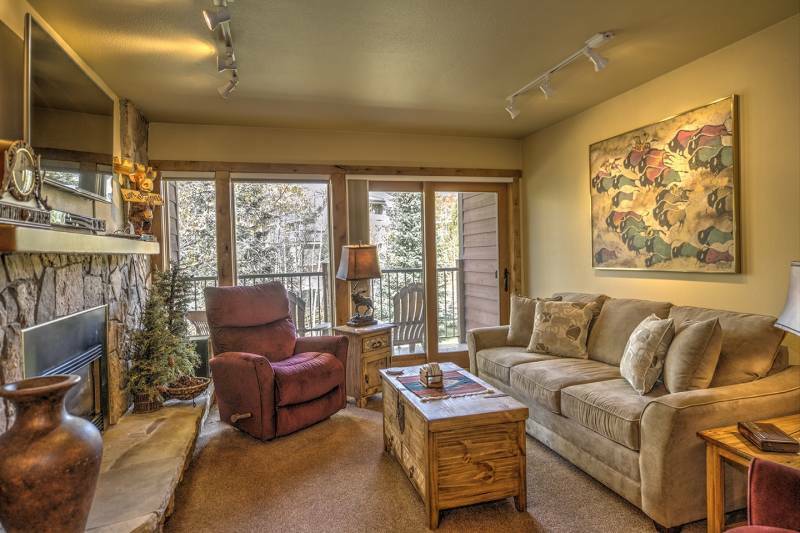 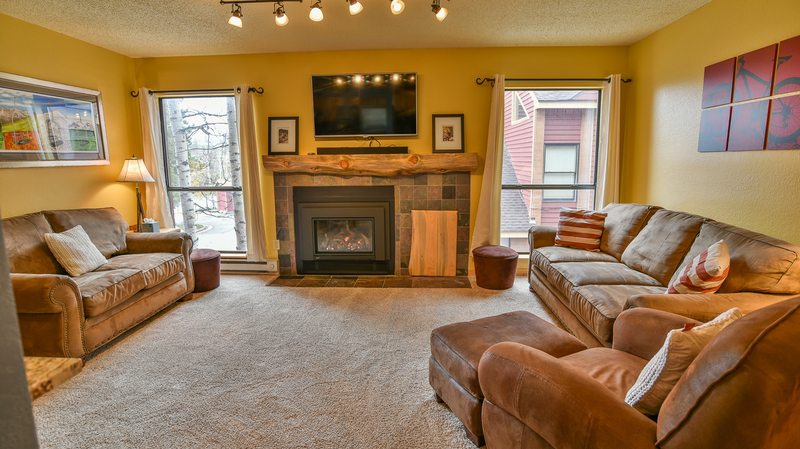 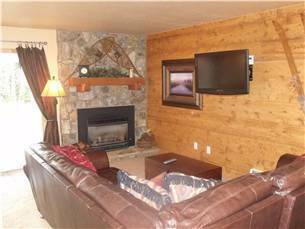 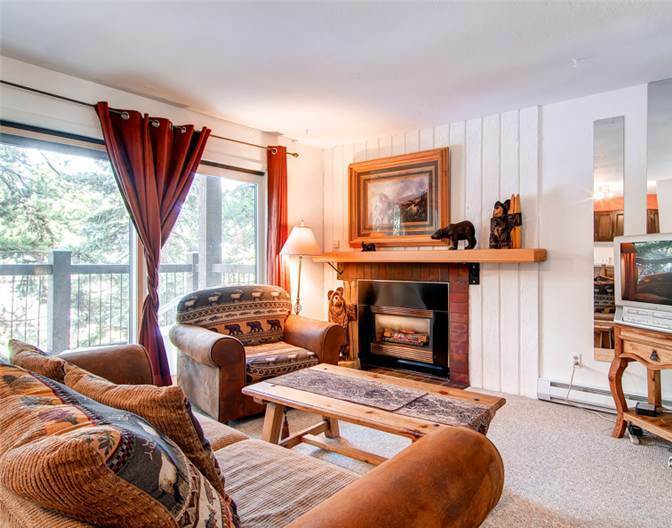 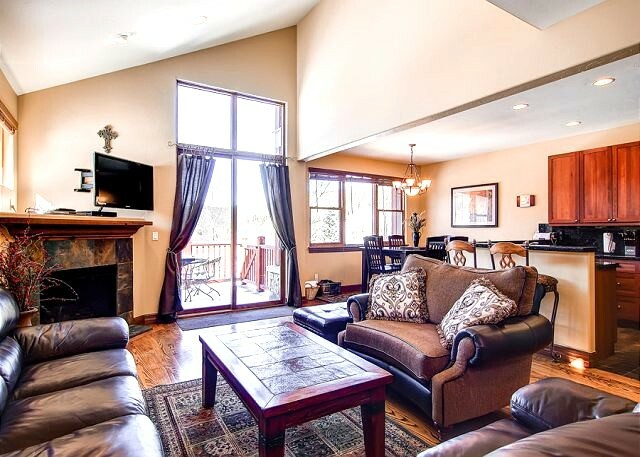 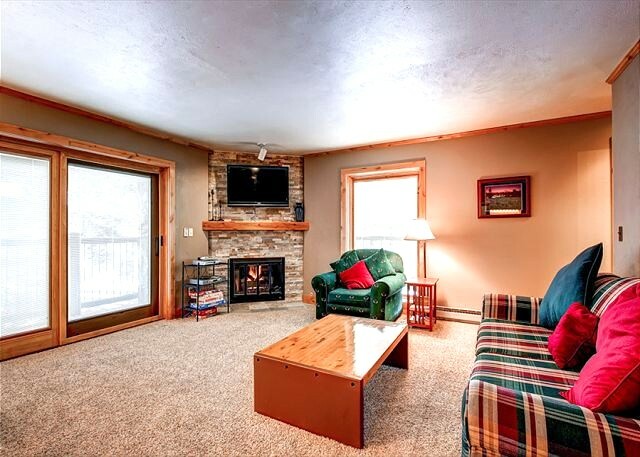 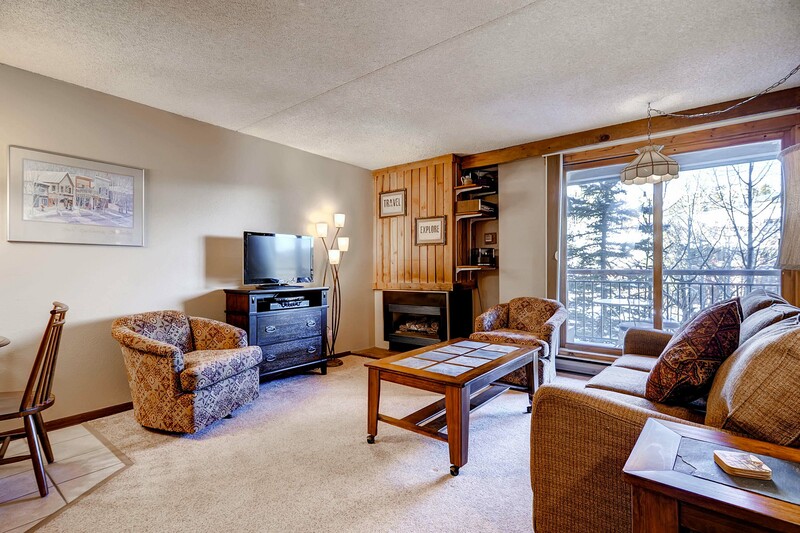 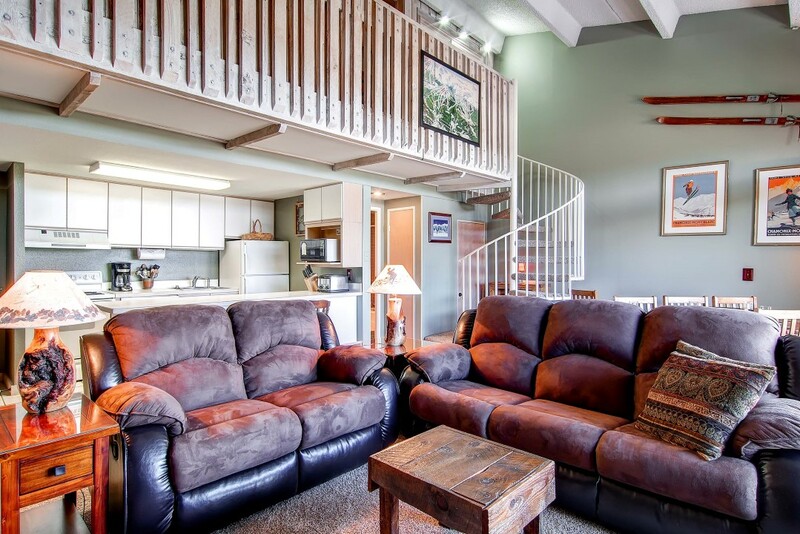 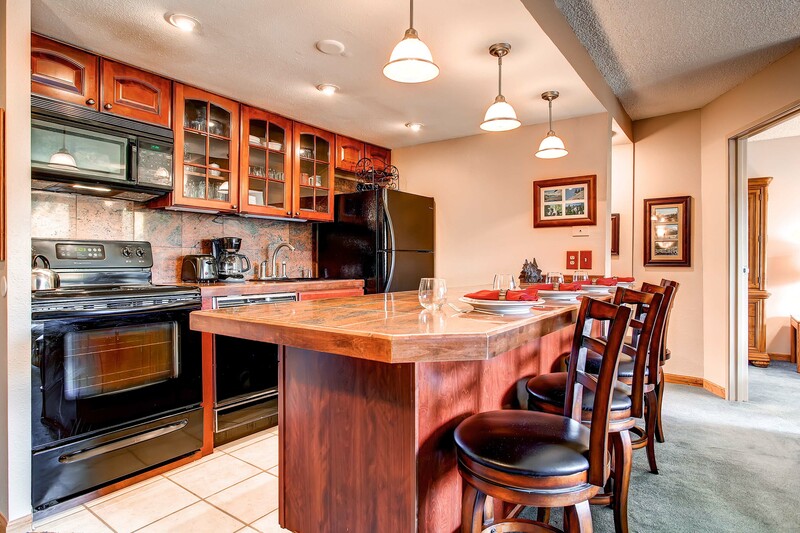 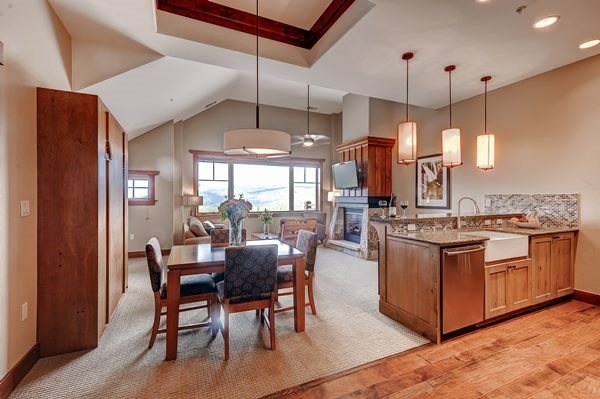 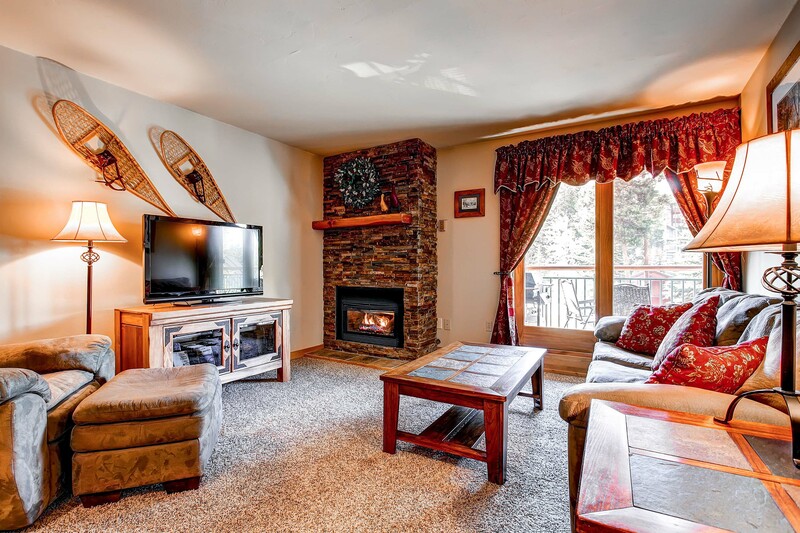 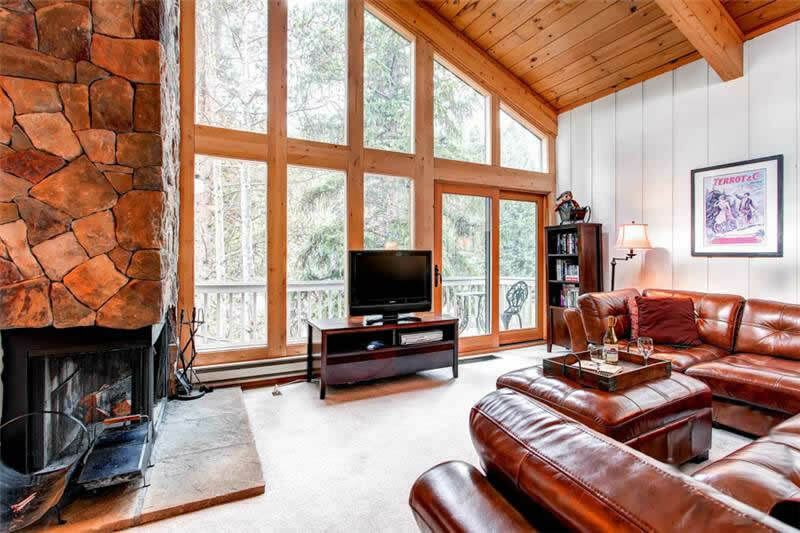 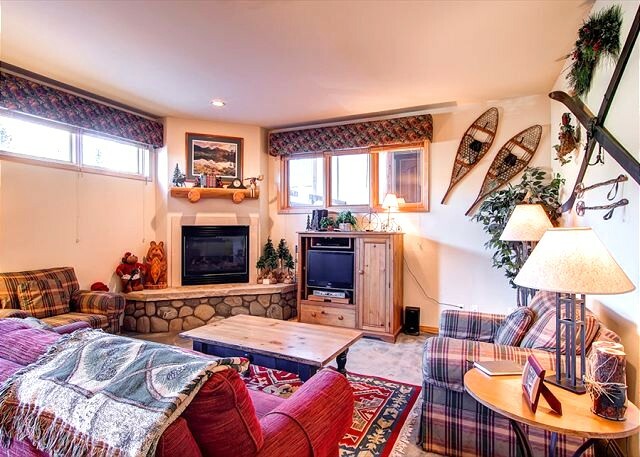 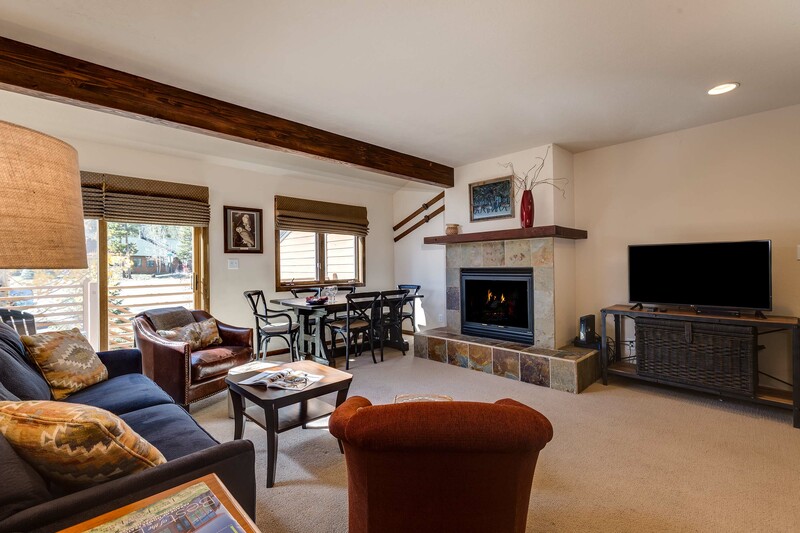 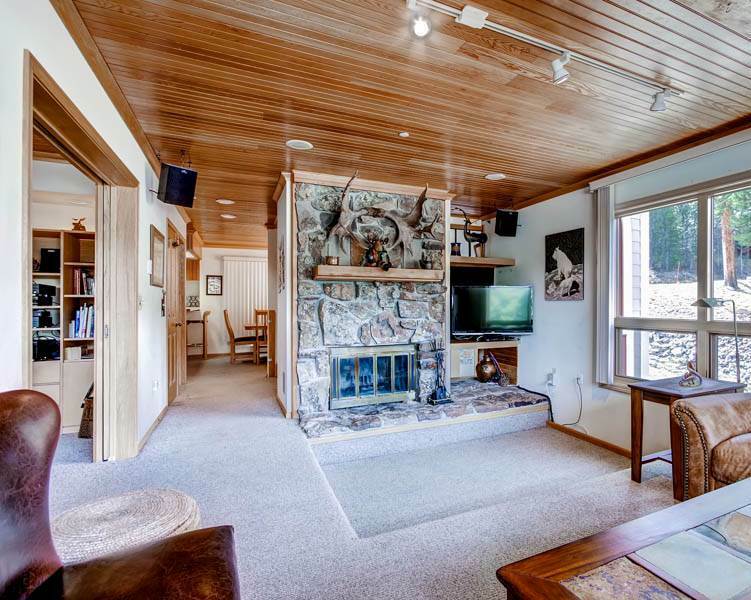 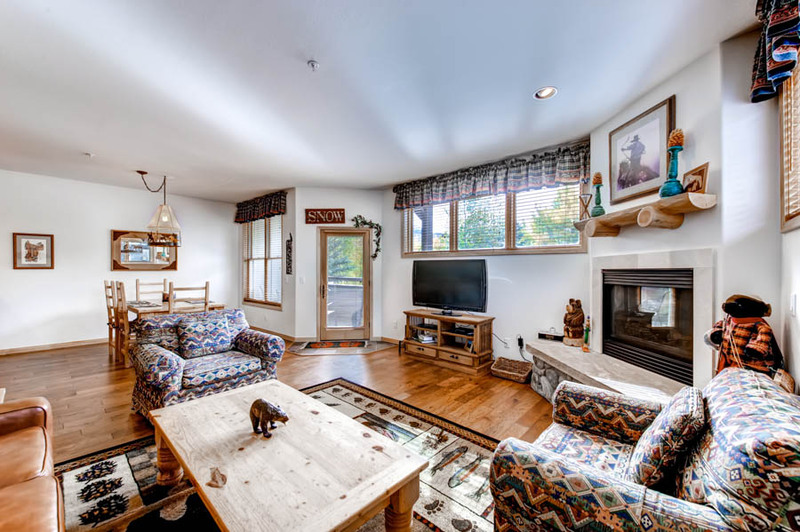 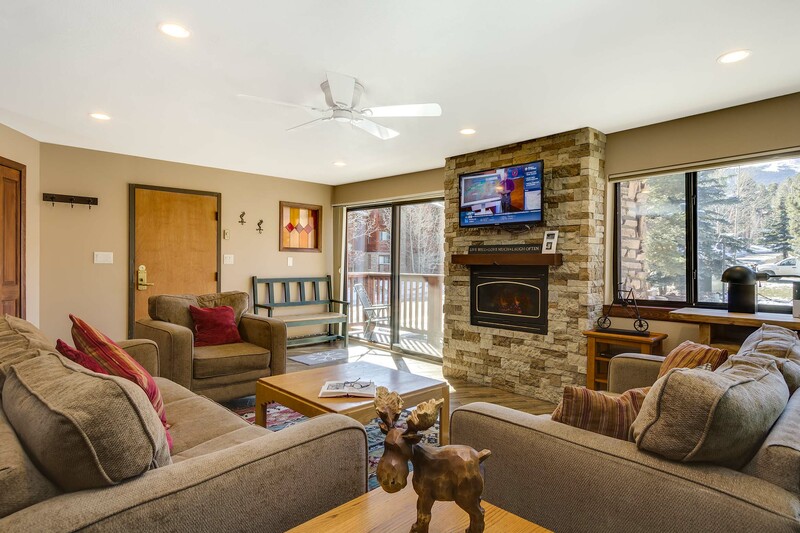 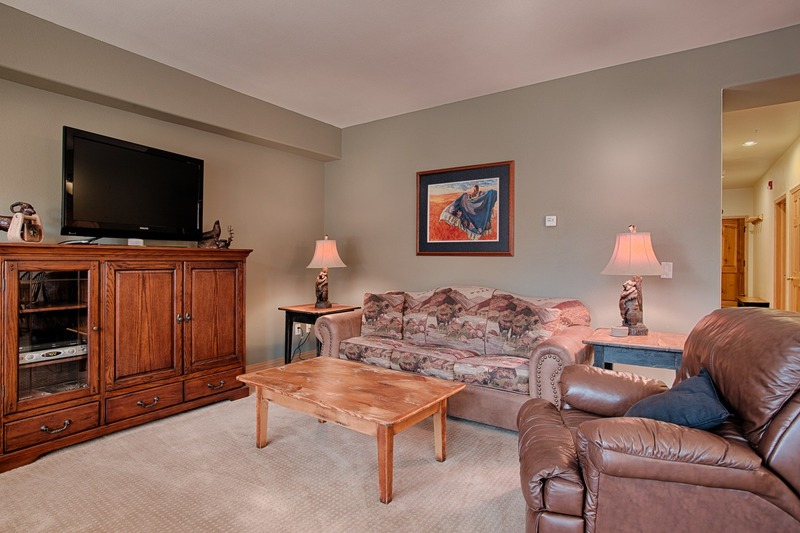 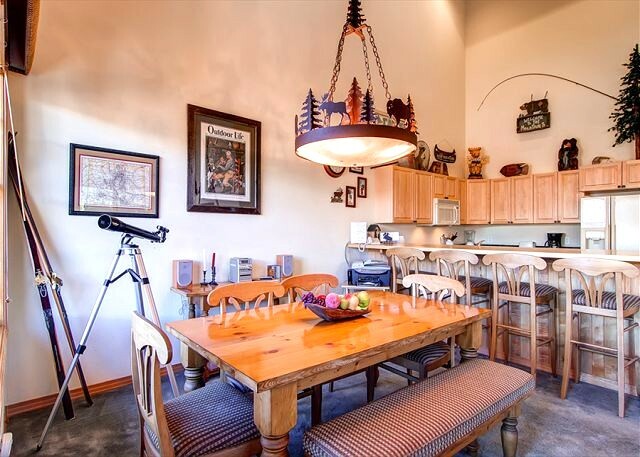 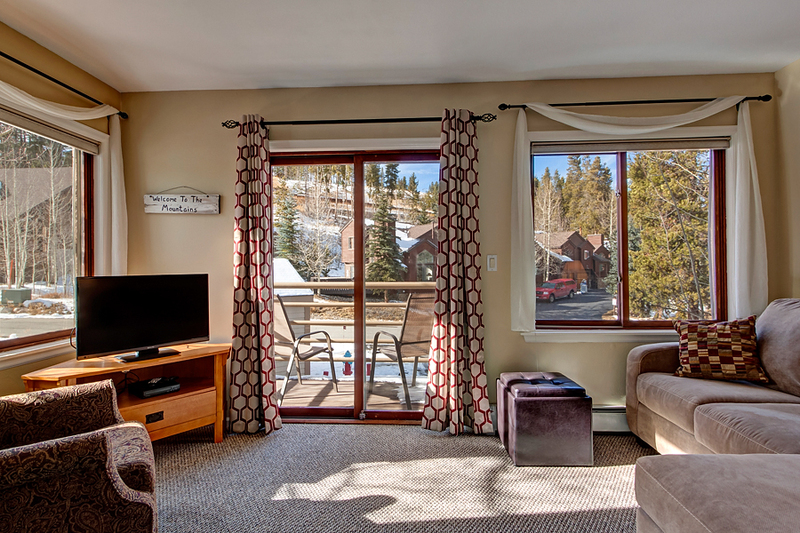 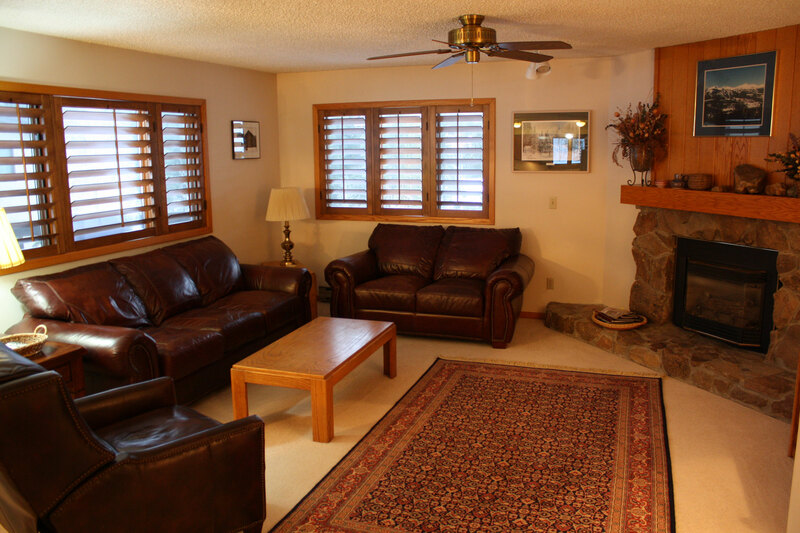 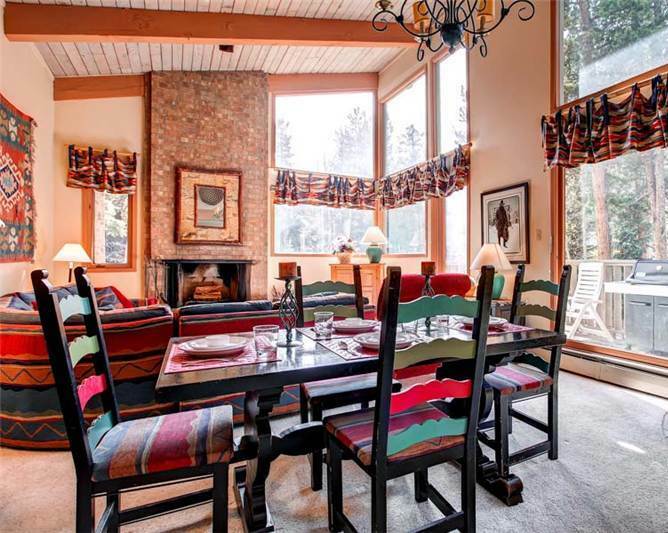 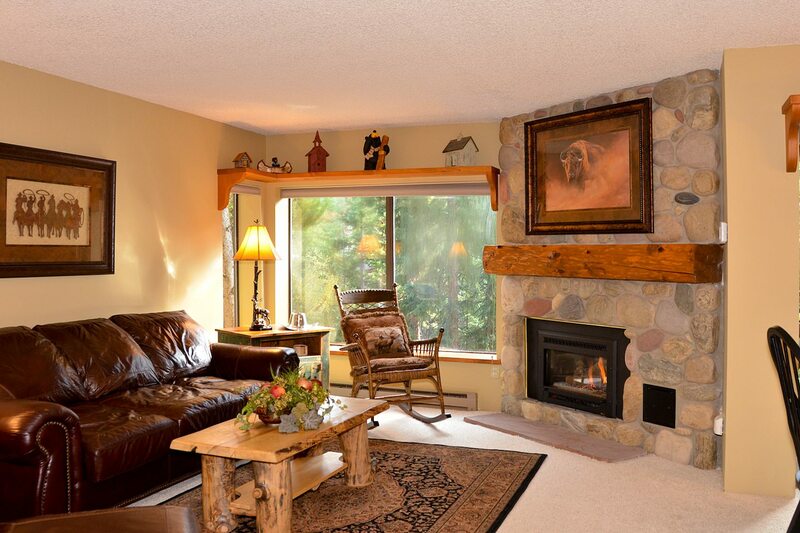 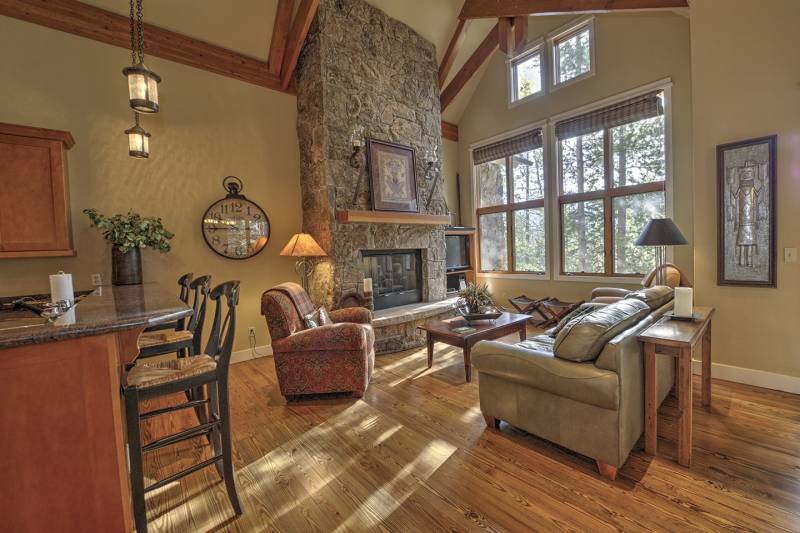 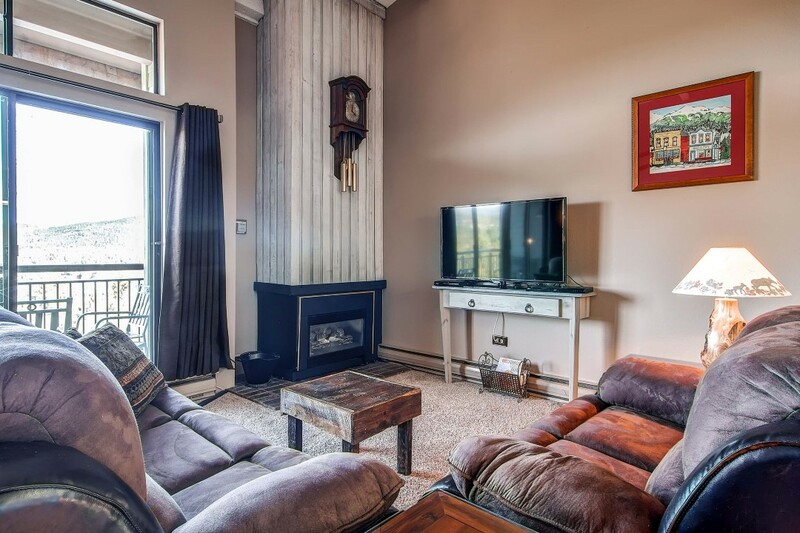 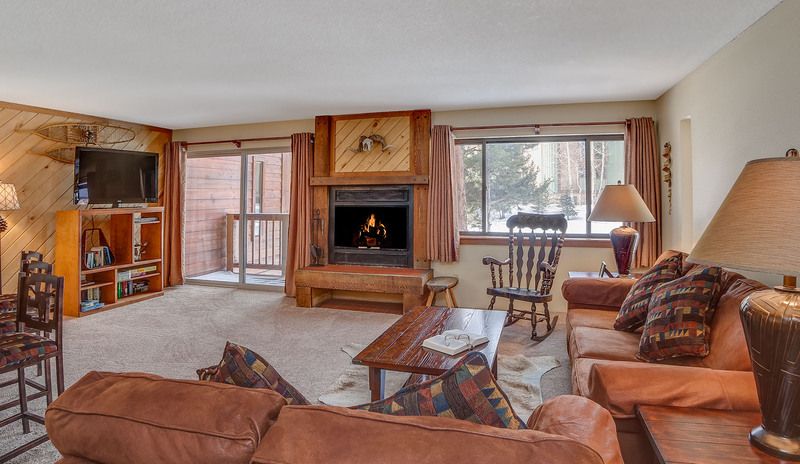 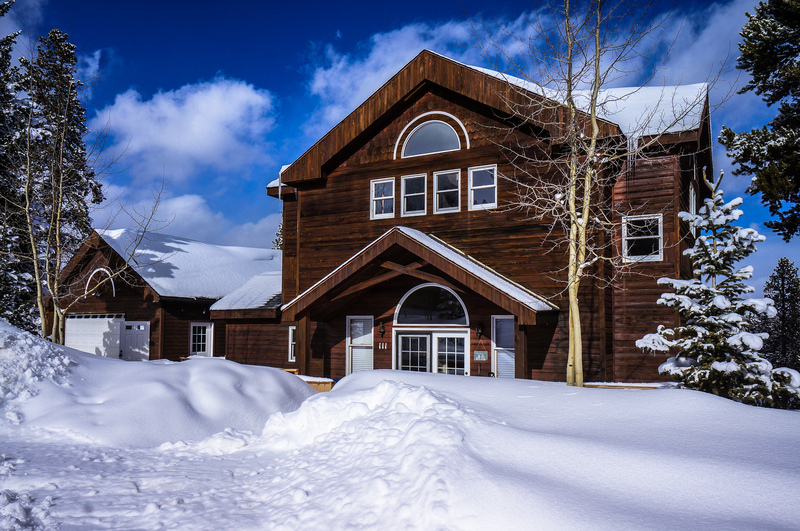 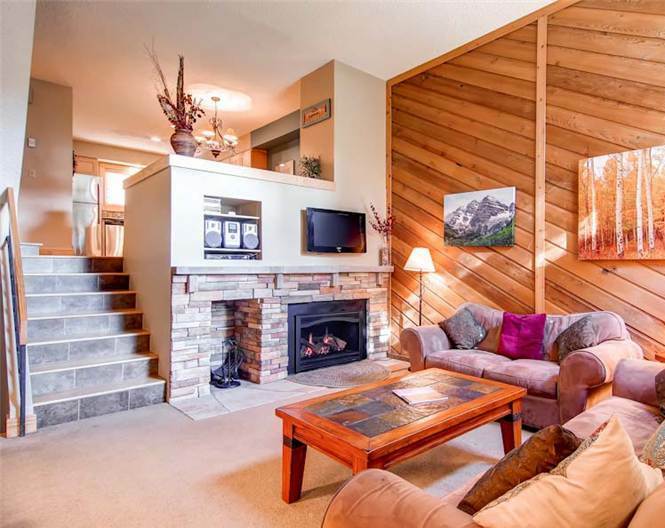 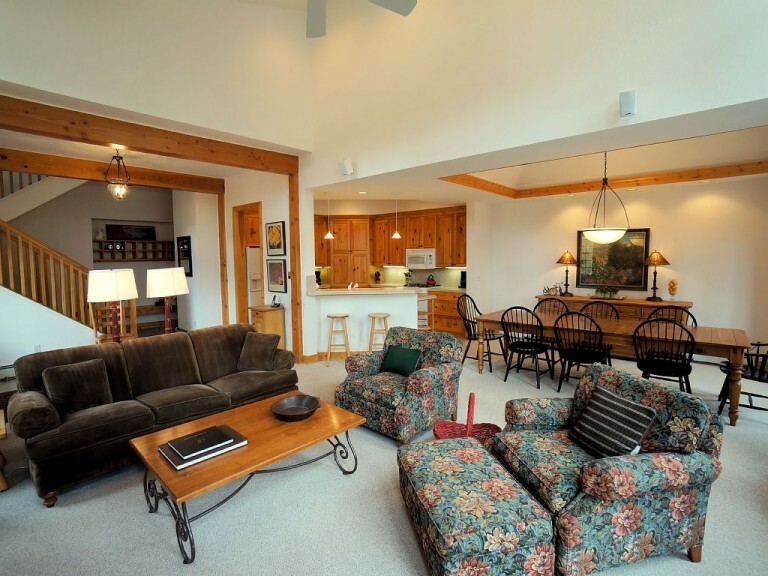 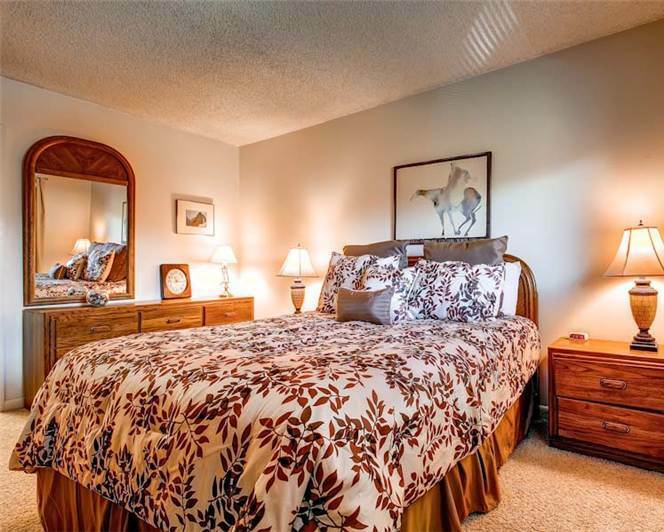 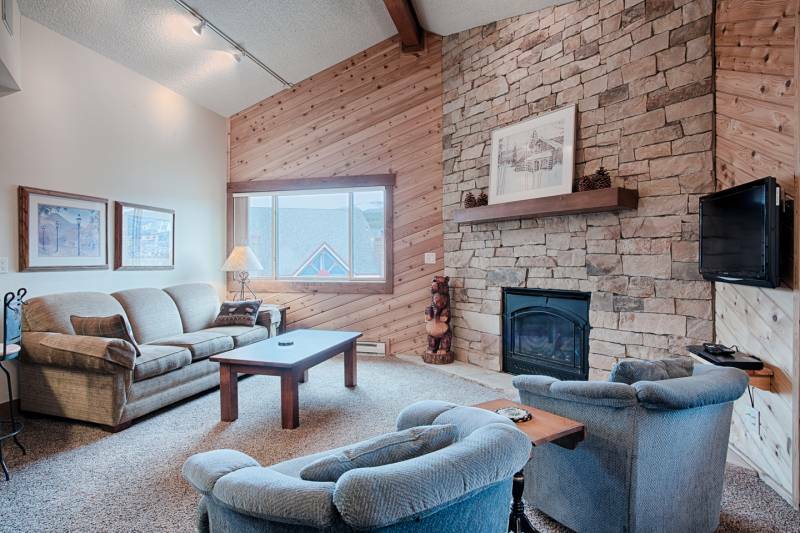 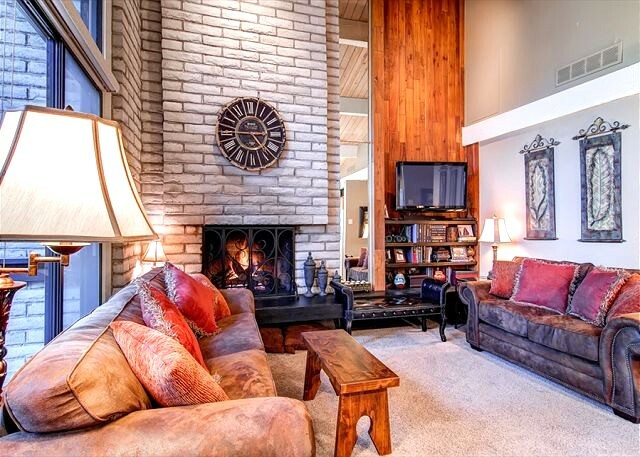 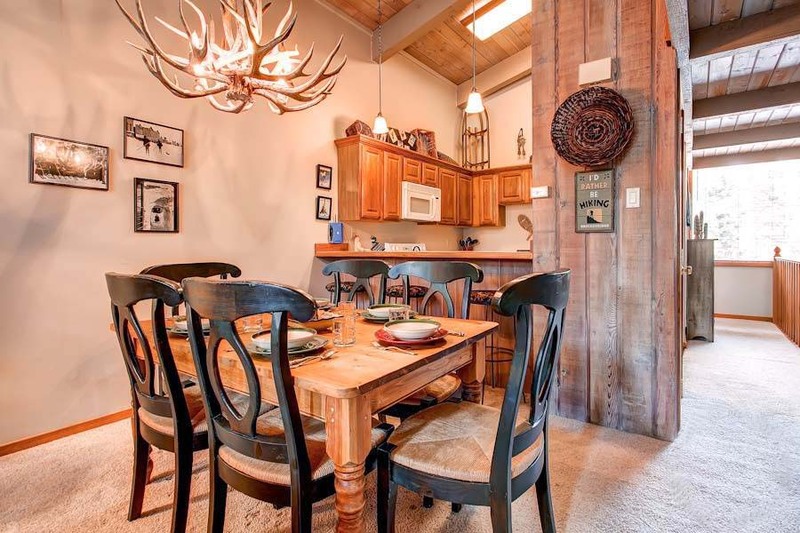 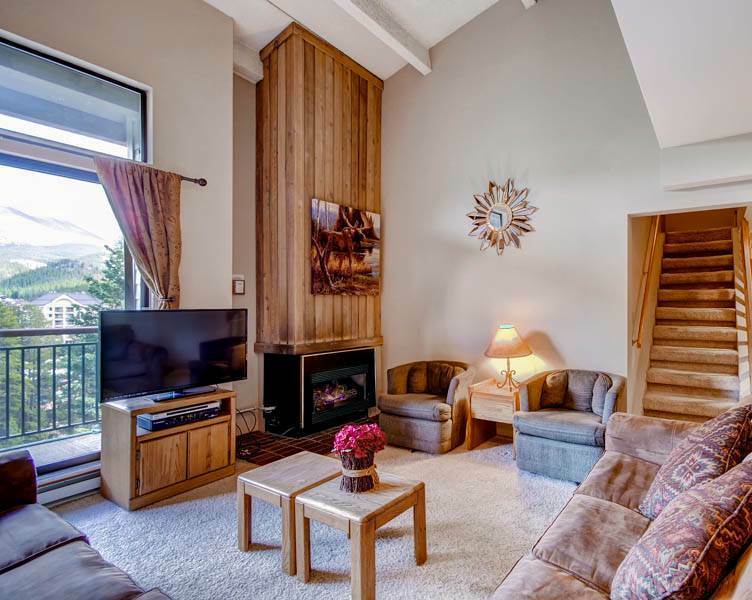 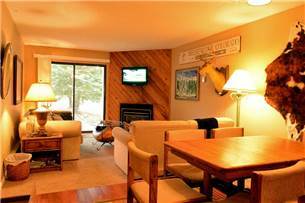 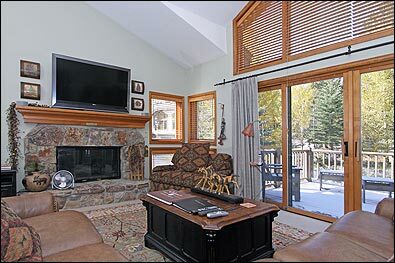 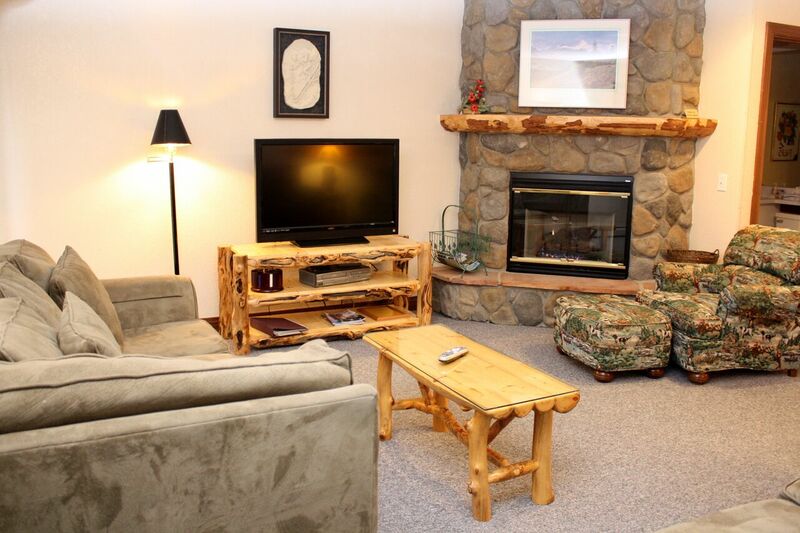 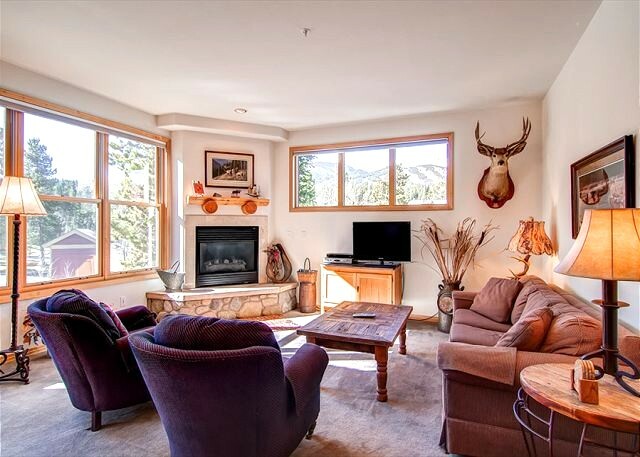 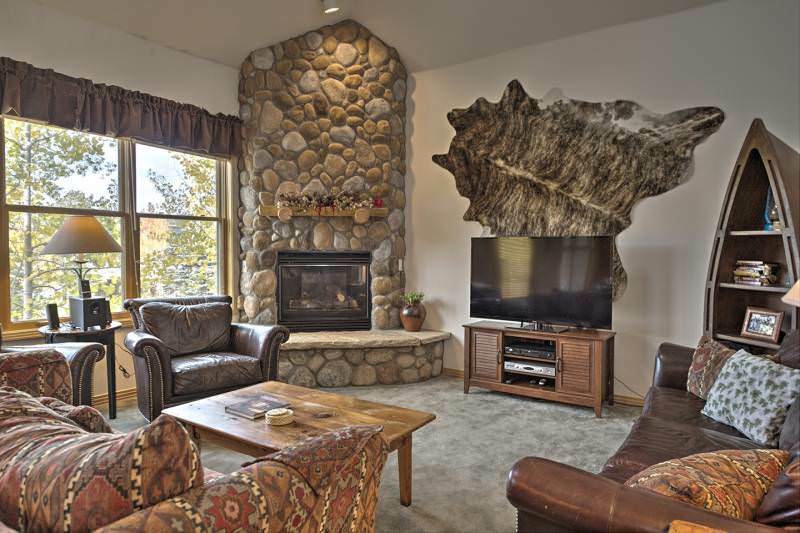 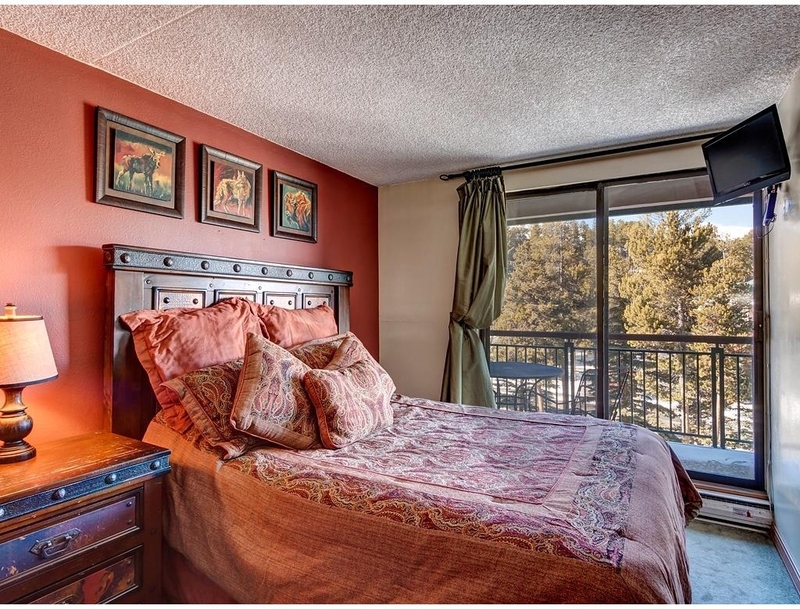 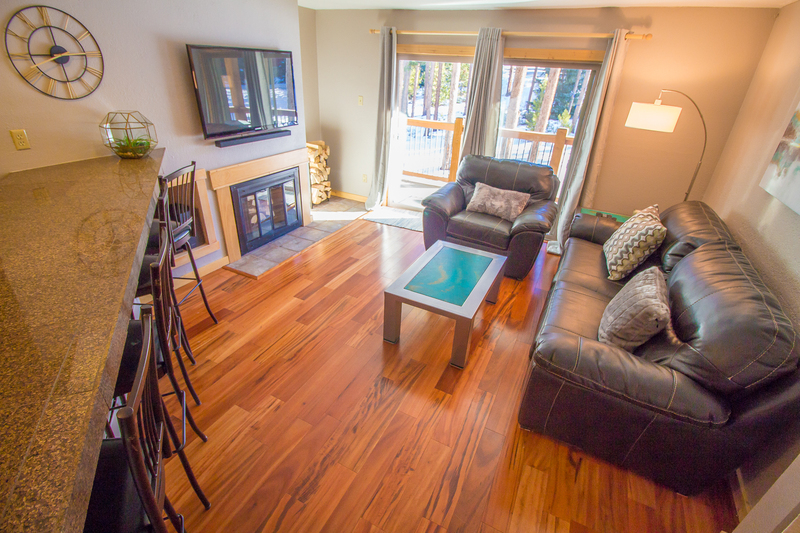 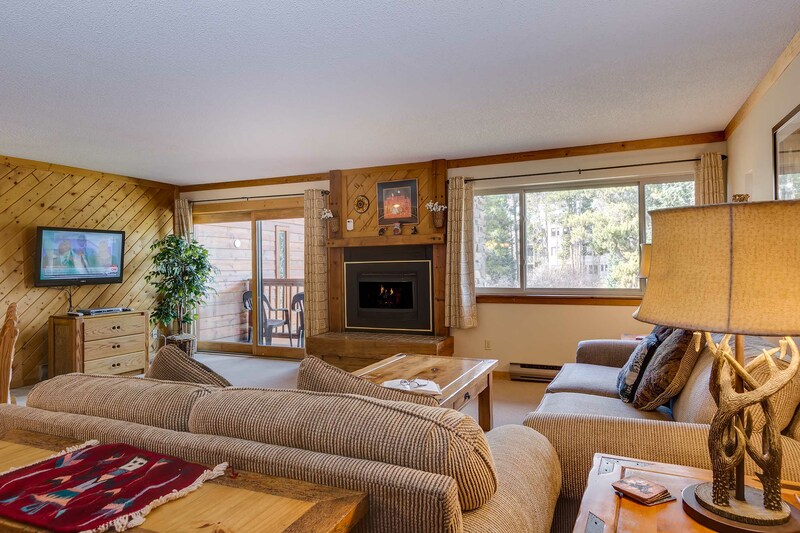 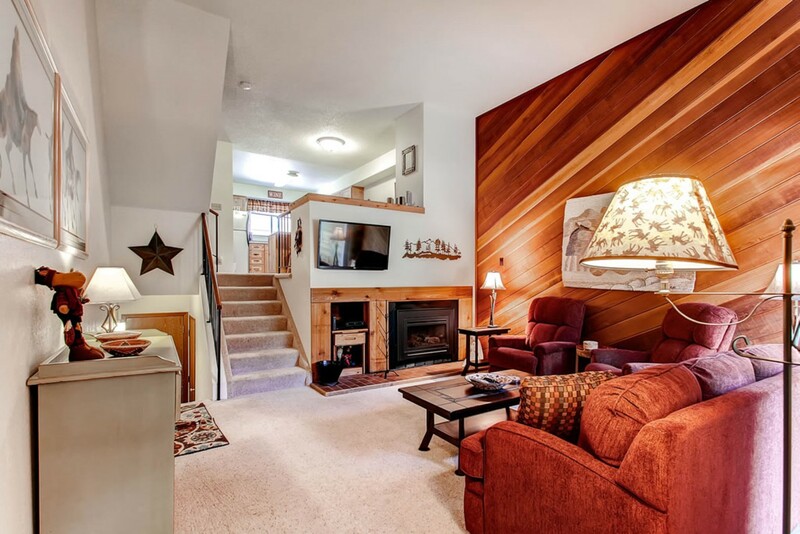 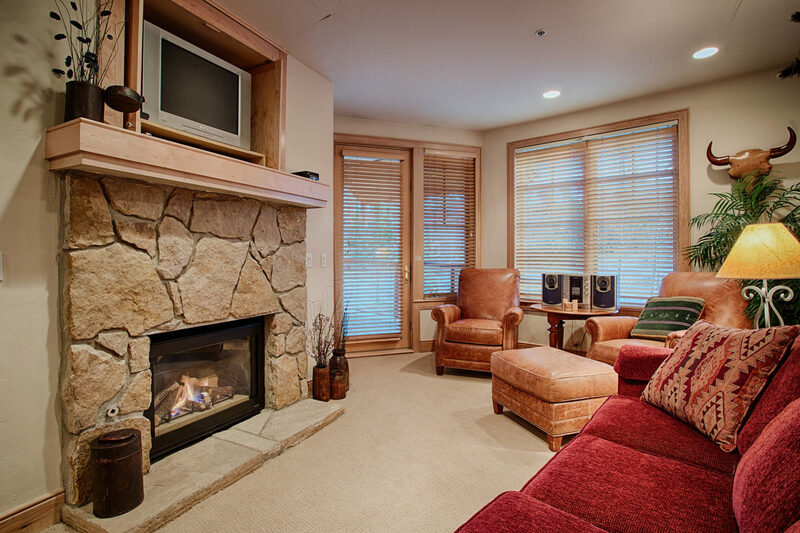 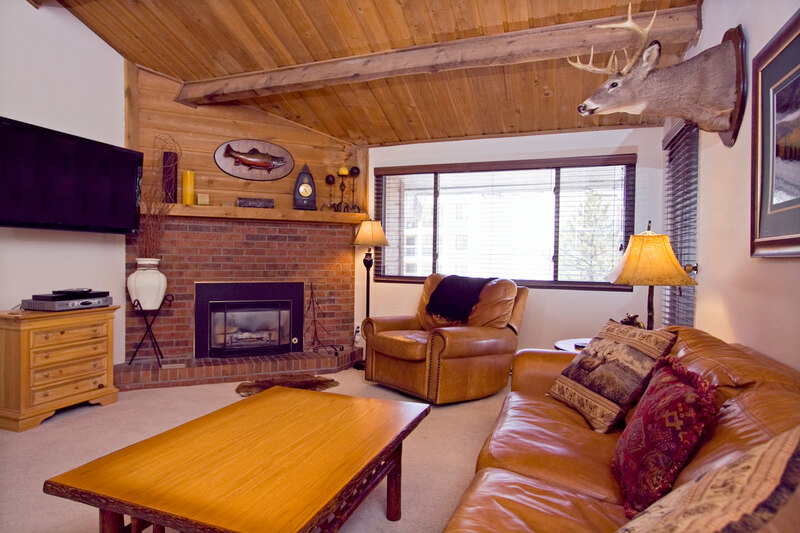 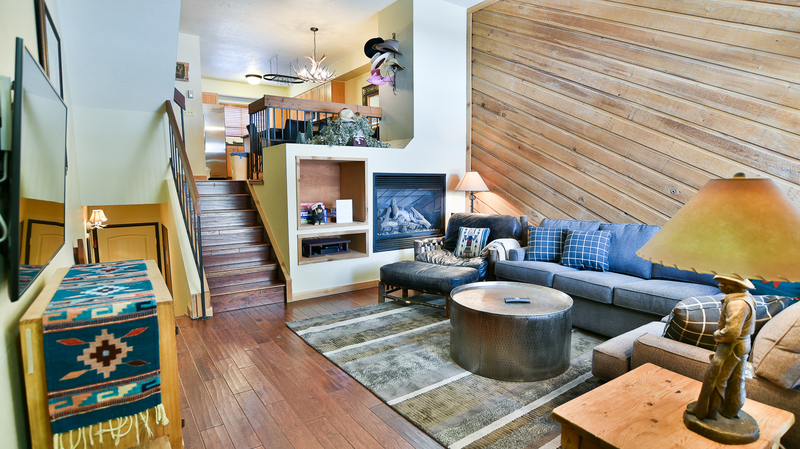 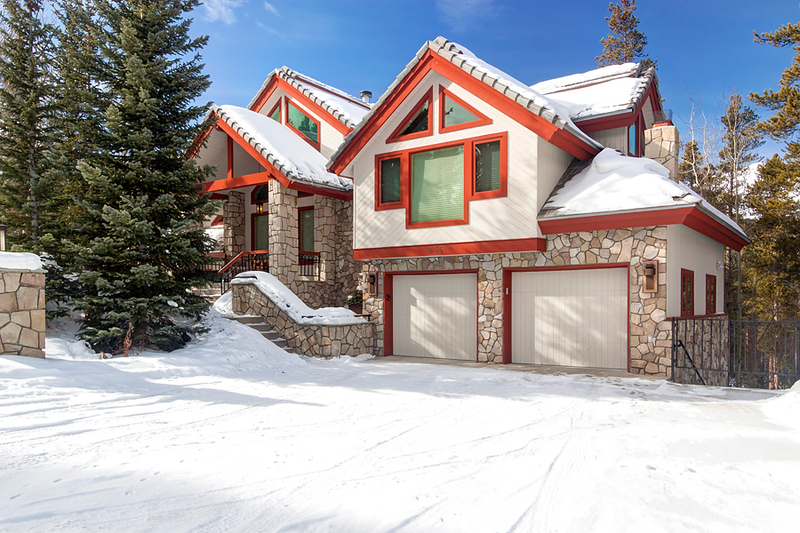 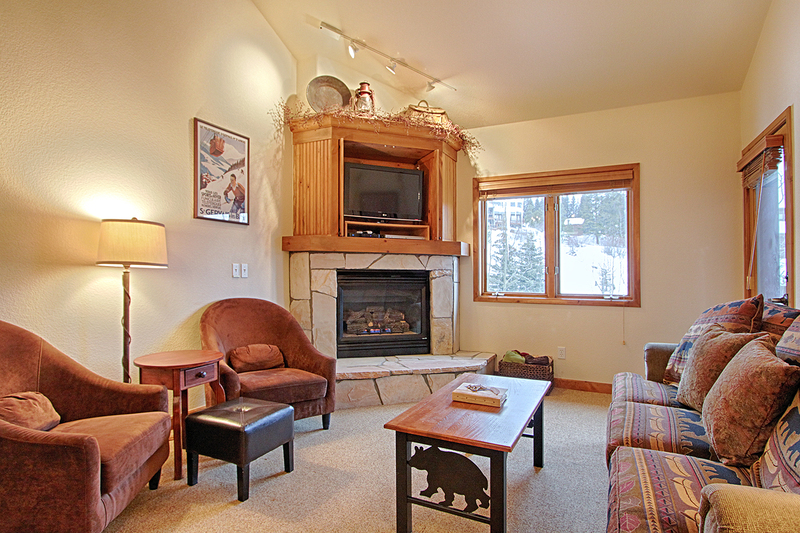 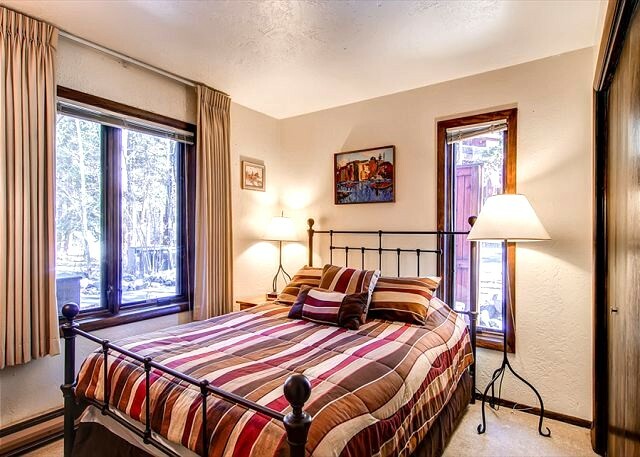 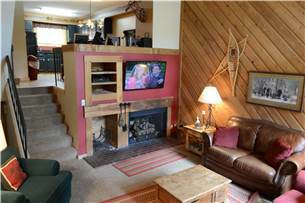 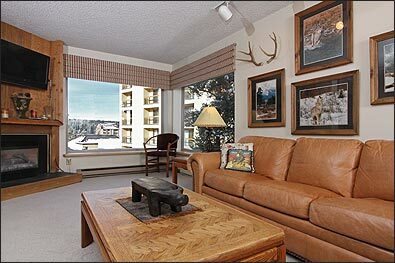 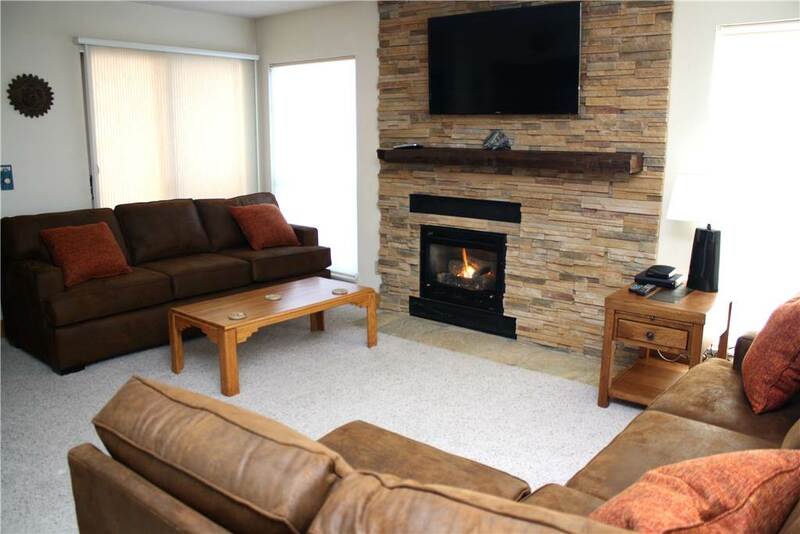 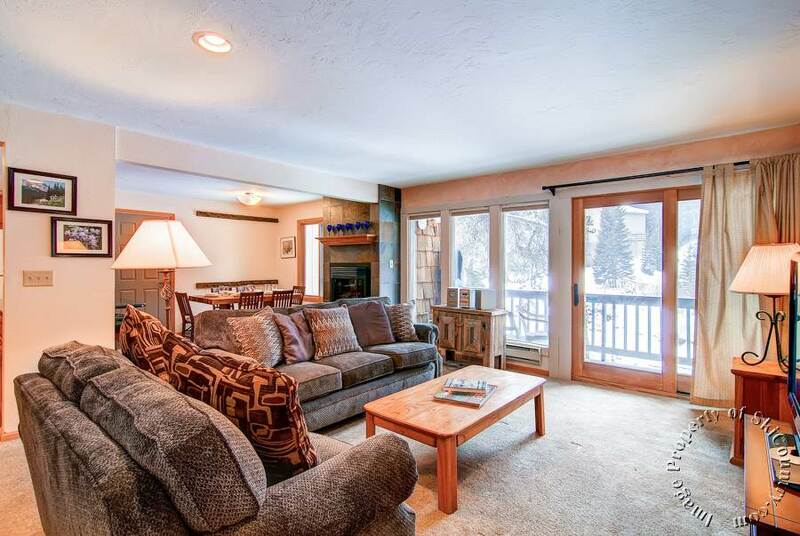 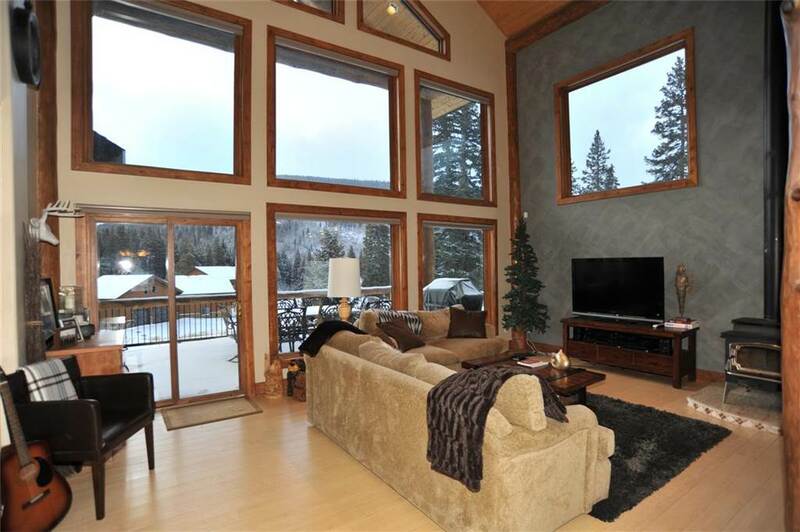 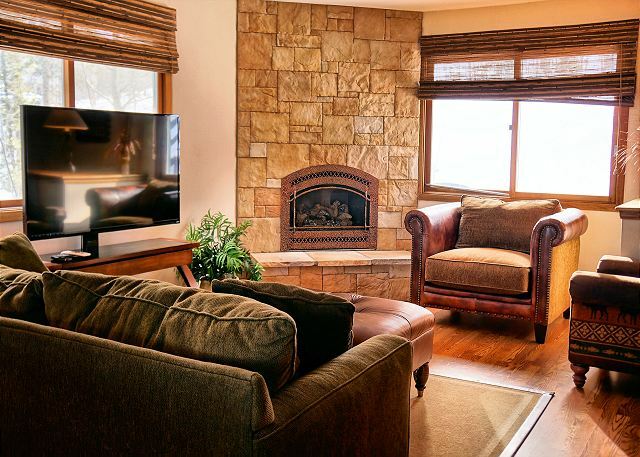 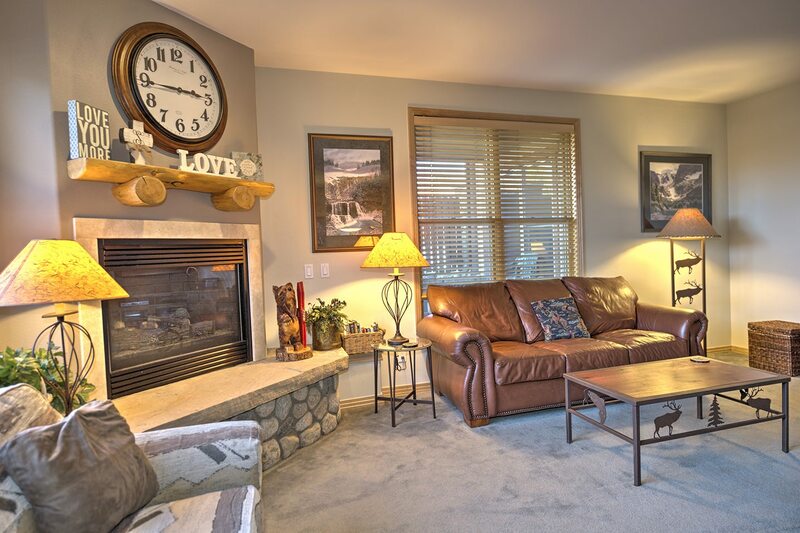 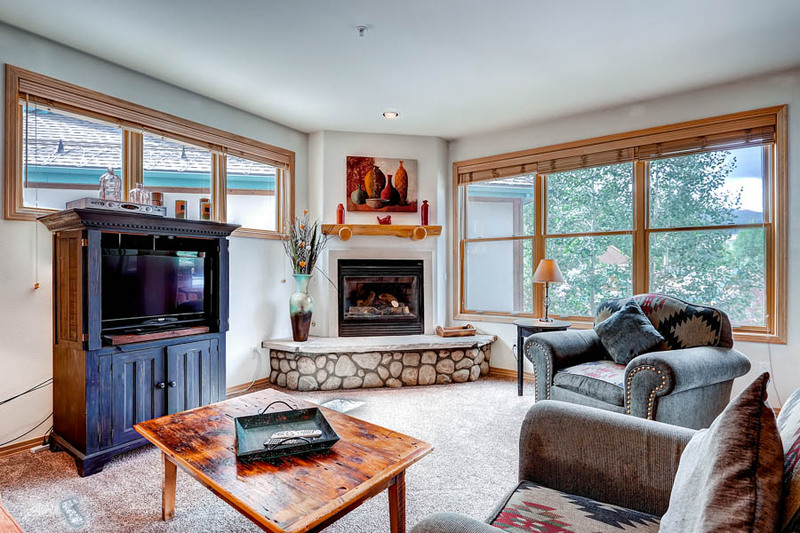 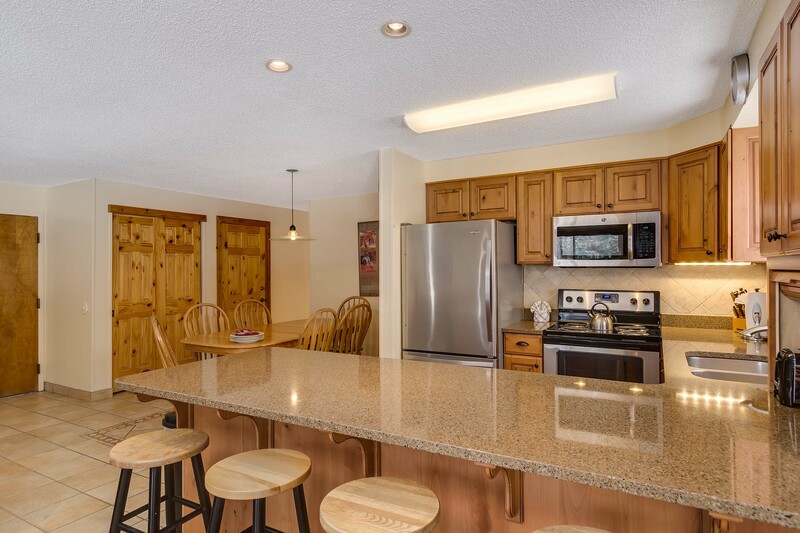 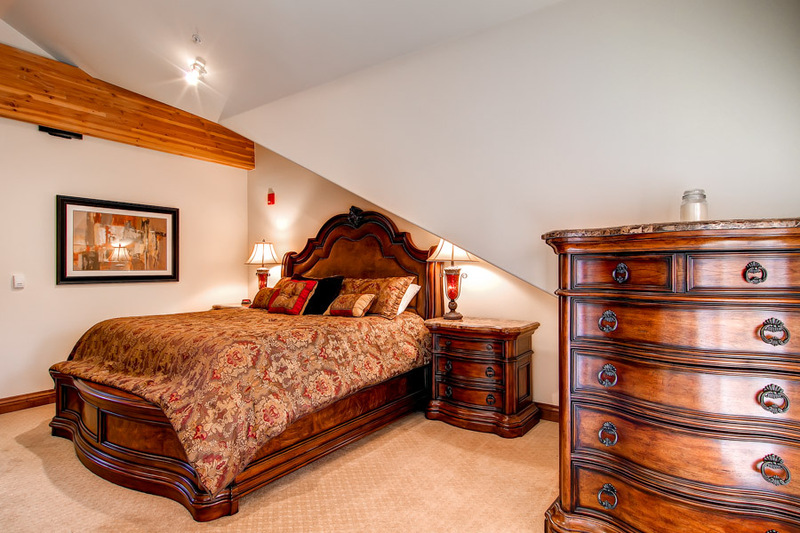 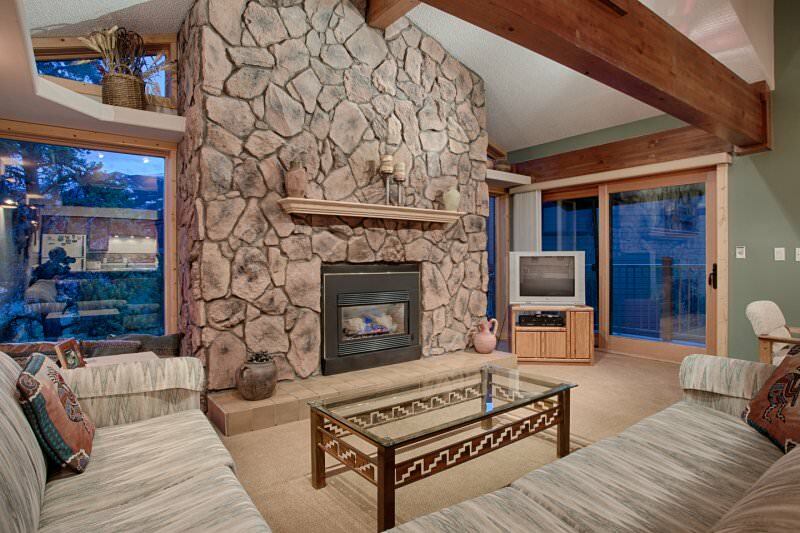 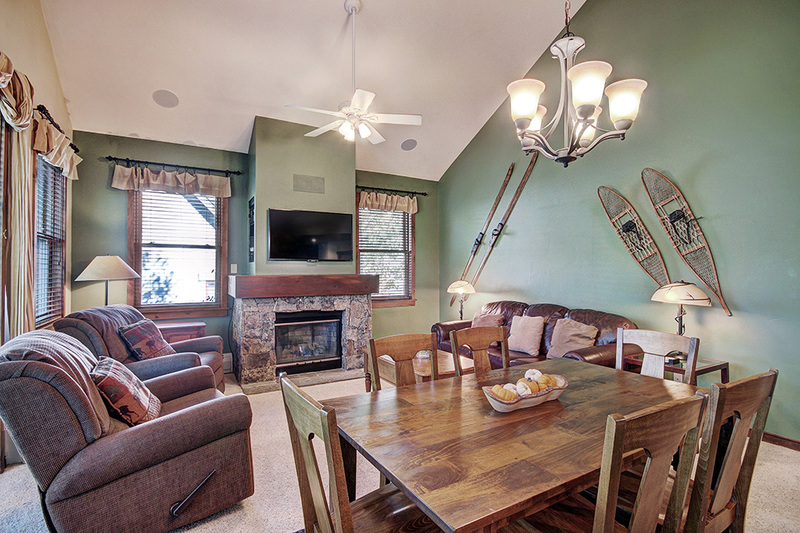 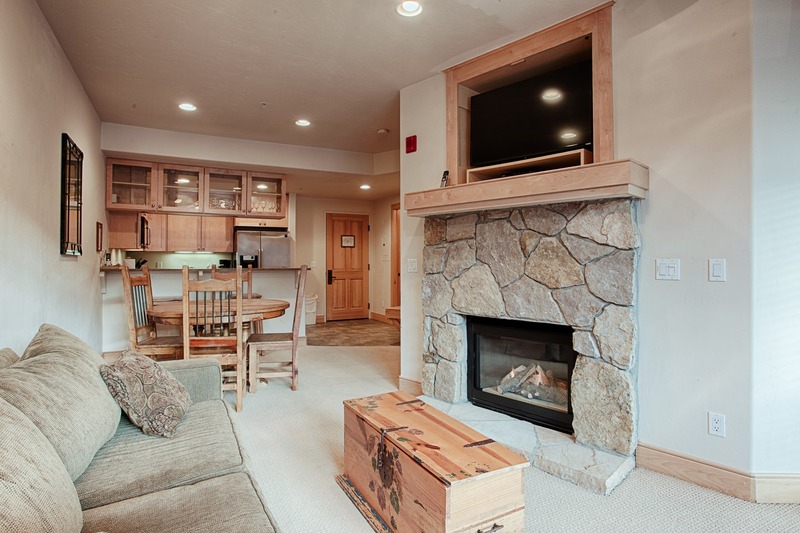 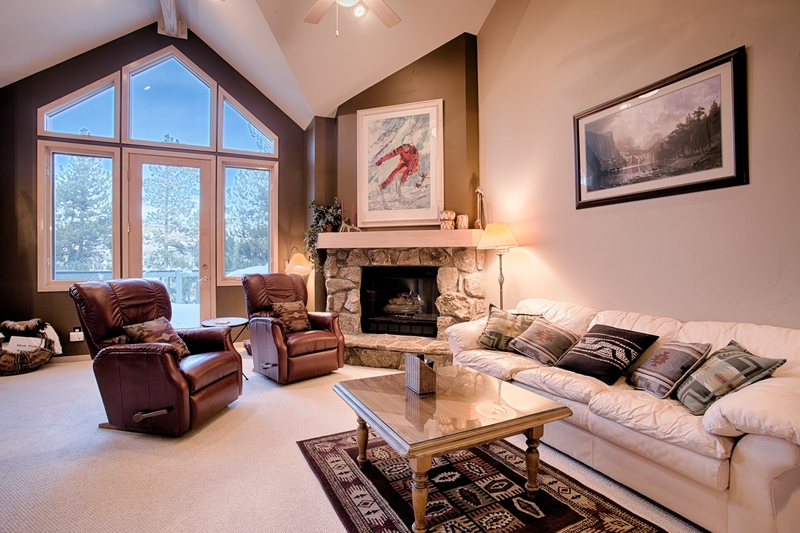 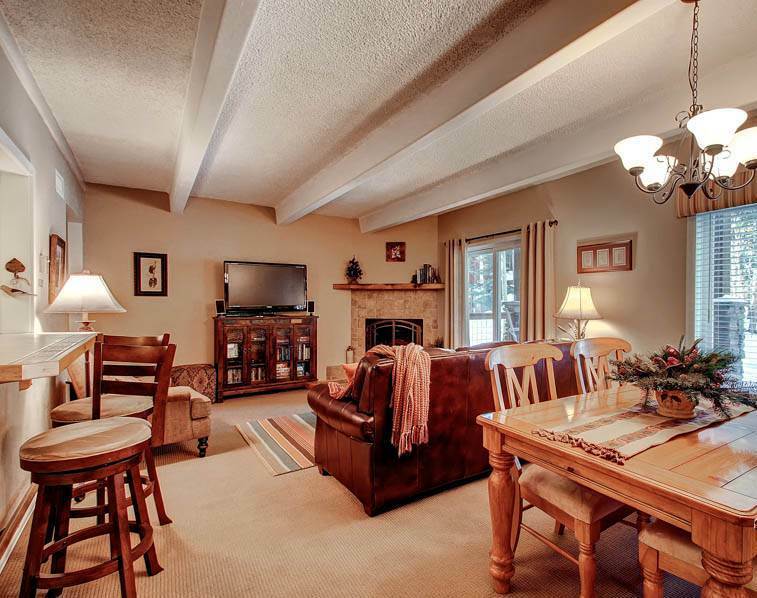 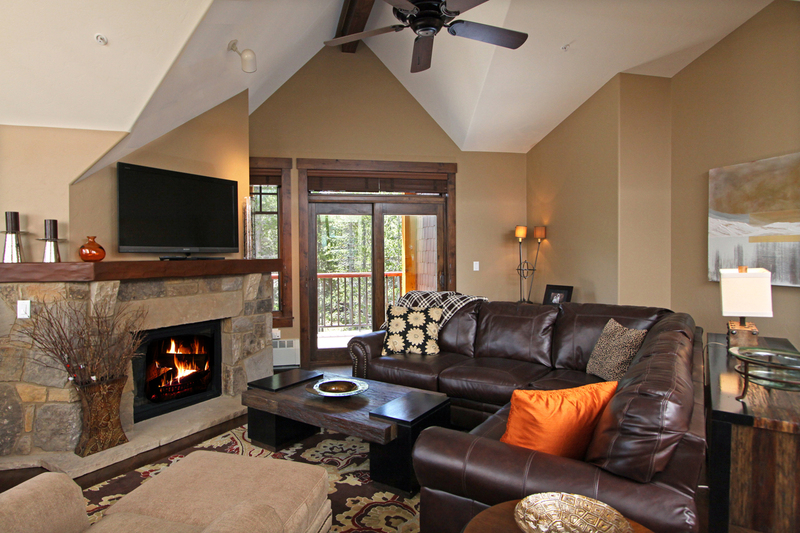 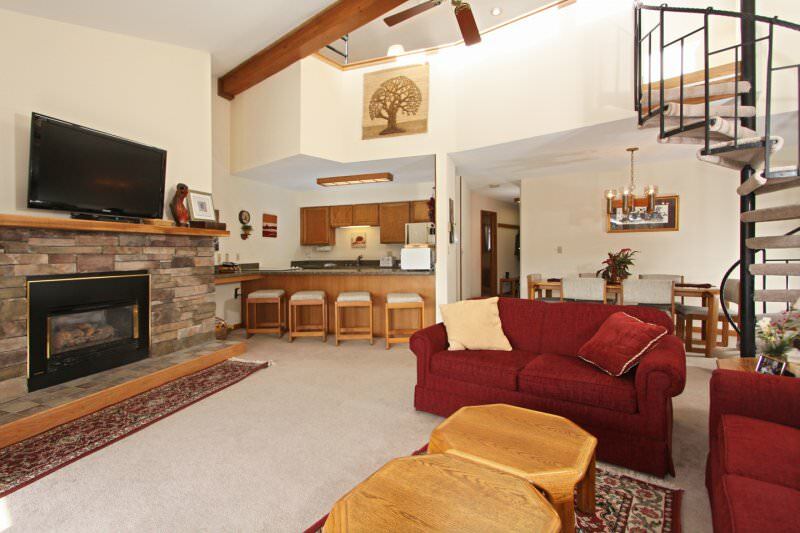 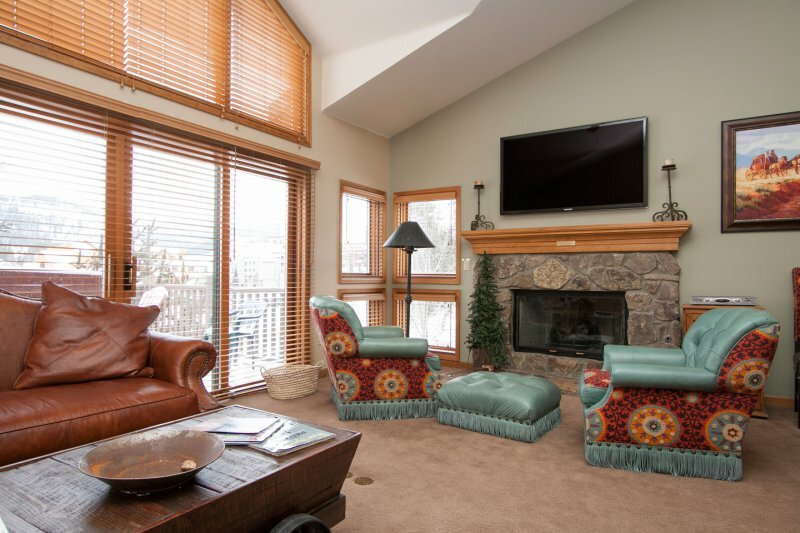 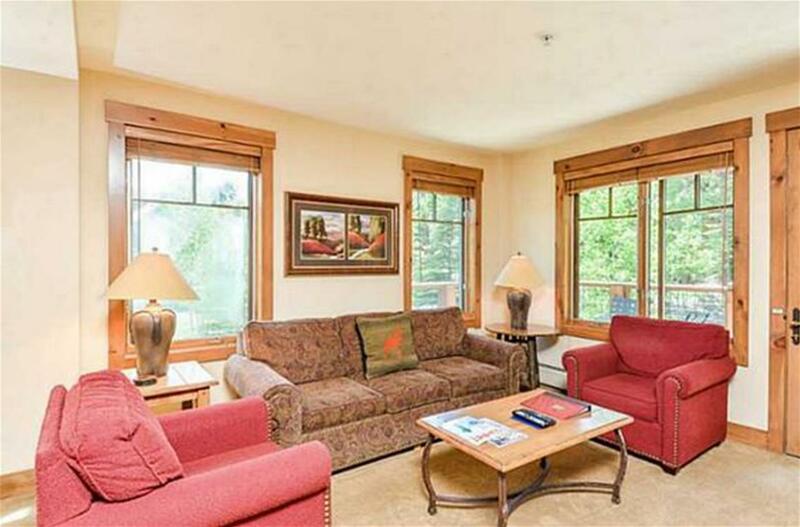 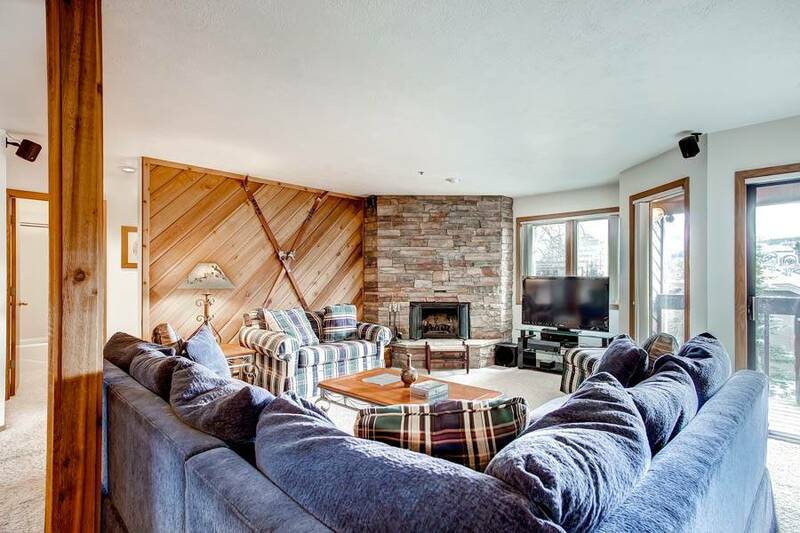 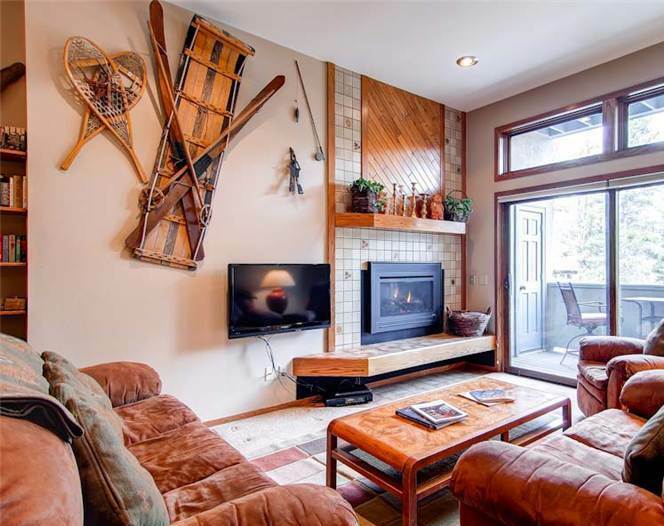 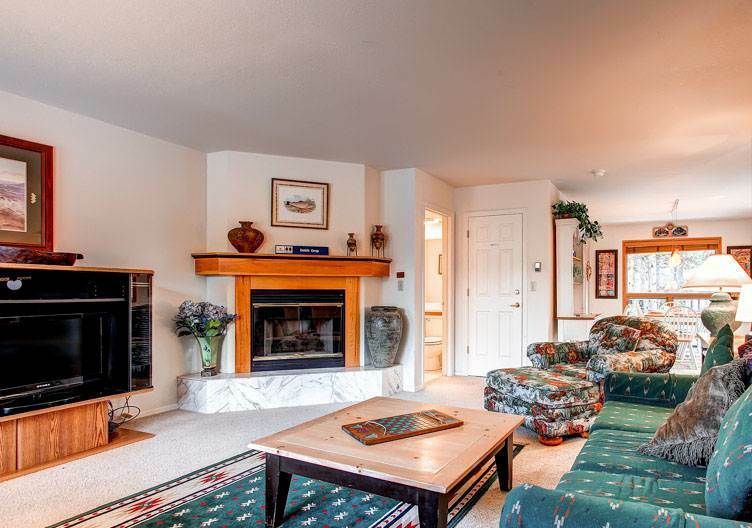 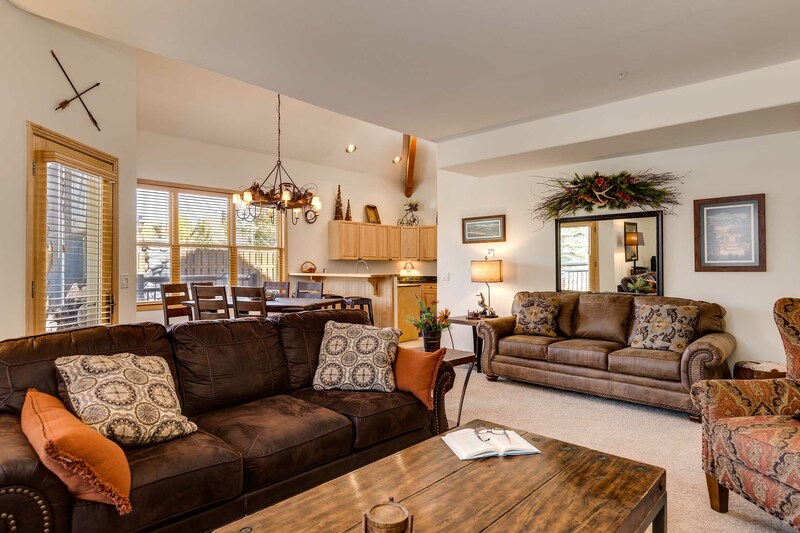 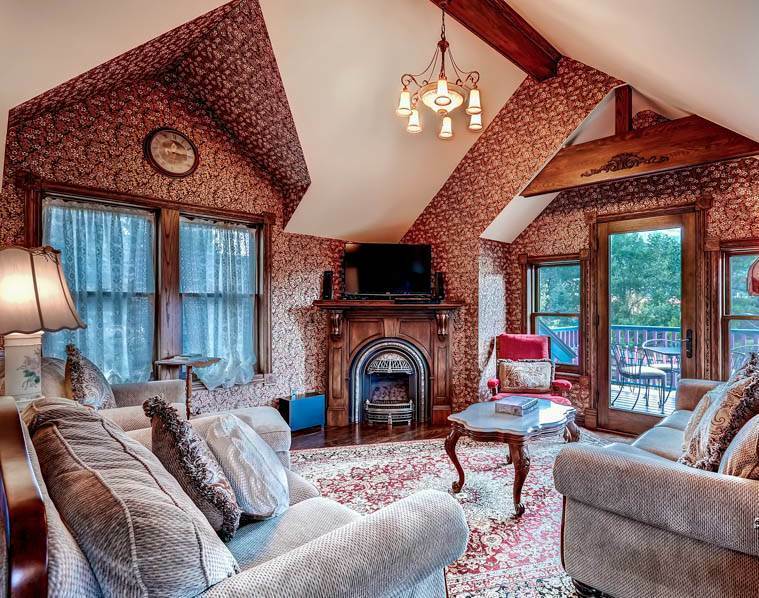 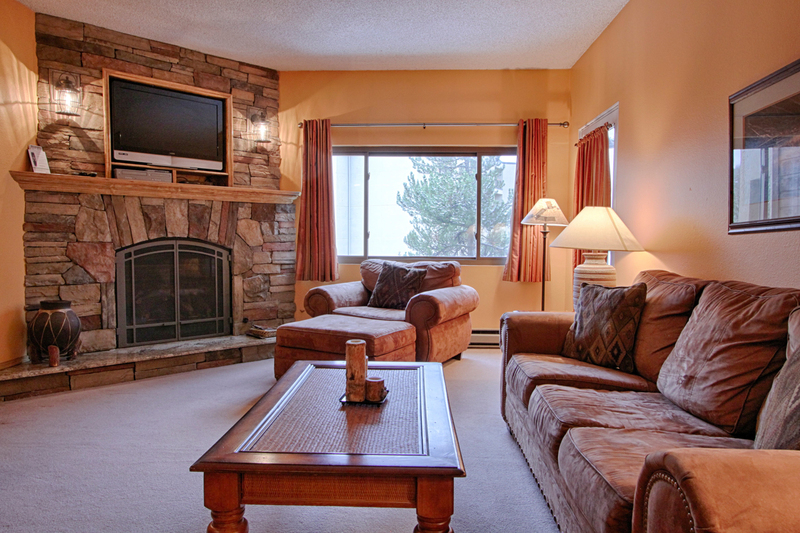 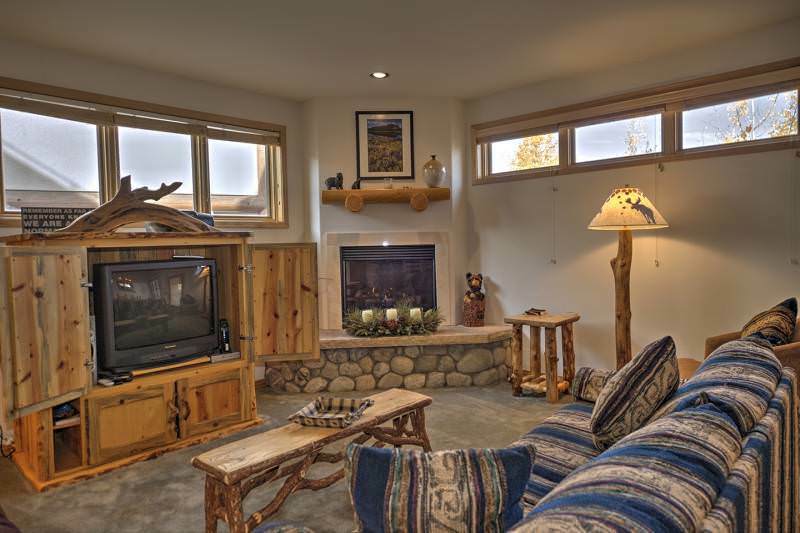 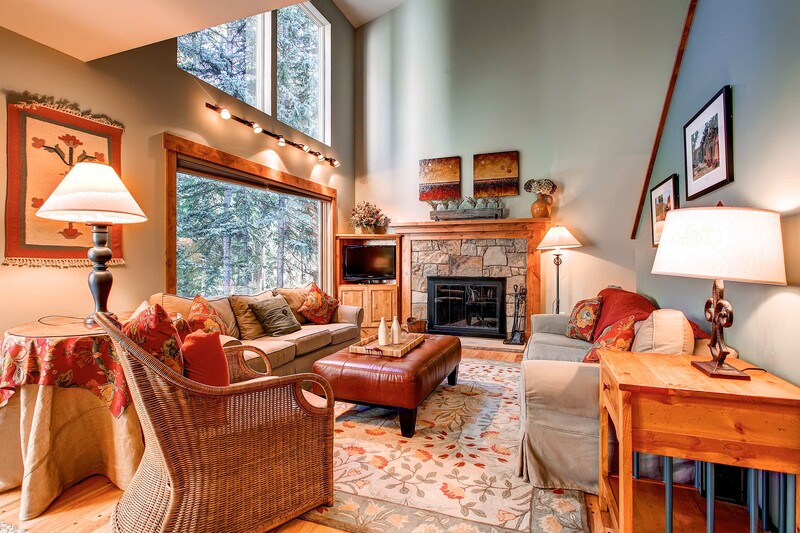 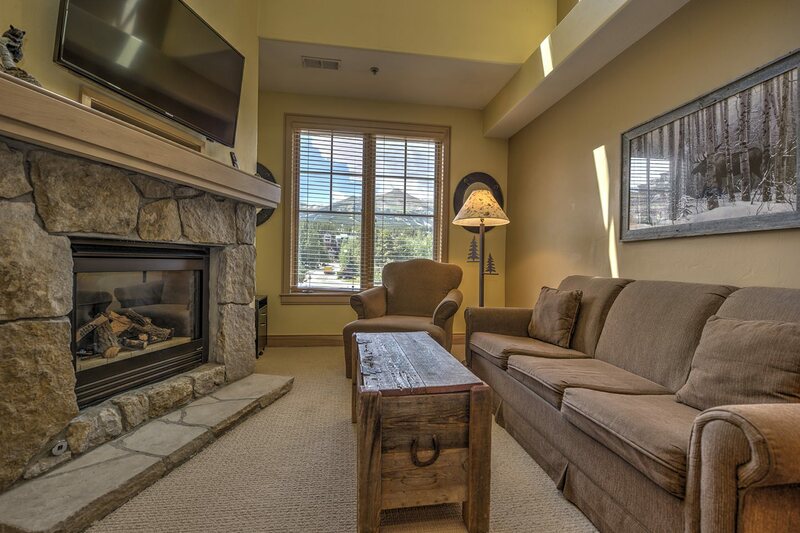 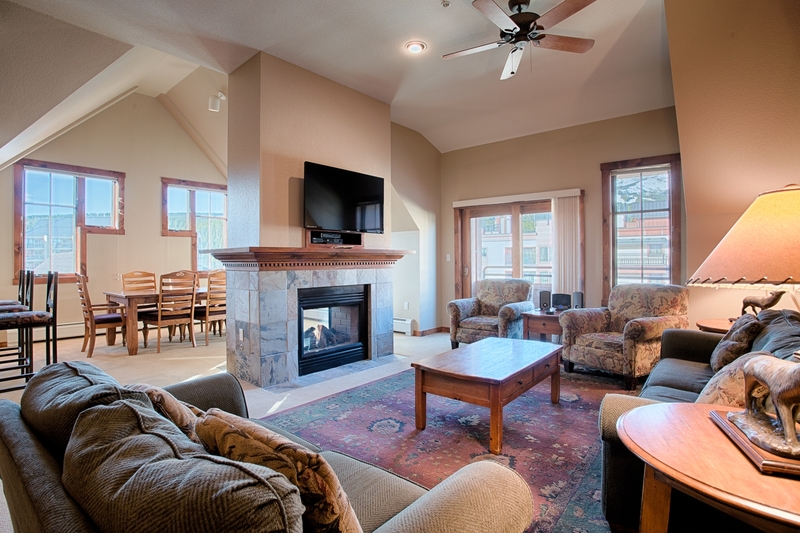 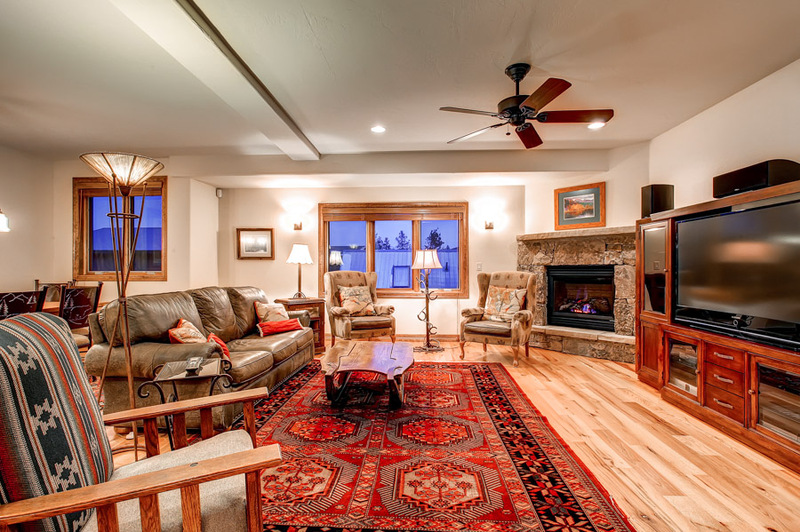 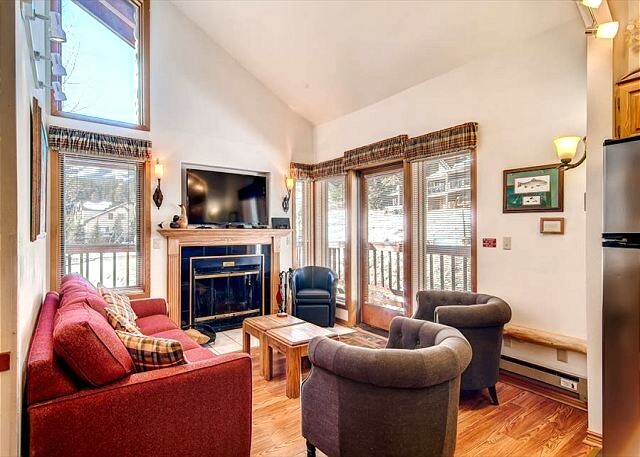 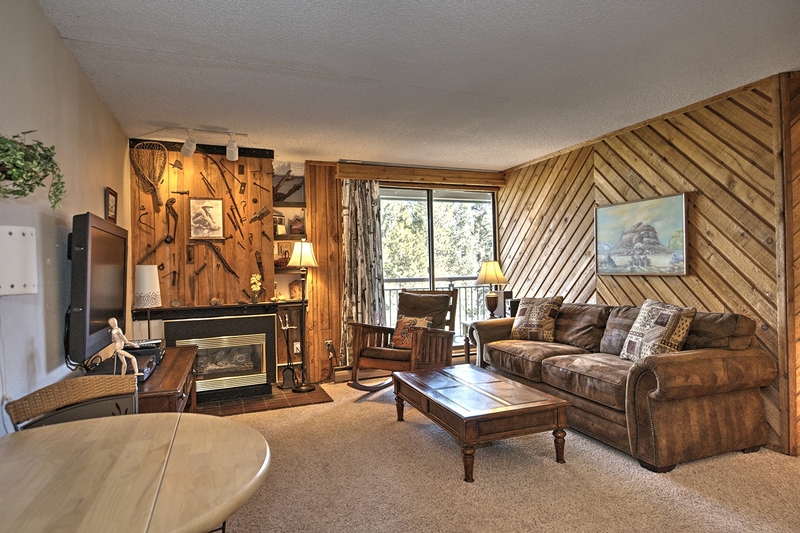 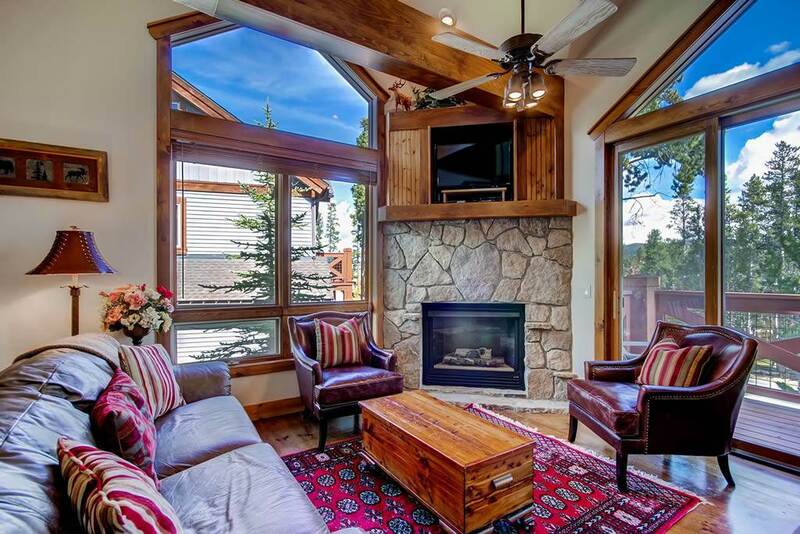 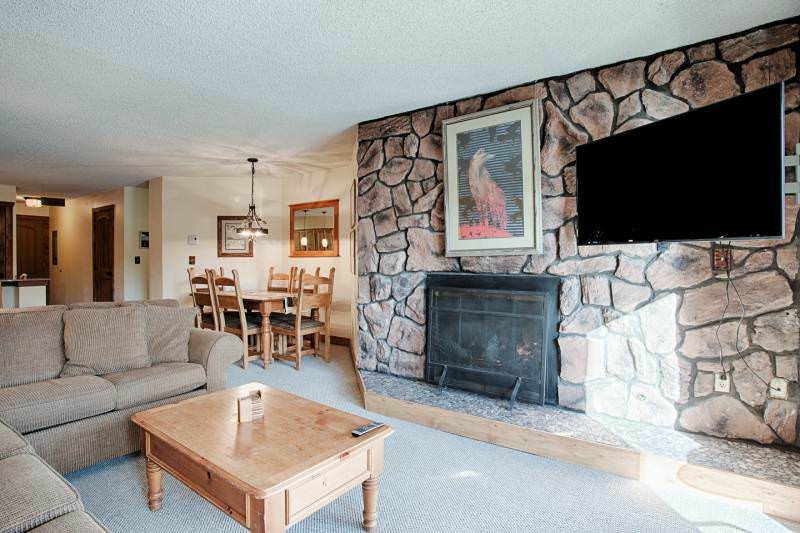 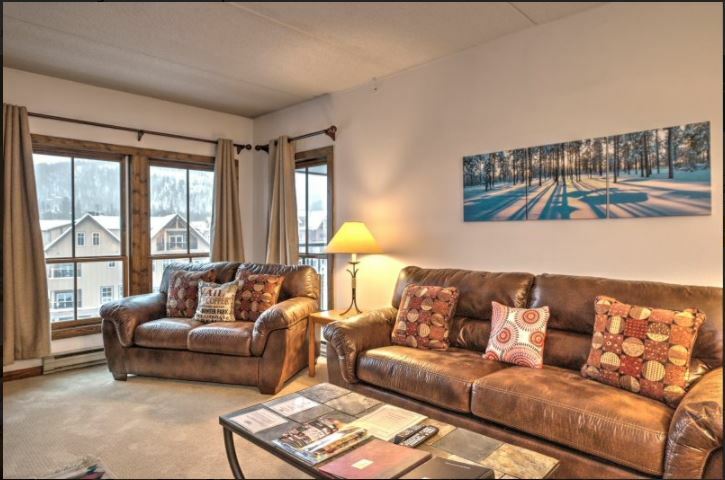 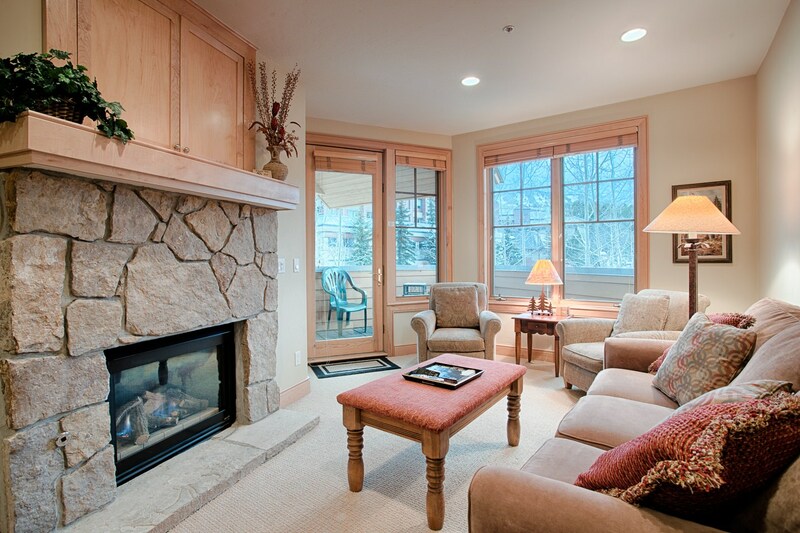 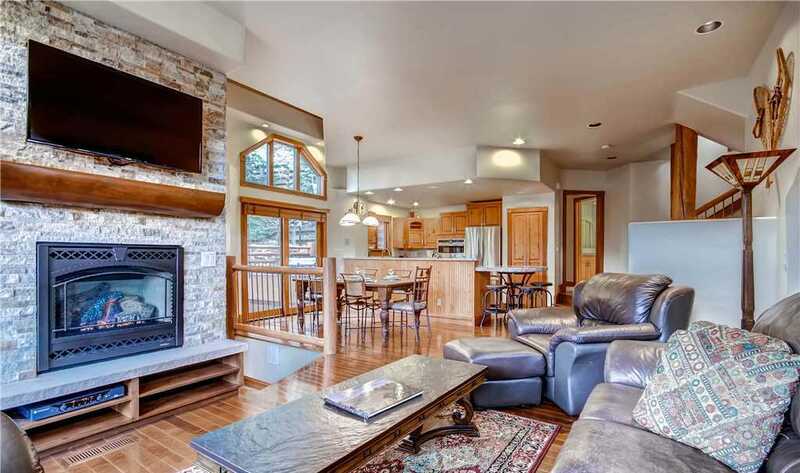 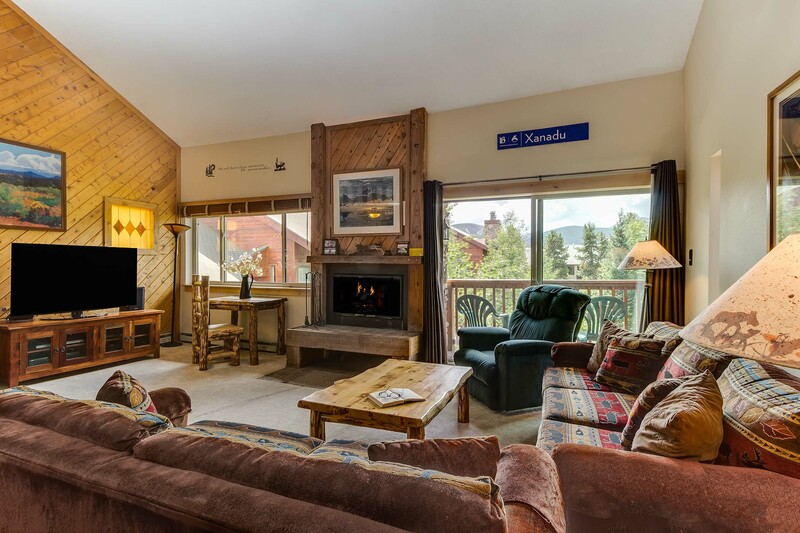 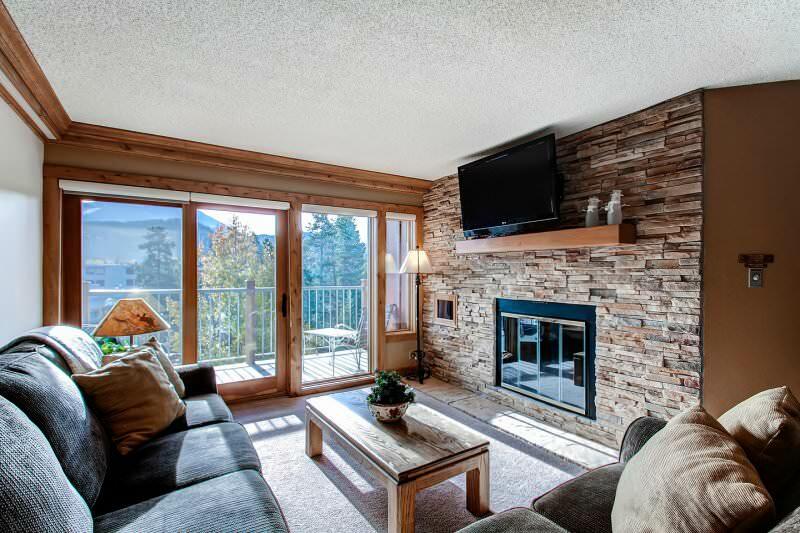 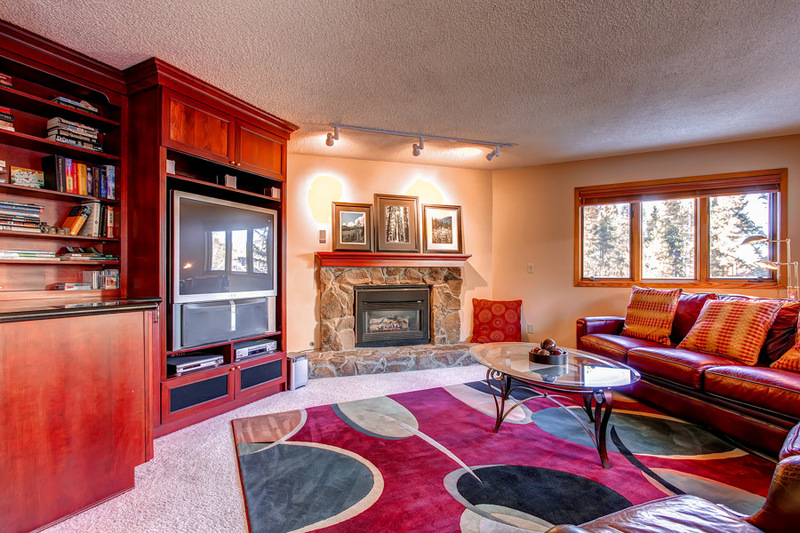 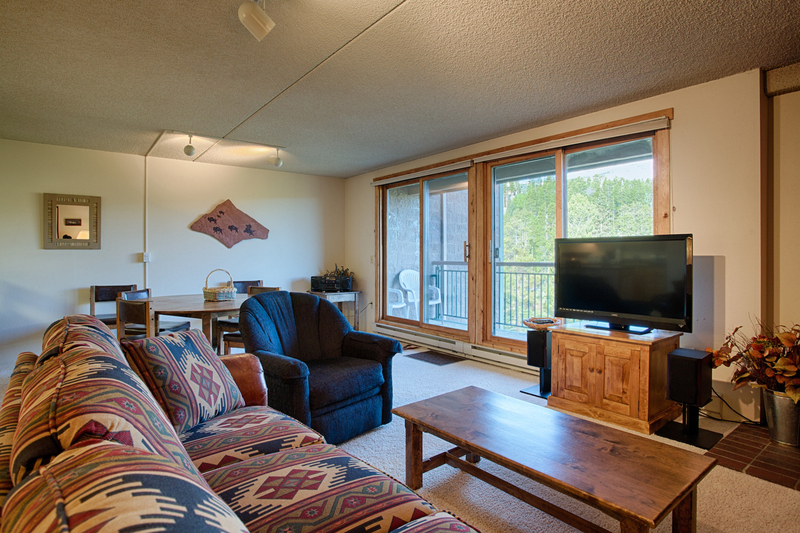 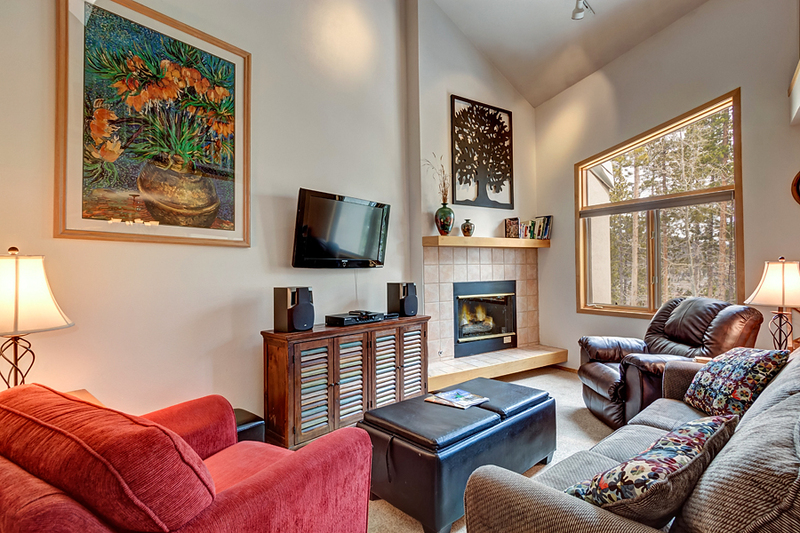 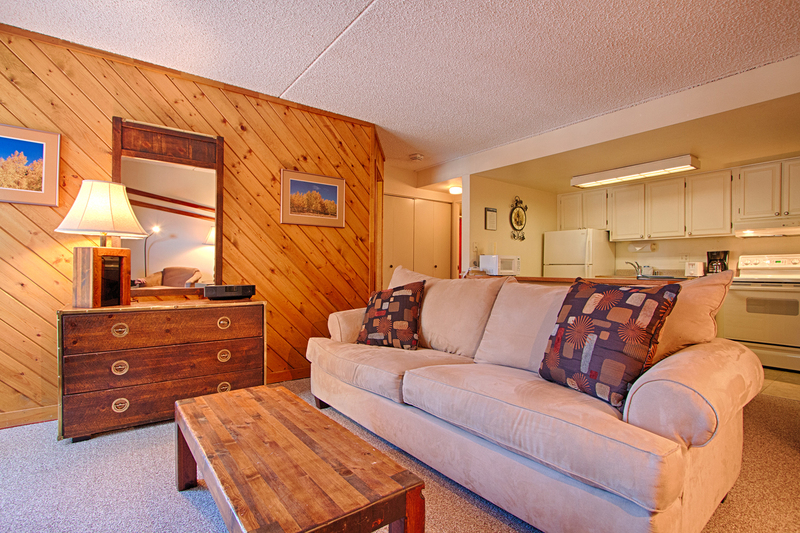 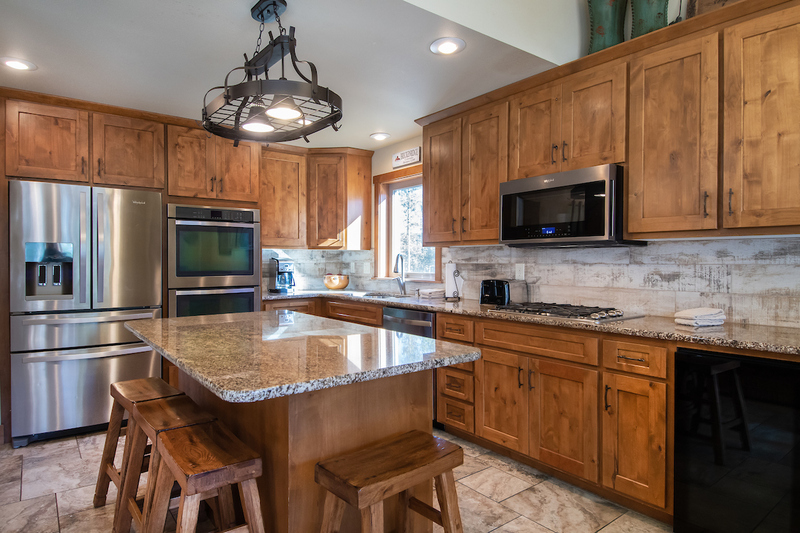 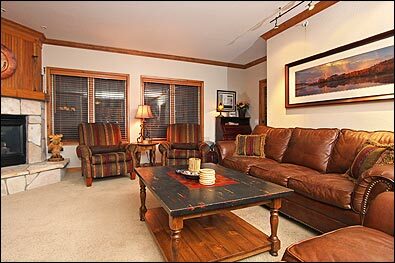 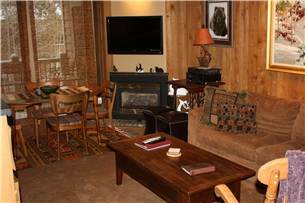 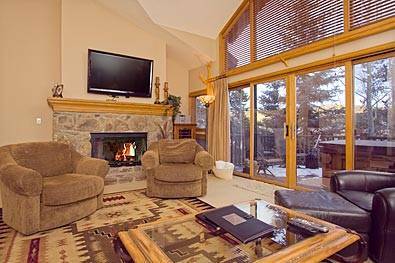 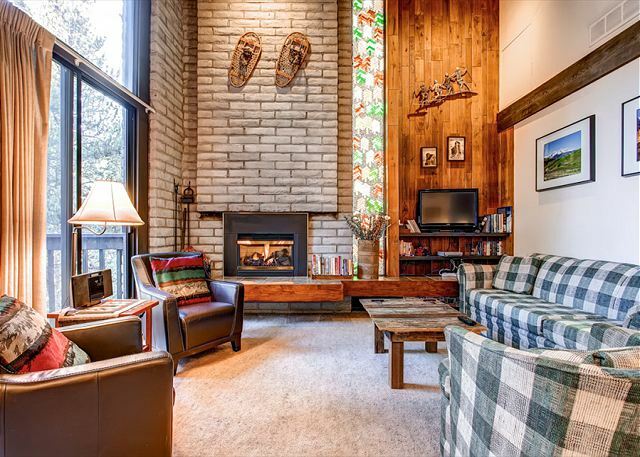 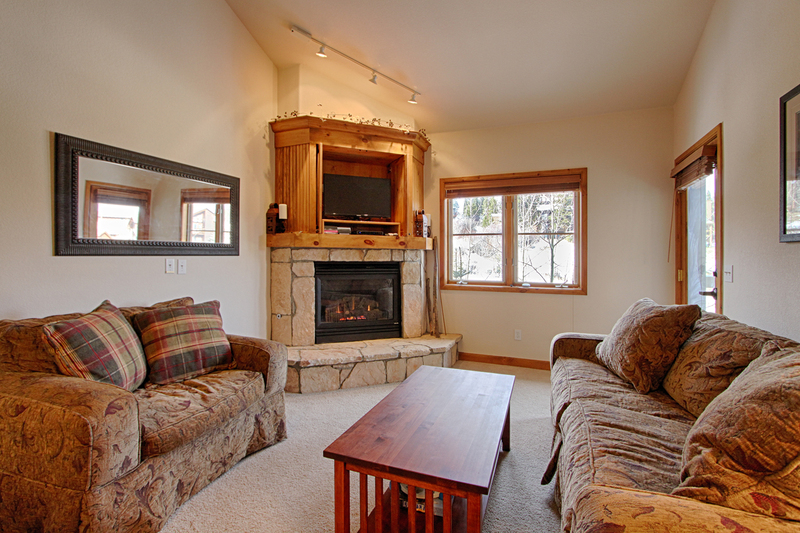 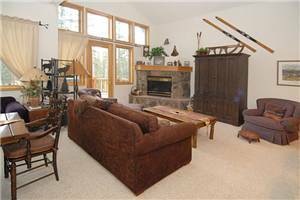 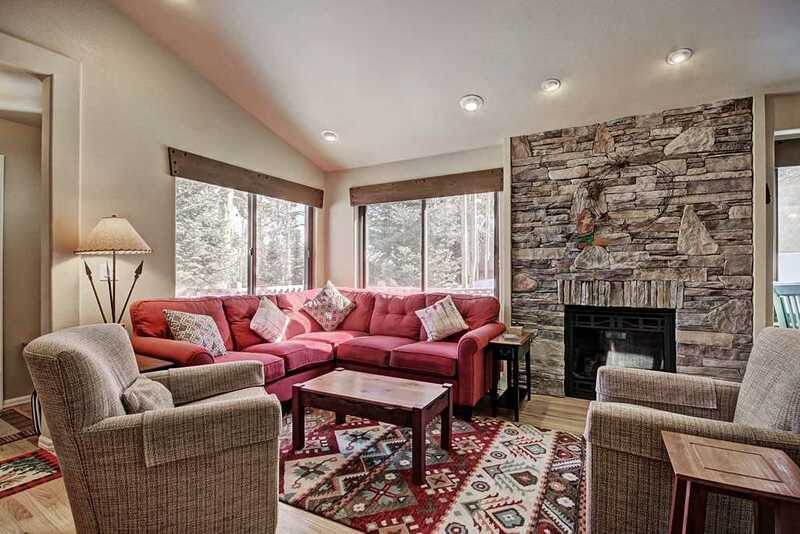 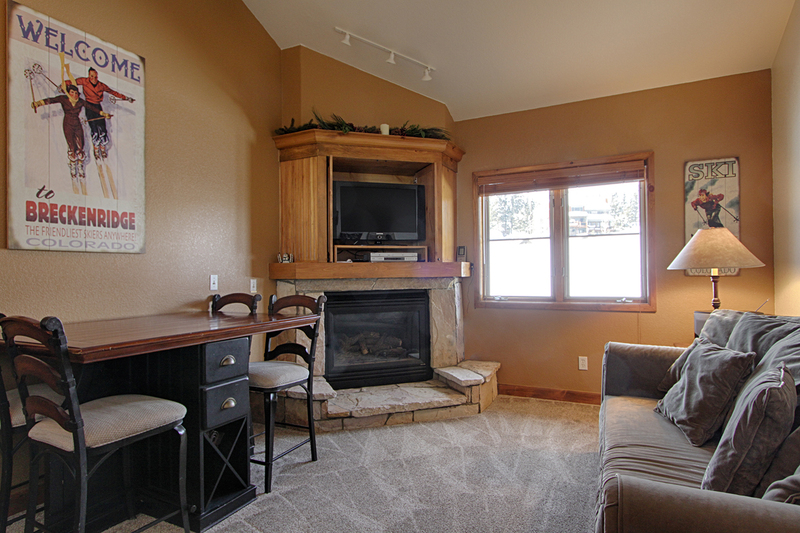 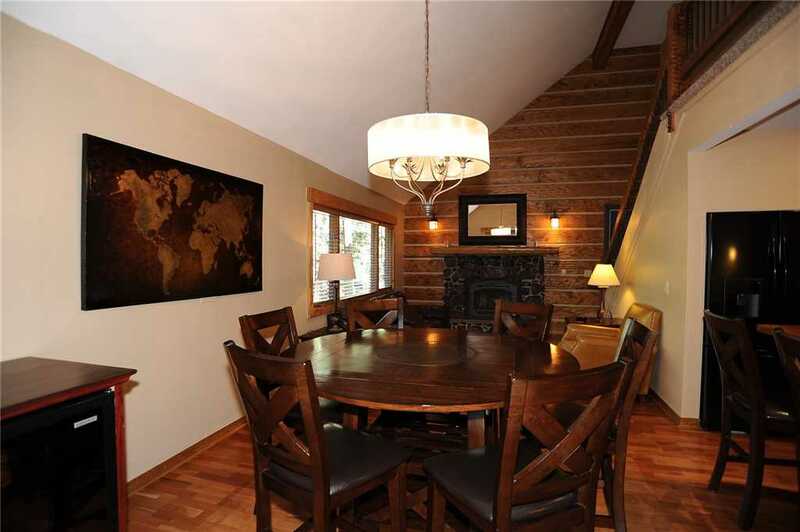 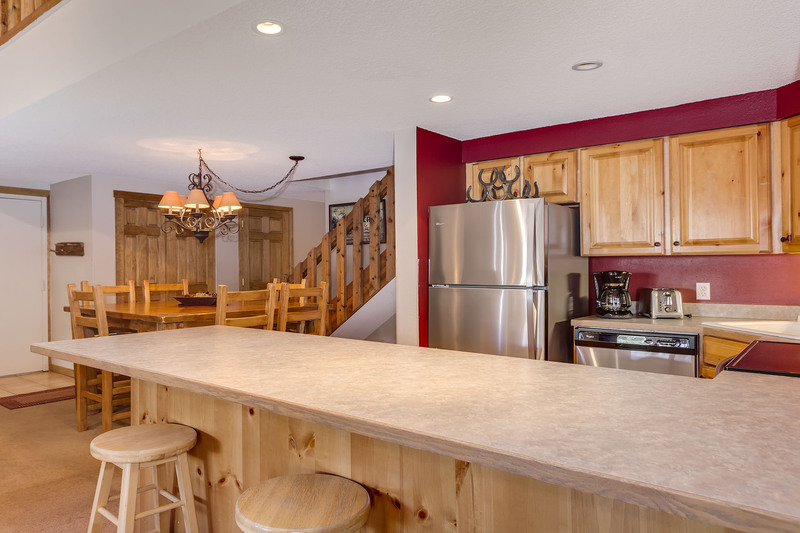 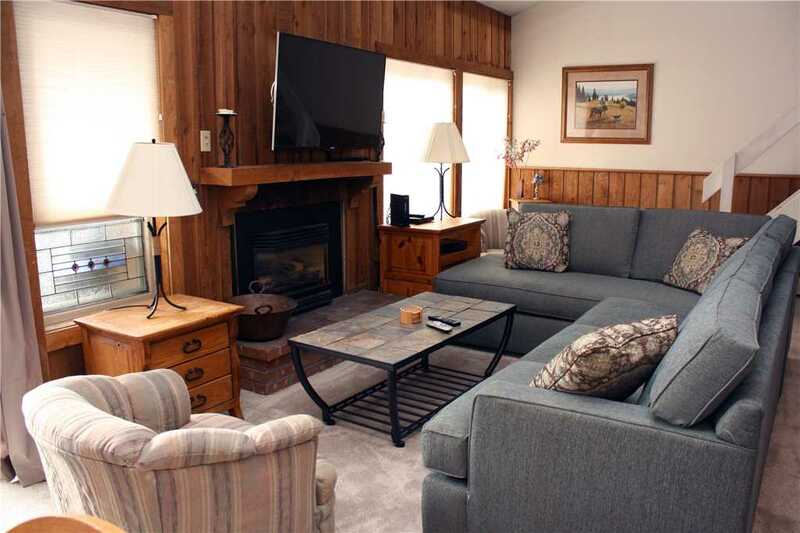 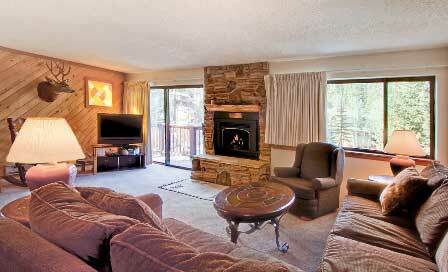 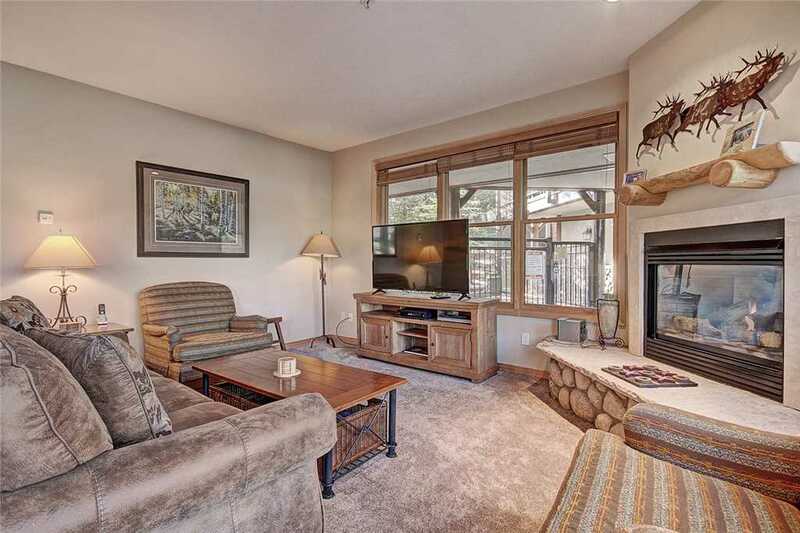 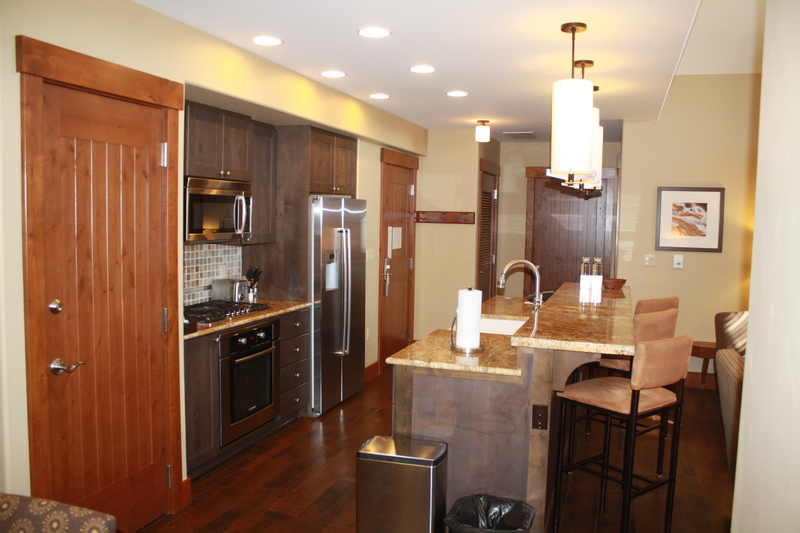 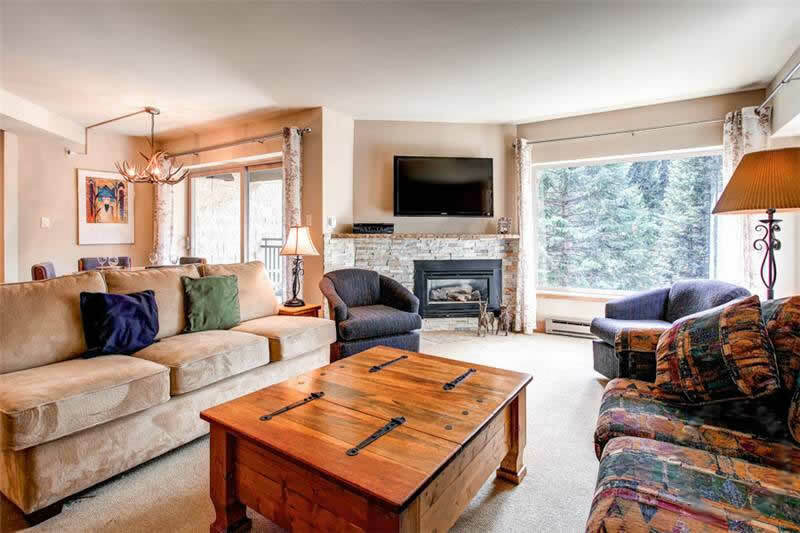 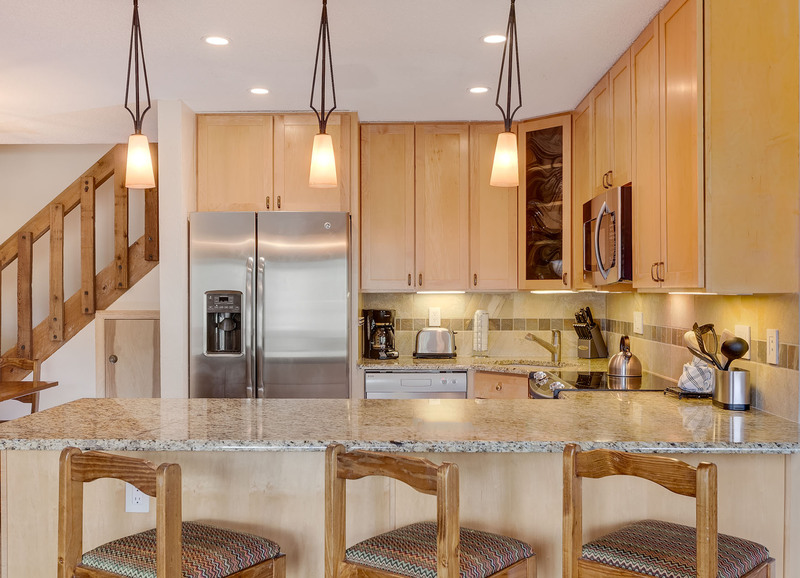 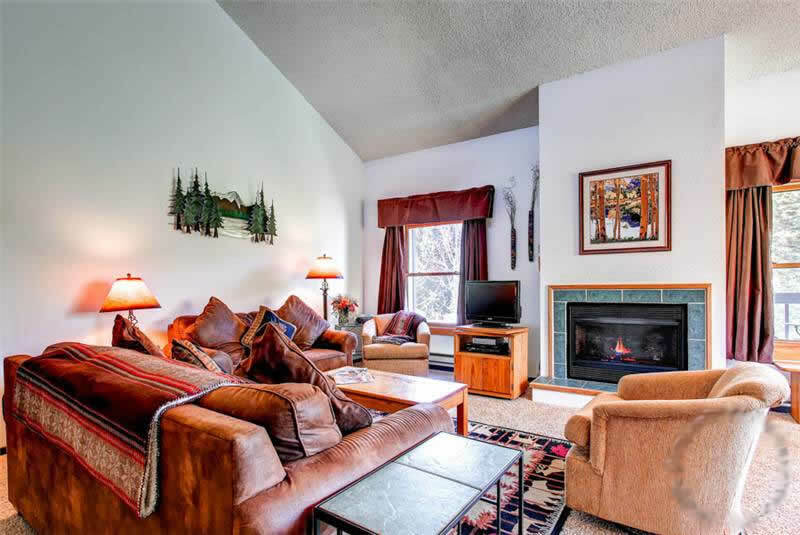 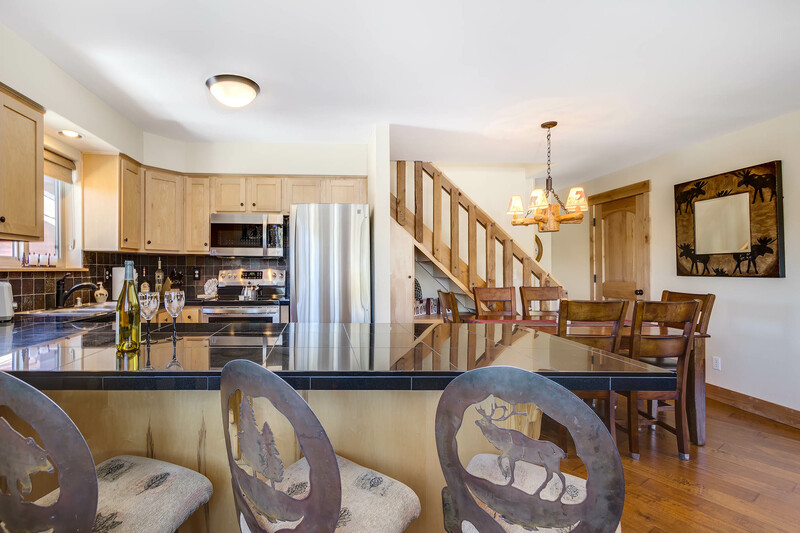 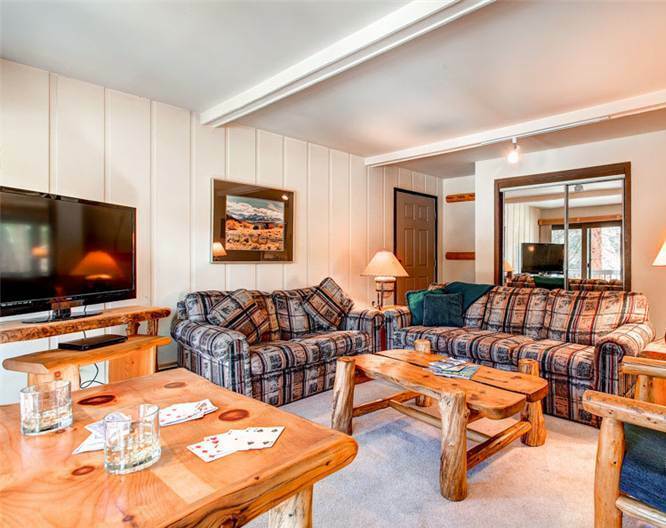 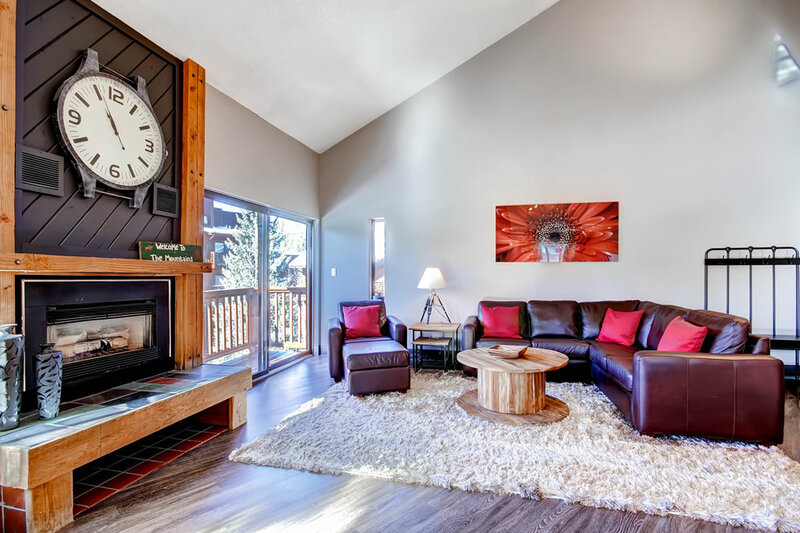 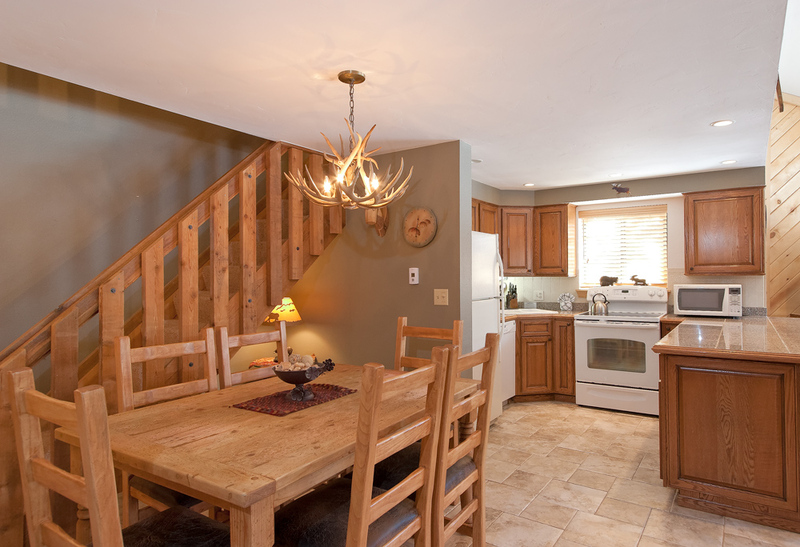 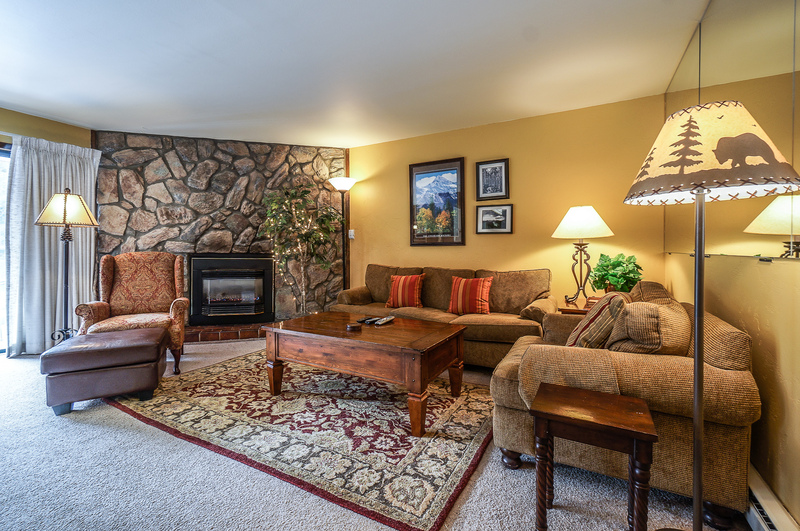 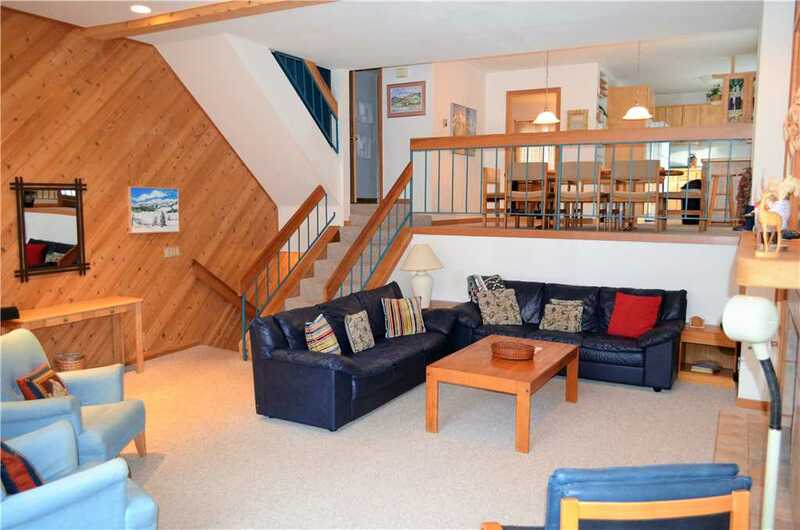 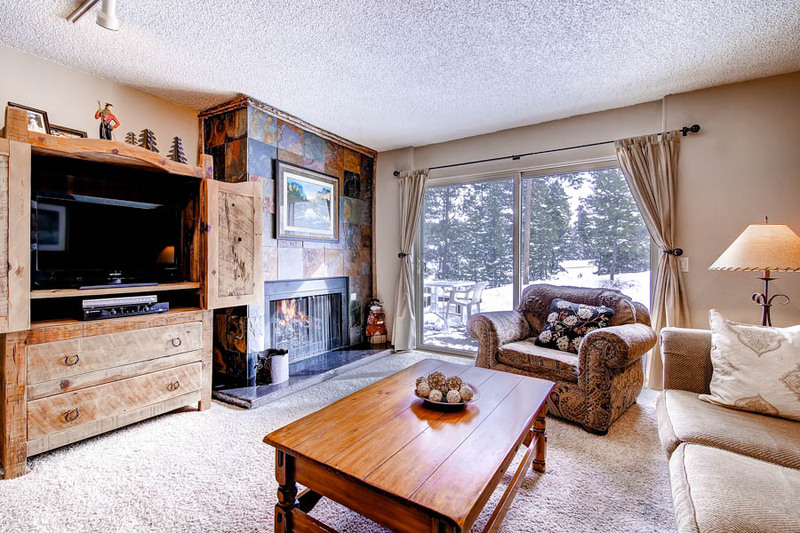 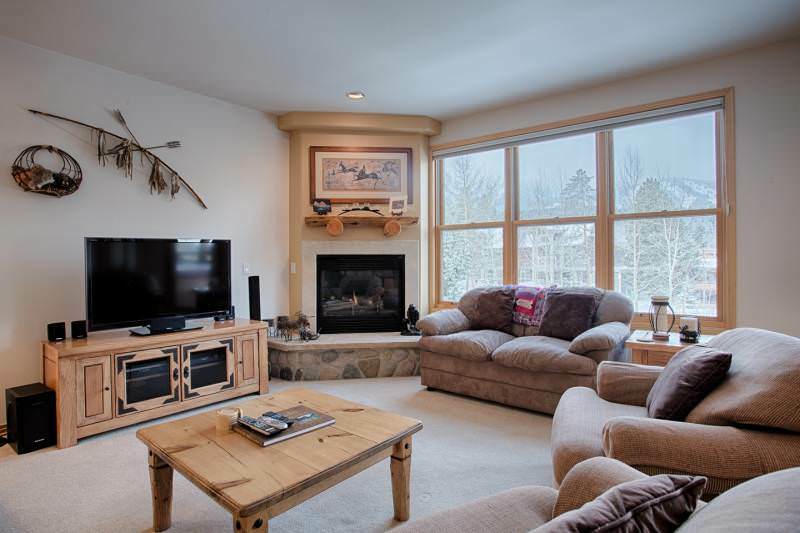 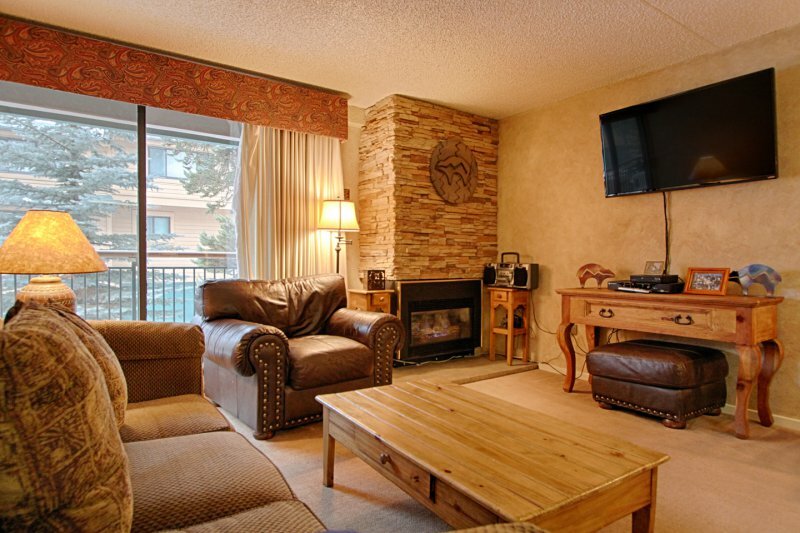 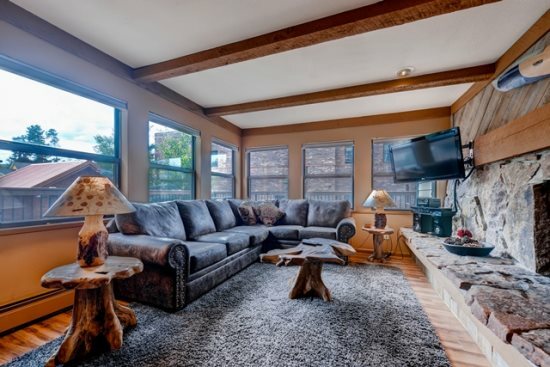 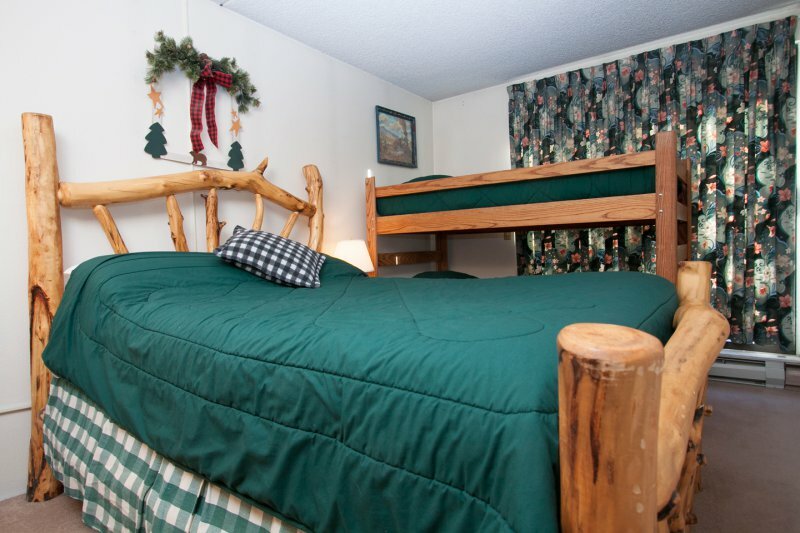 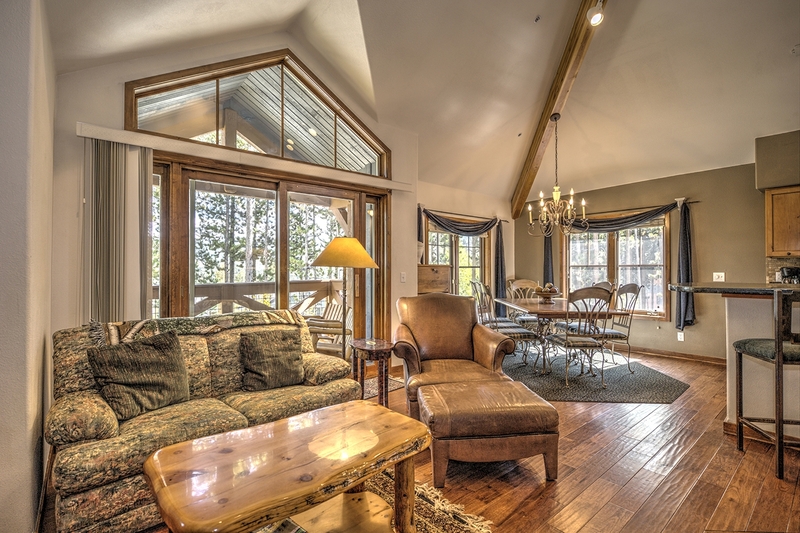 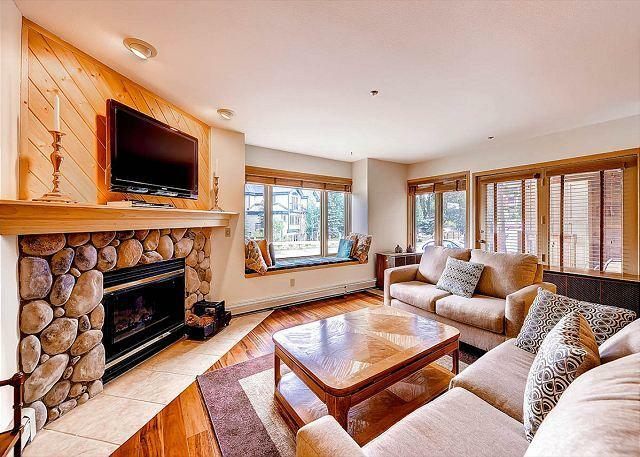 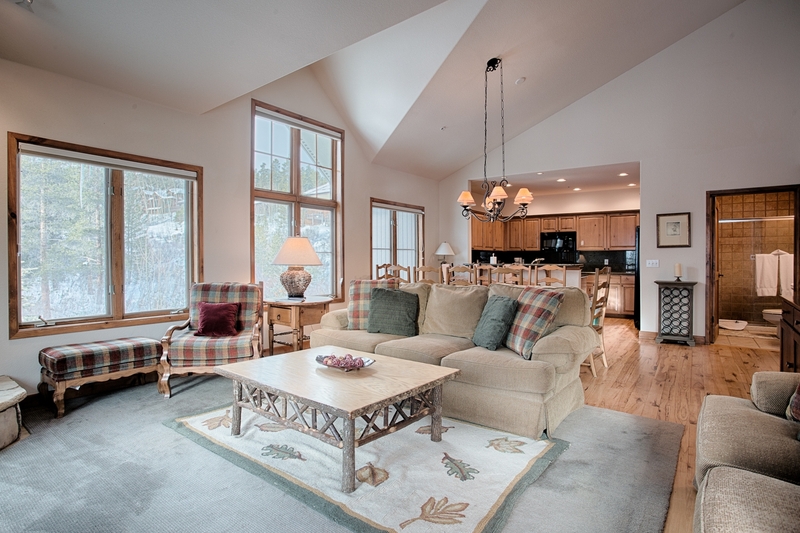 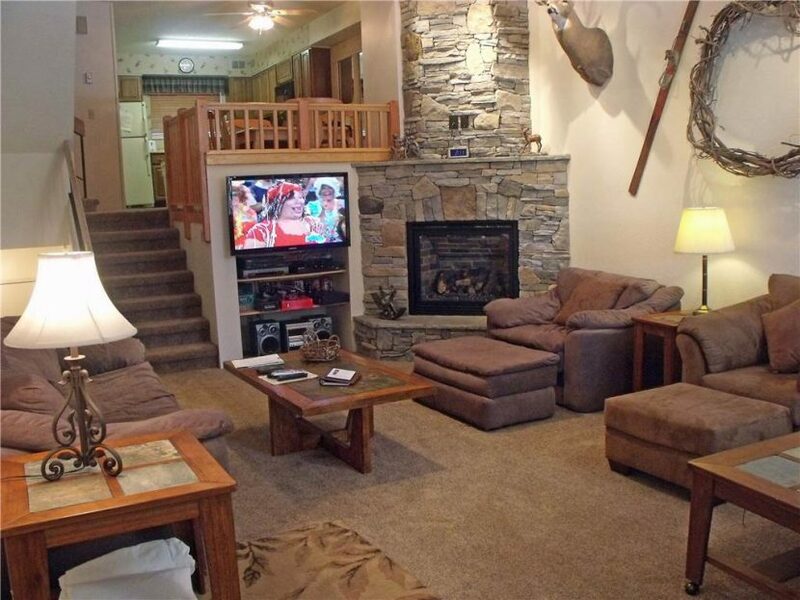 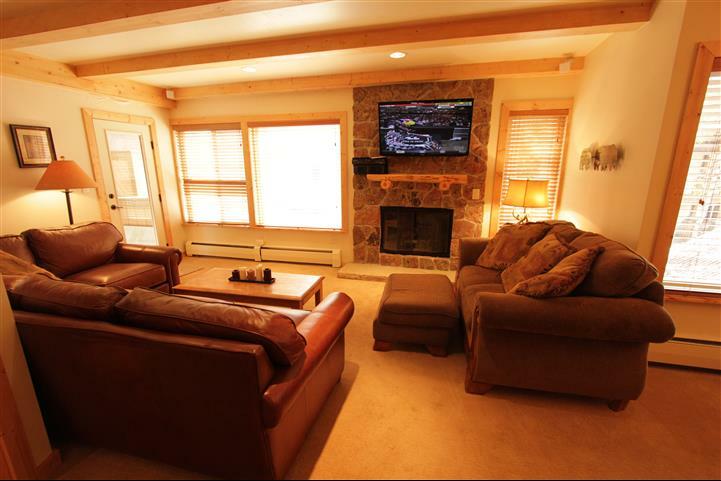 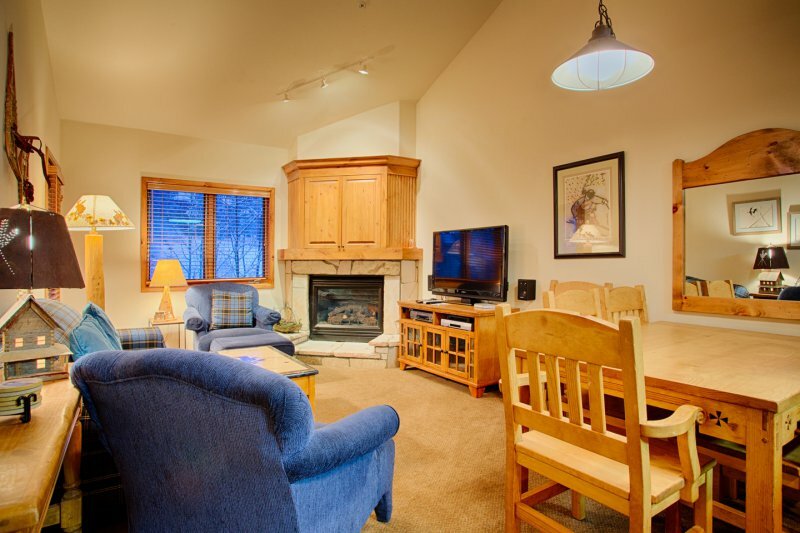 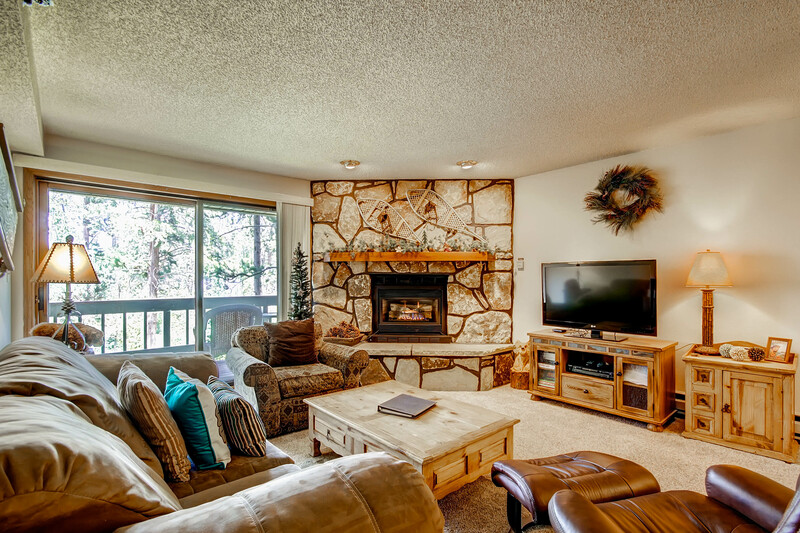 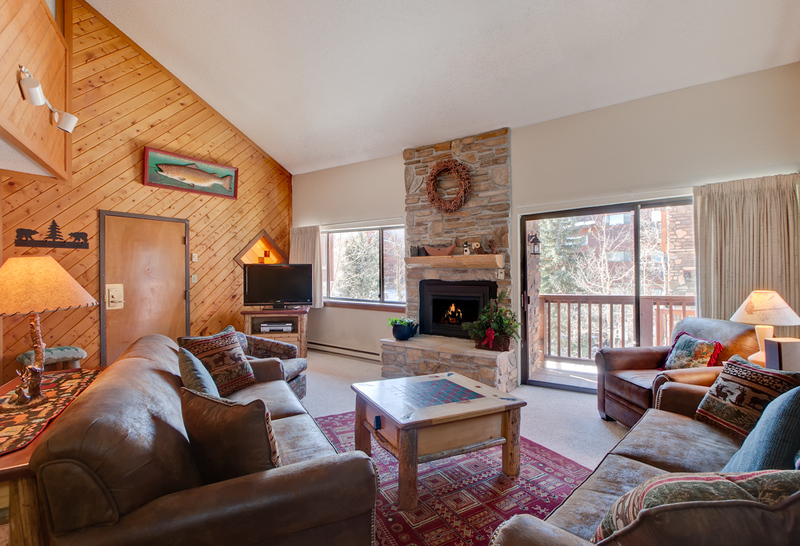 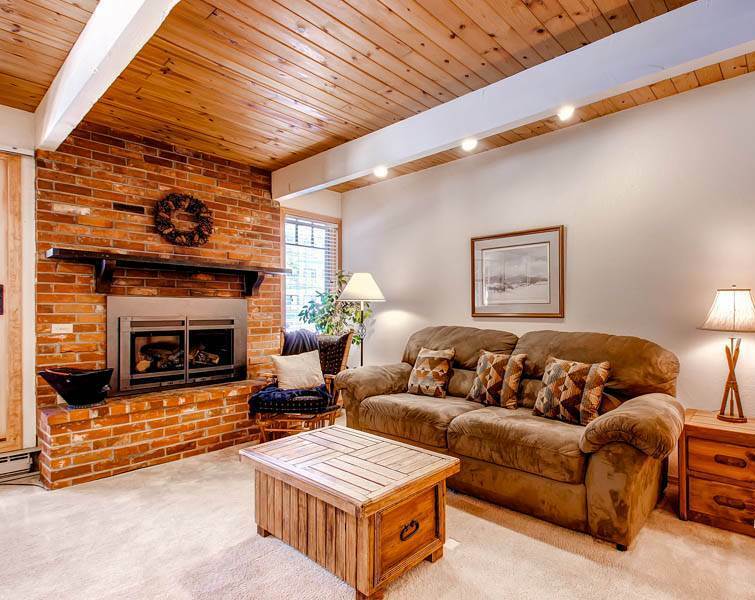 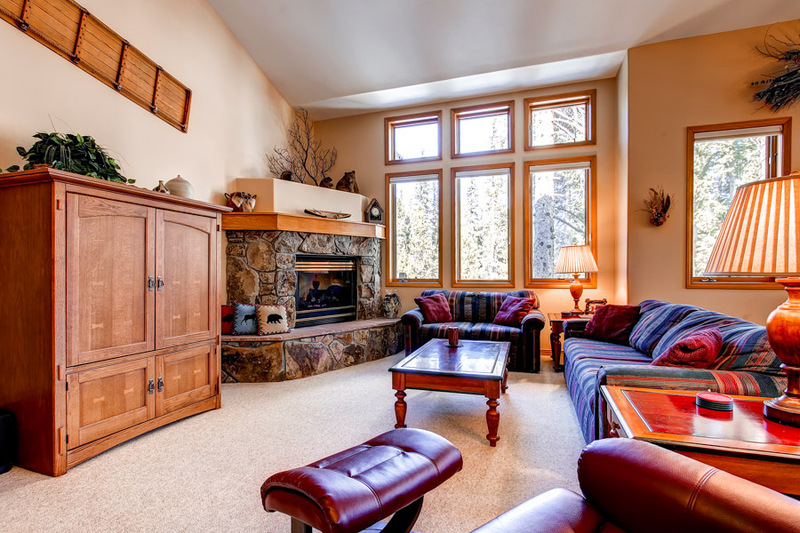 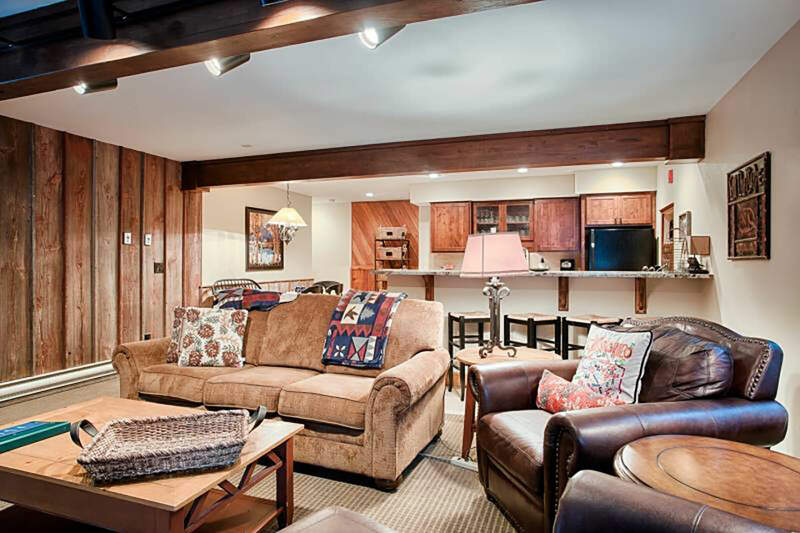 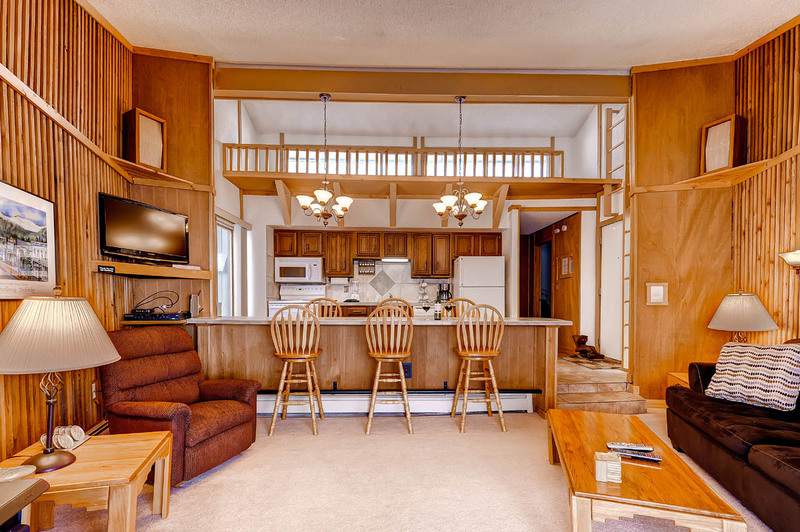 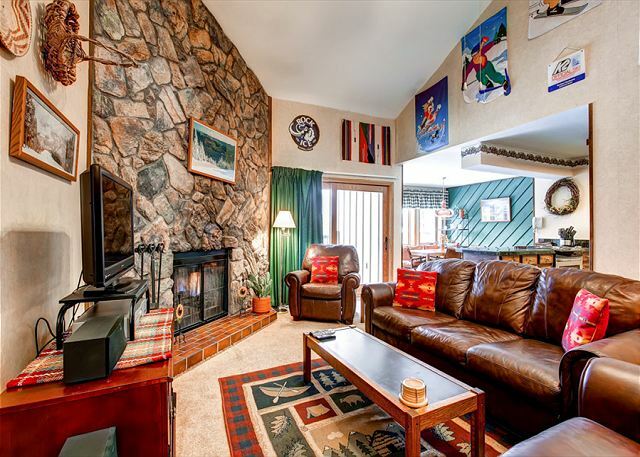 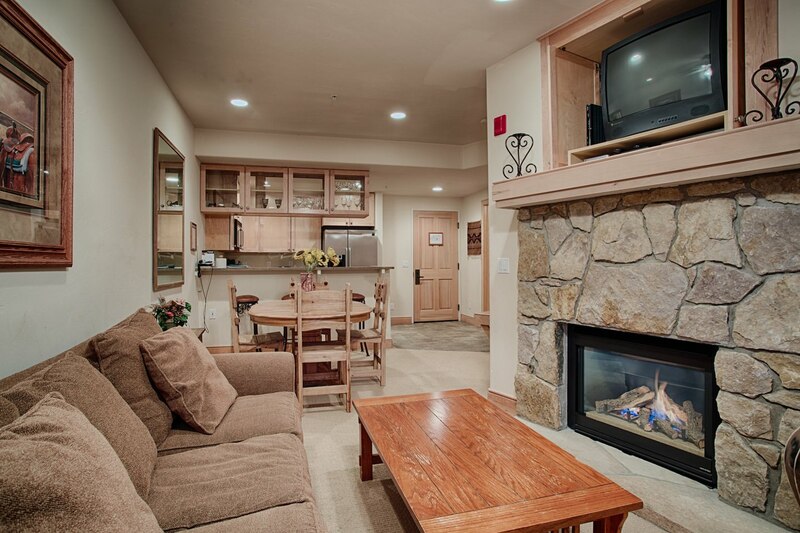 Powder Moose Villa is a 5 bedroom +Den/5 bath, 2750 sq. 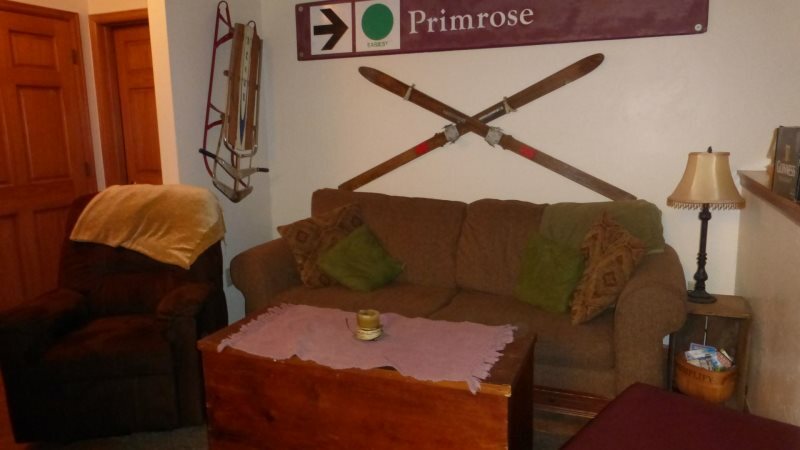 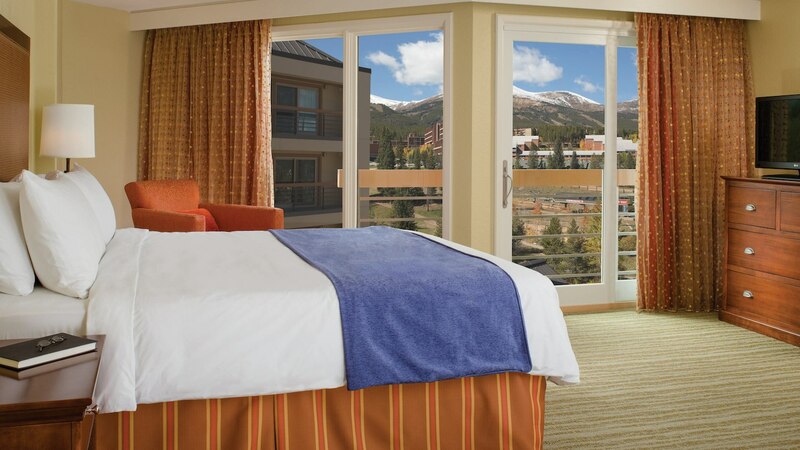 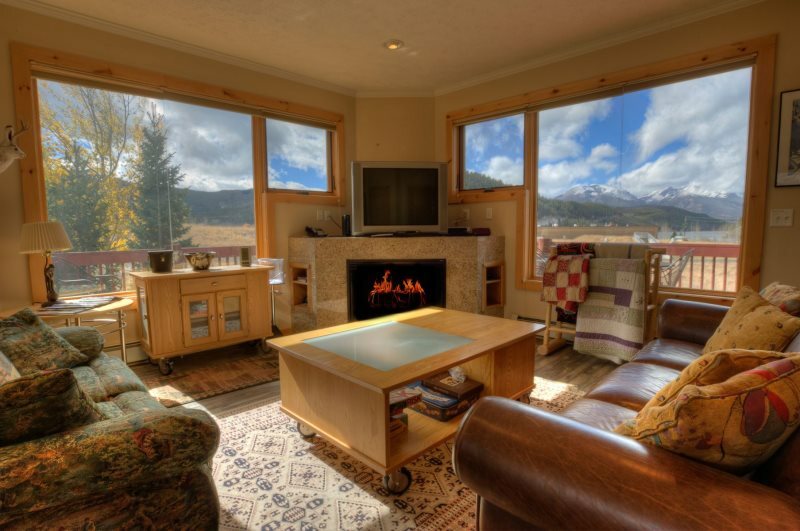 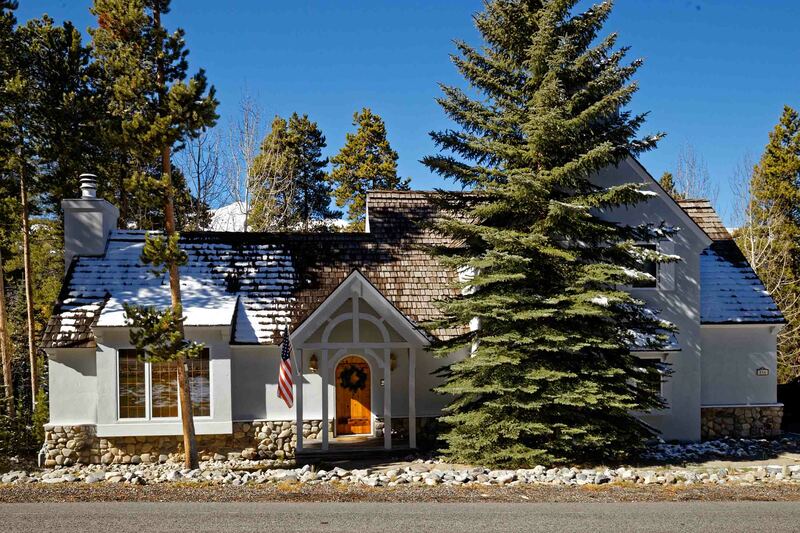 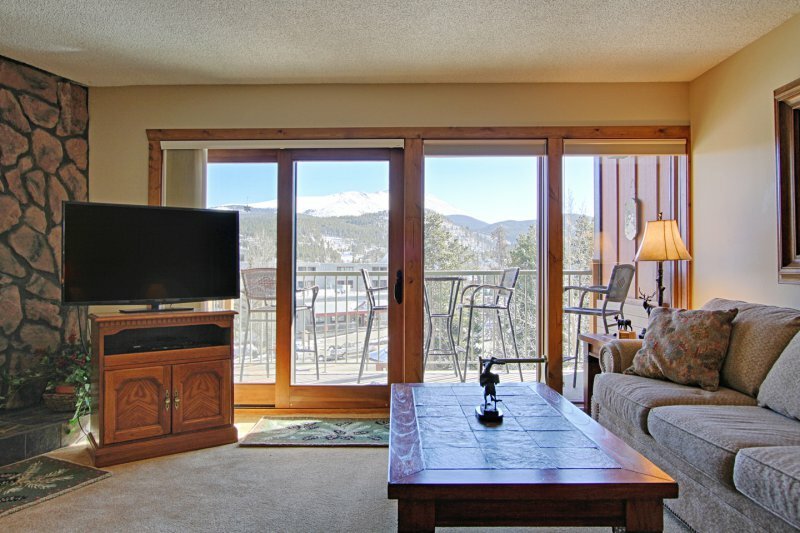 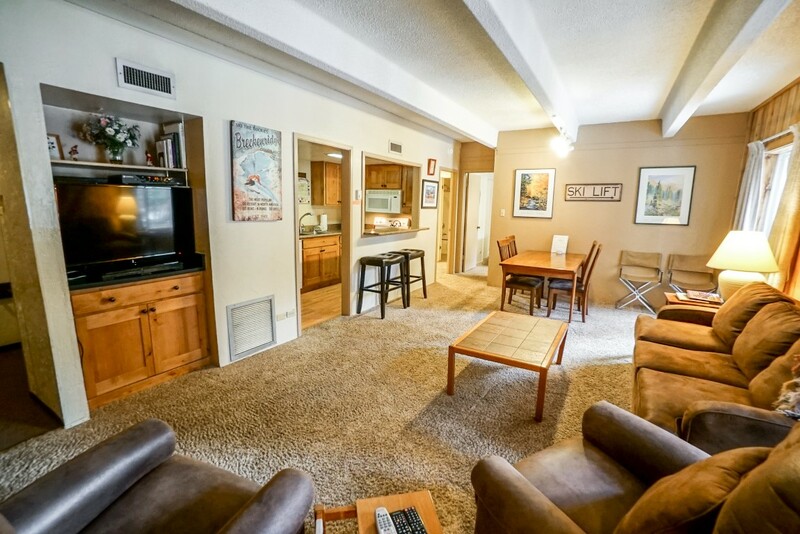 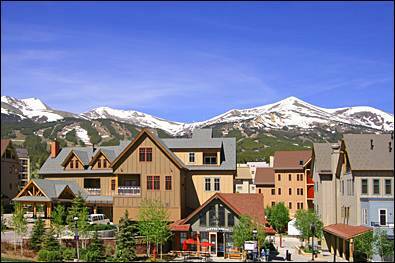 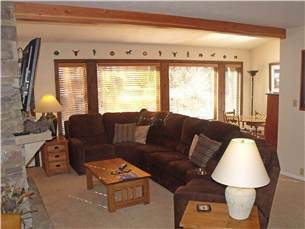 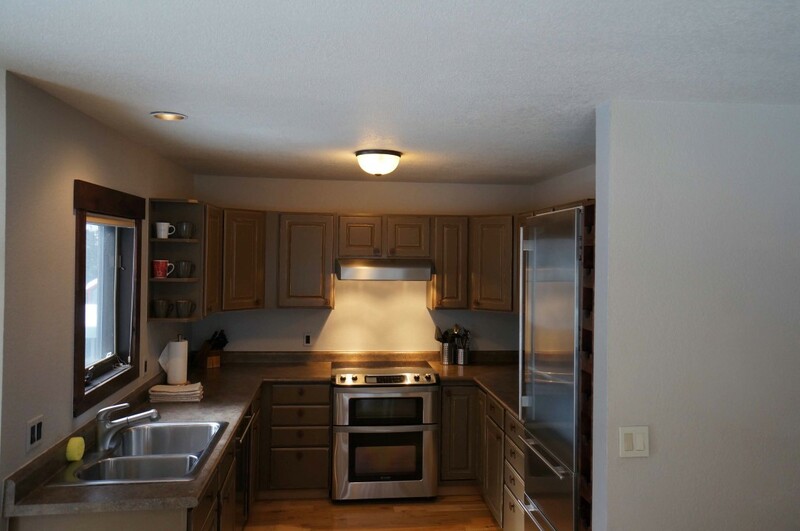 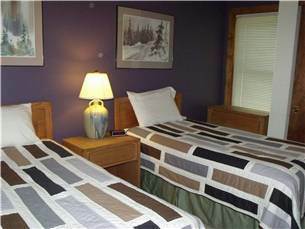 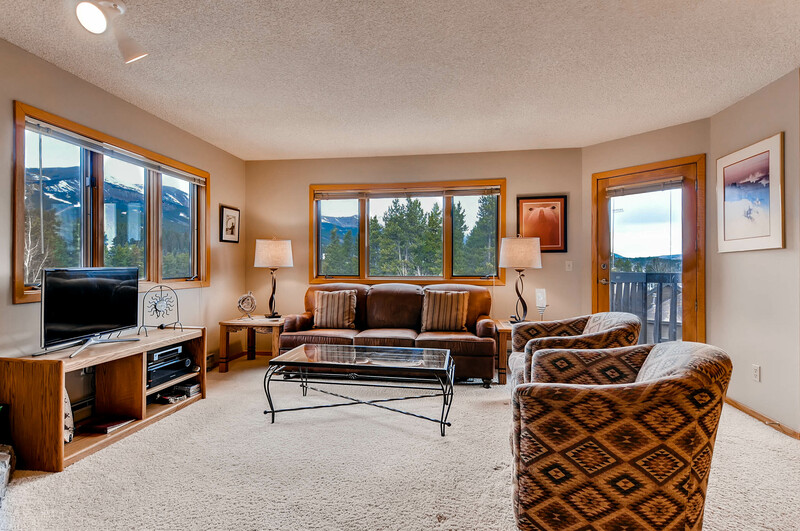 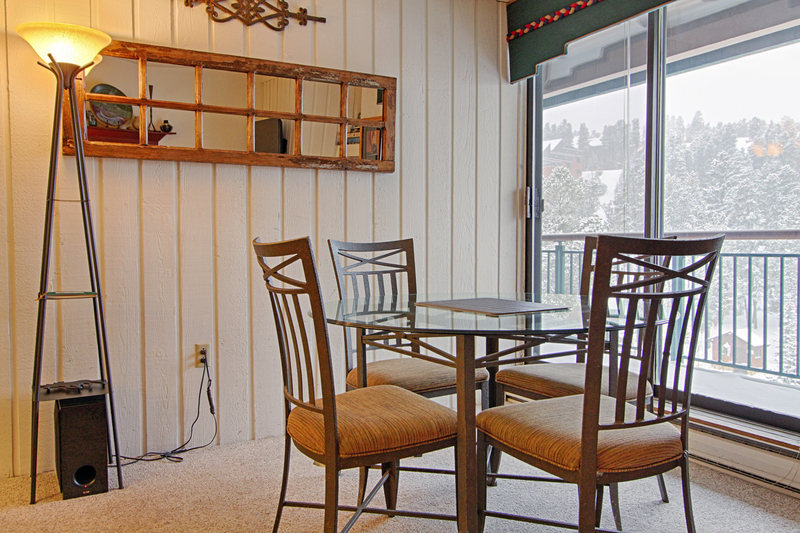 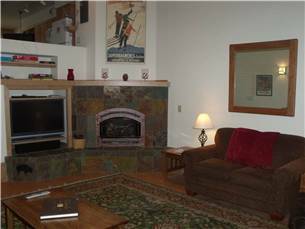 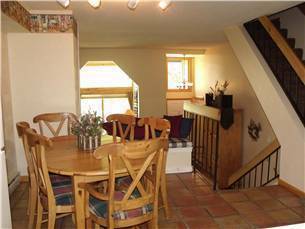 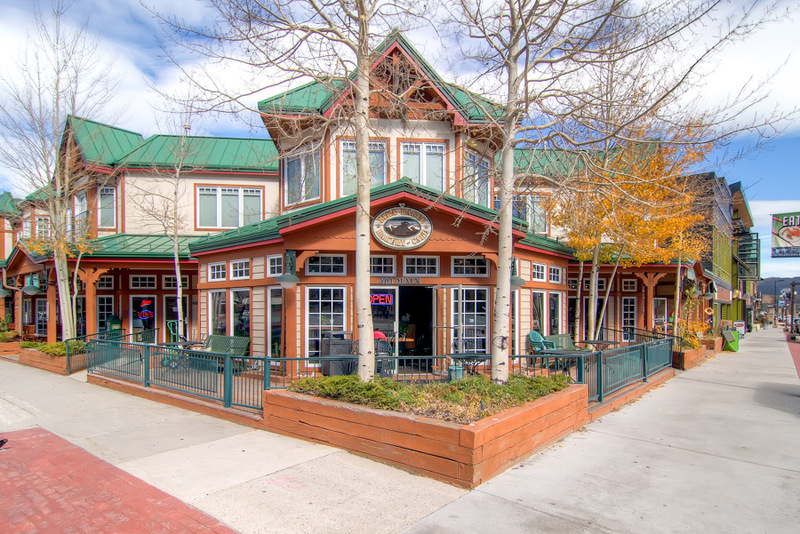 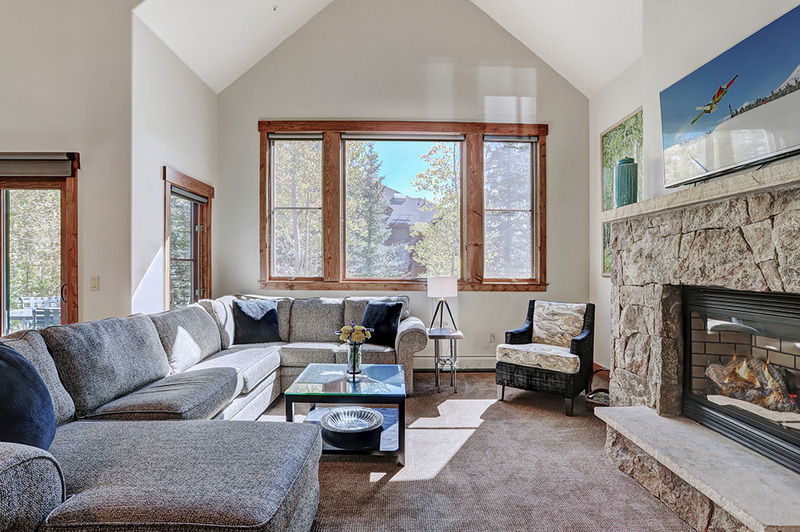 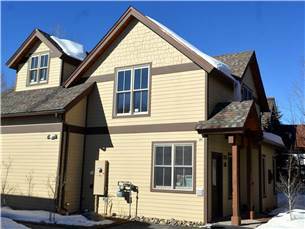 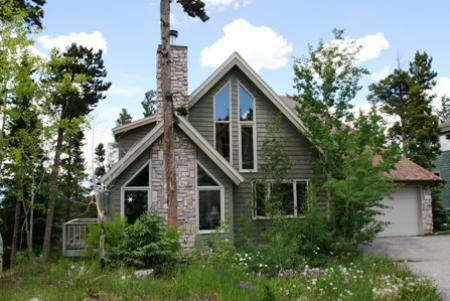 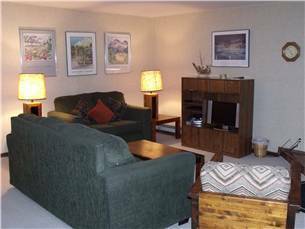 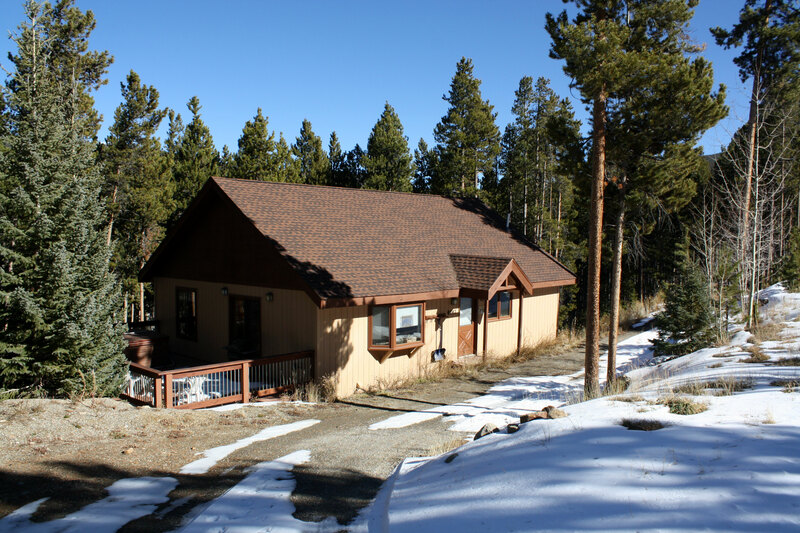 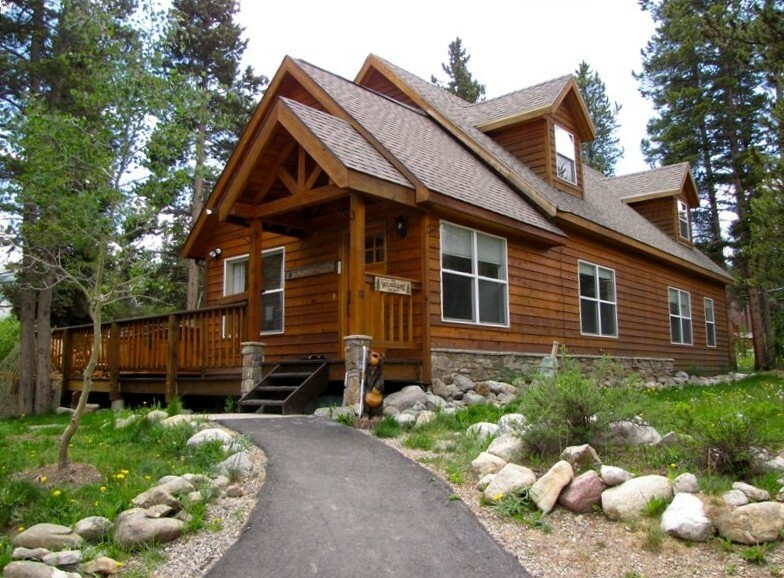 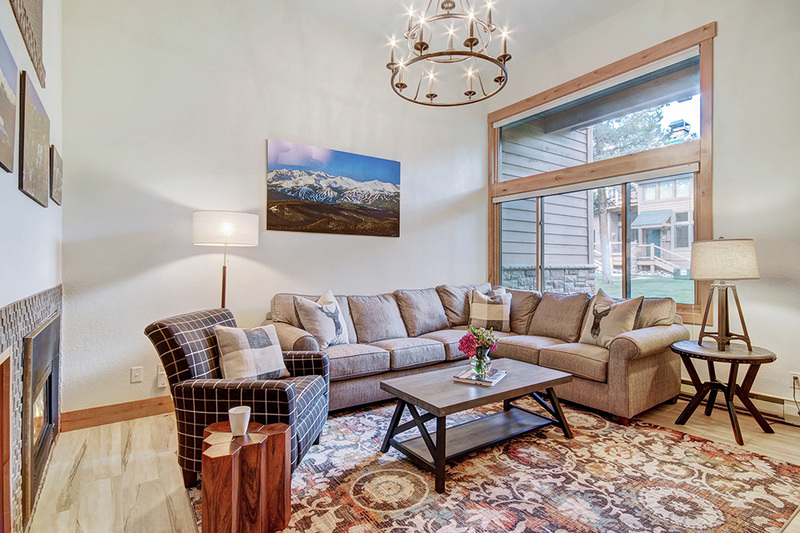 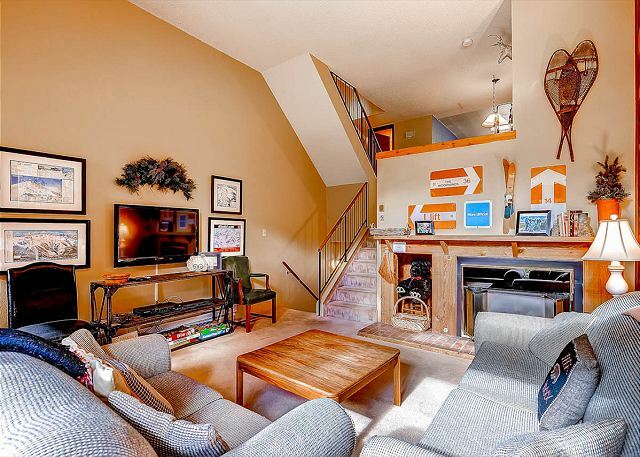 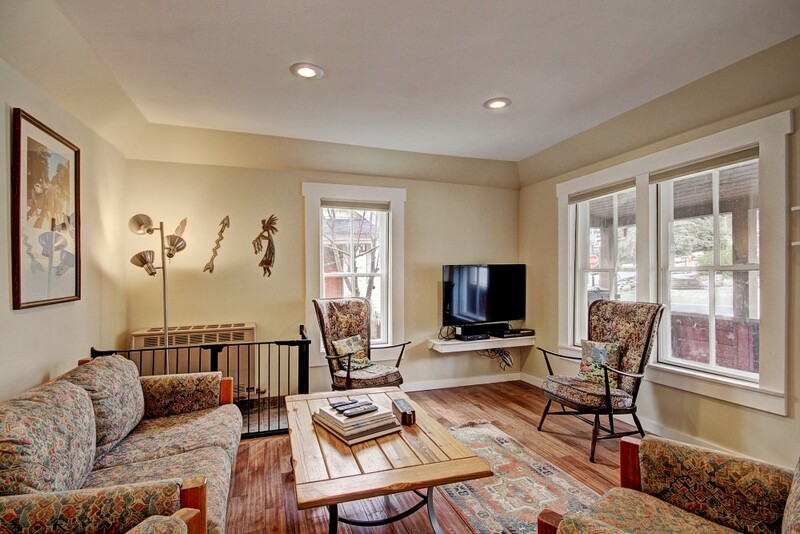 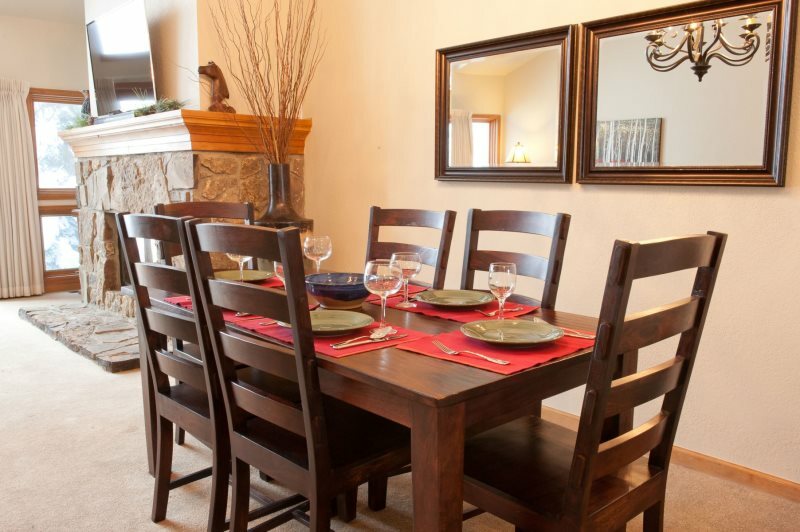 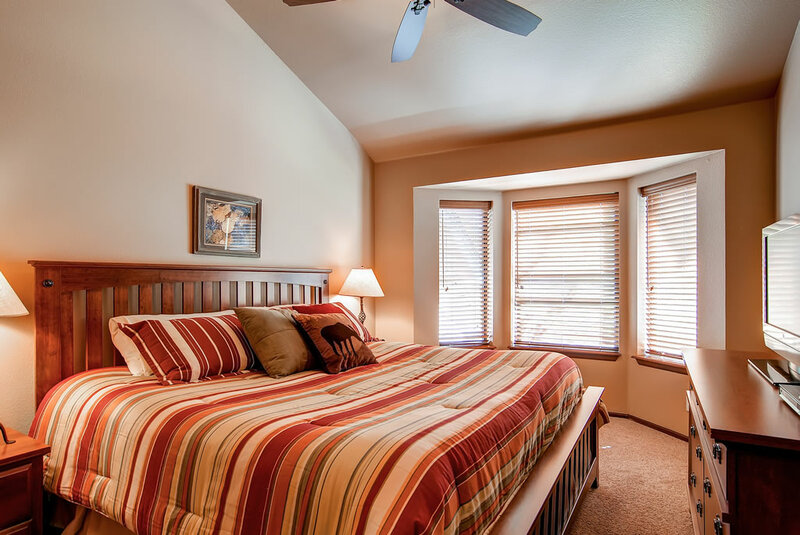 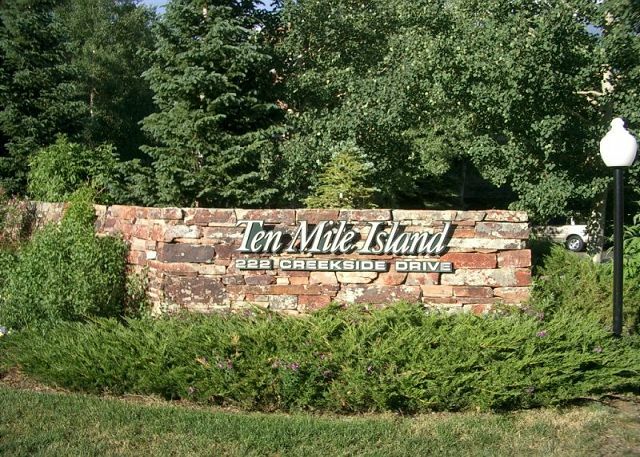 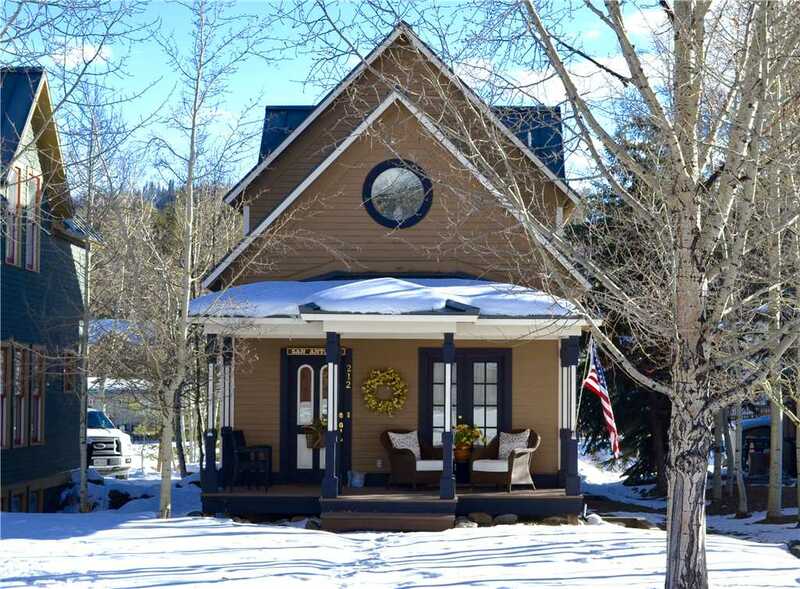 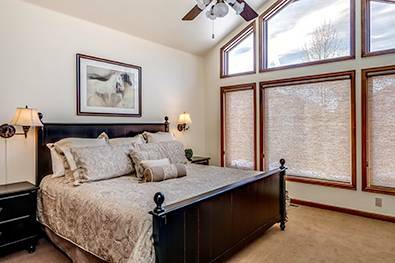 ft. house located 2 miles from downtown Breckenridge (no shuttle). 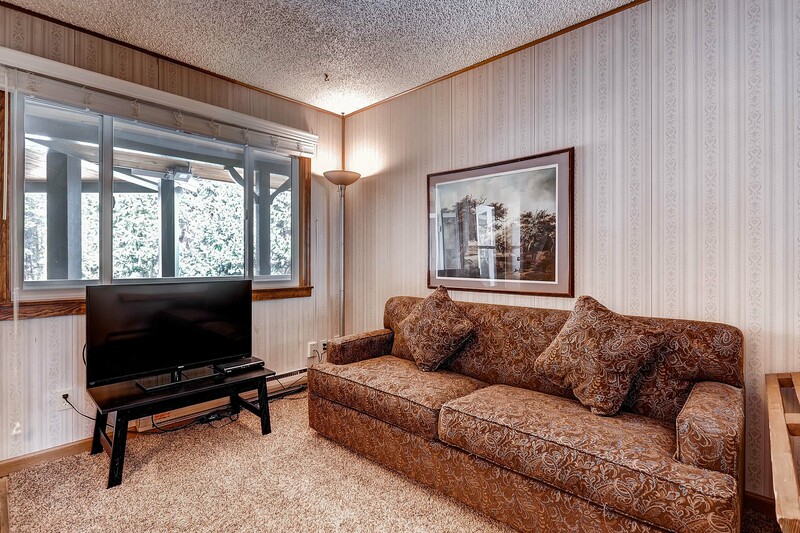 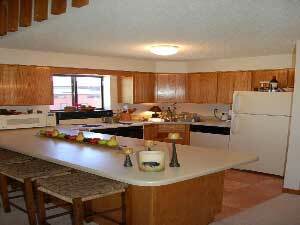 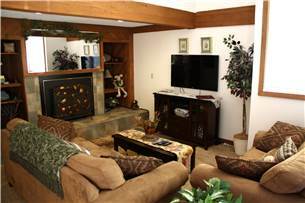 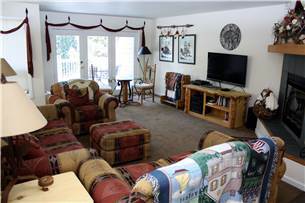 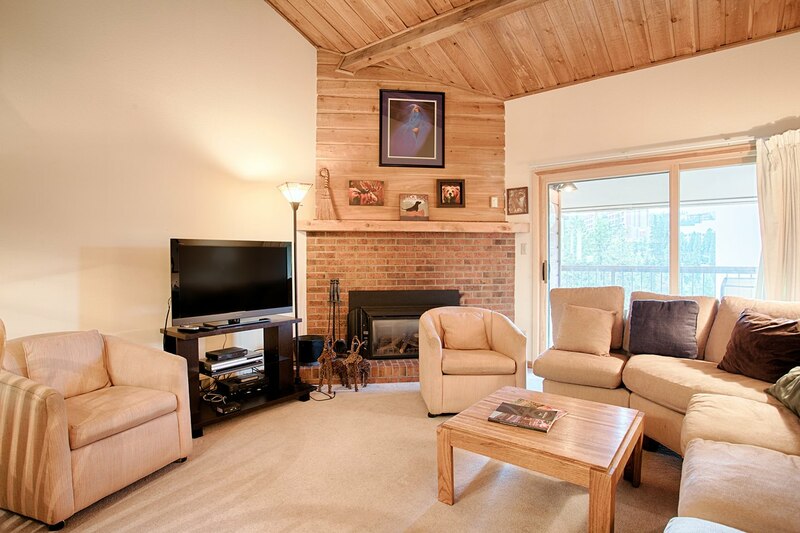 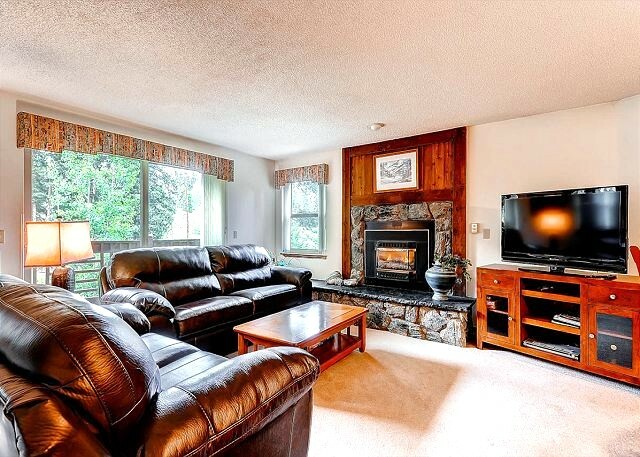 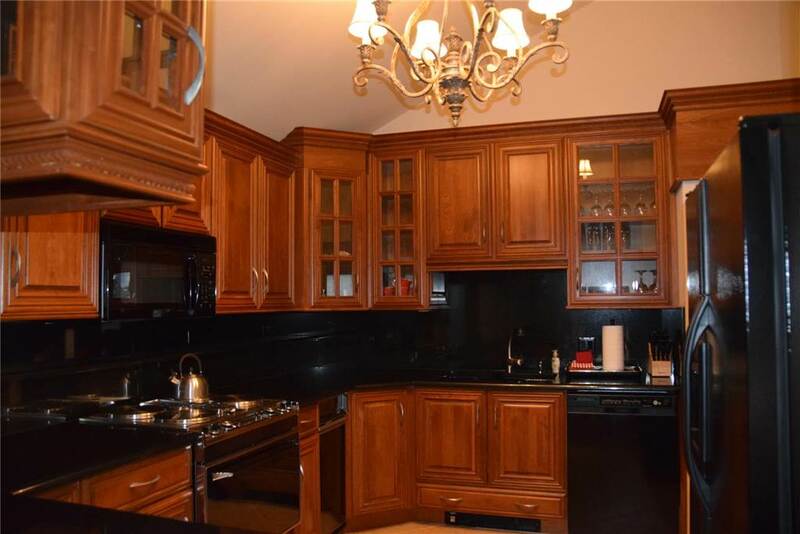 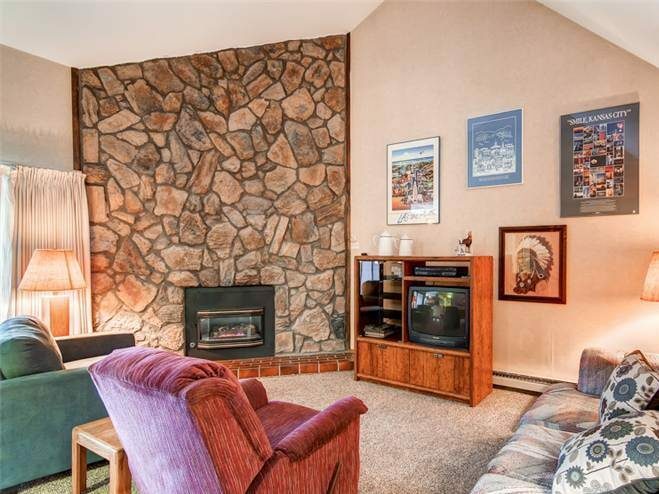 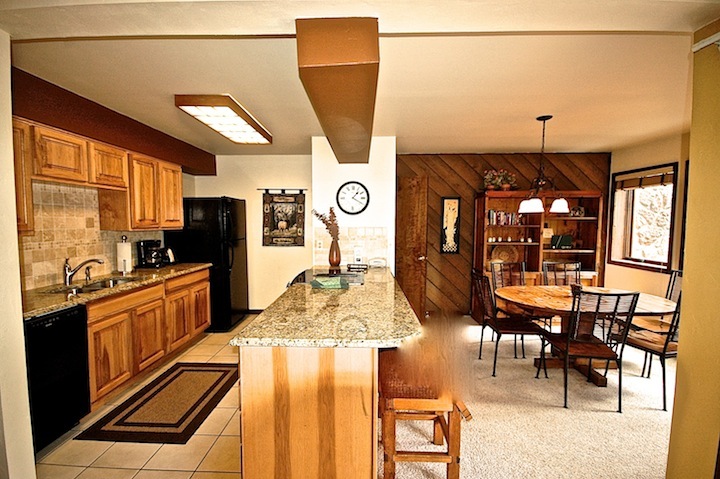 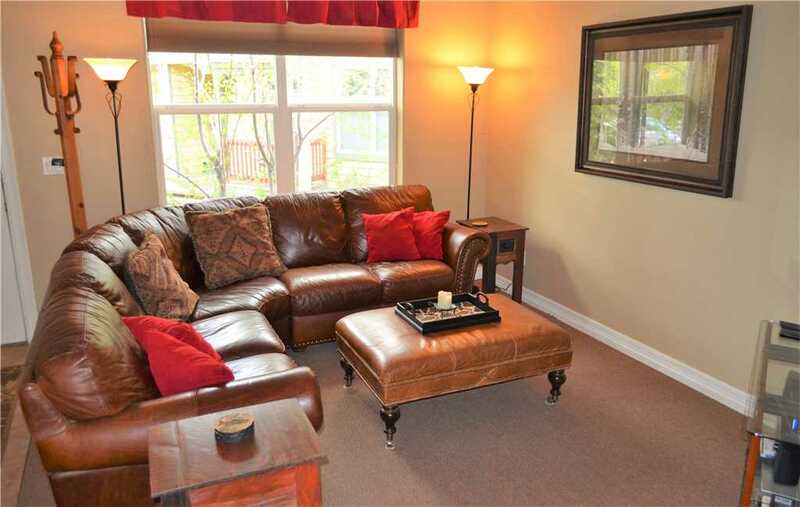 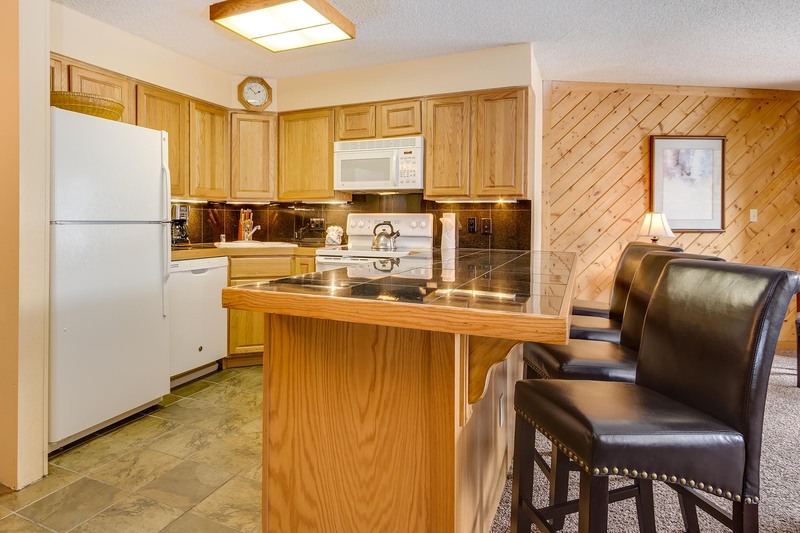 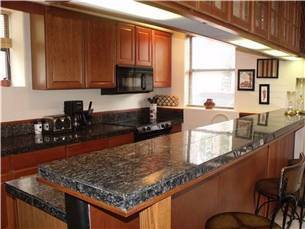 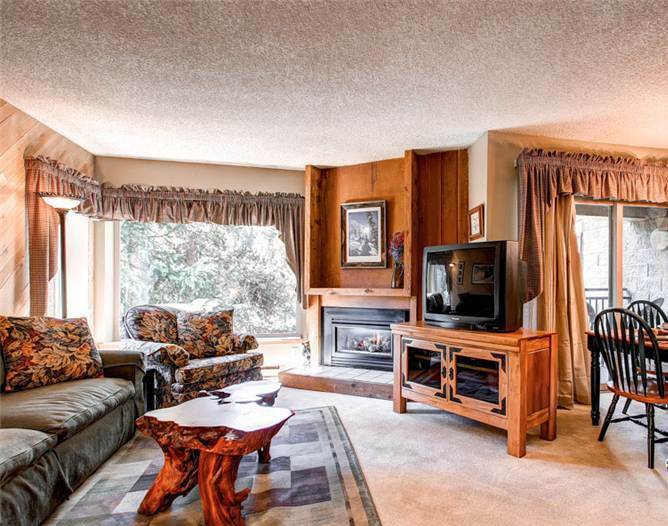 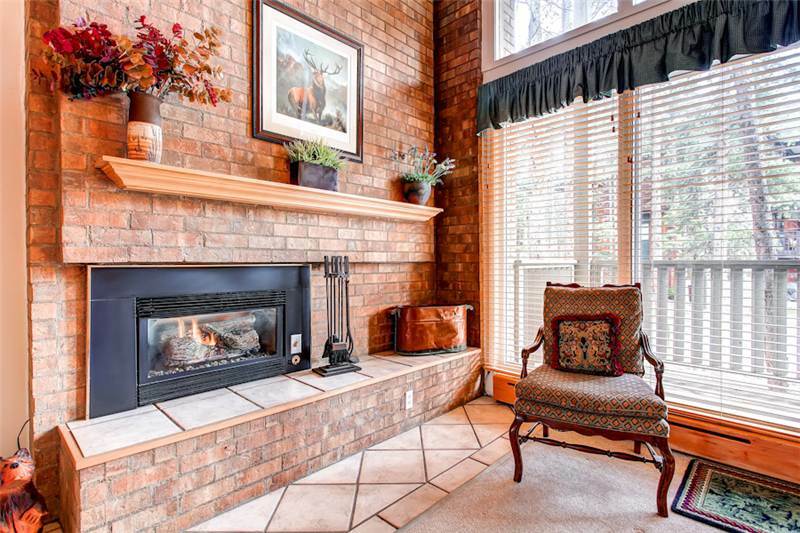 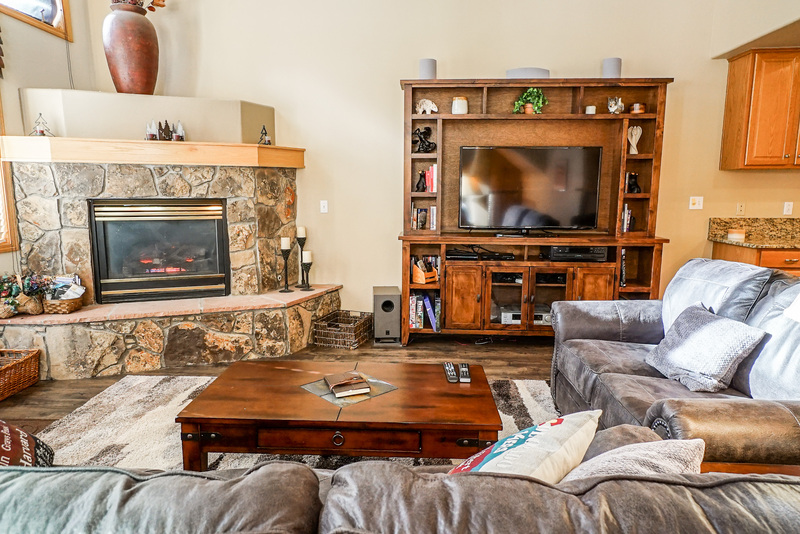 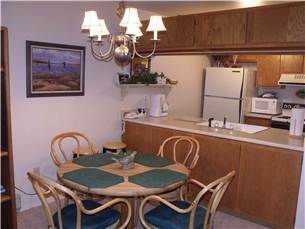 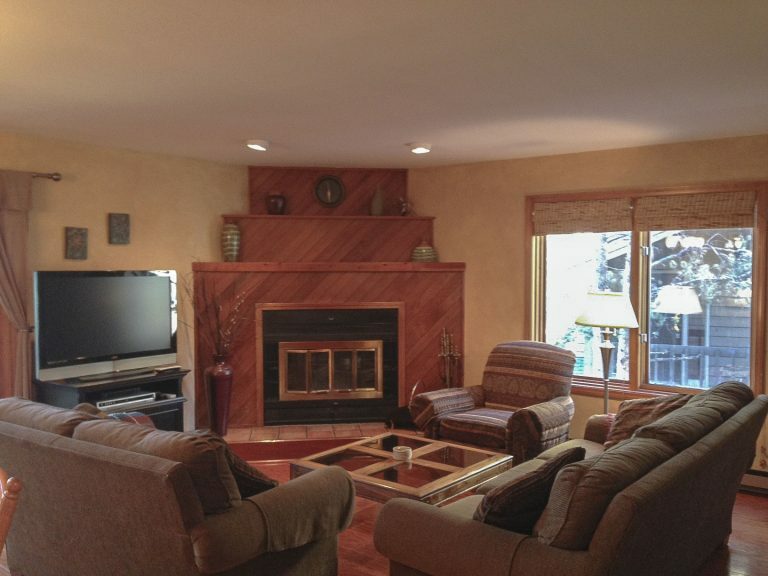 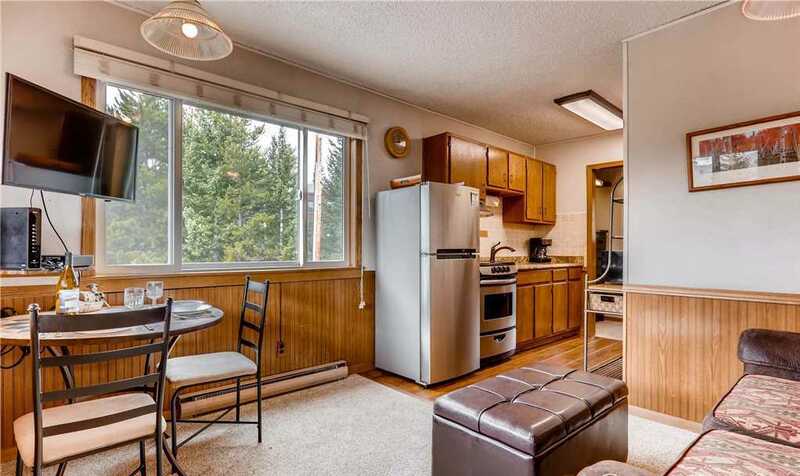 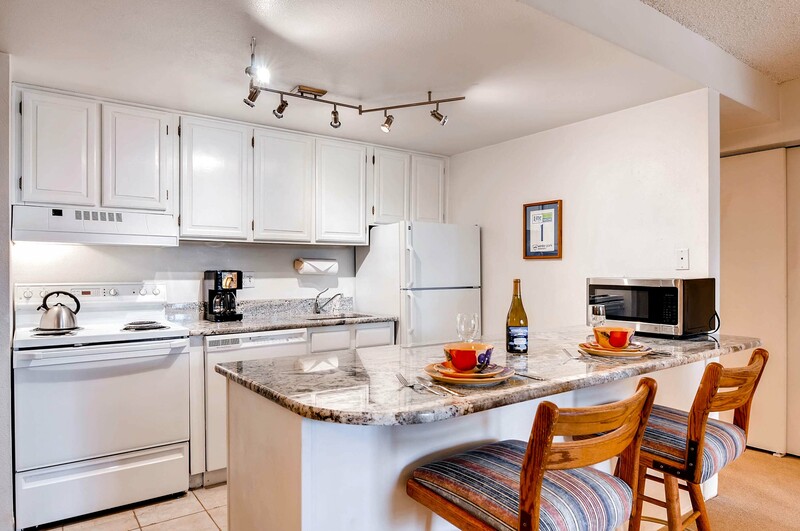 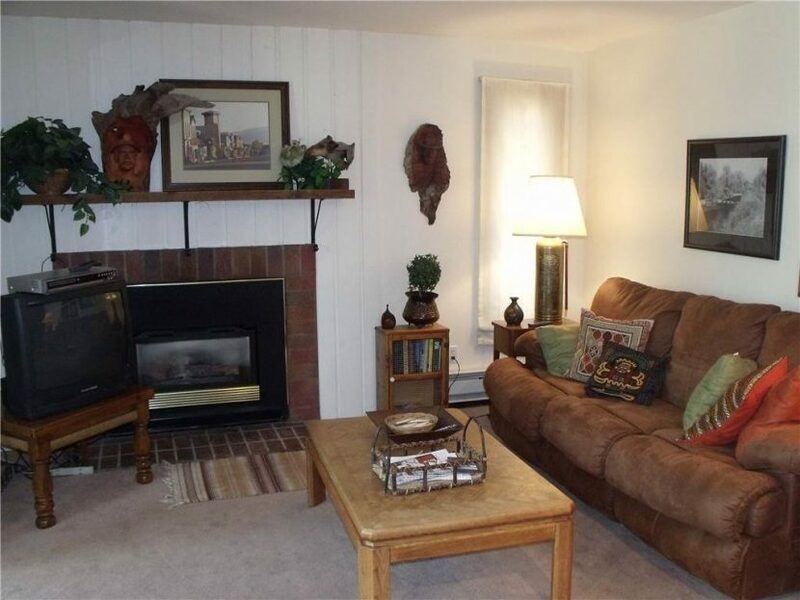 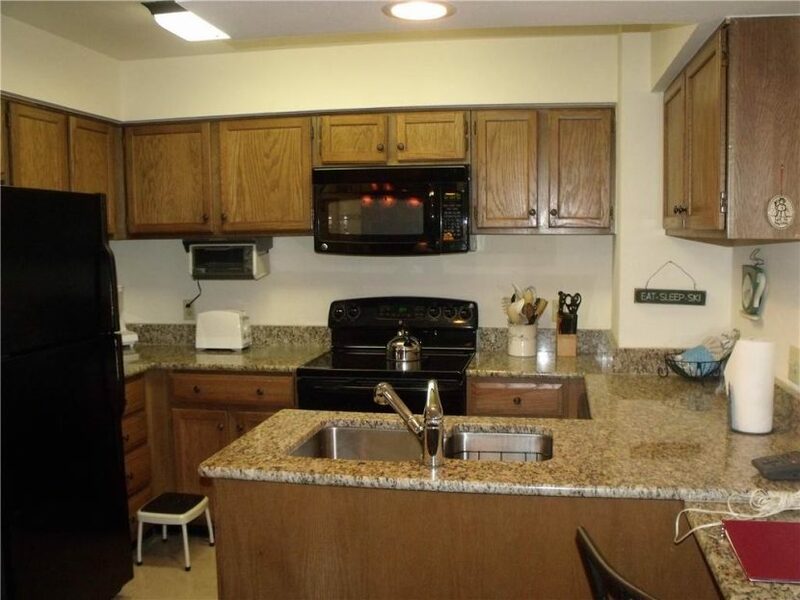 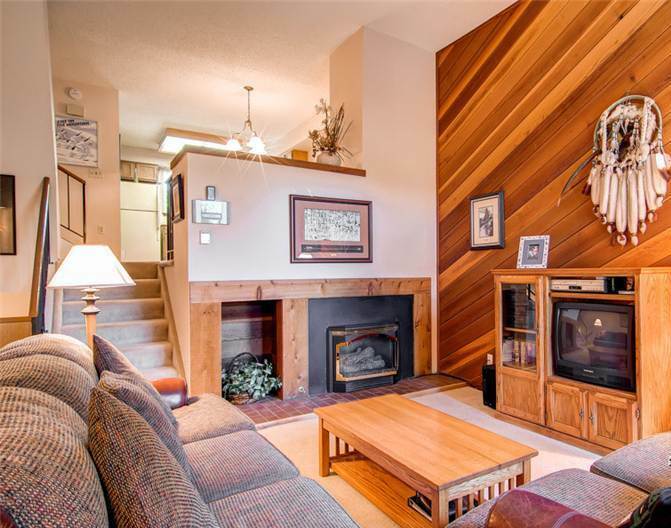 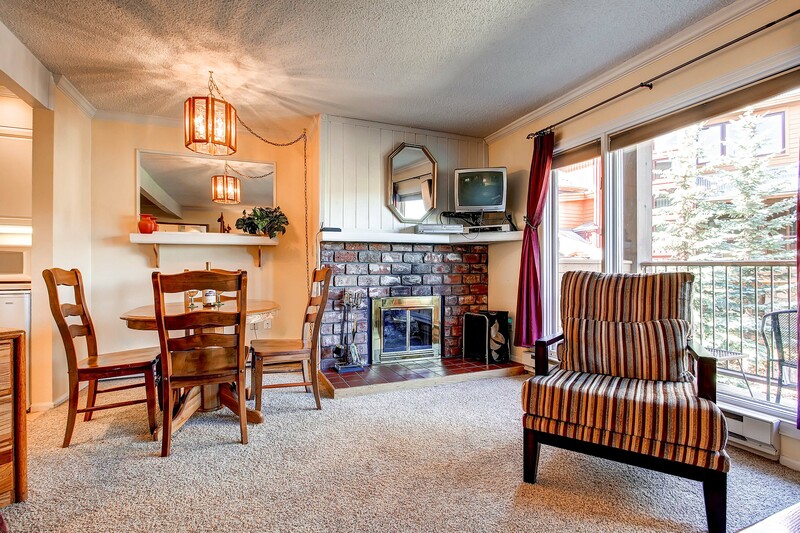 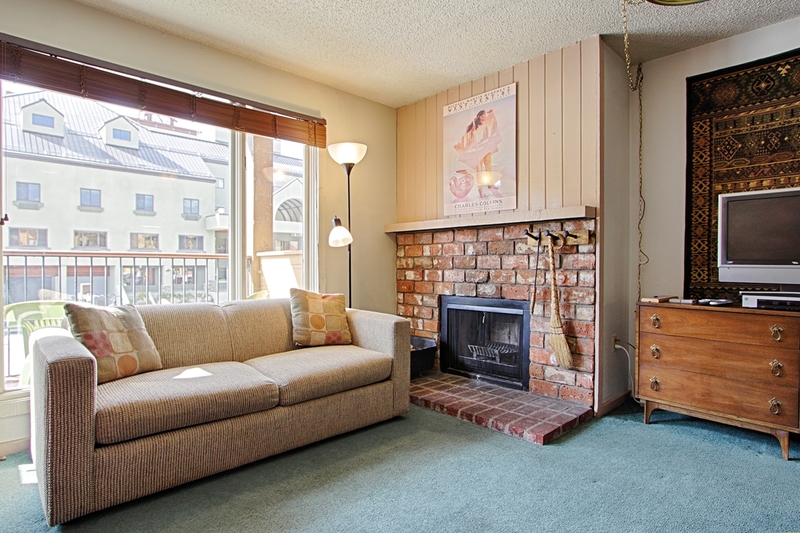 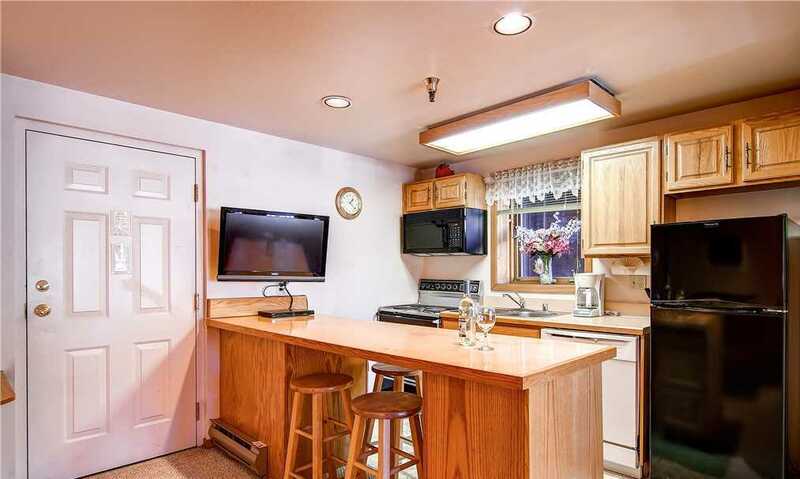 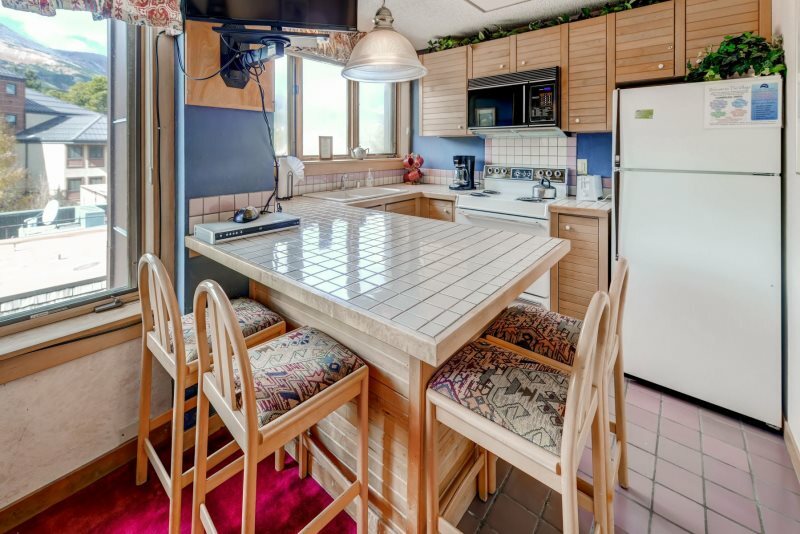 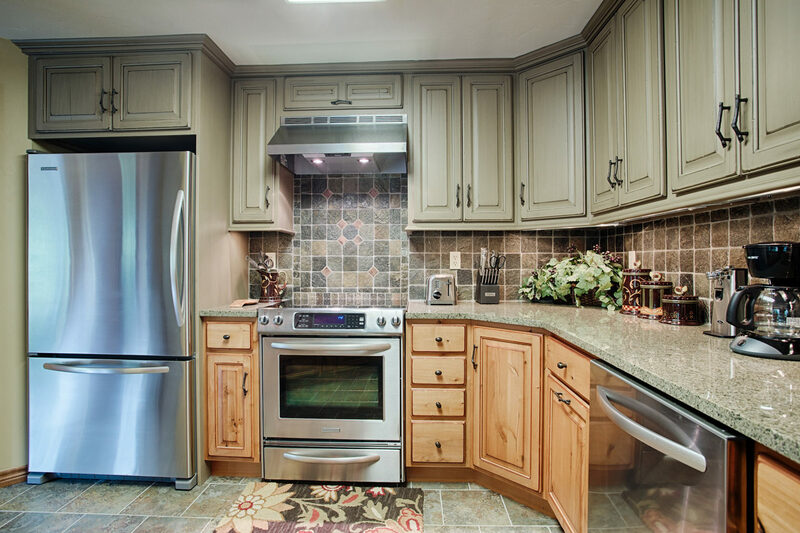 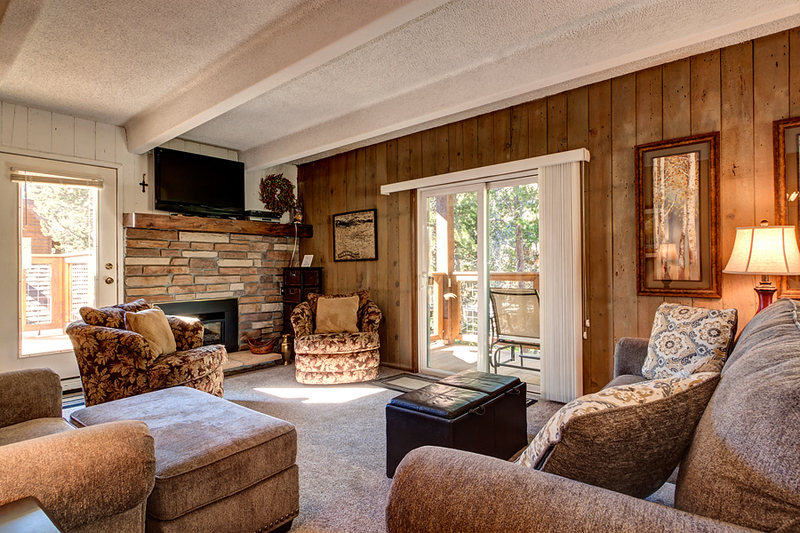 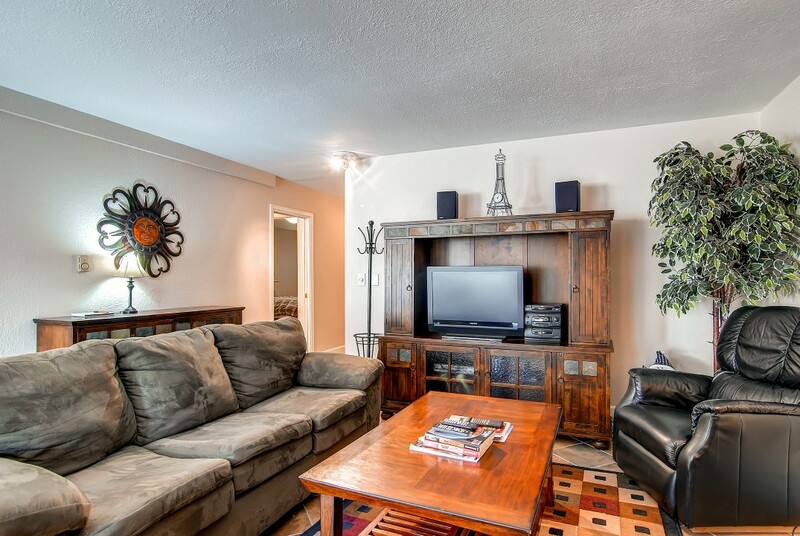 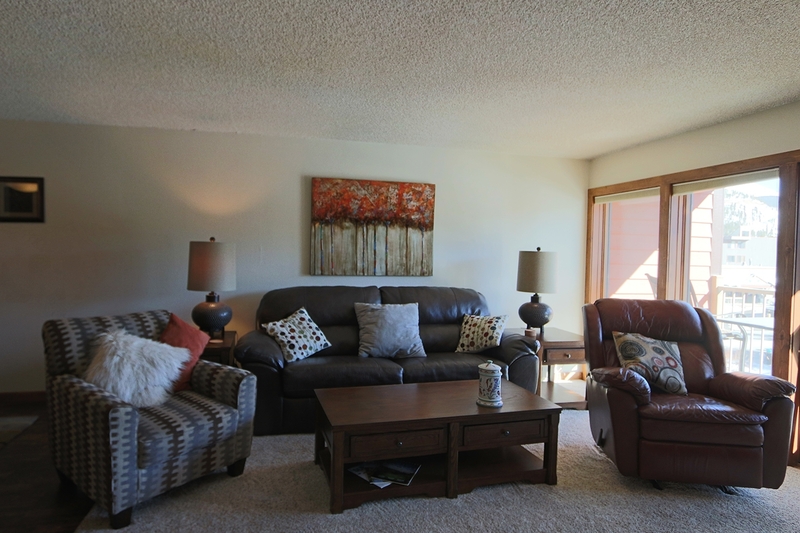 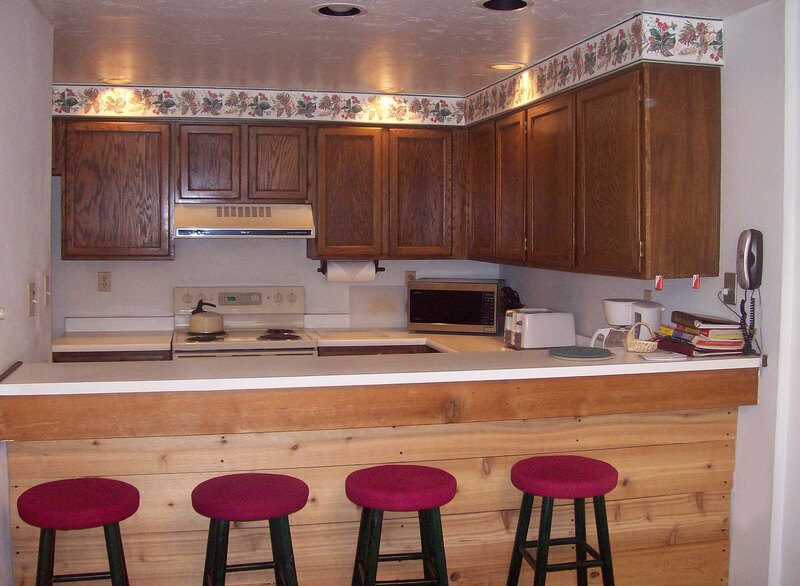 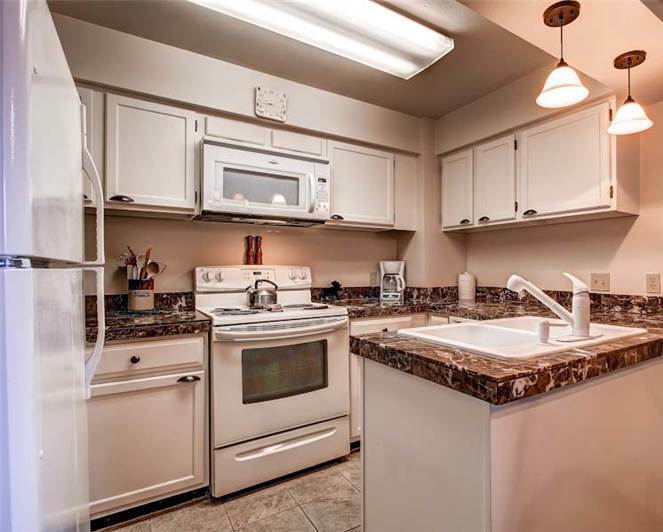 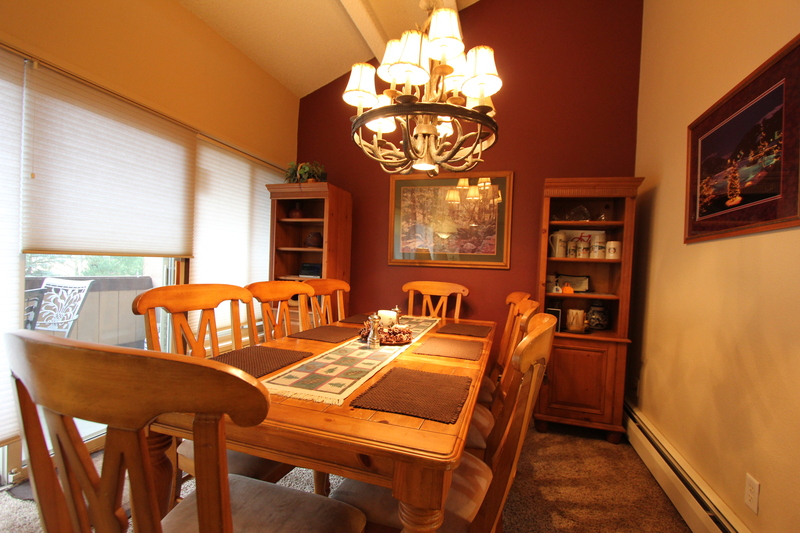 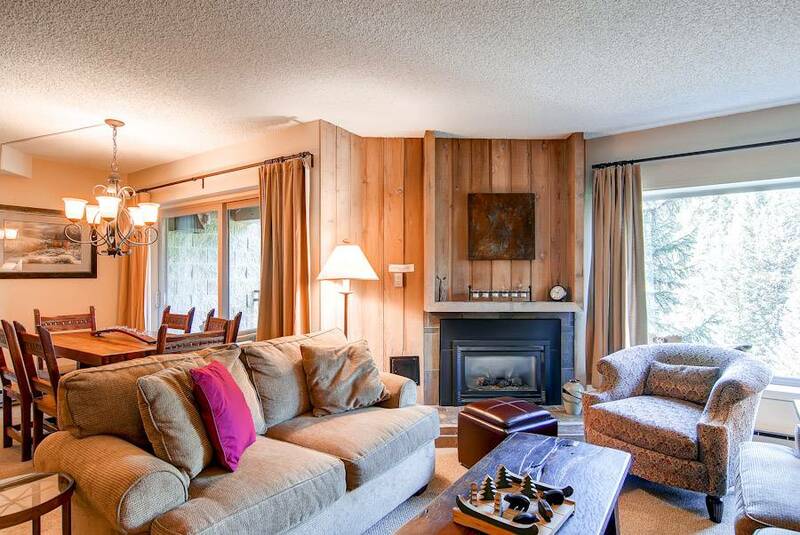 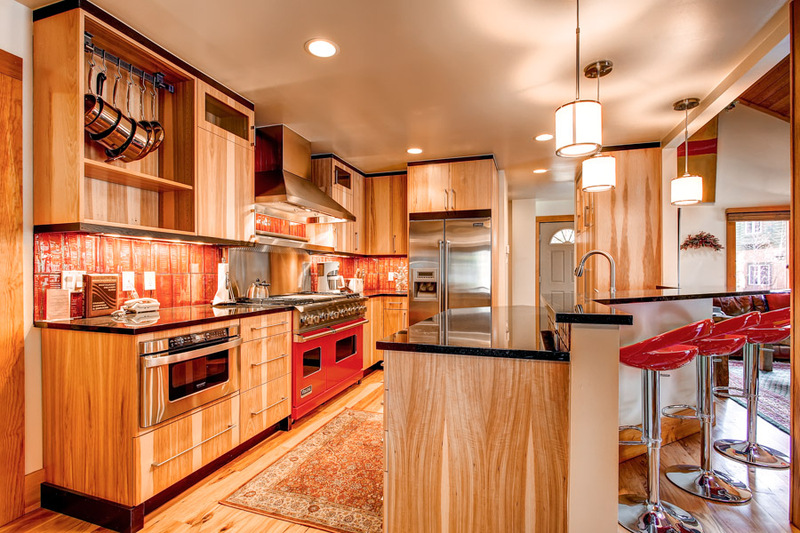 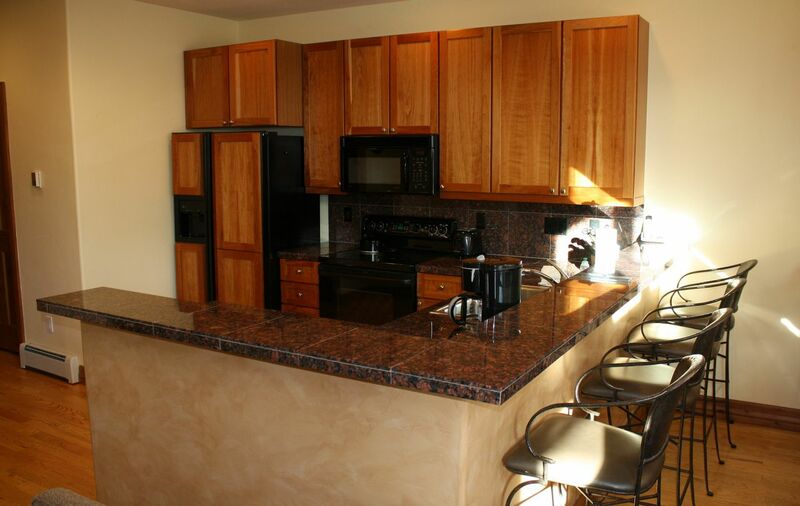 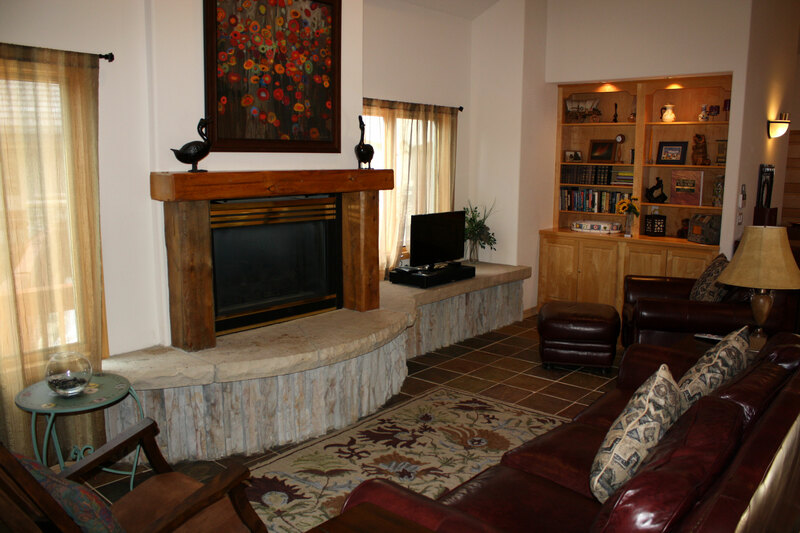 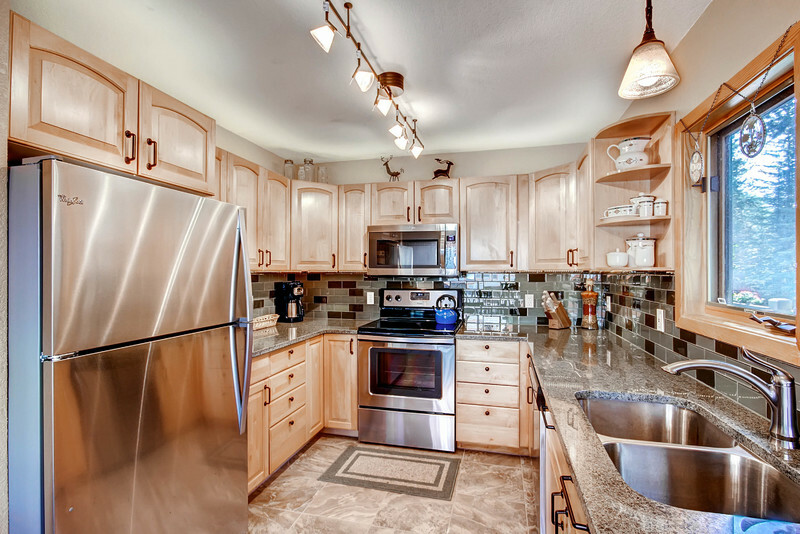 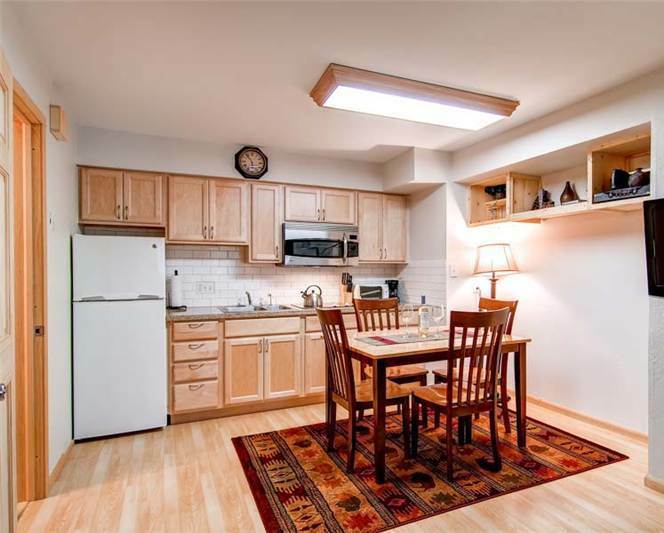 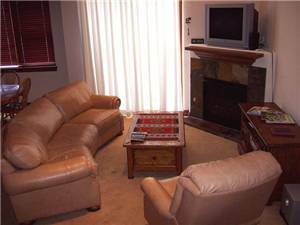 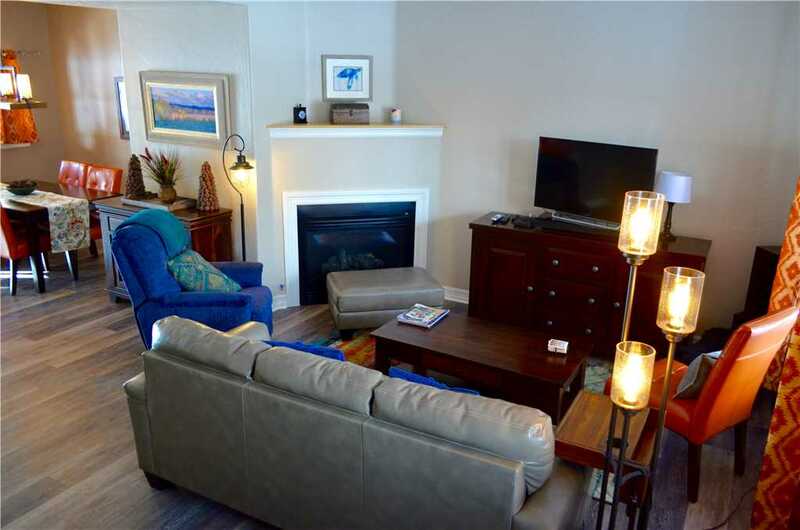 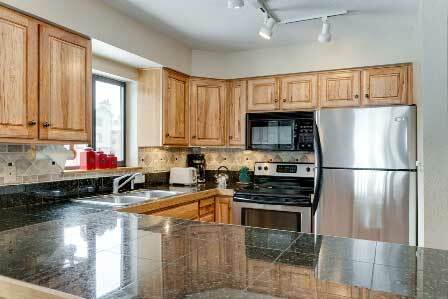 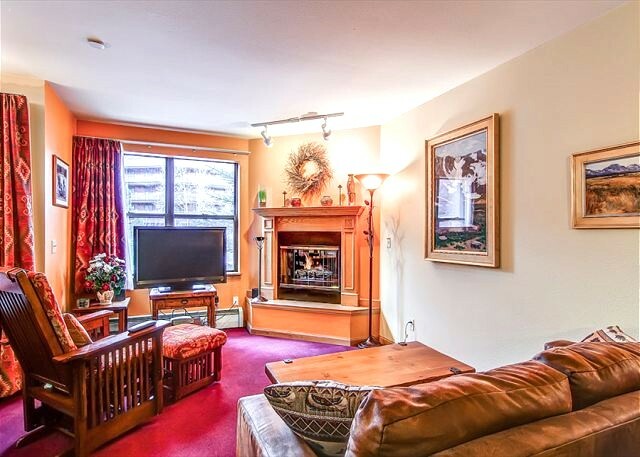 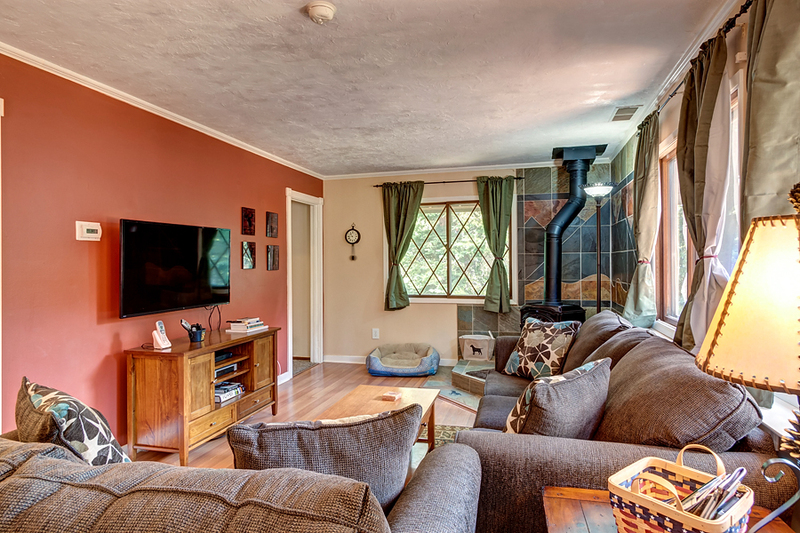 This beautiful home has a full kitchen, gas woodstove, 2 TV’s, 2 VCR’s, high speed internet access and Stereo with CD. 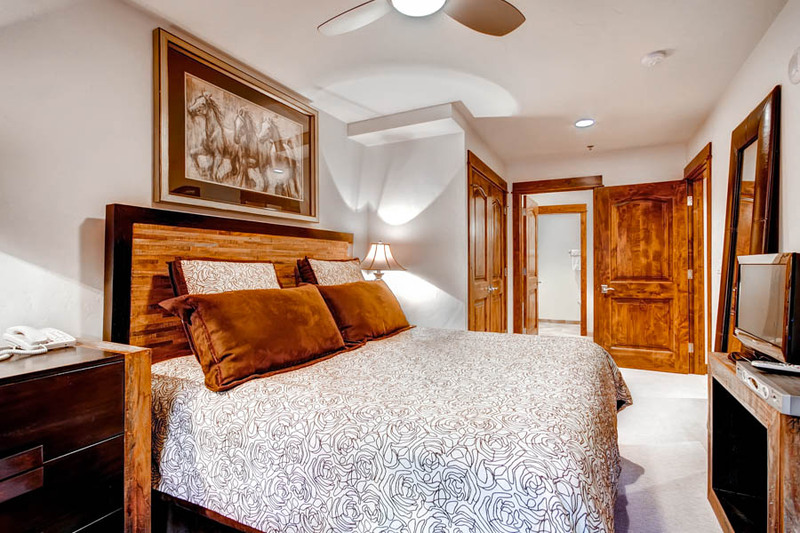 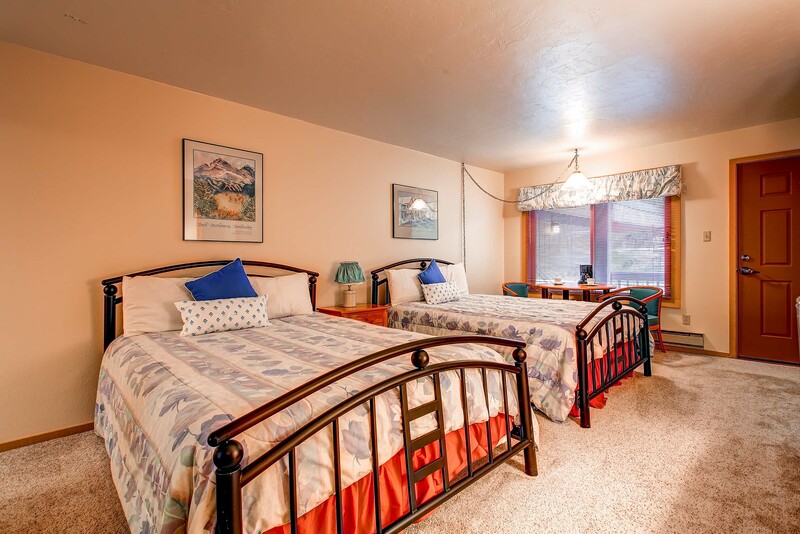 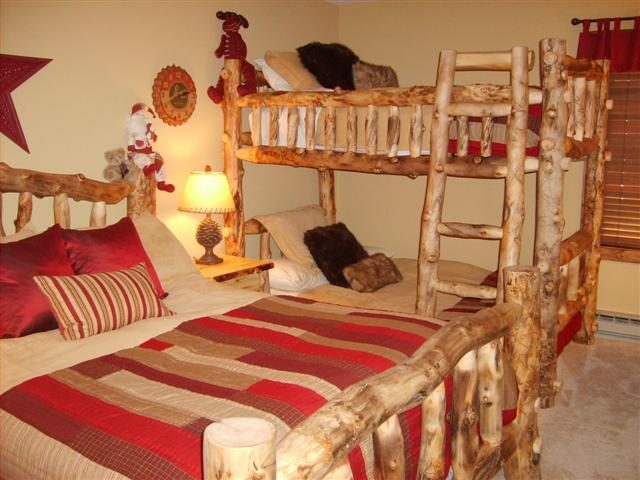 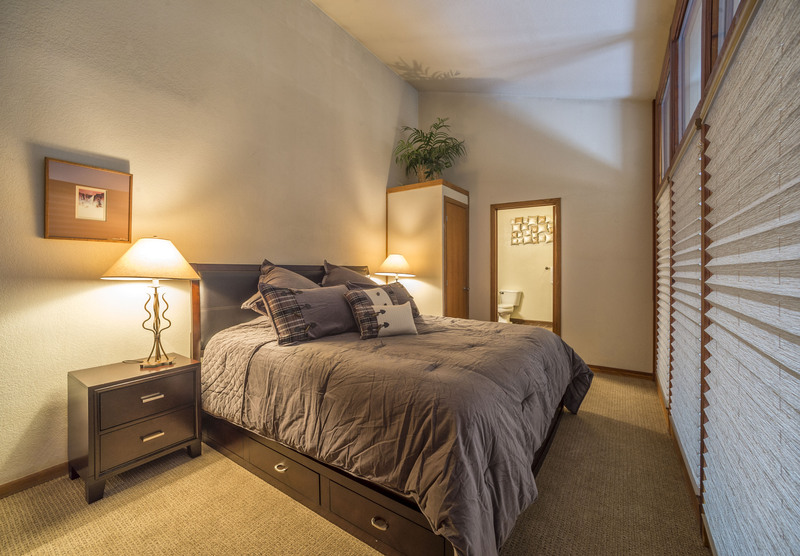 There is a King-sized bed in the master bedroom, Queen-sized bed in the second bedroom, Queen-sized bed in the third bedroom, Queen-sized bed in the fourth bedroom, 2 Captain bunk beds (double on bottom, twin on top) in the fifth bedroom and a sofa sleeper in the den. 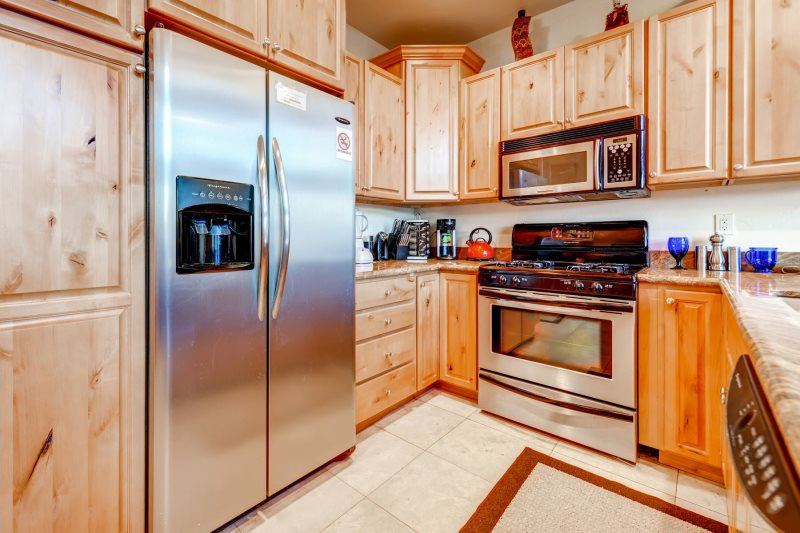 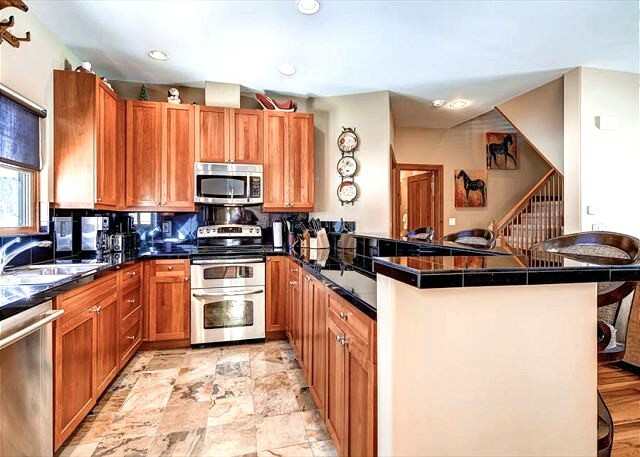 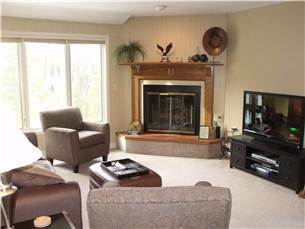 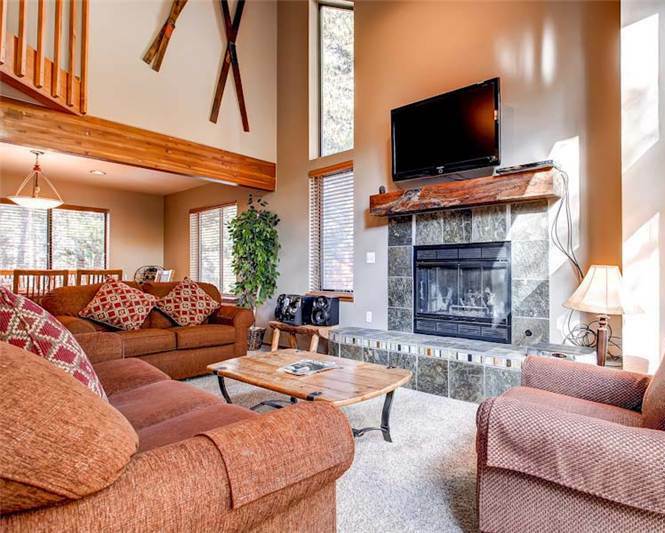 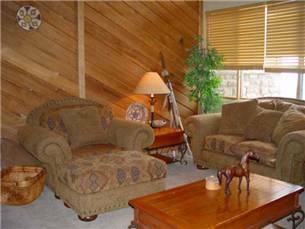 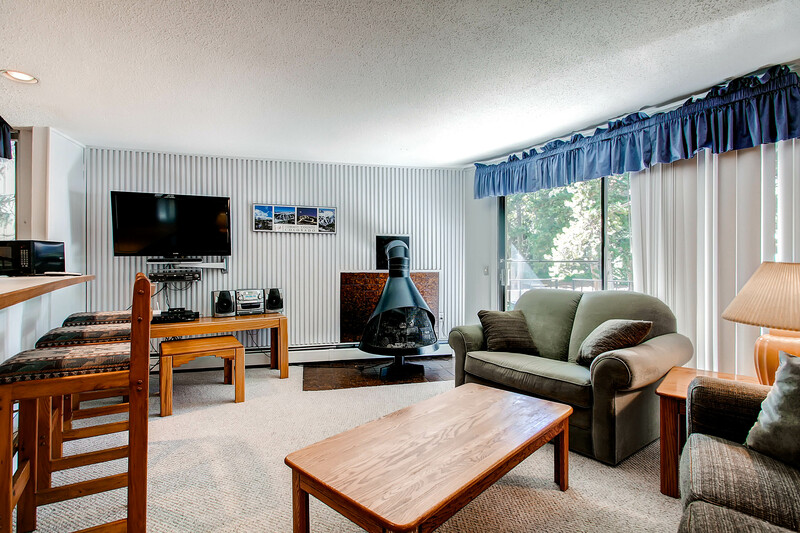 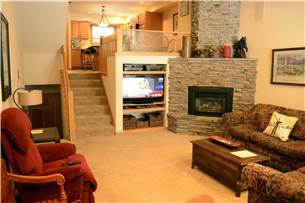 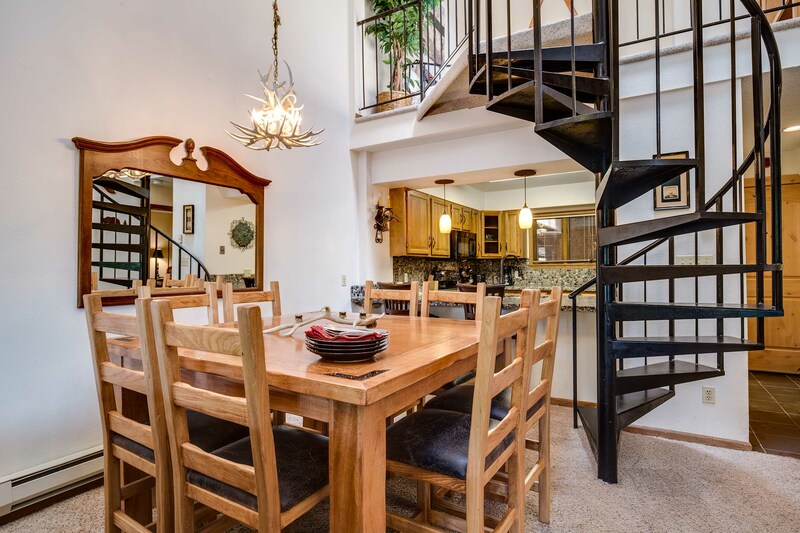 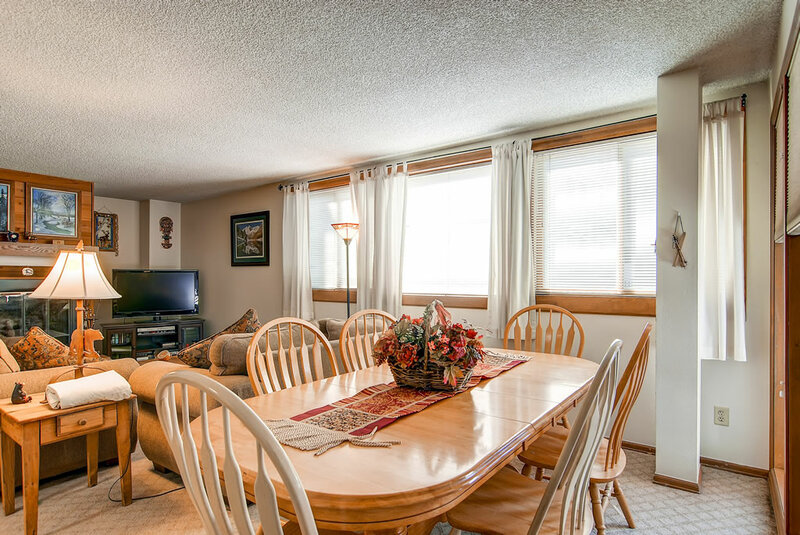 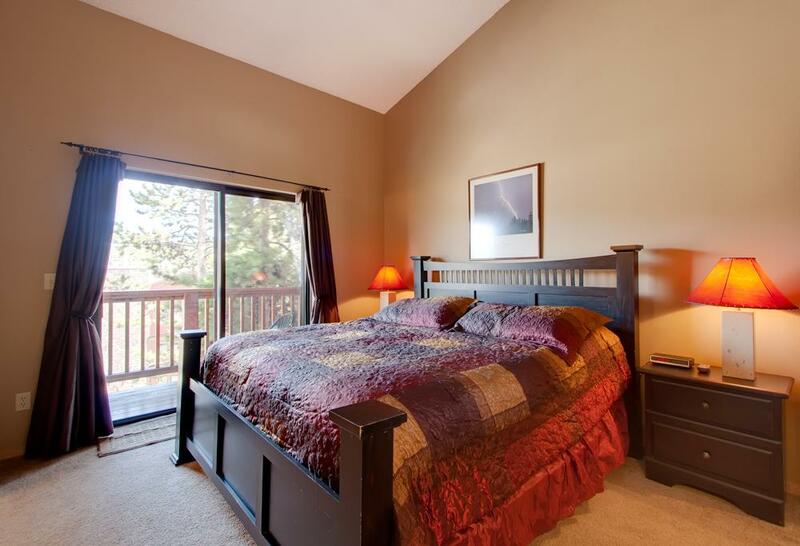 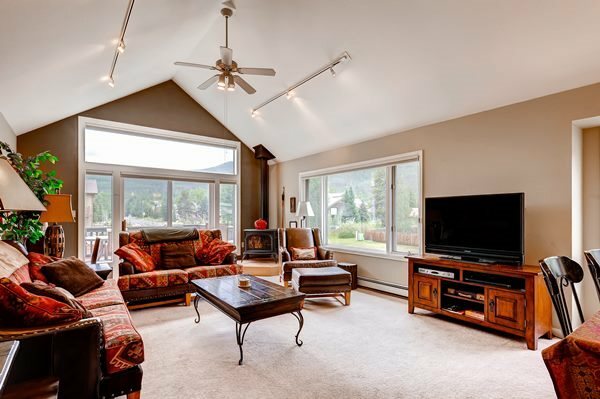 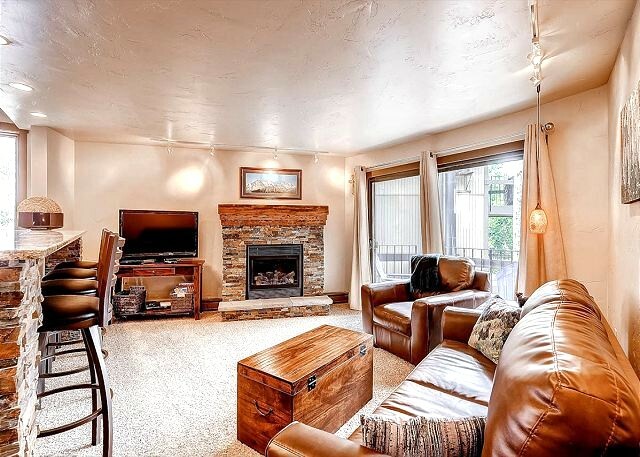 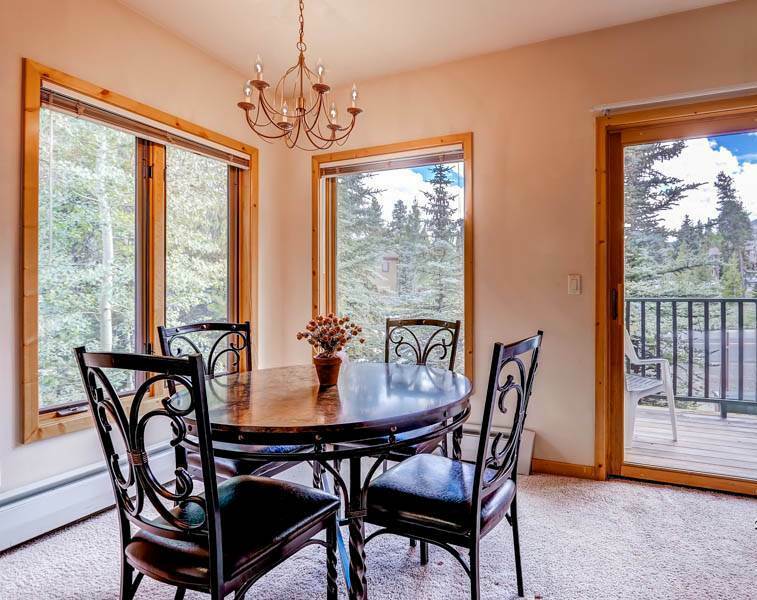 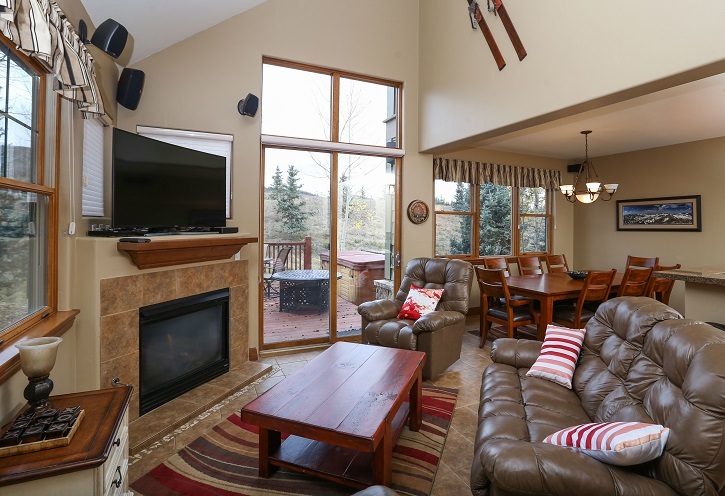 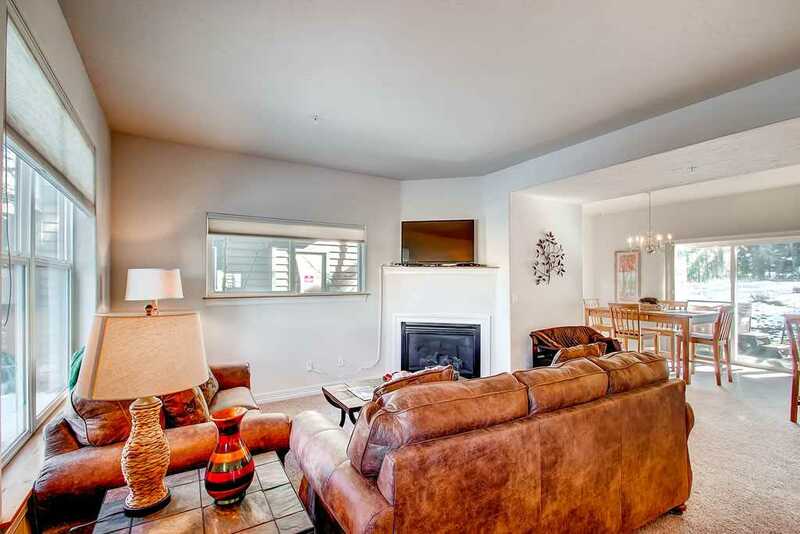 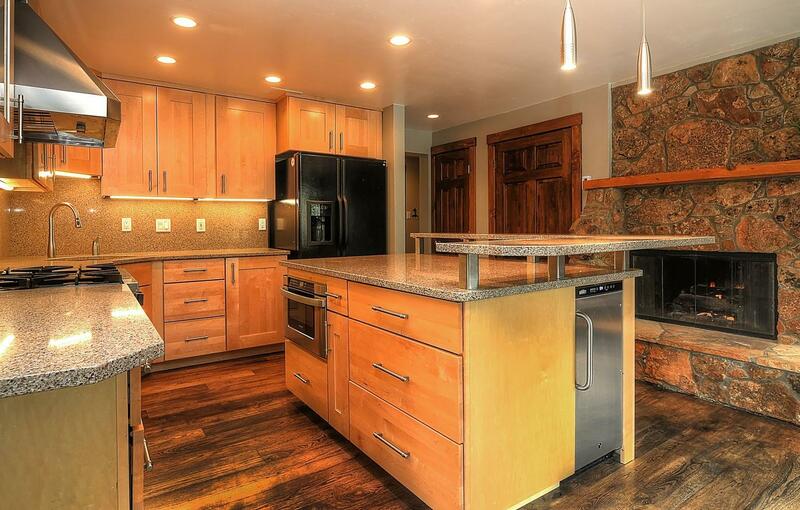 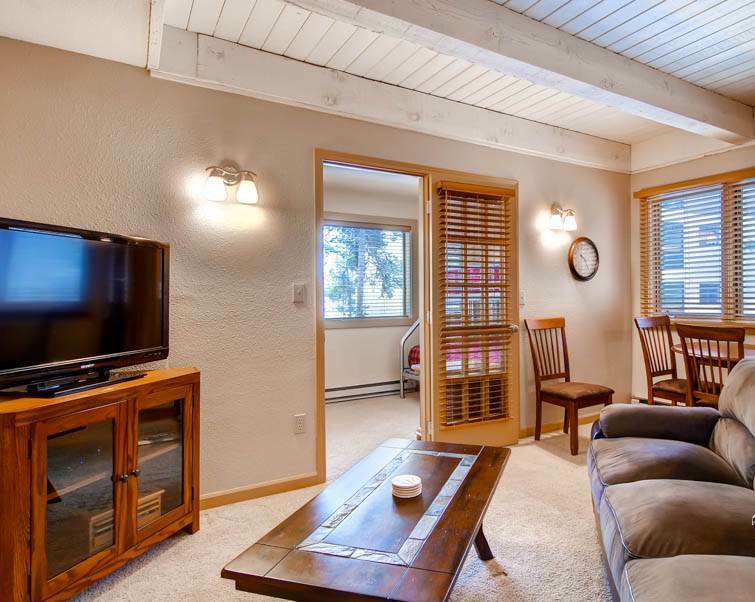 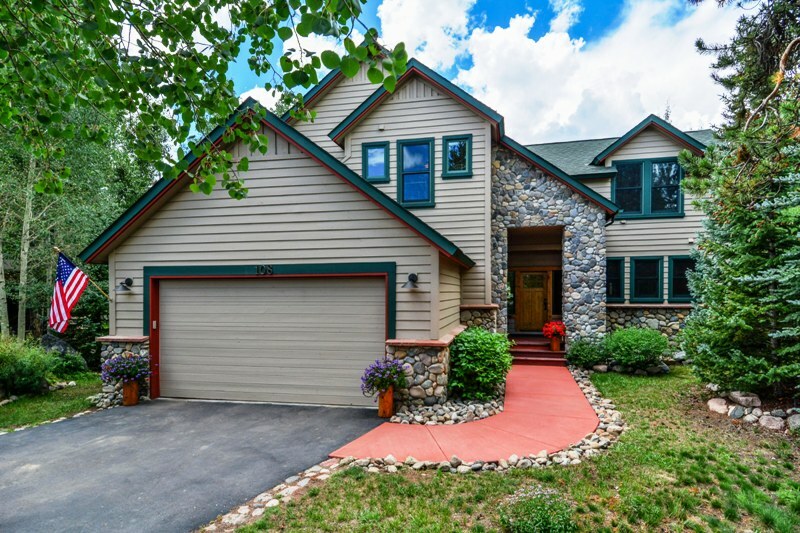 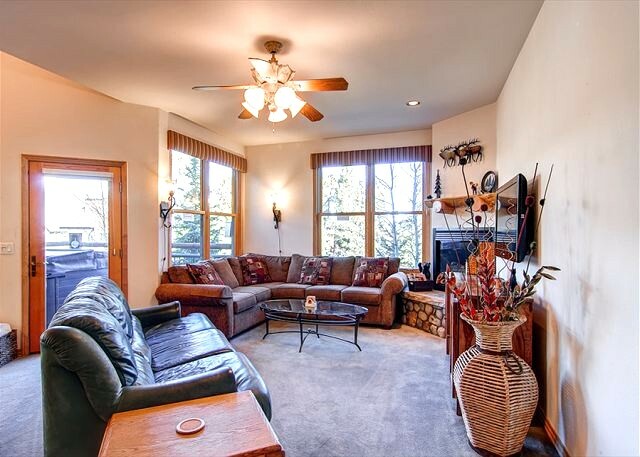 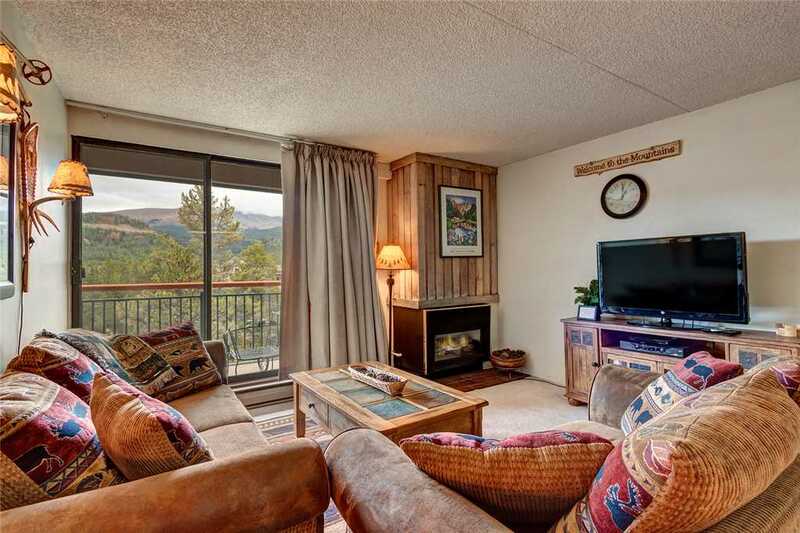 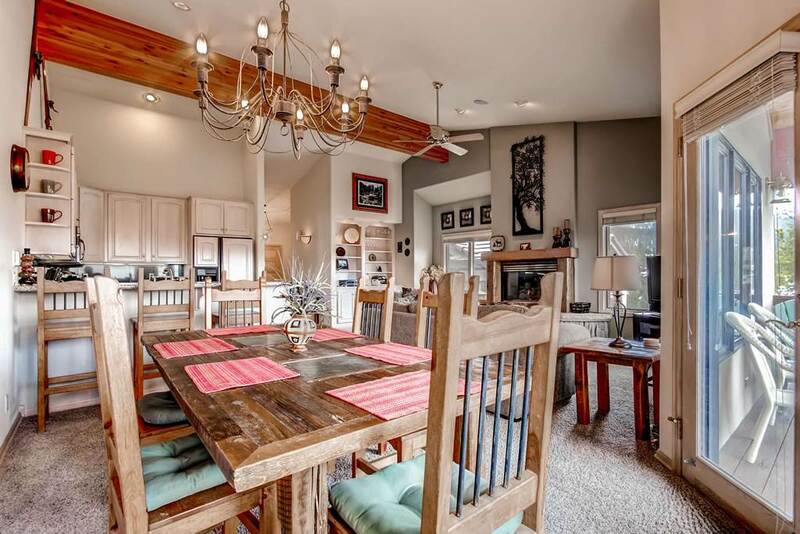 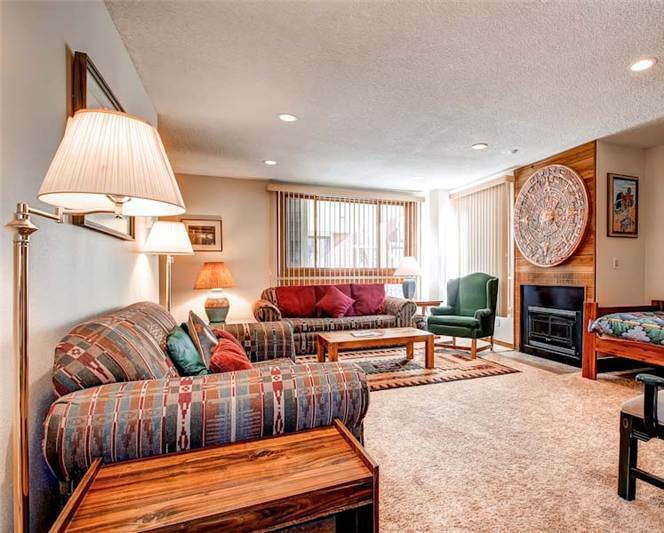 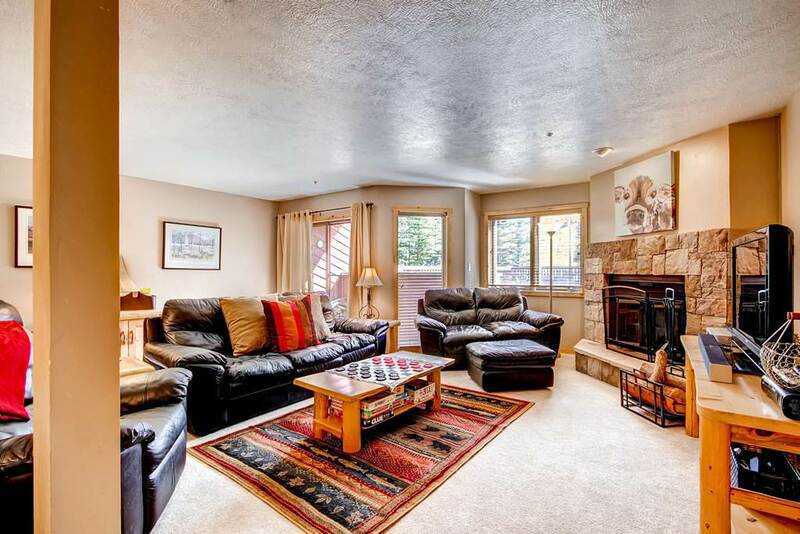 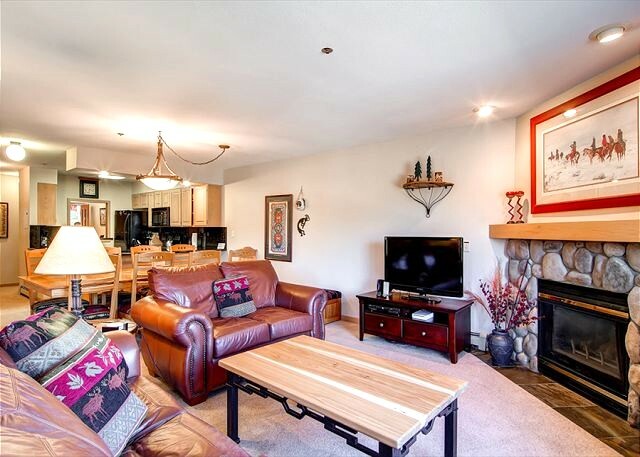 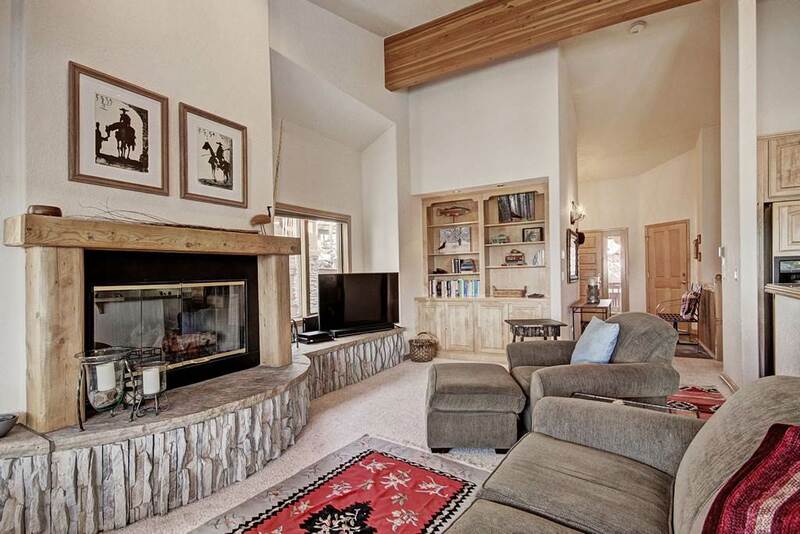 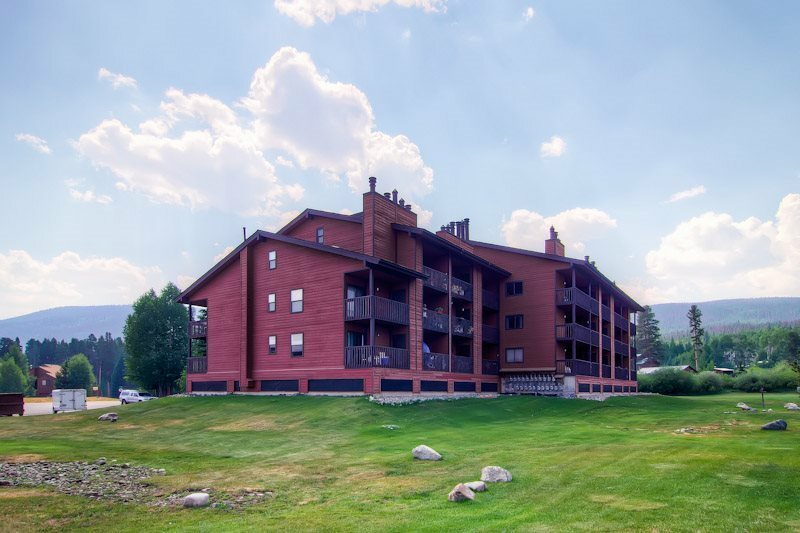 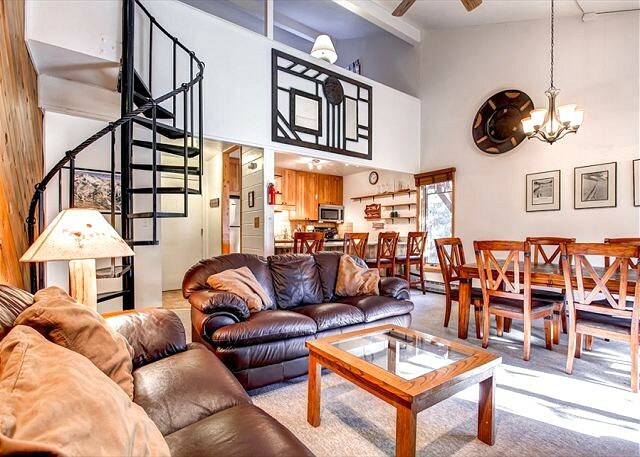 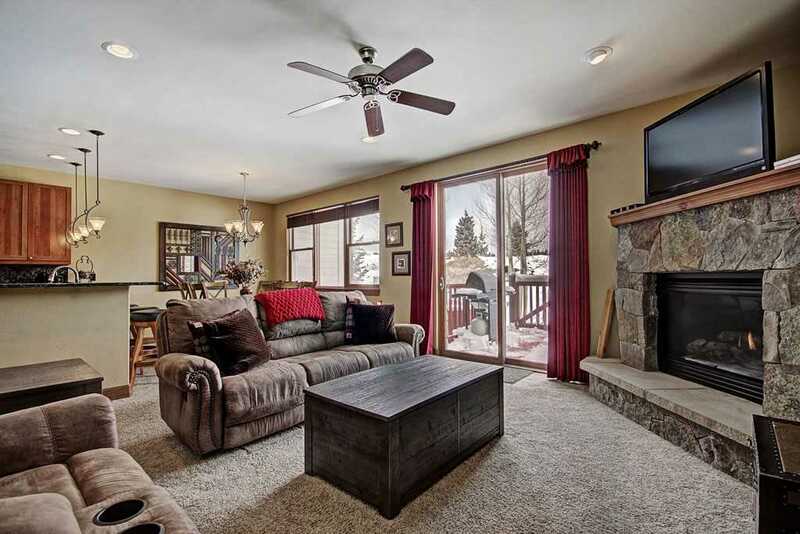 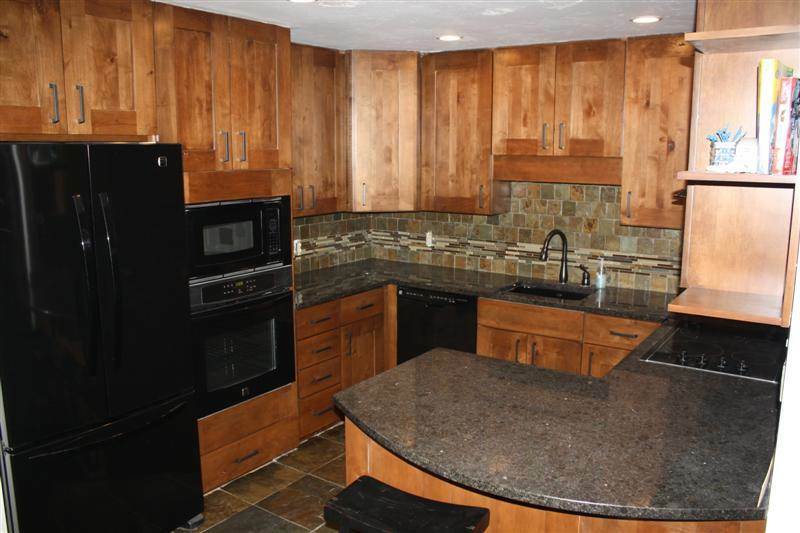 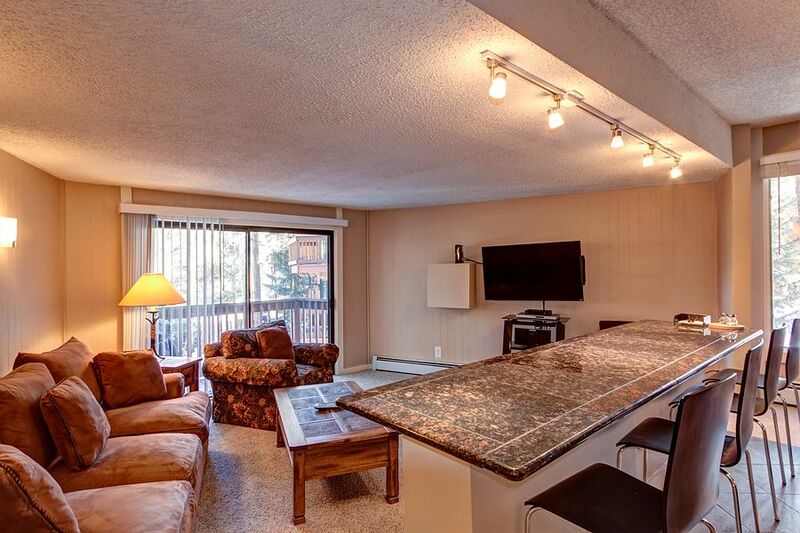 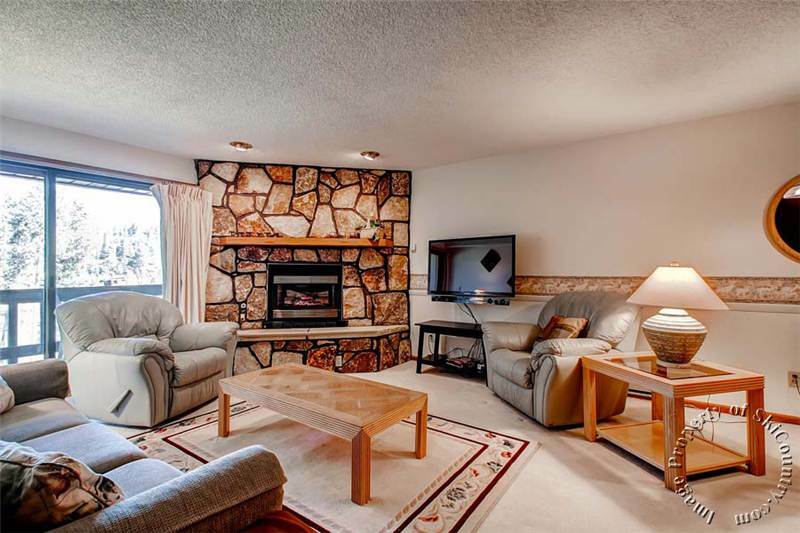 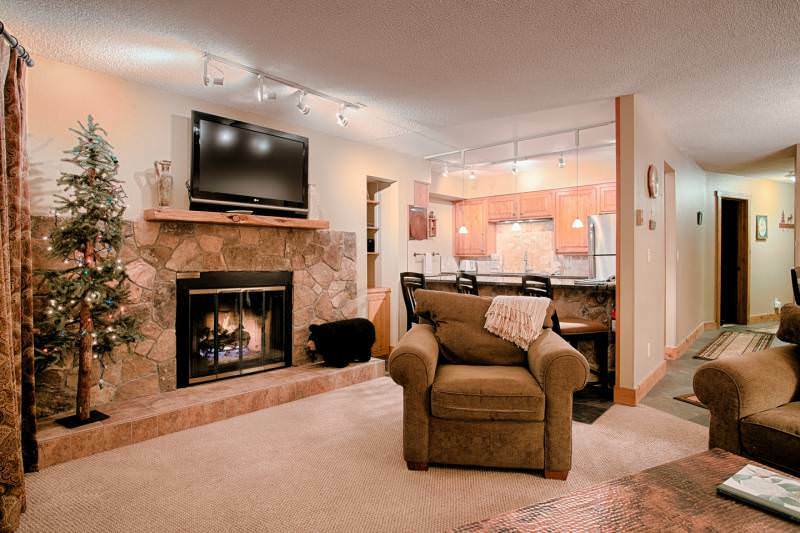 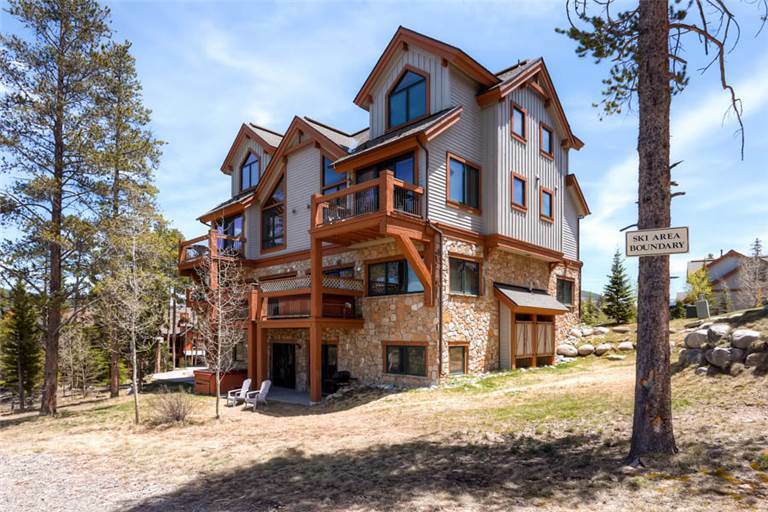 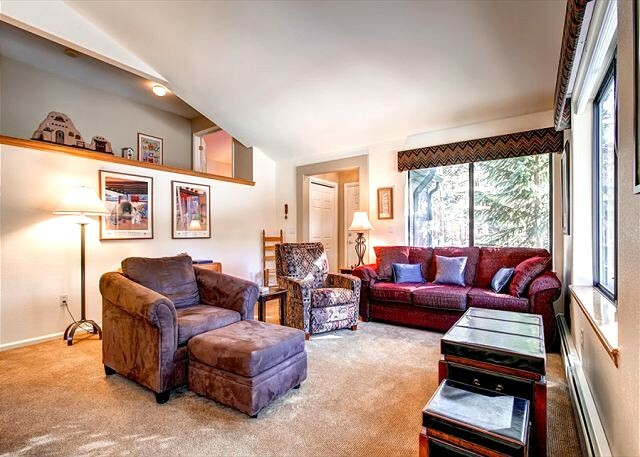 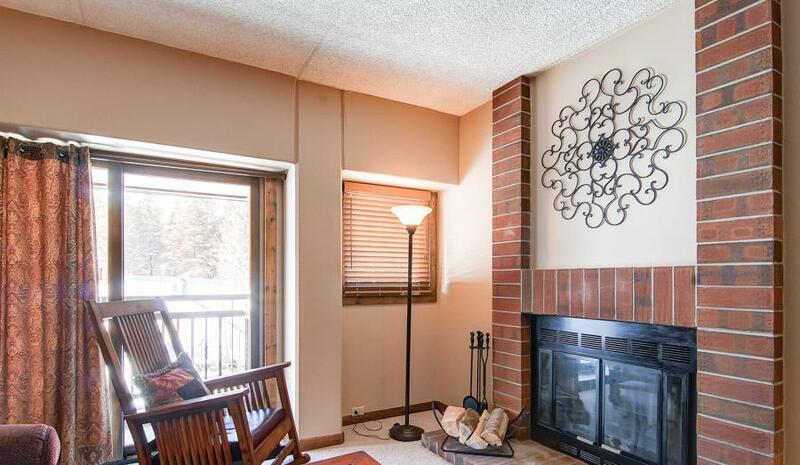 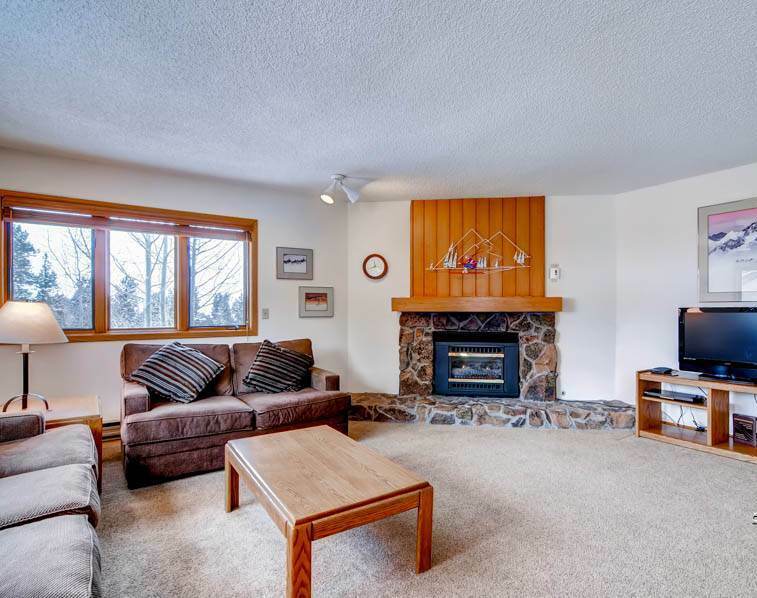 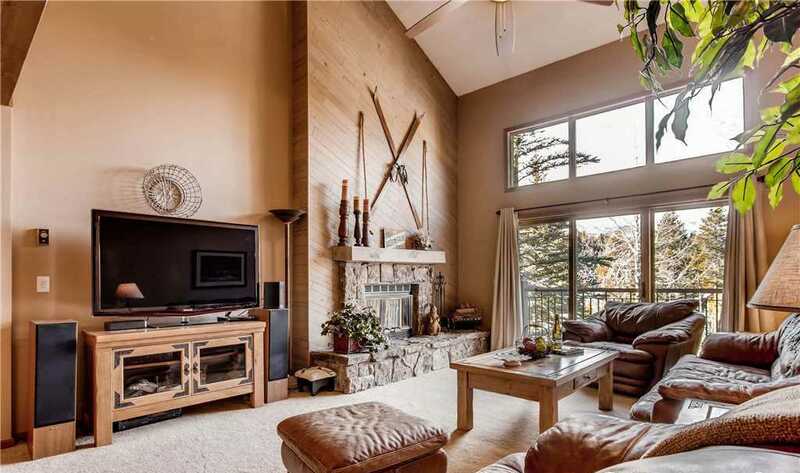 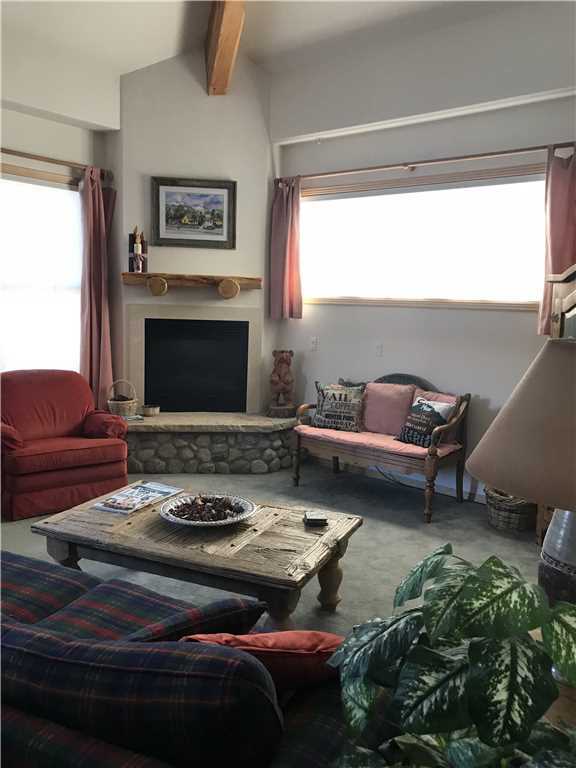 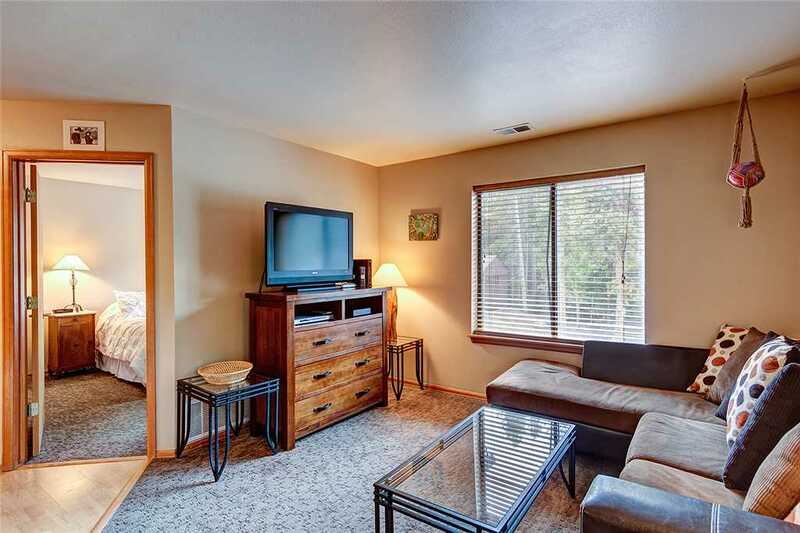 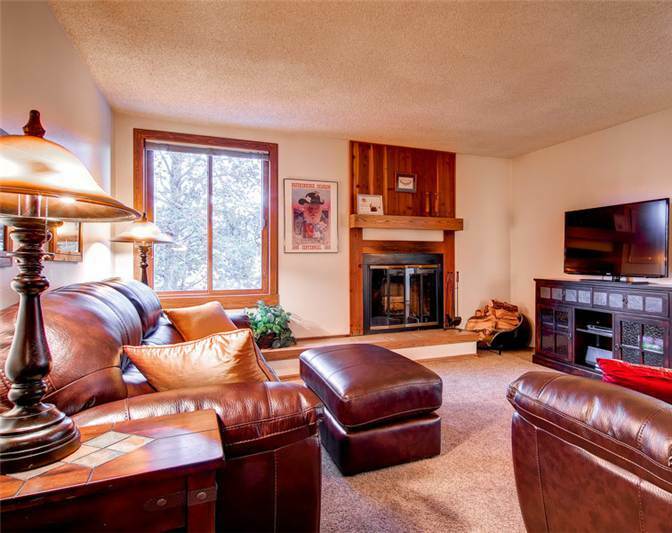 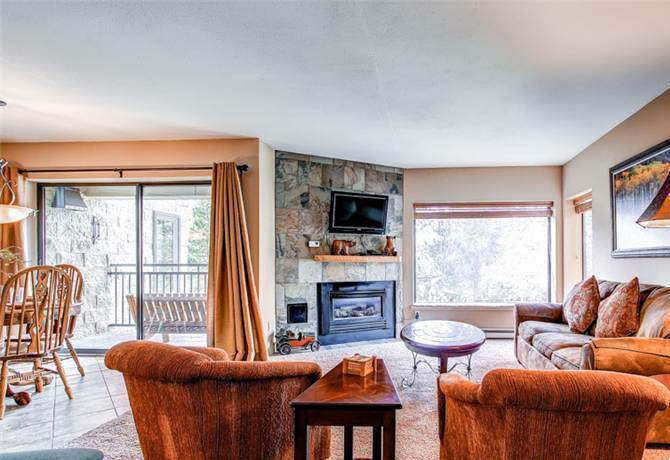 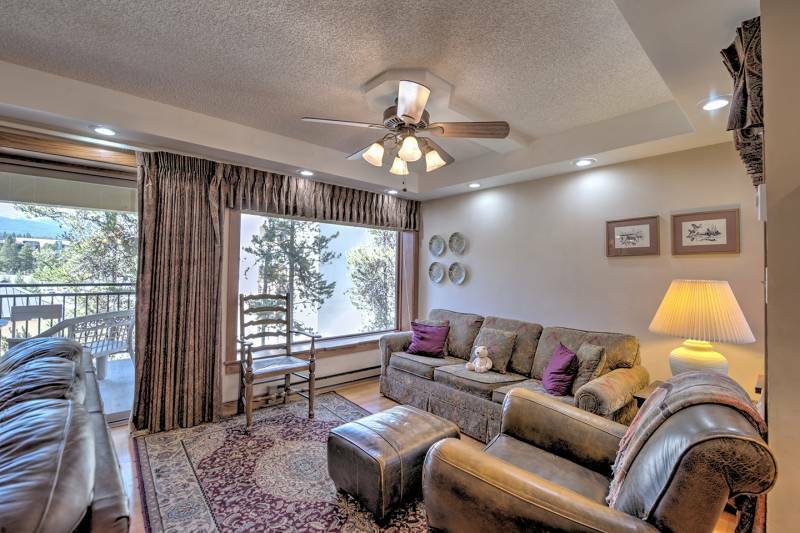 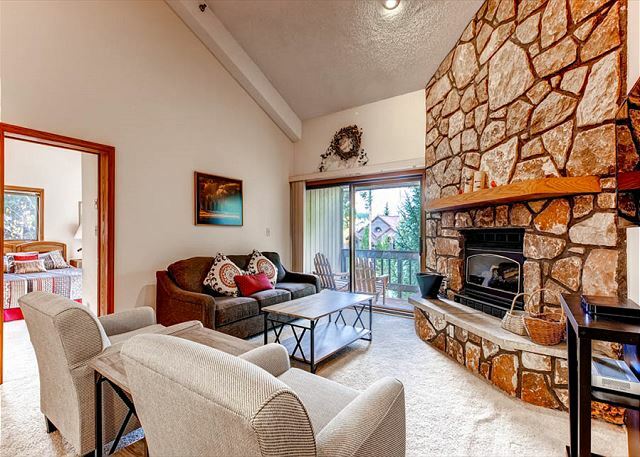 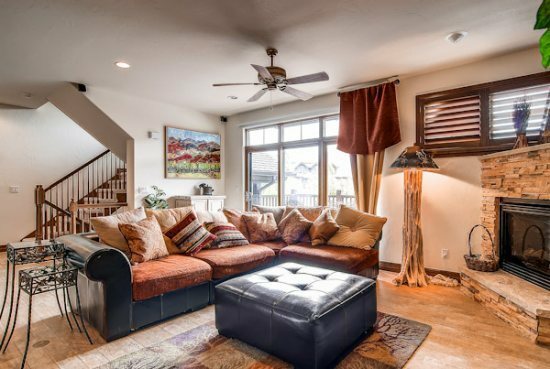 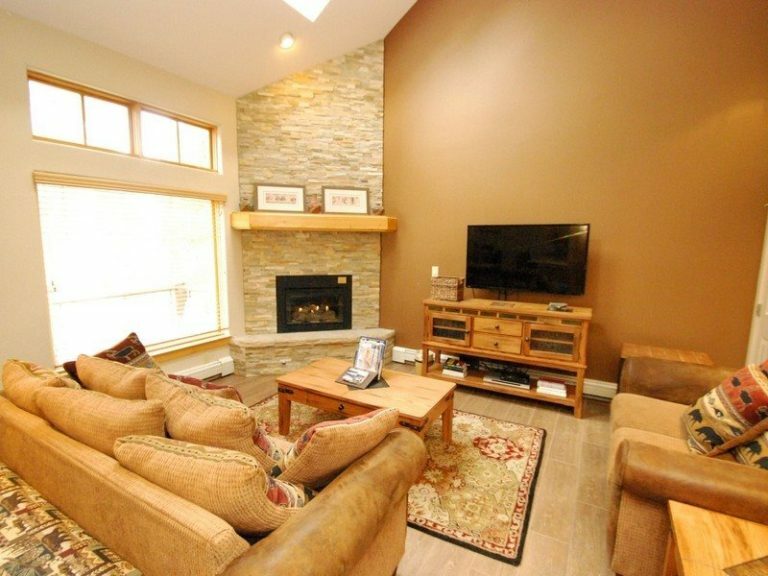 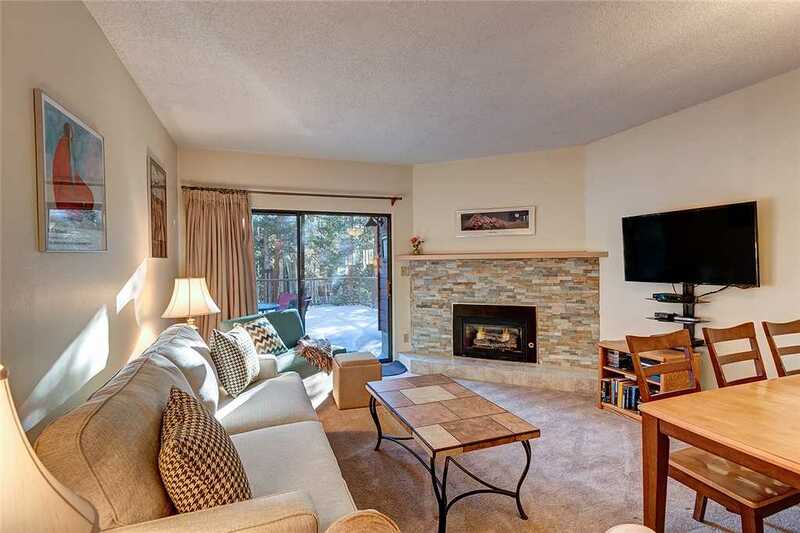 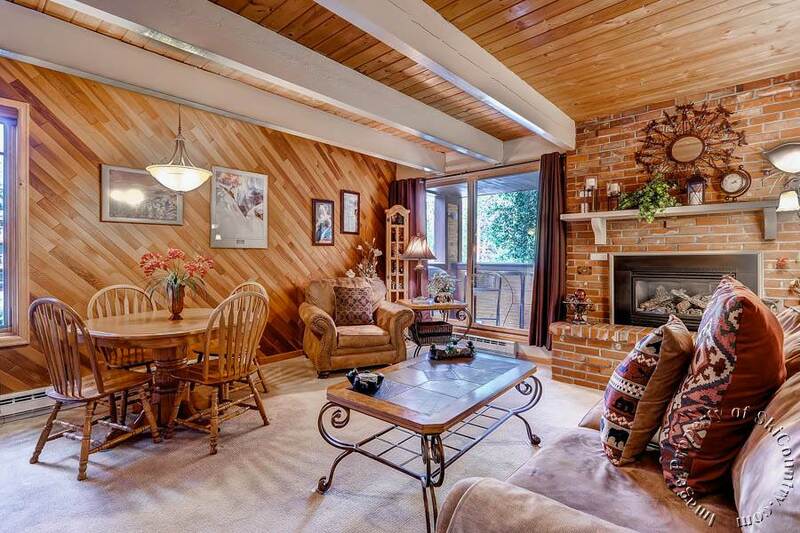 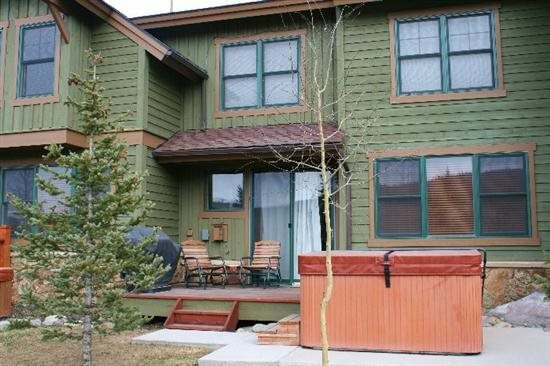 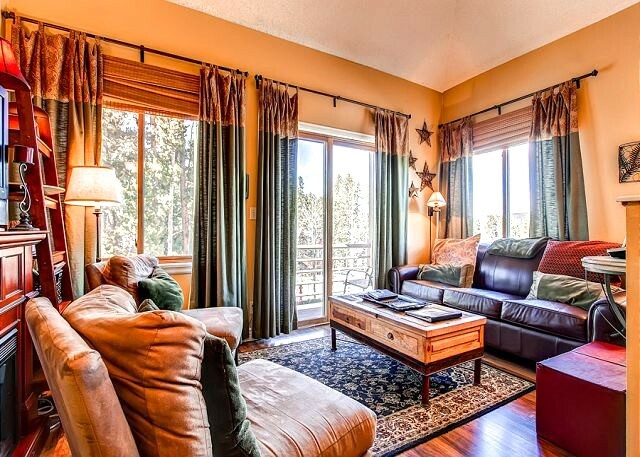 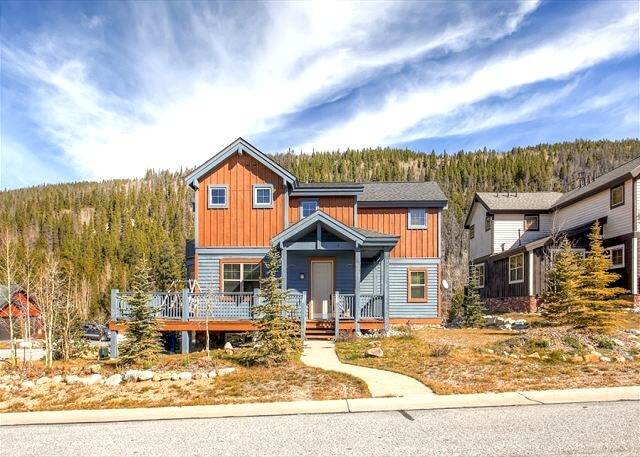 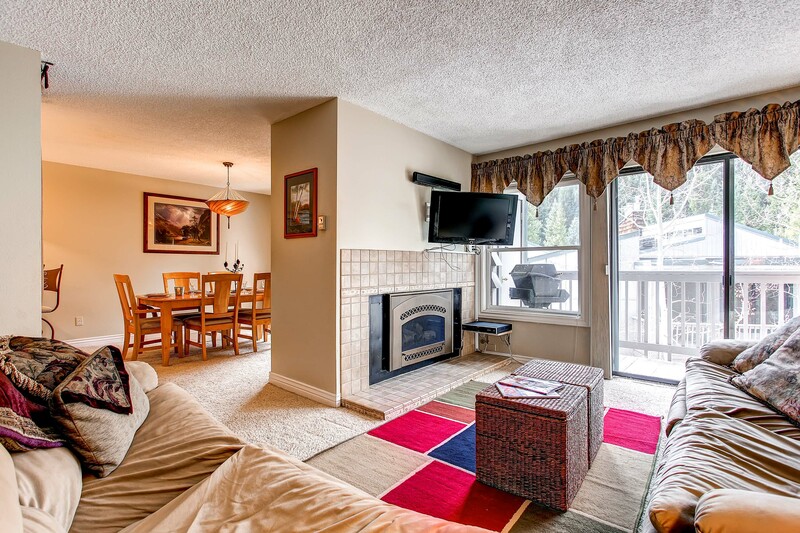 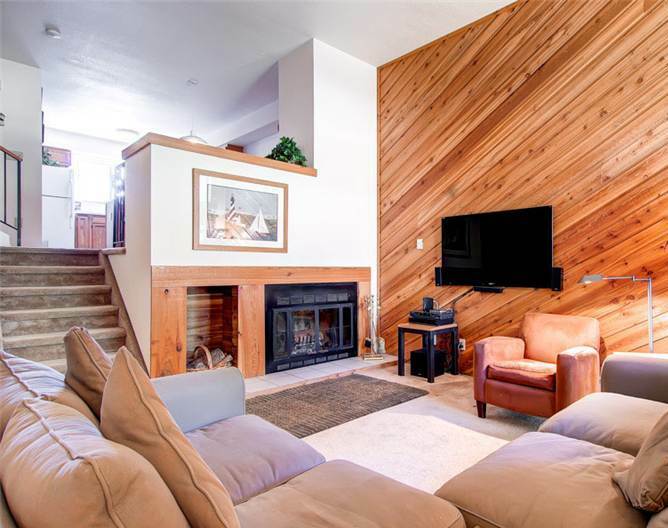 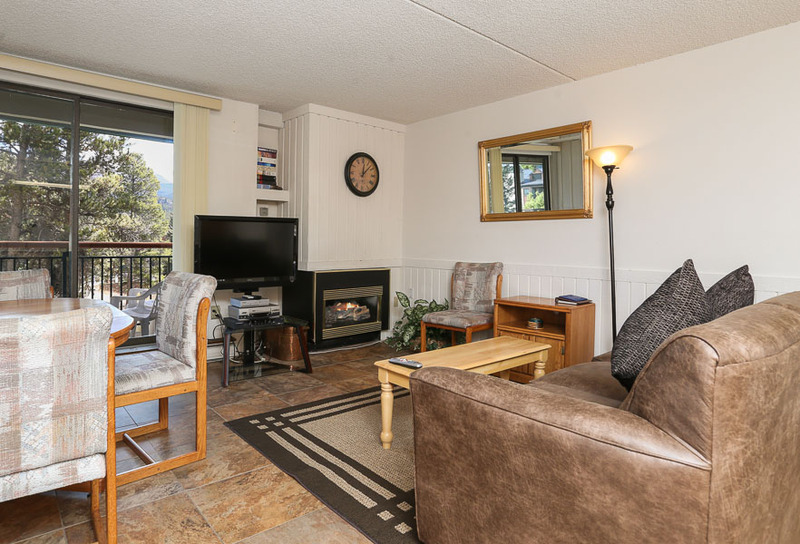 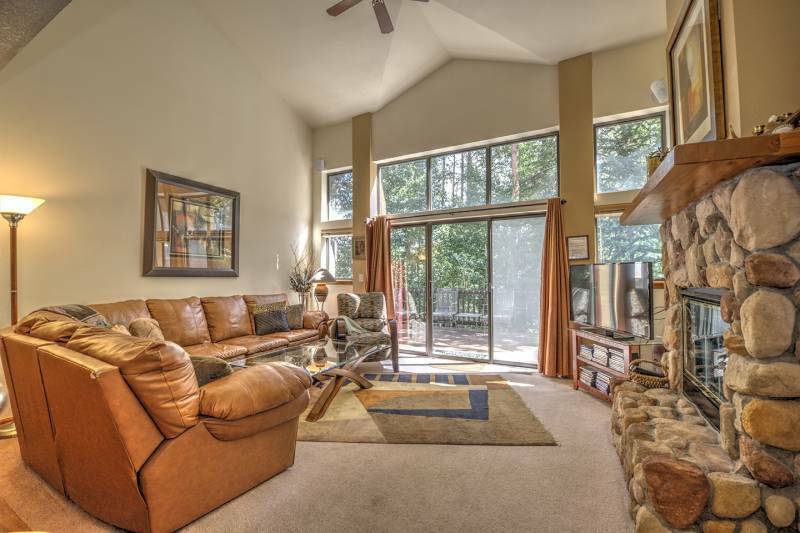 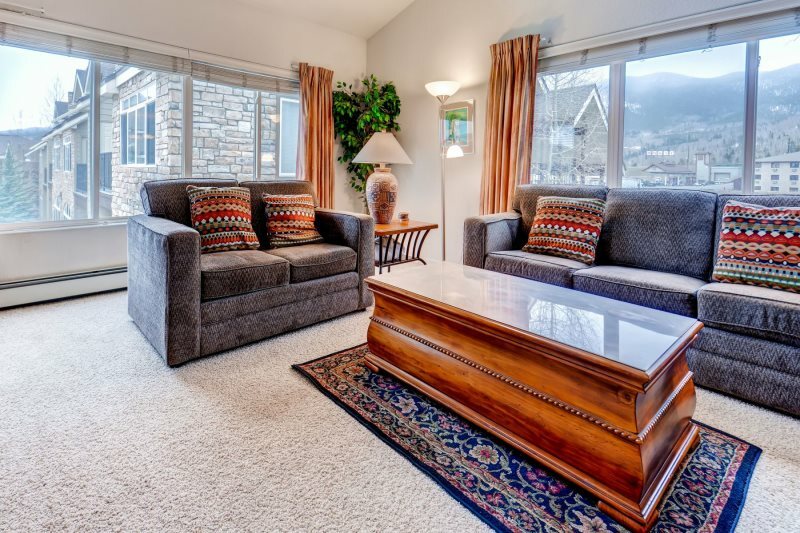 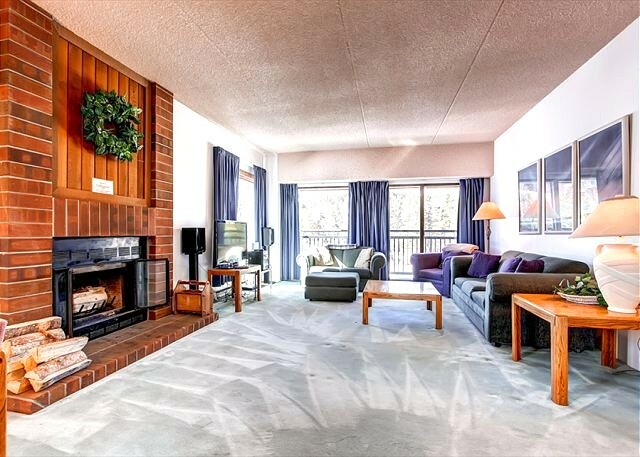 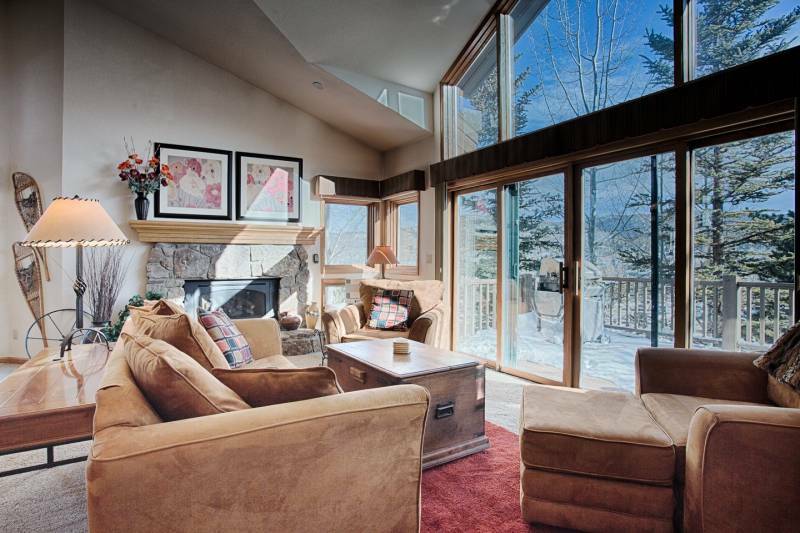 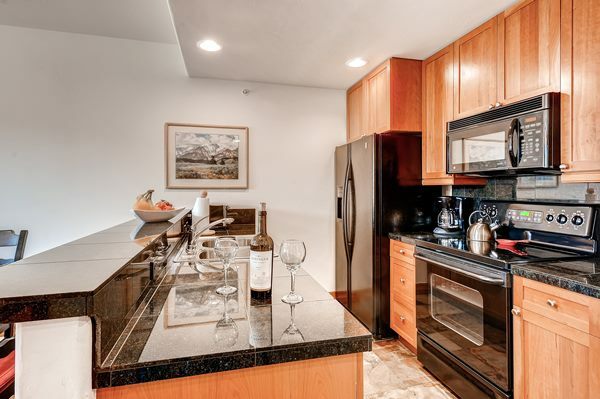 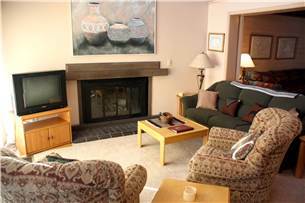 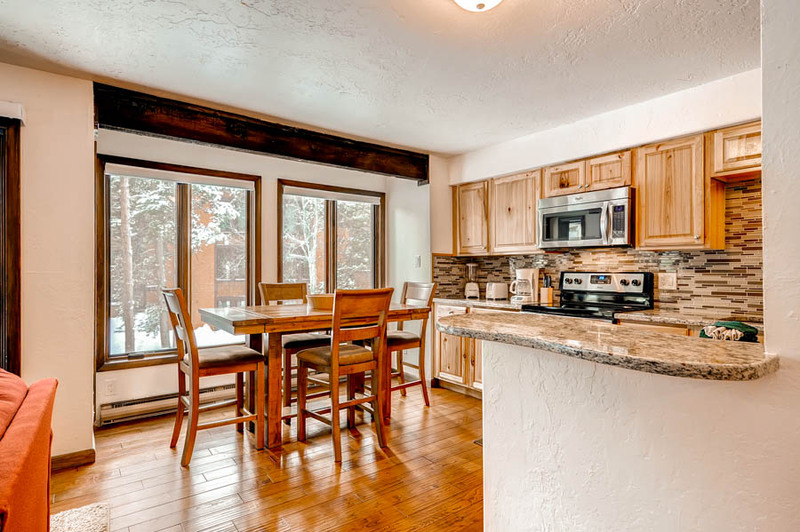 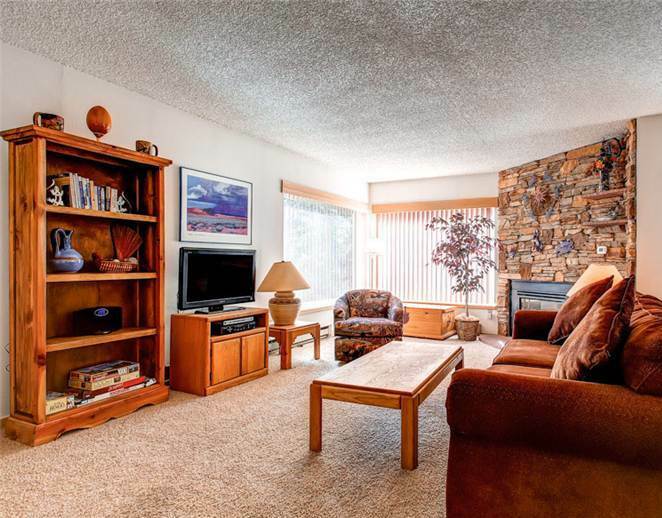 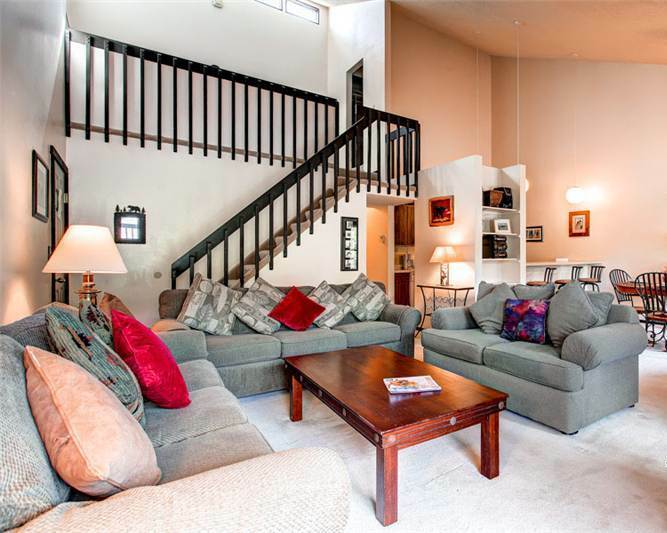 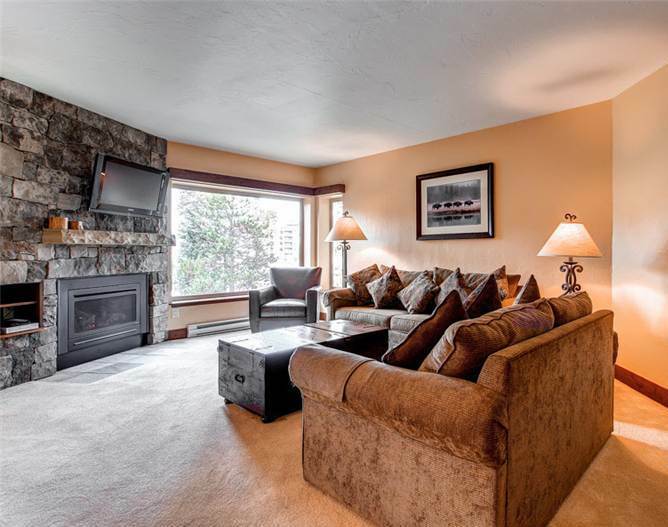 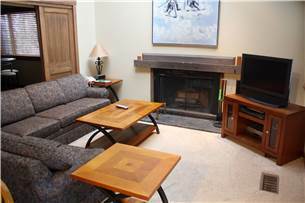 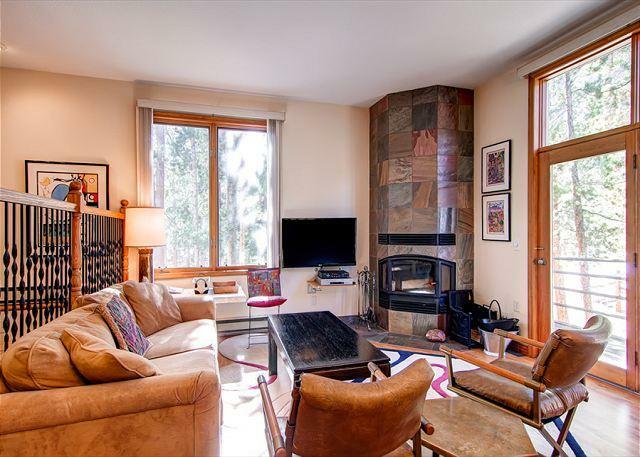 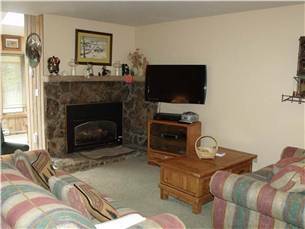 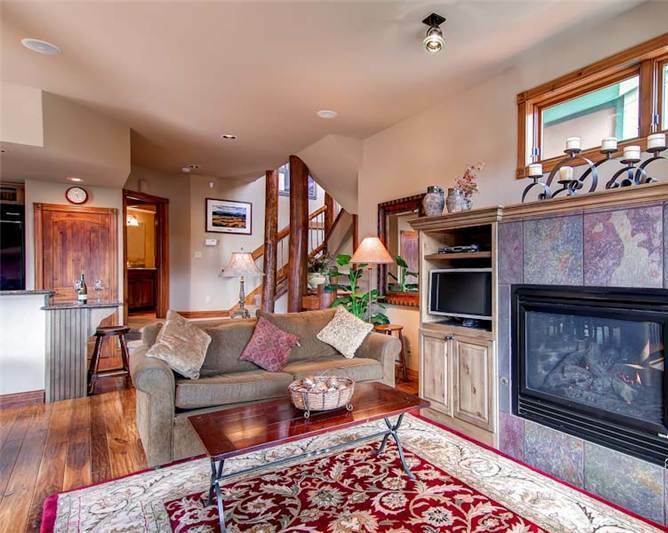 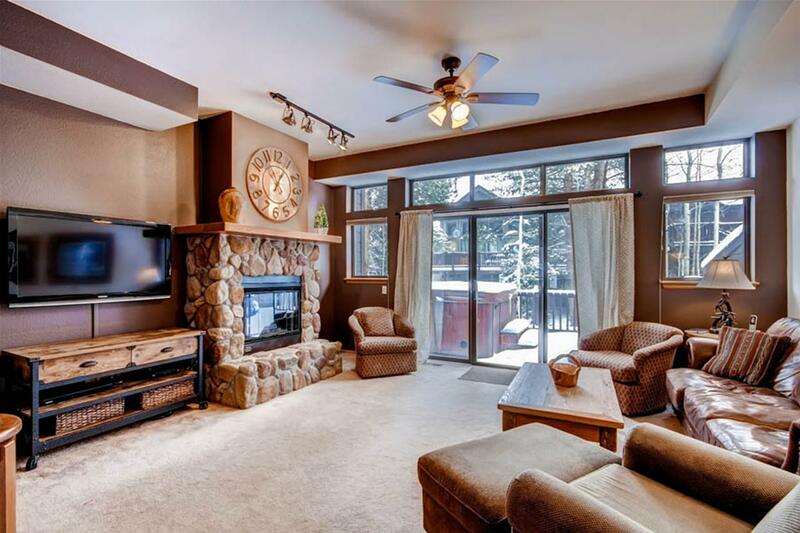 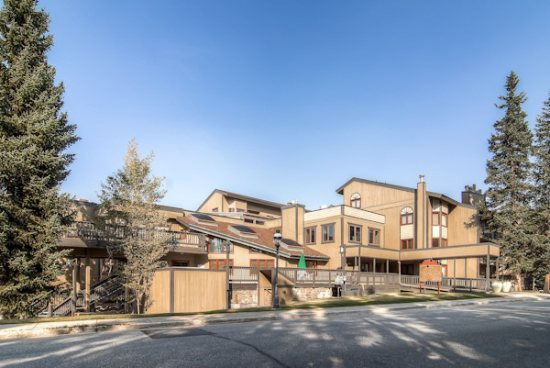 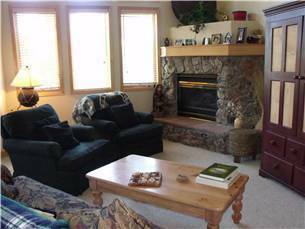 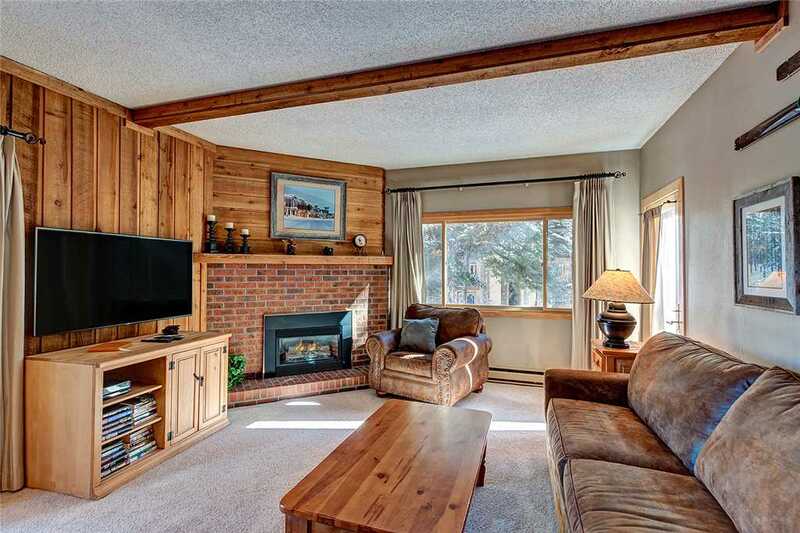 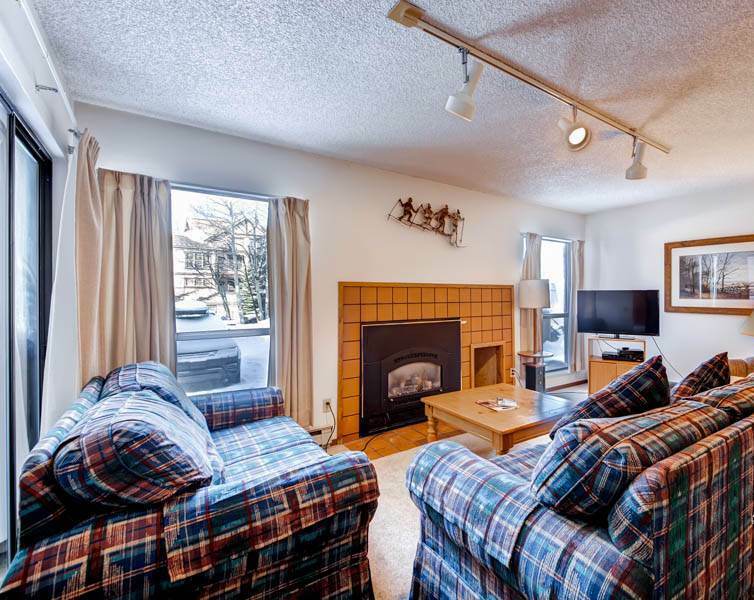 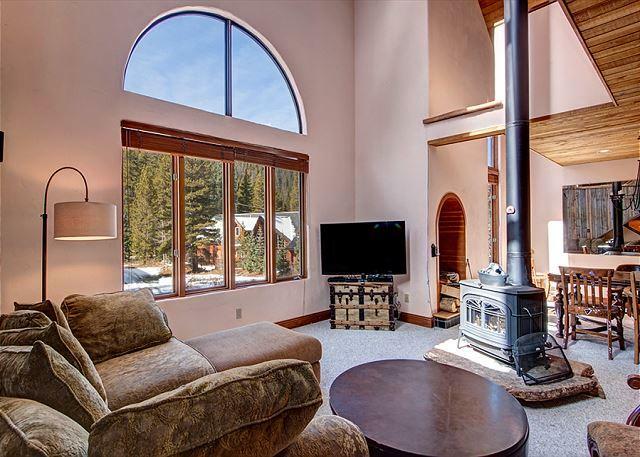 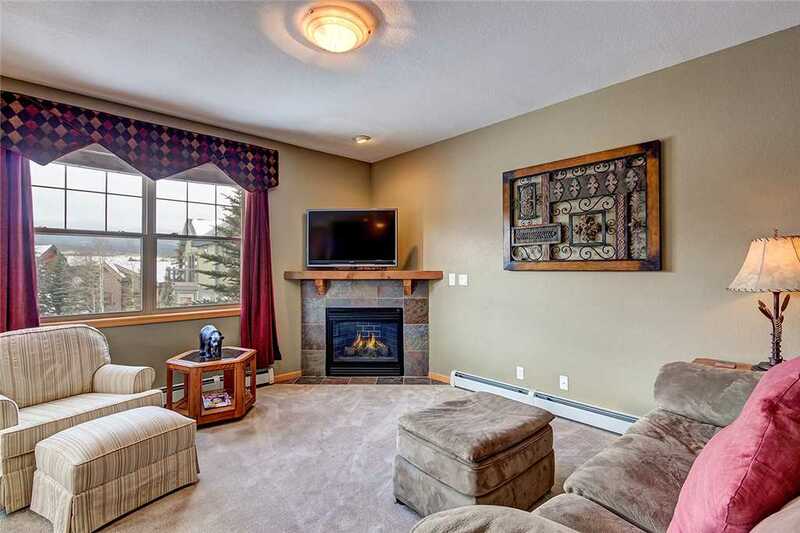 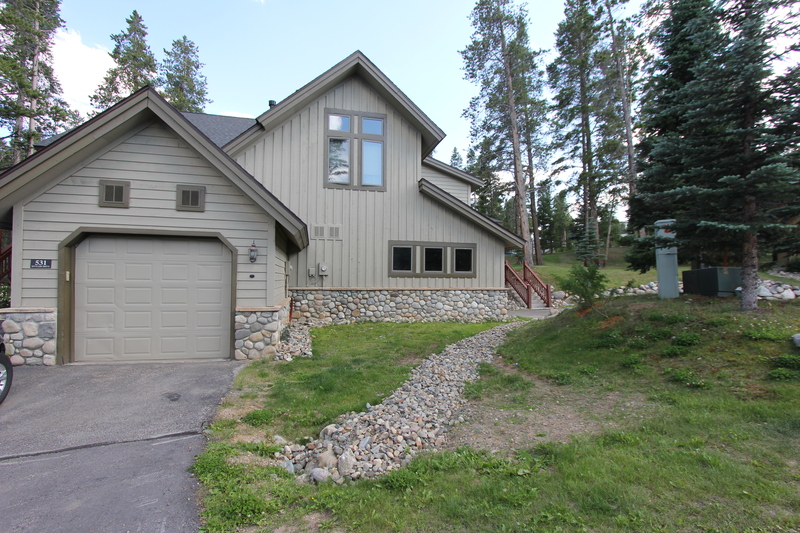 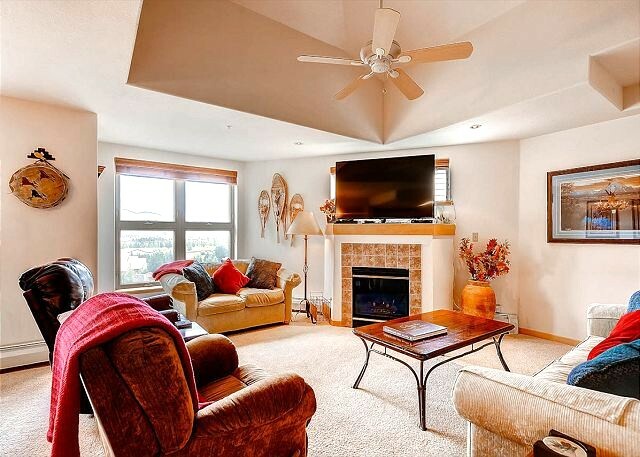 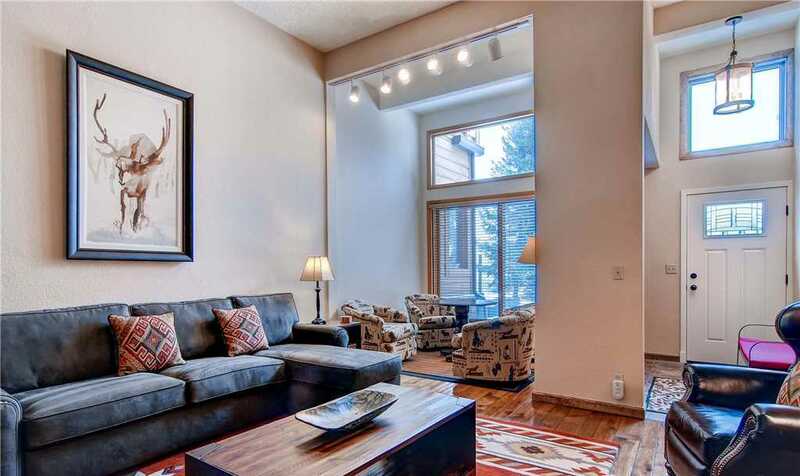 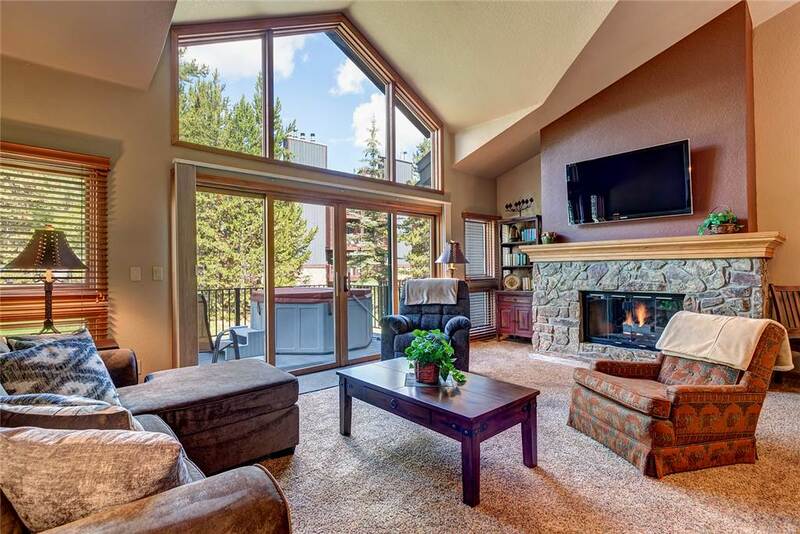 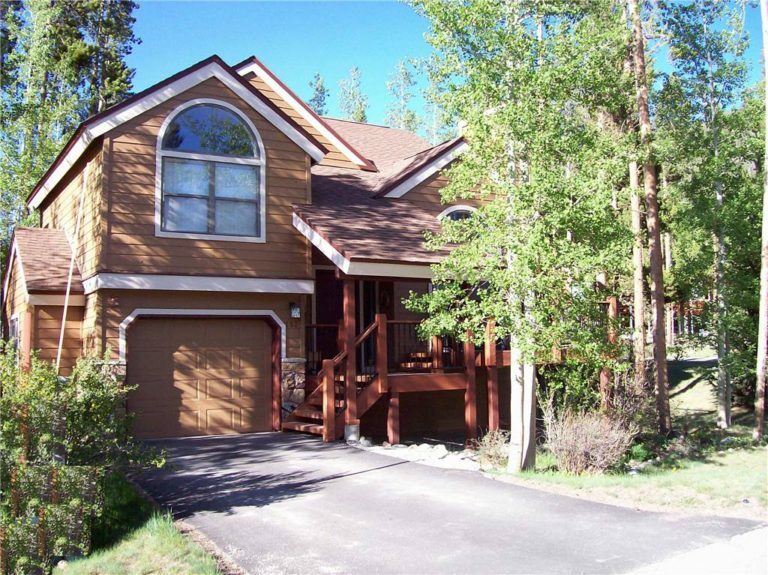 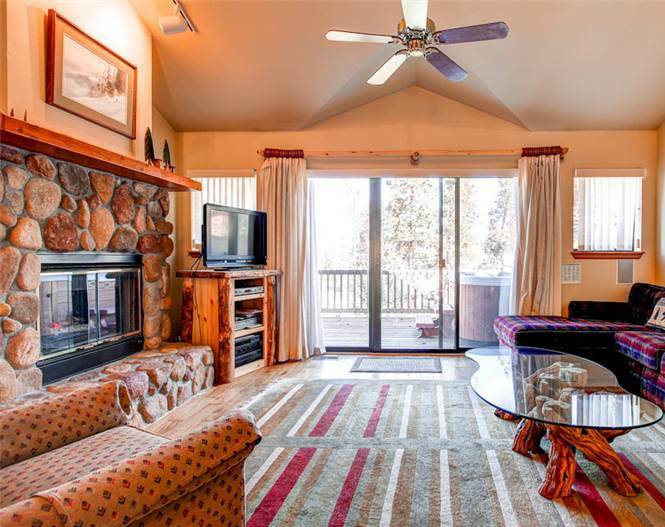 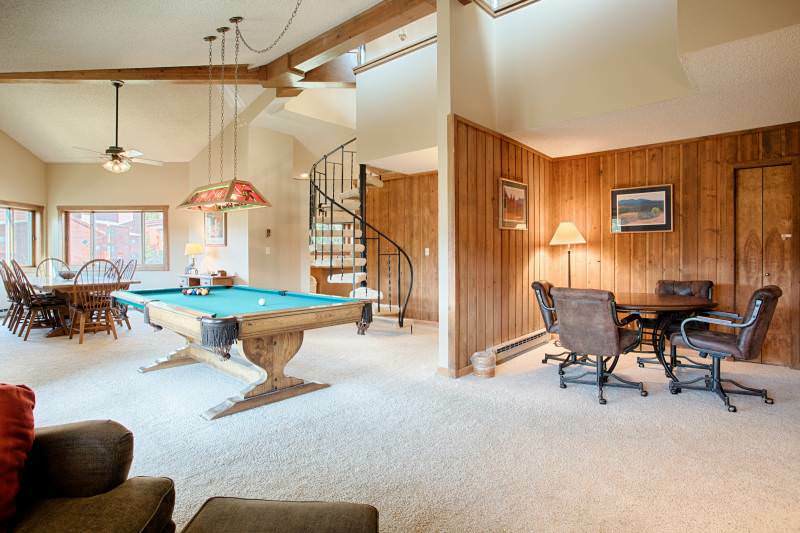 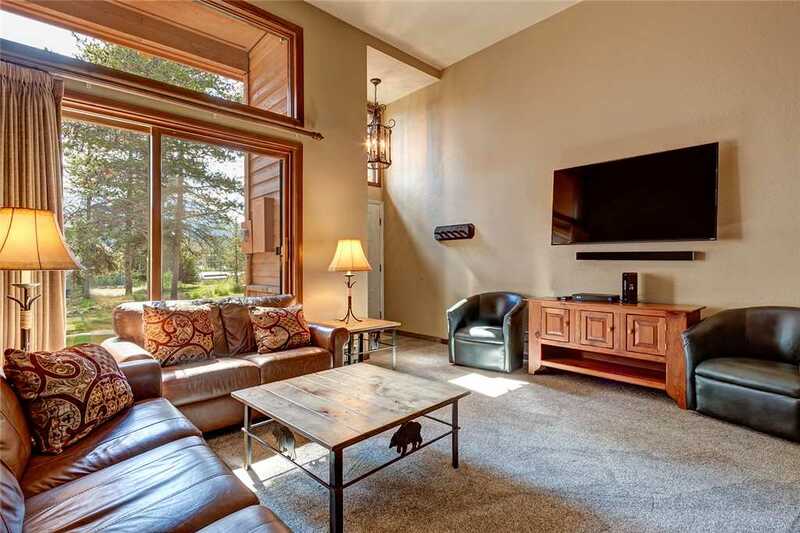 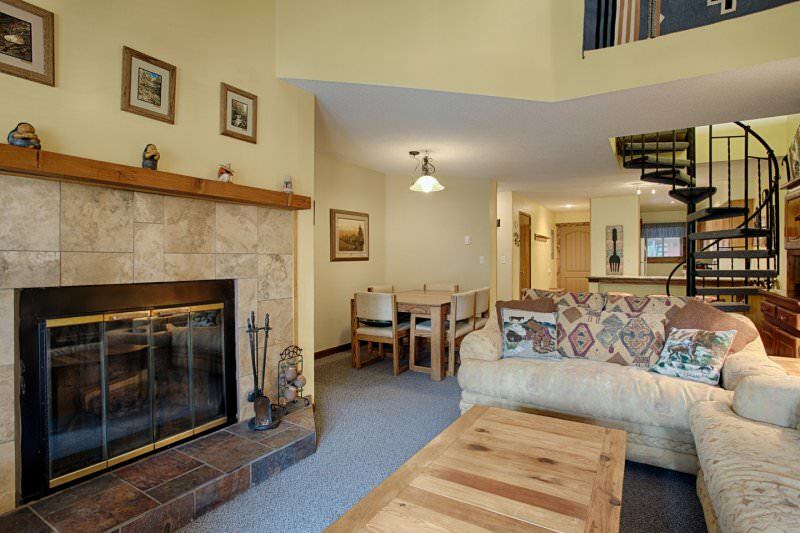 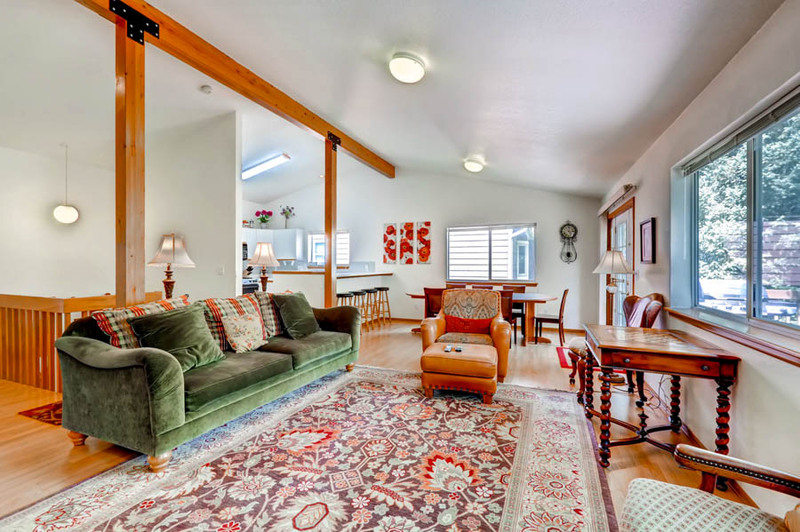 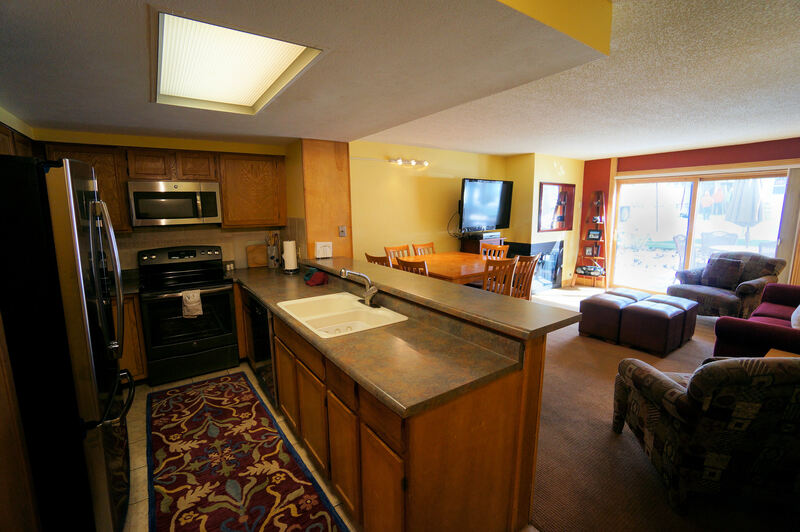 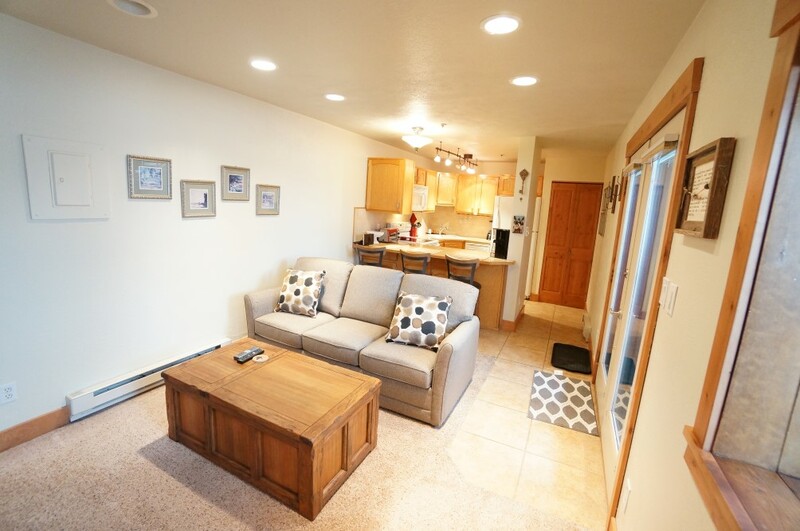 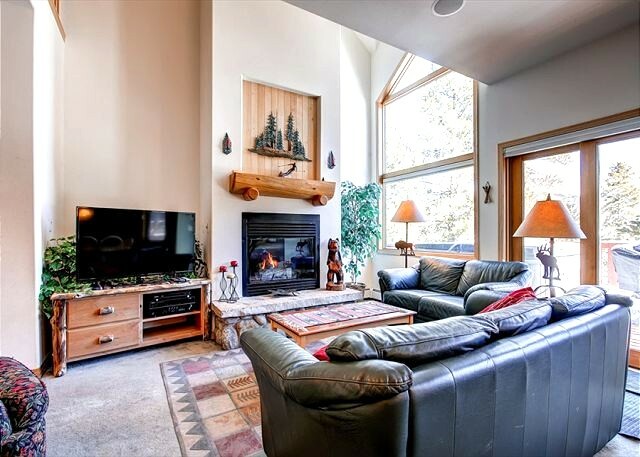 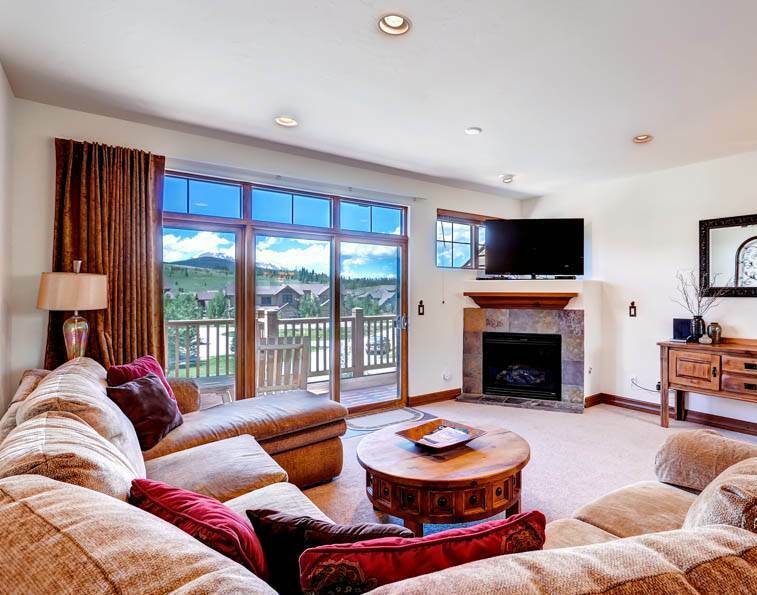 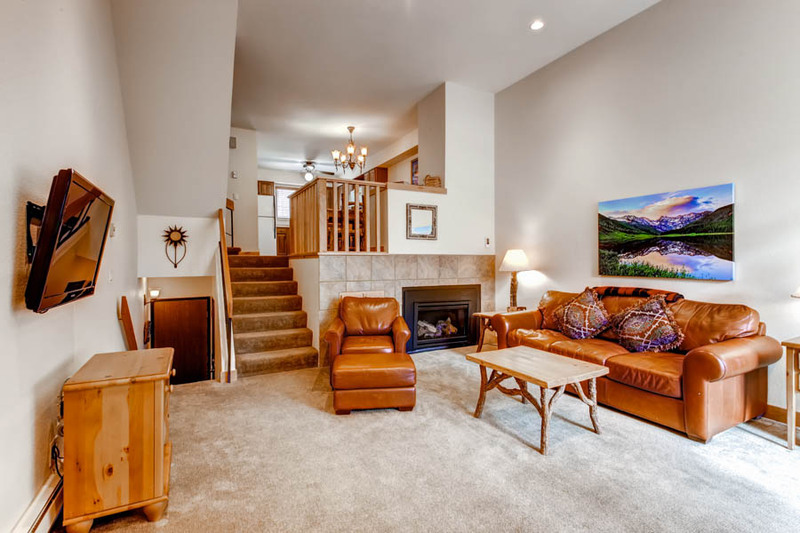 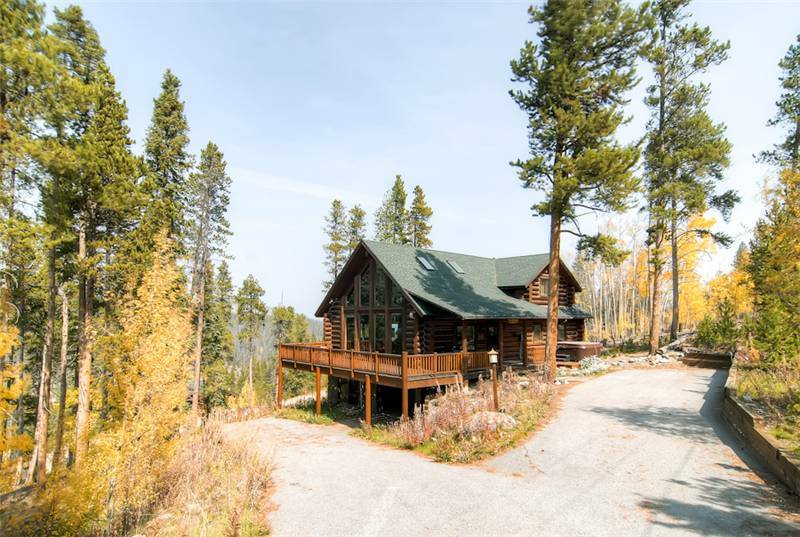 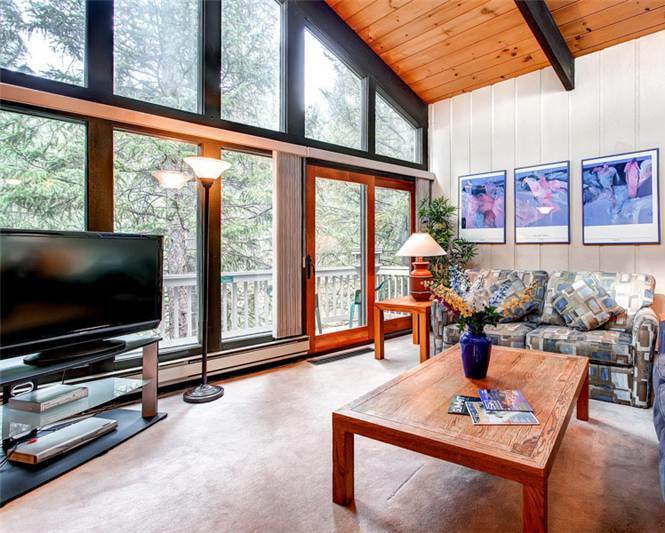 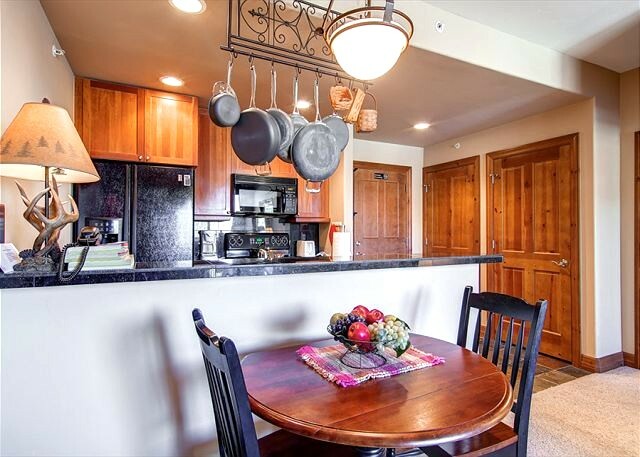 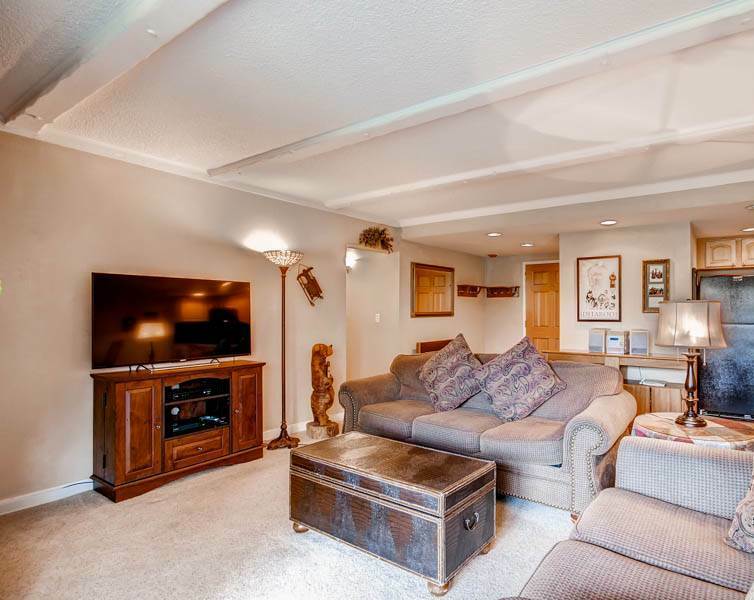 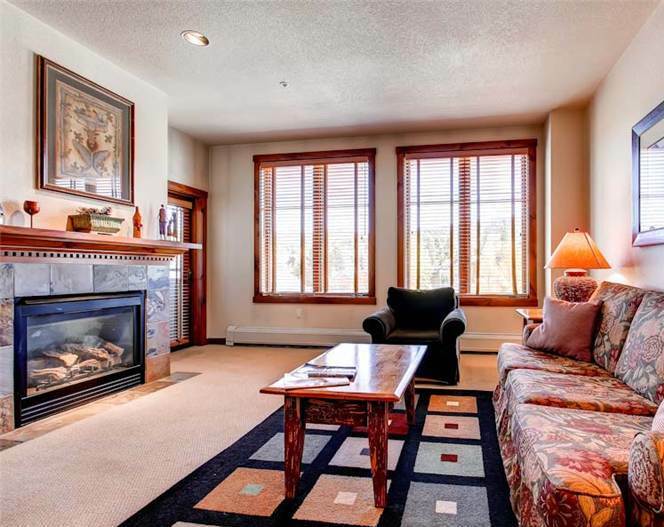 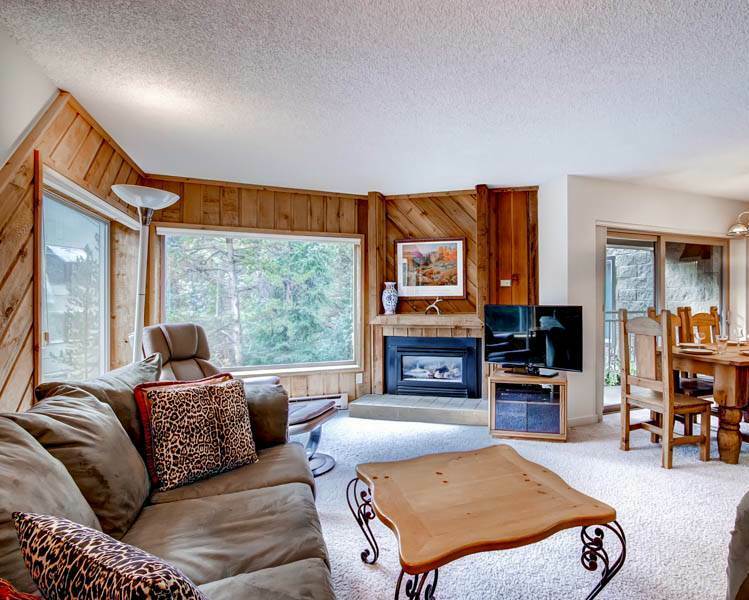 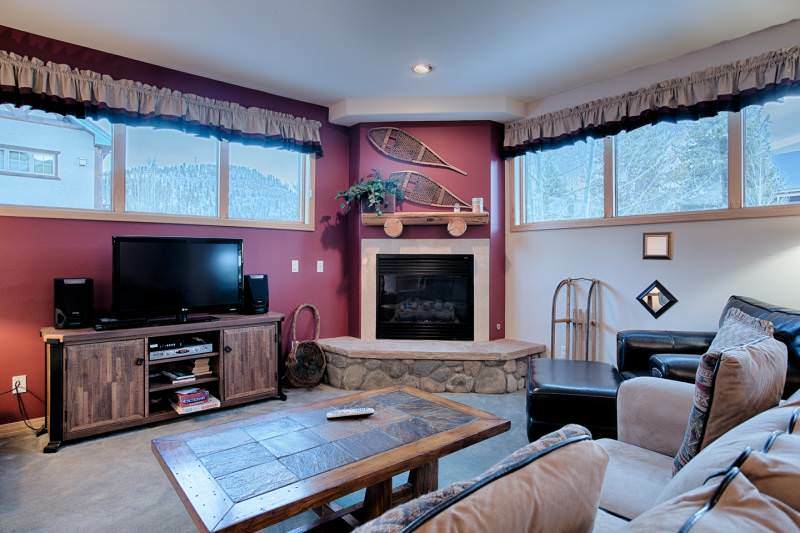 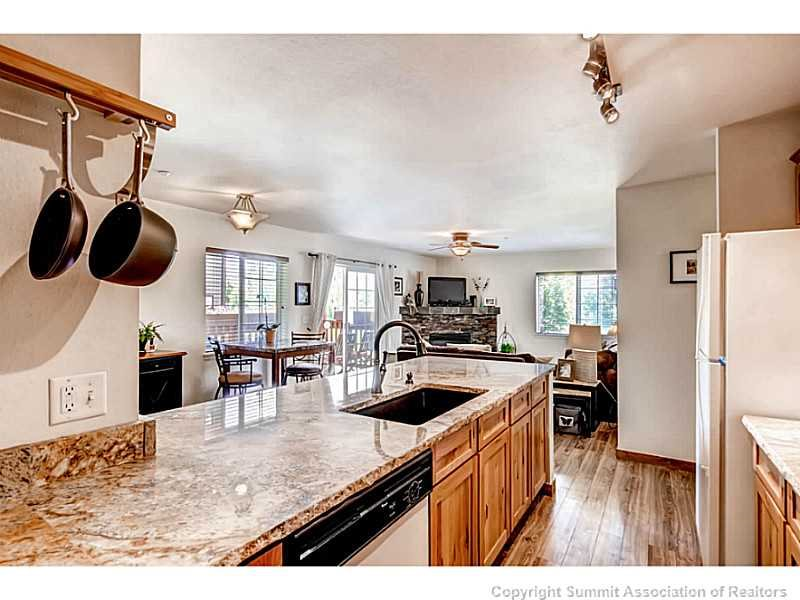 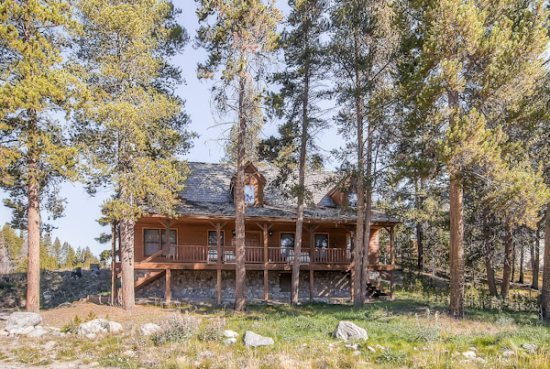 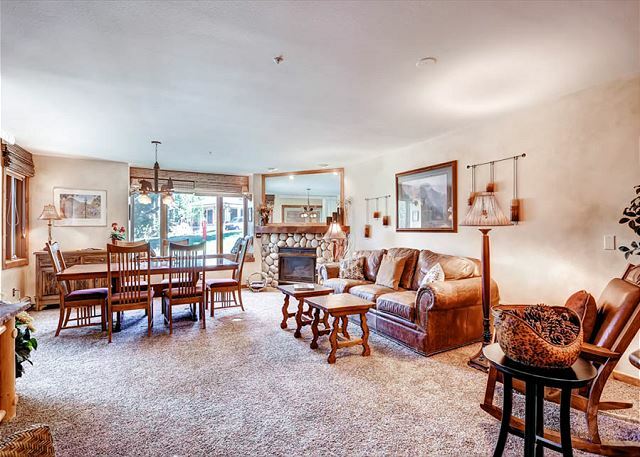 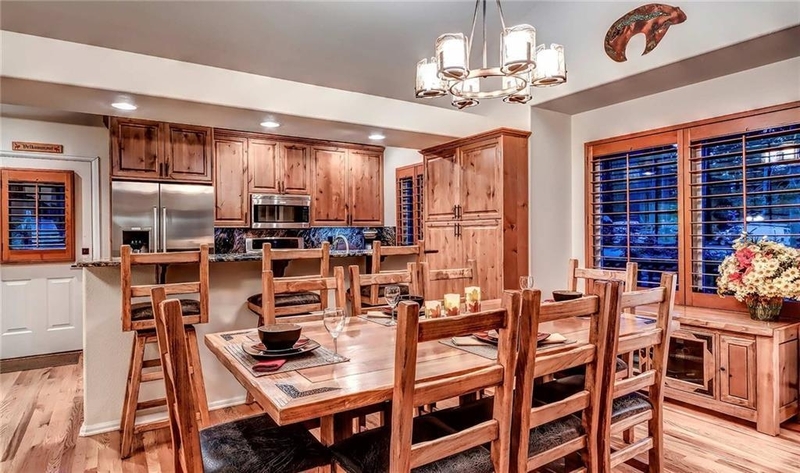 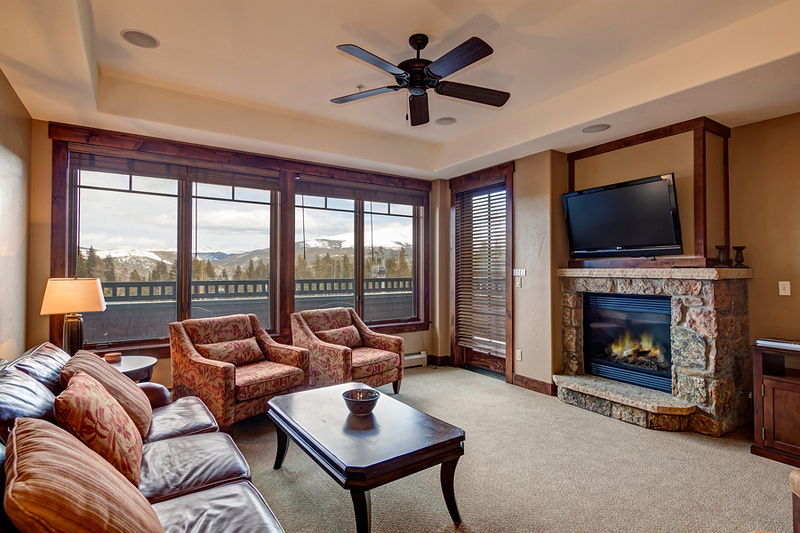 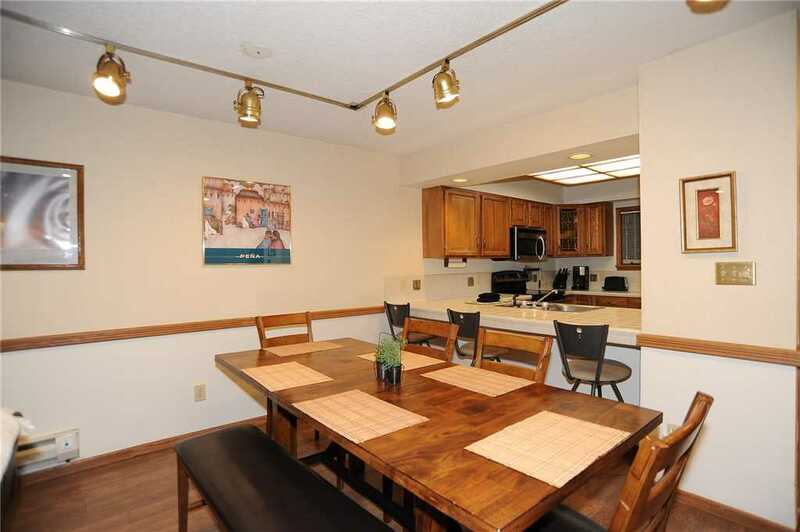 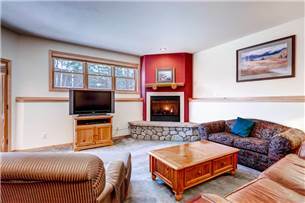 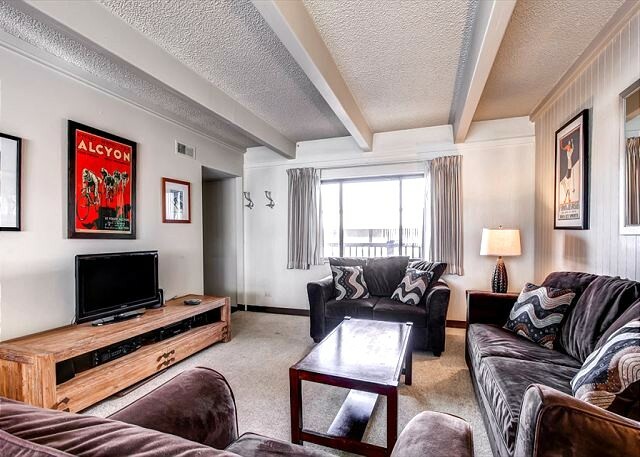 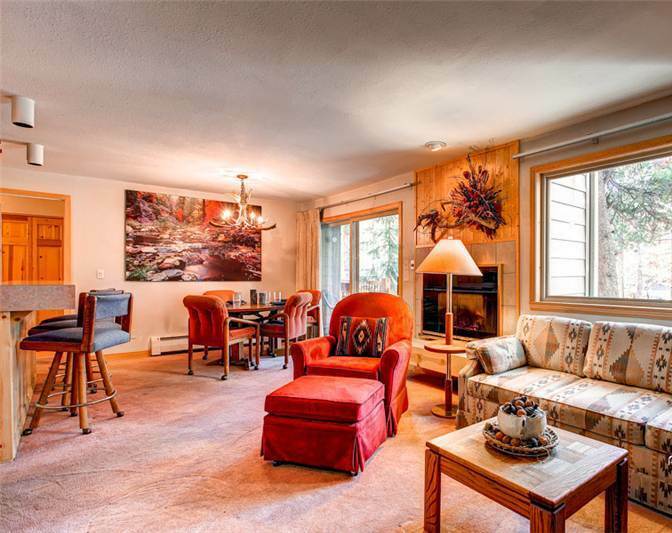 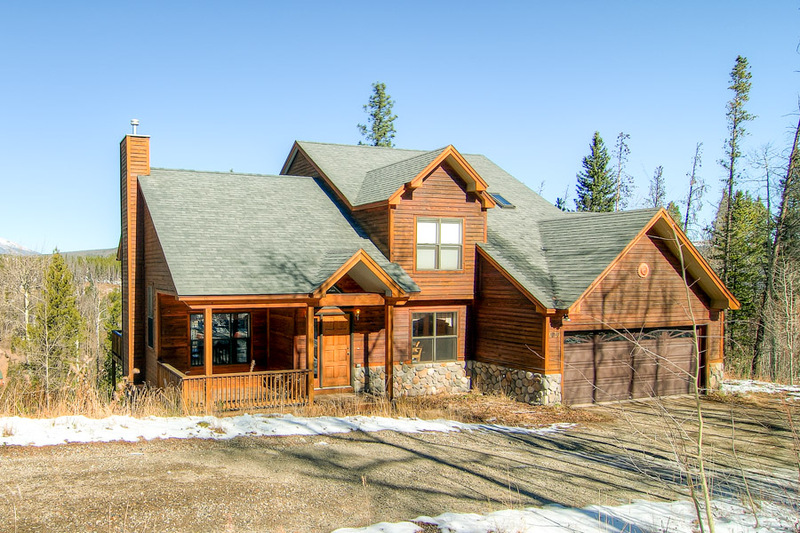 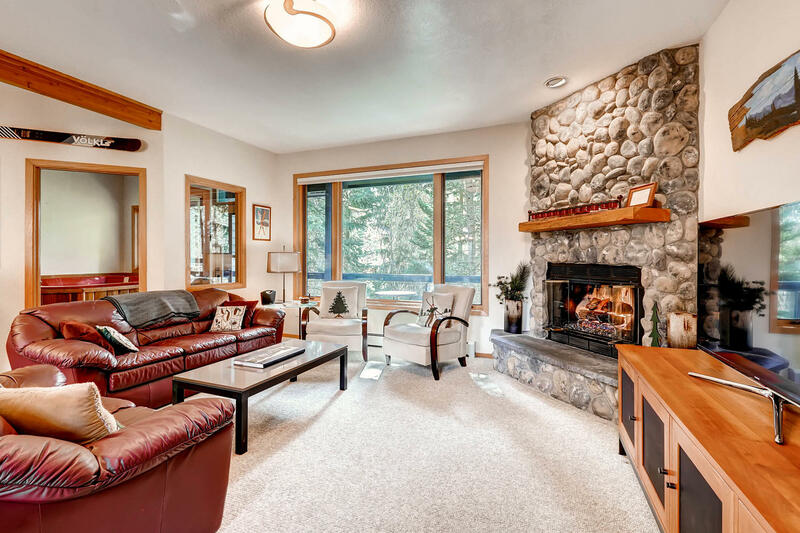 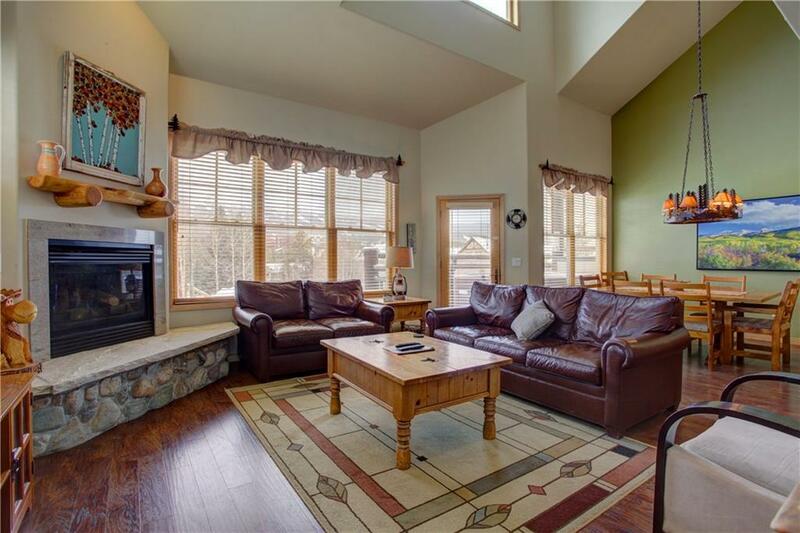 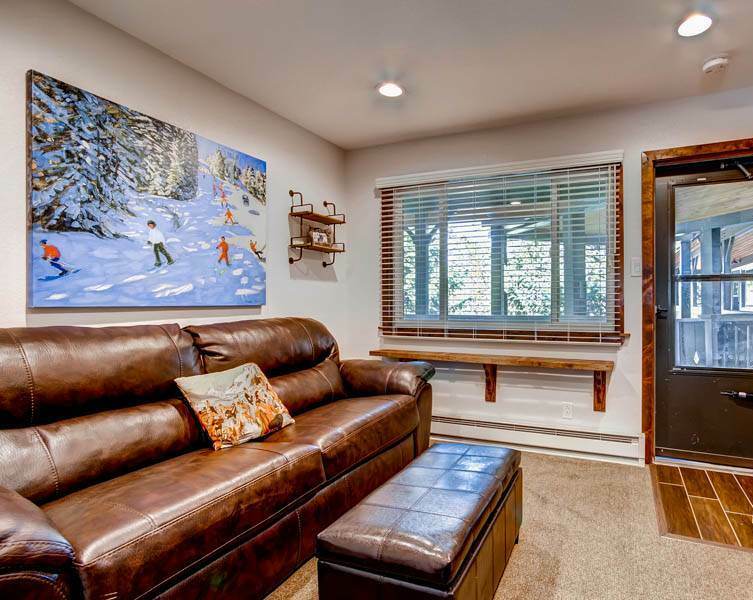 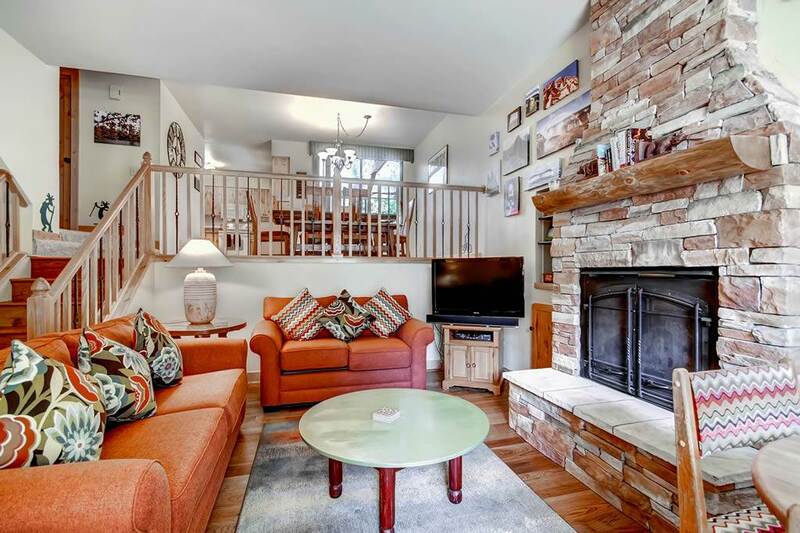 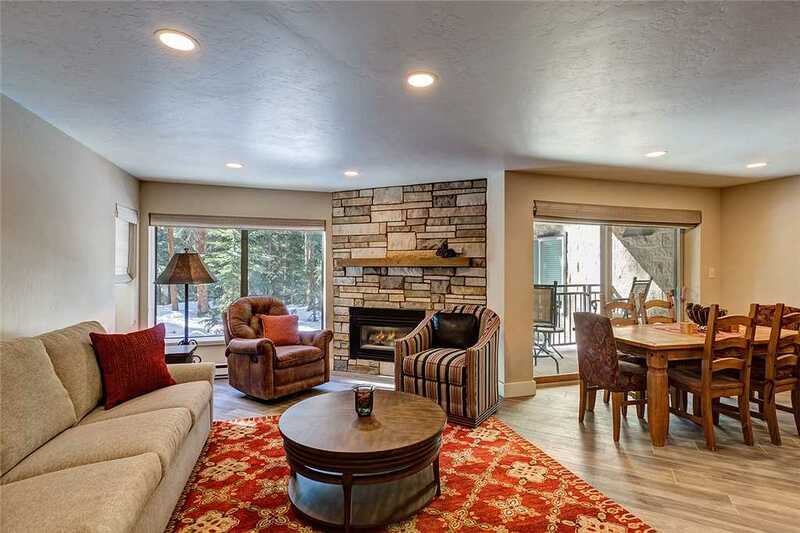 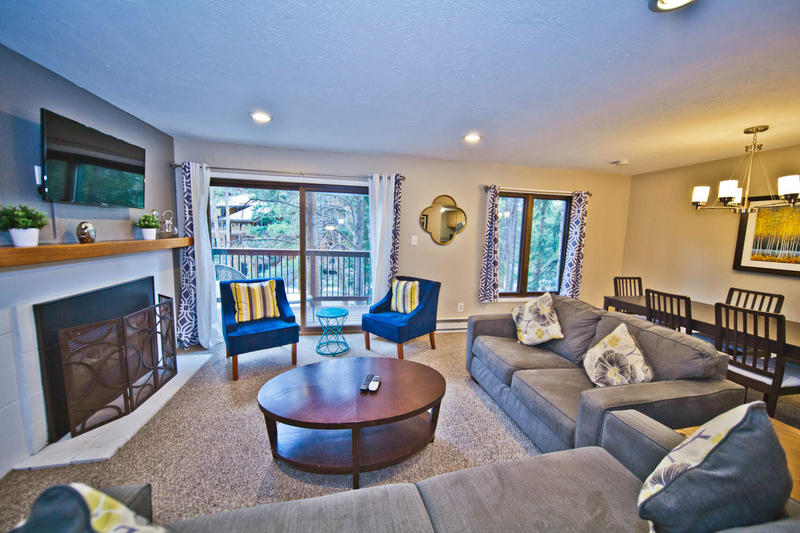 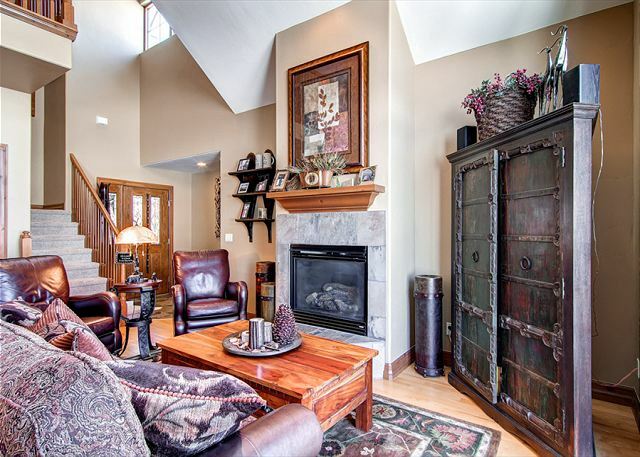 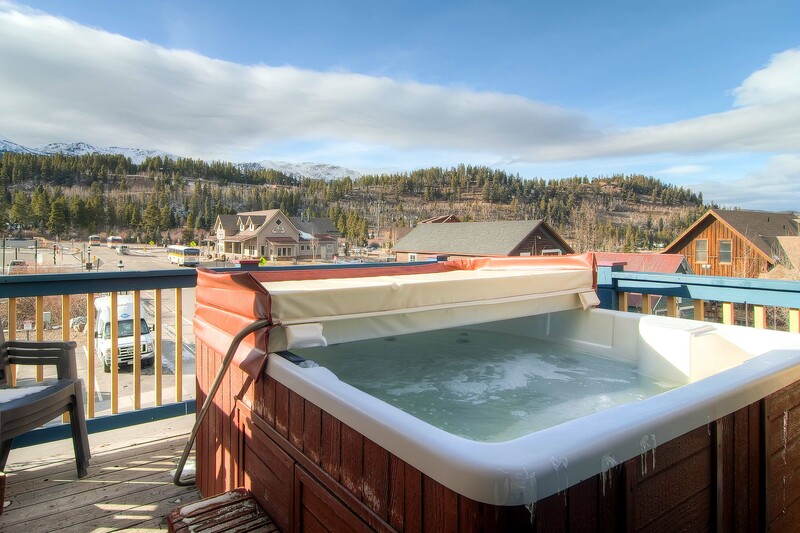 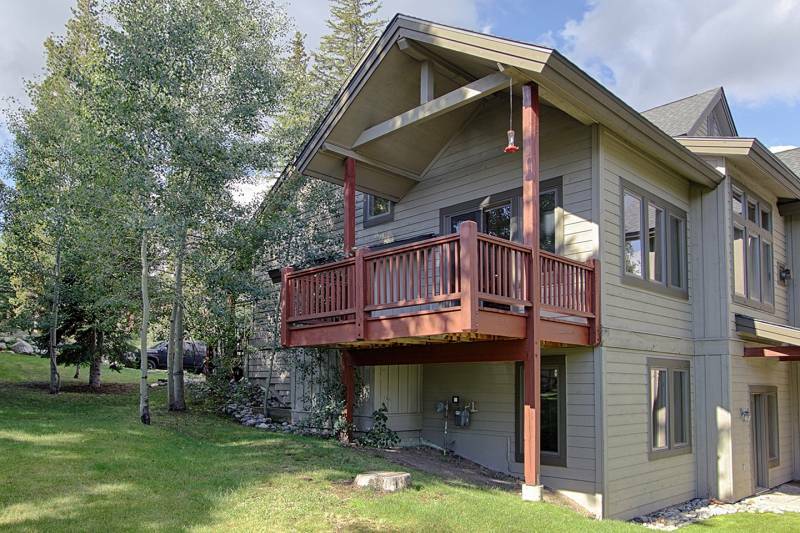 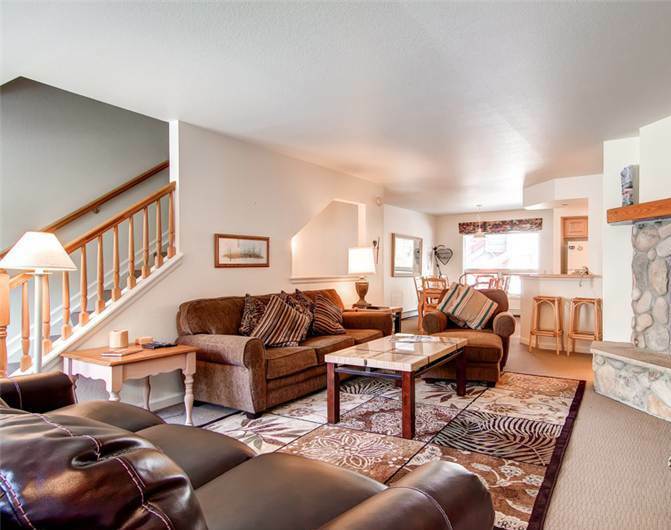 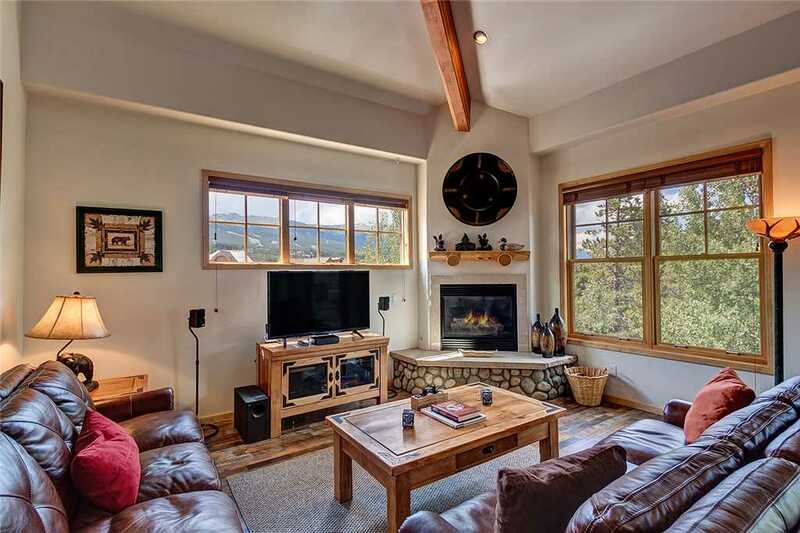 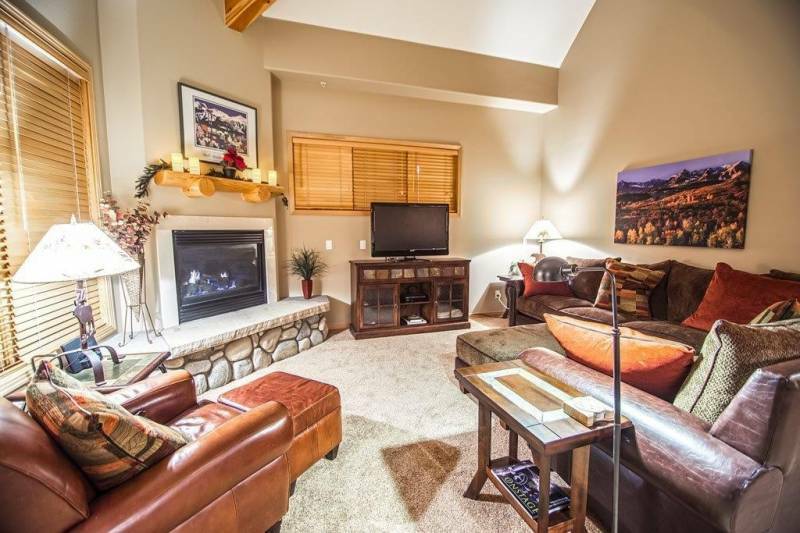 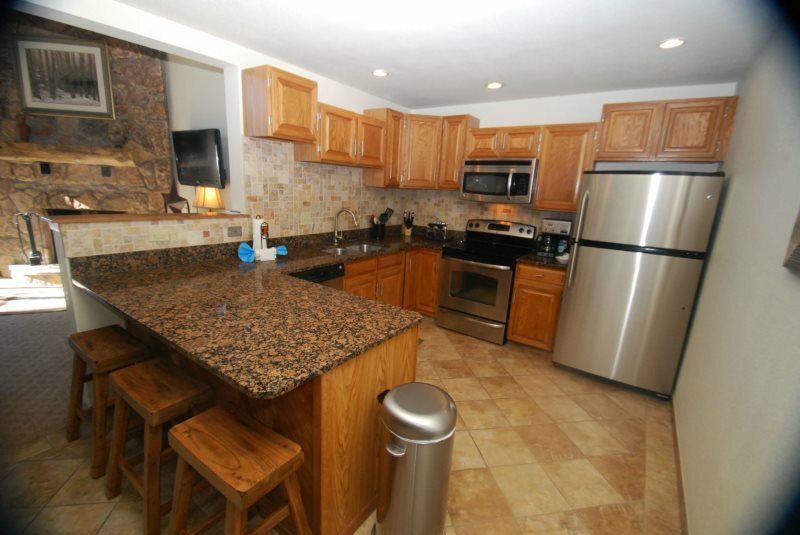 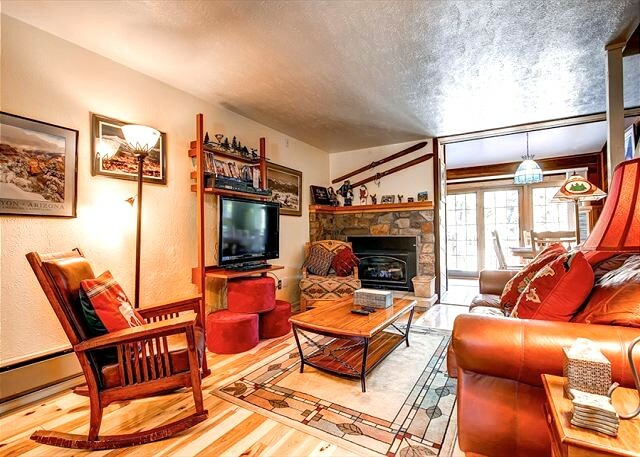 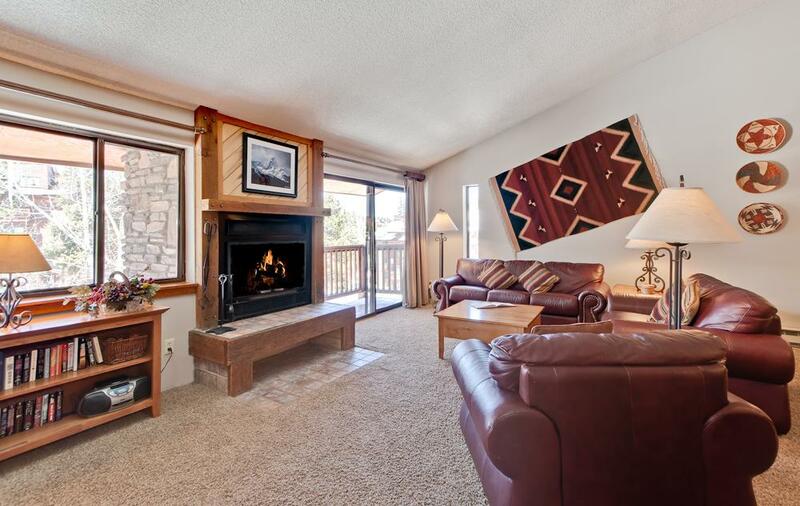 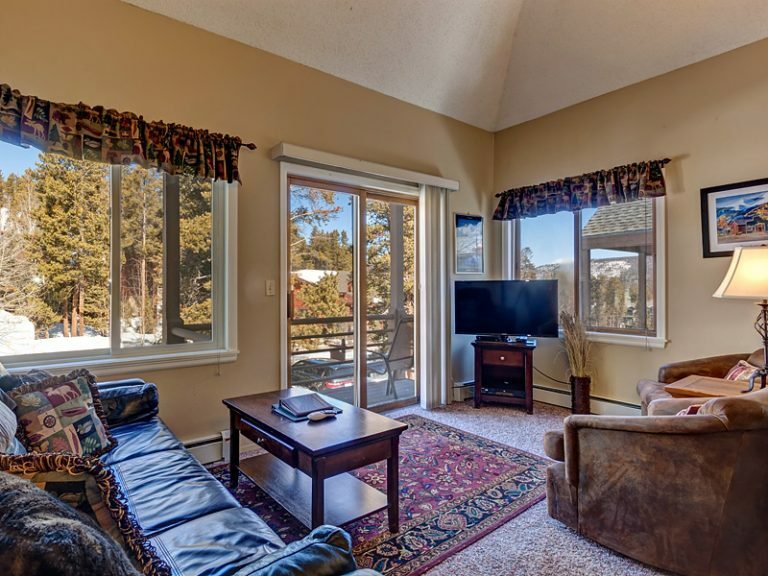 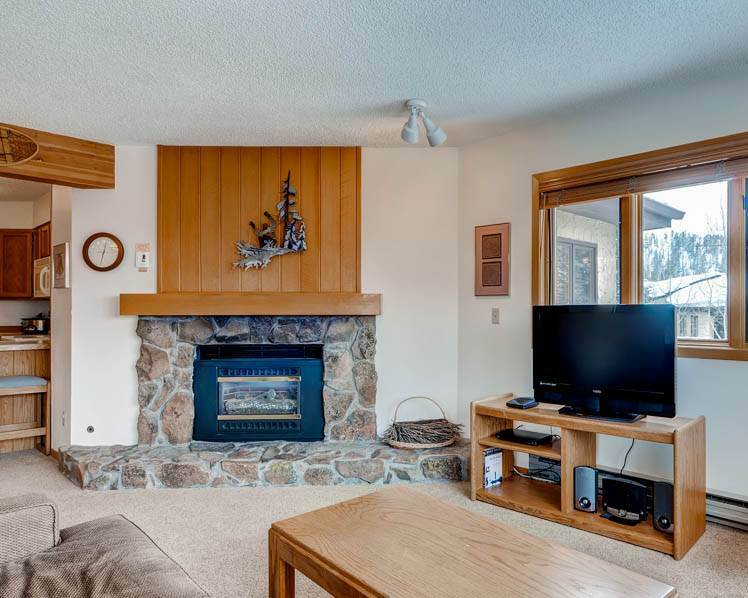 This home has a Large Deck with a Large Outdoor Hot Tub, a Gas Grill and Great Views of Ski Area. 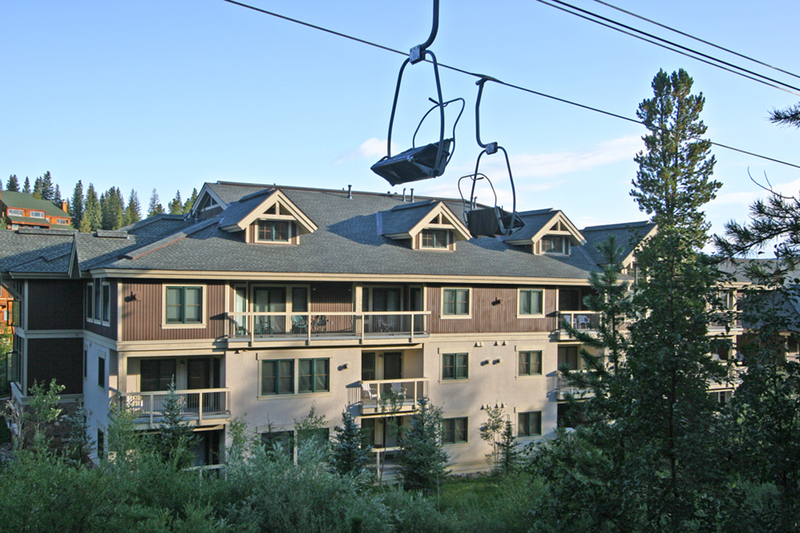 Please note the 4 car Maximum.